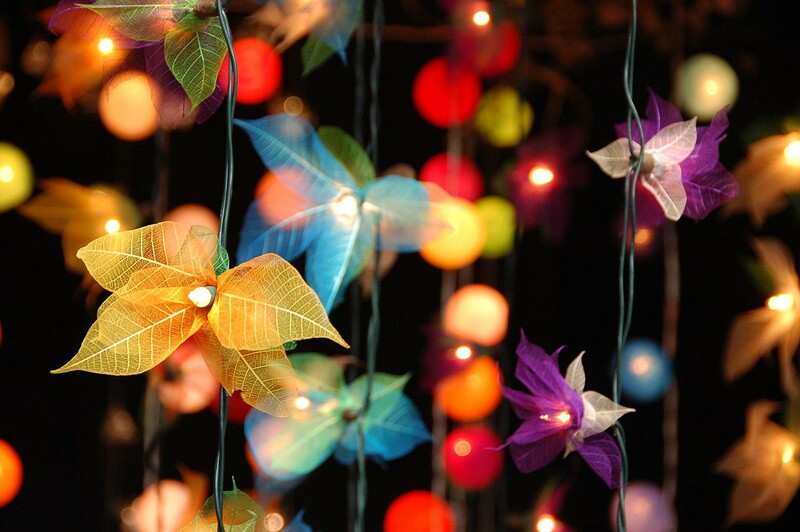 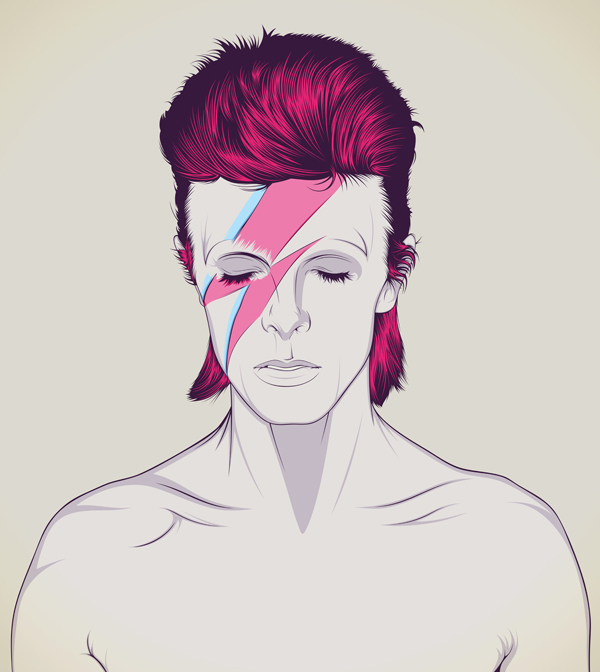 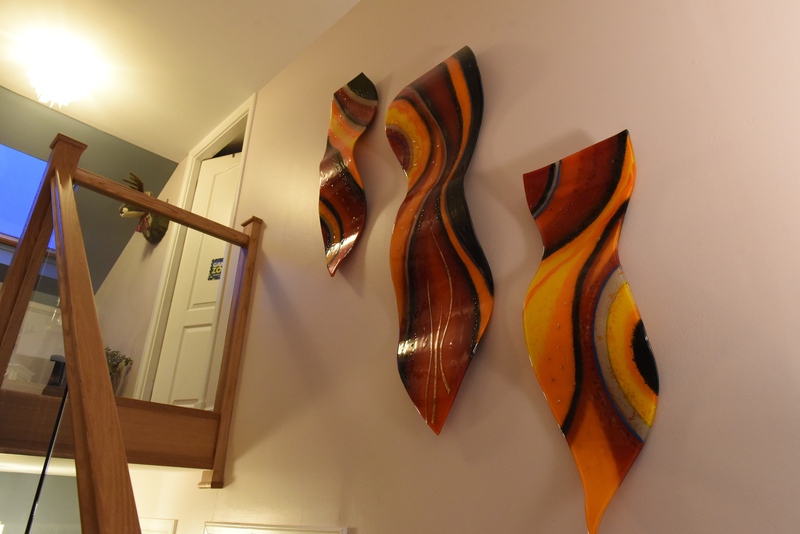 If you’re looking for something fresh and unique to breathe life into any space in your home, and if that space just so happens to be on the wall, then we’ve got just the thing for you. 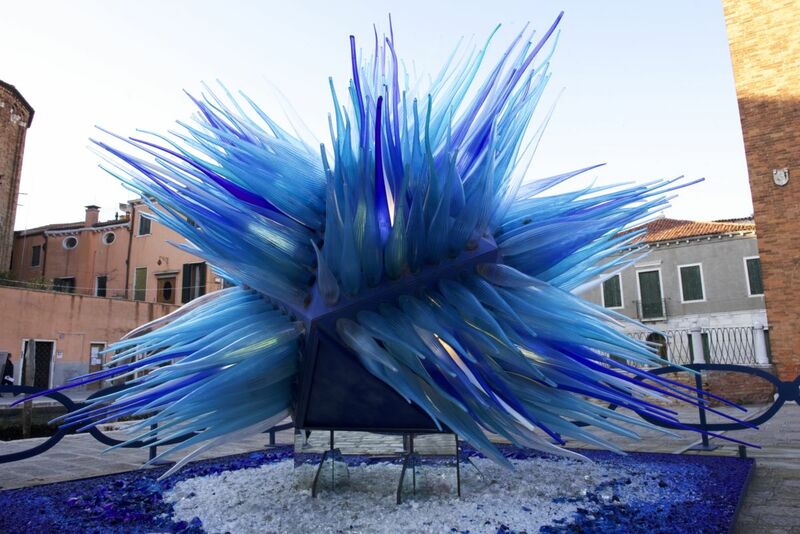 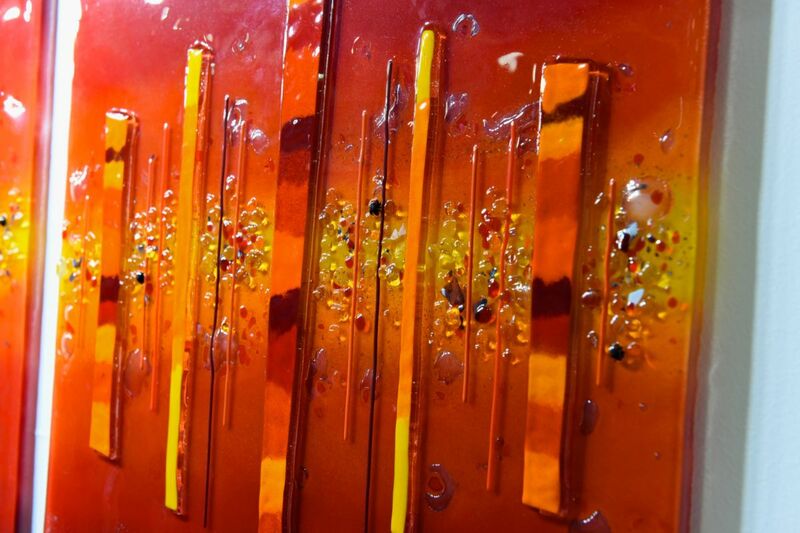 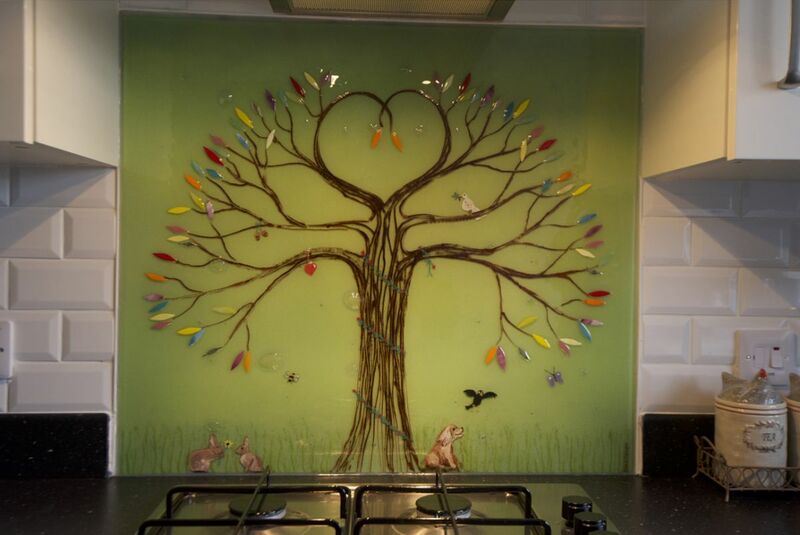 Glass wall art! 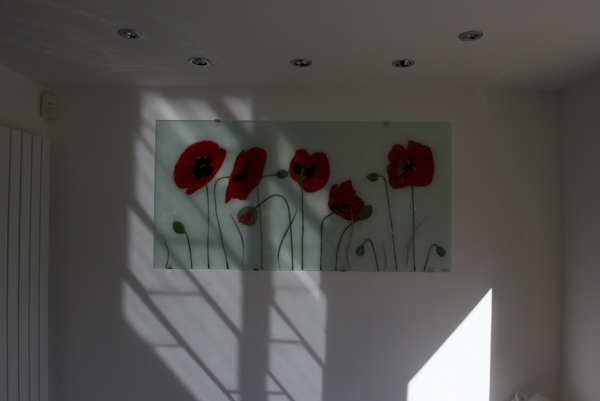 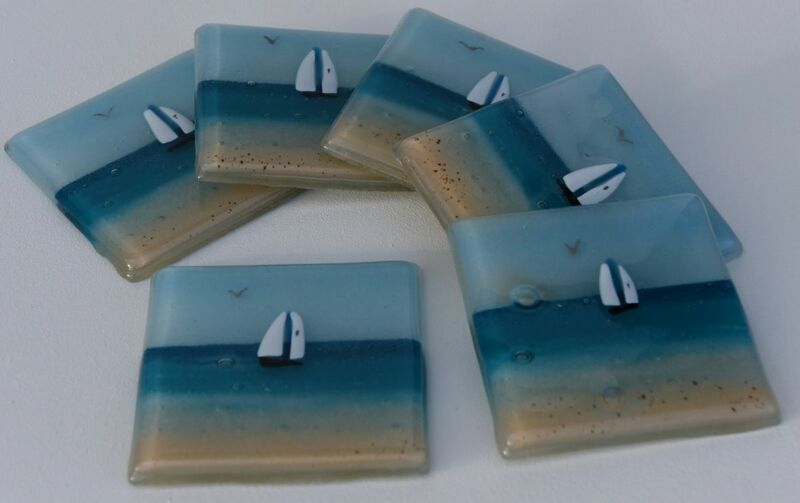 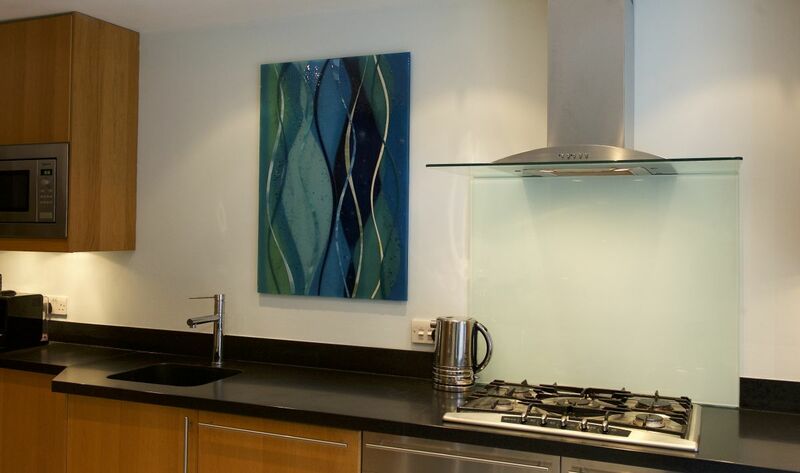 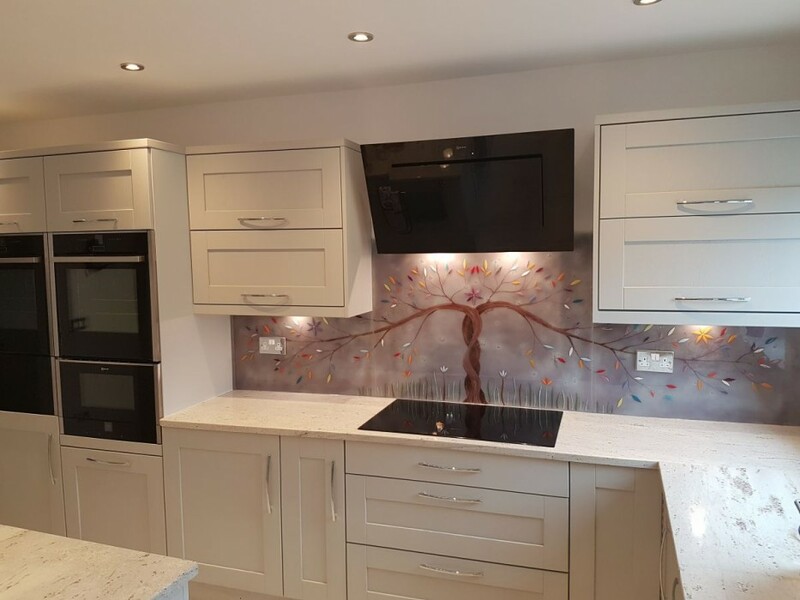 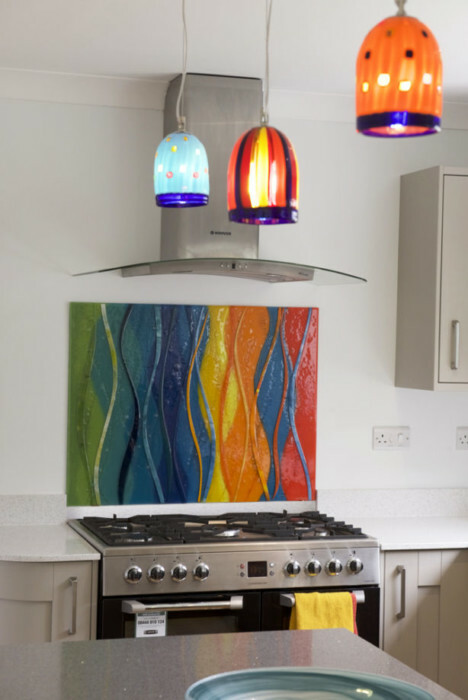 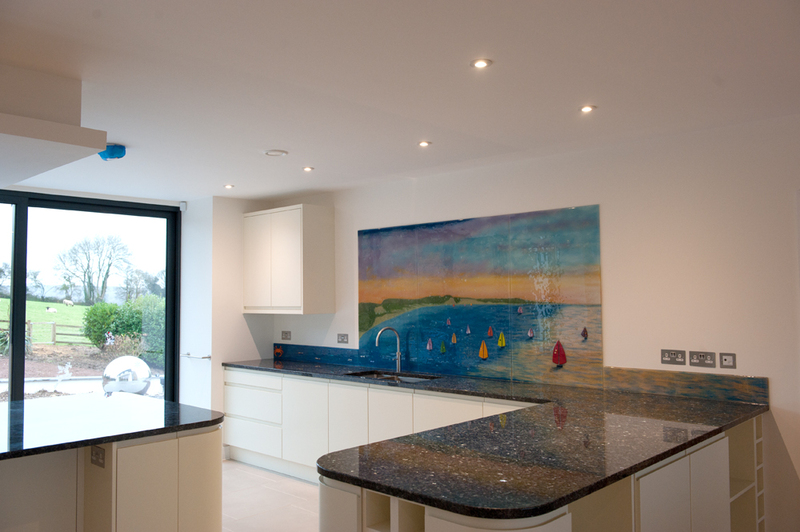 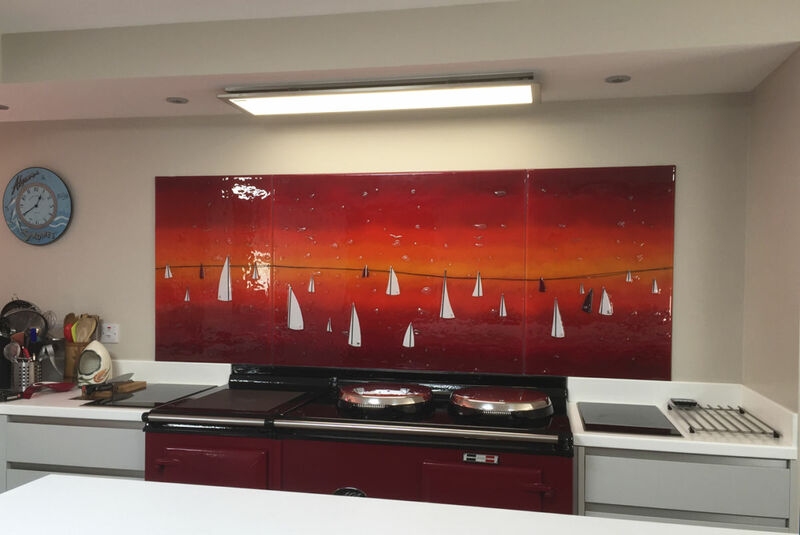 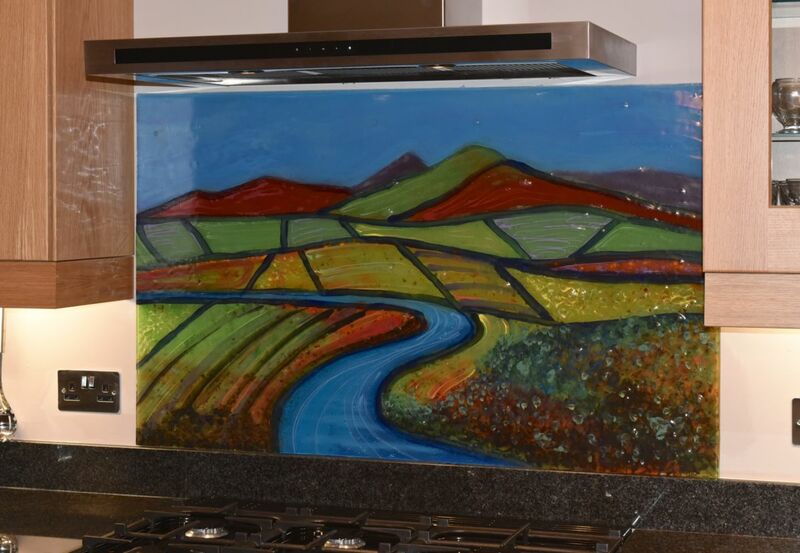 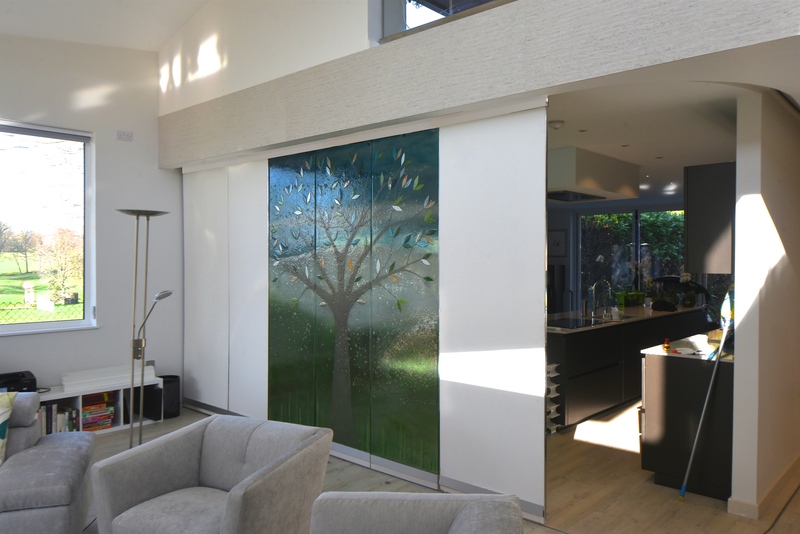 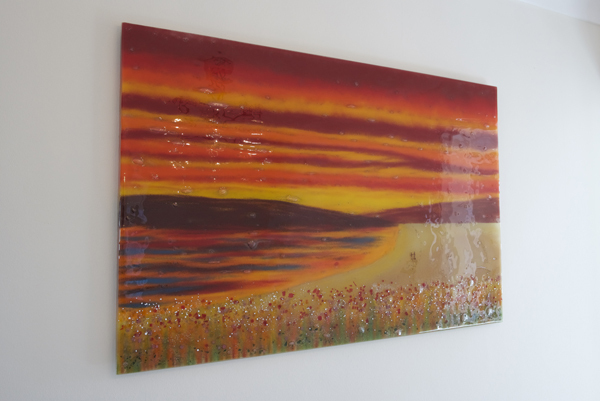 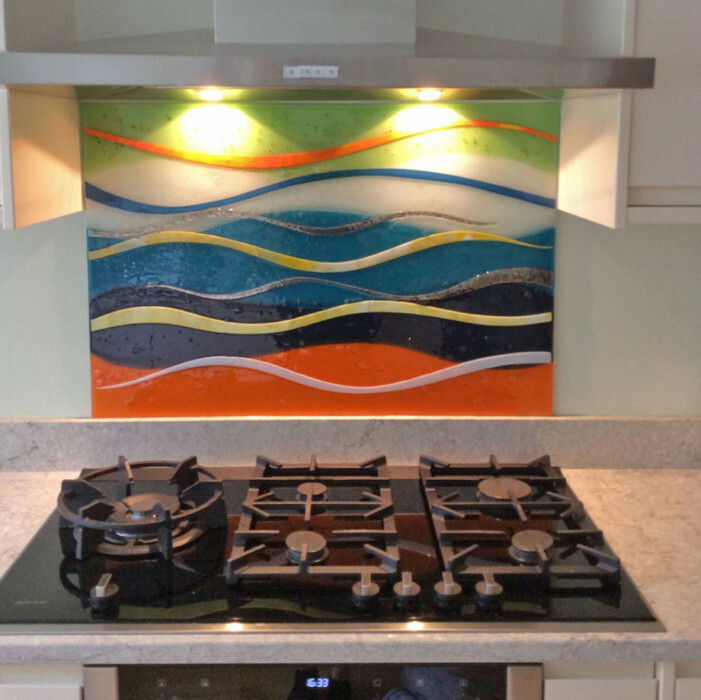 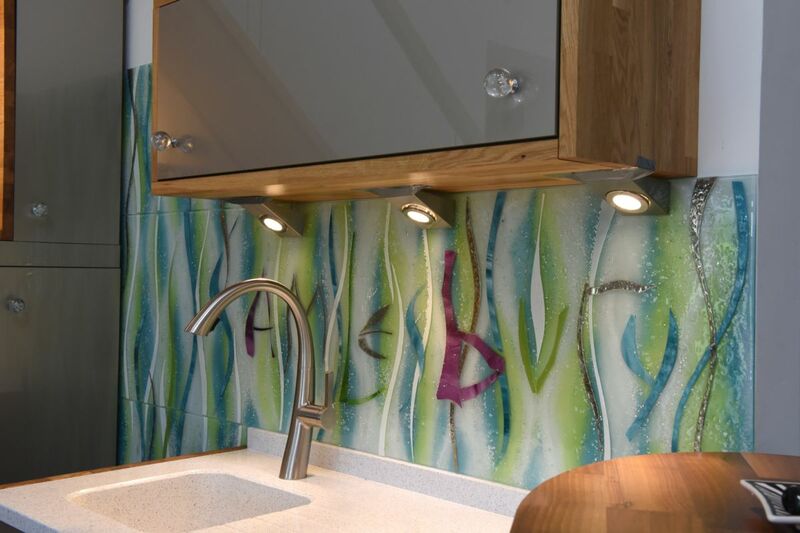 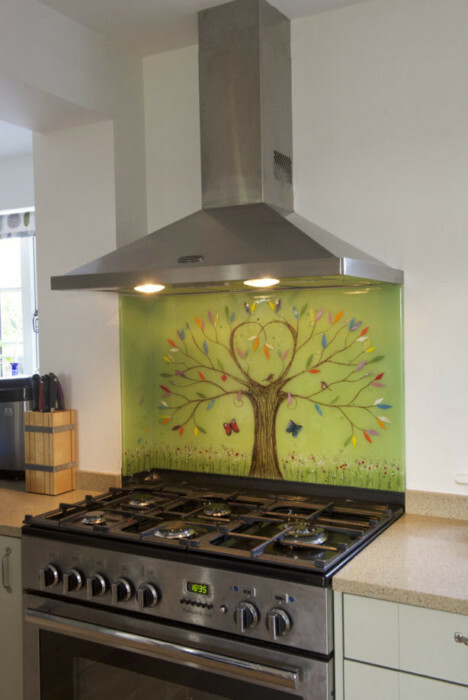 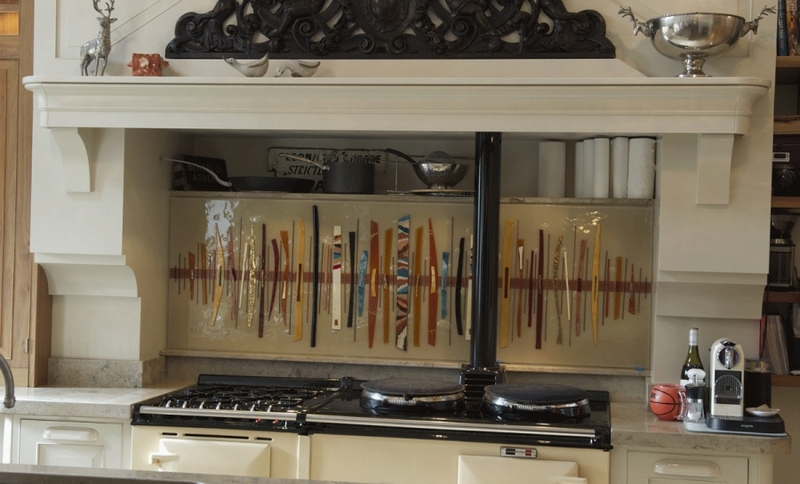 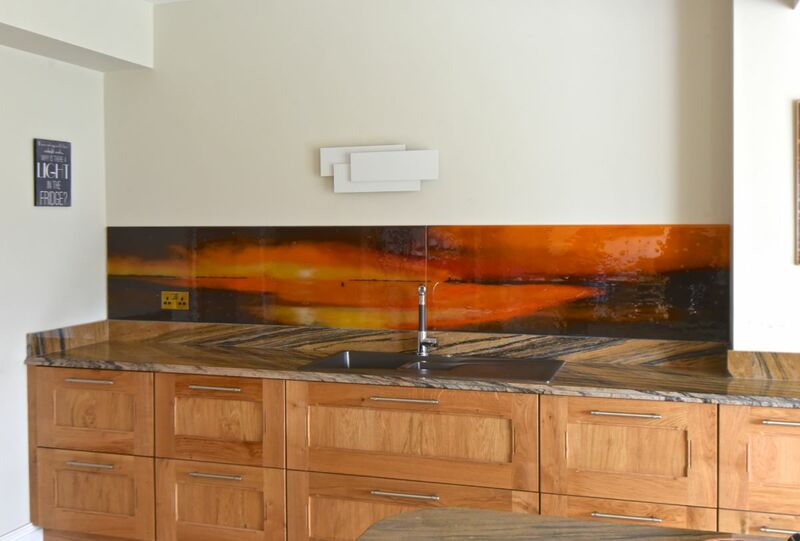 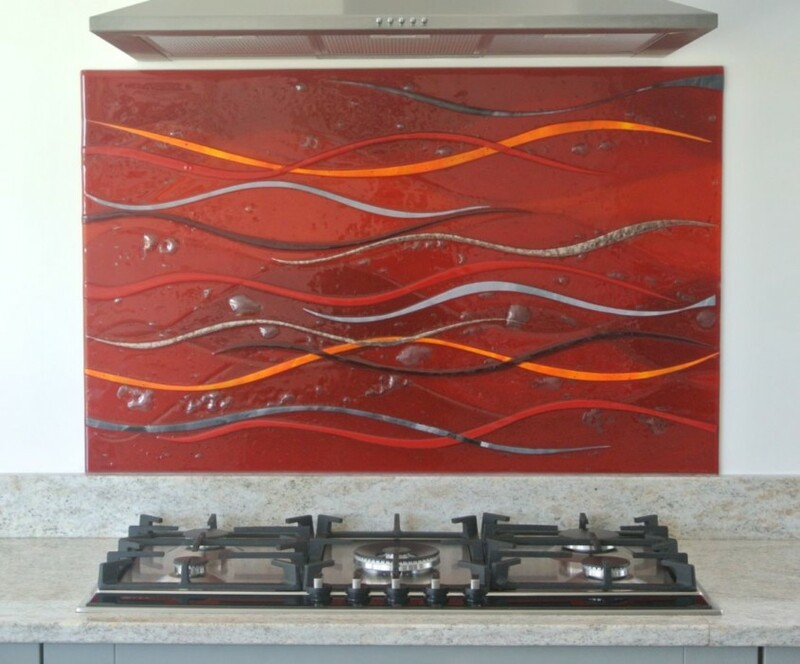 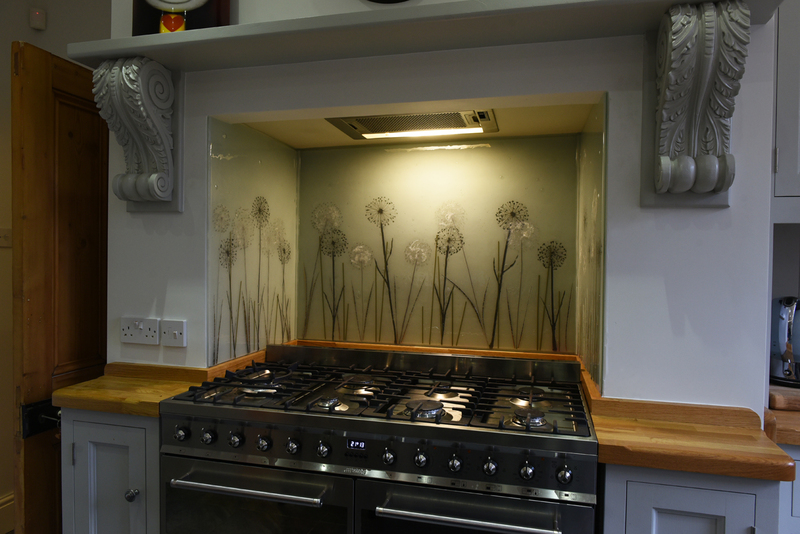 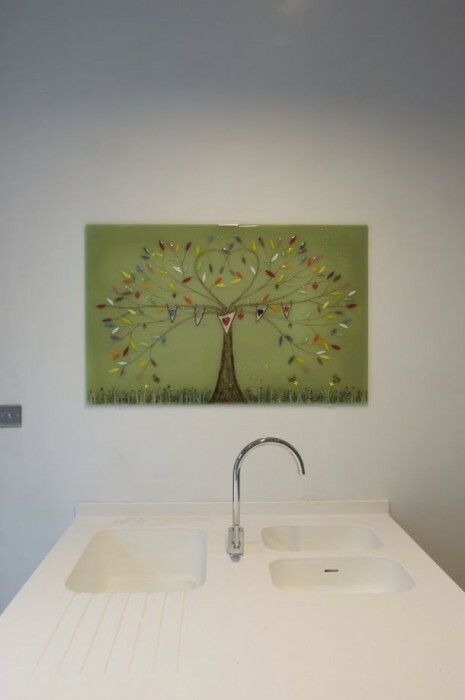 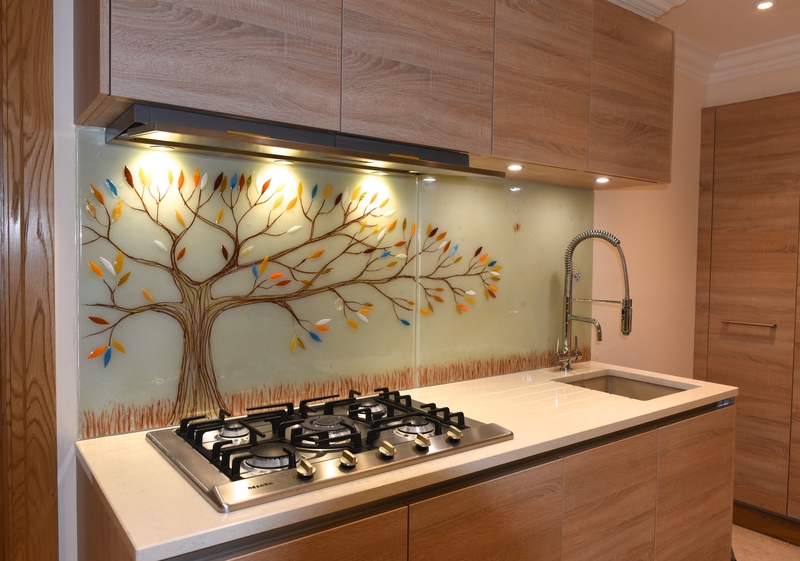 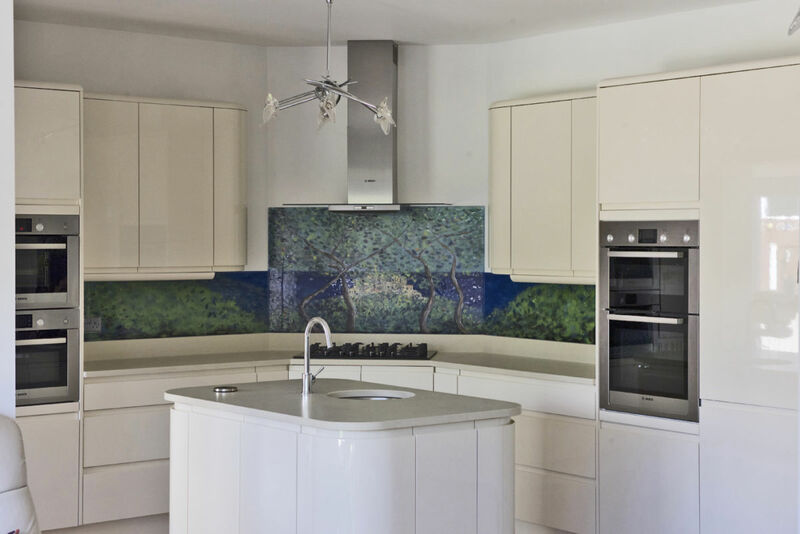 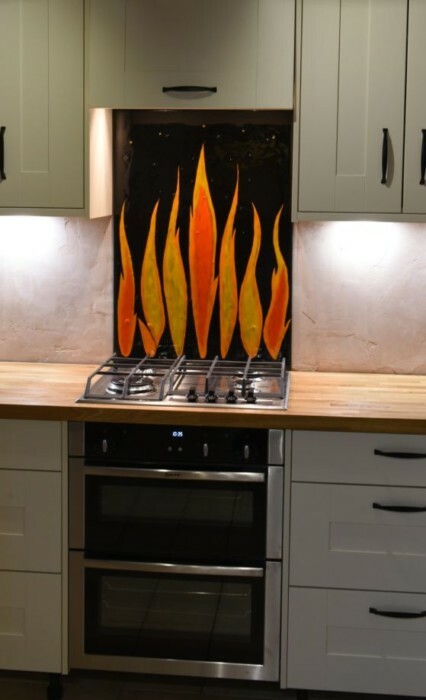 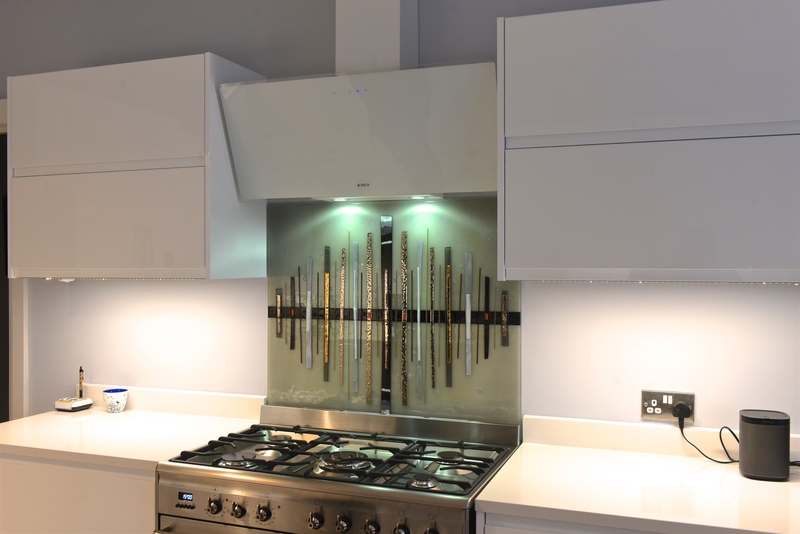 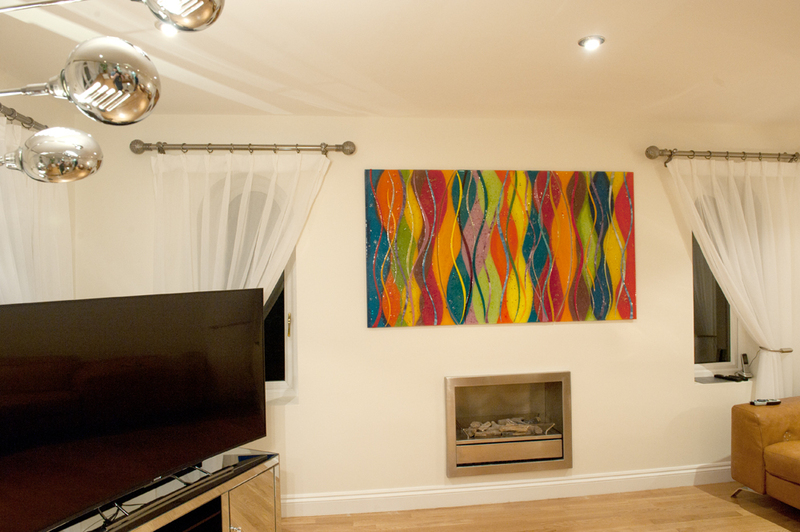 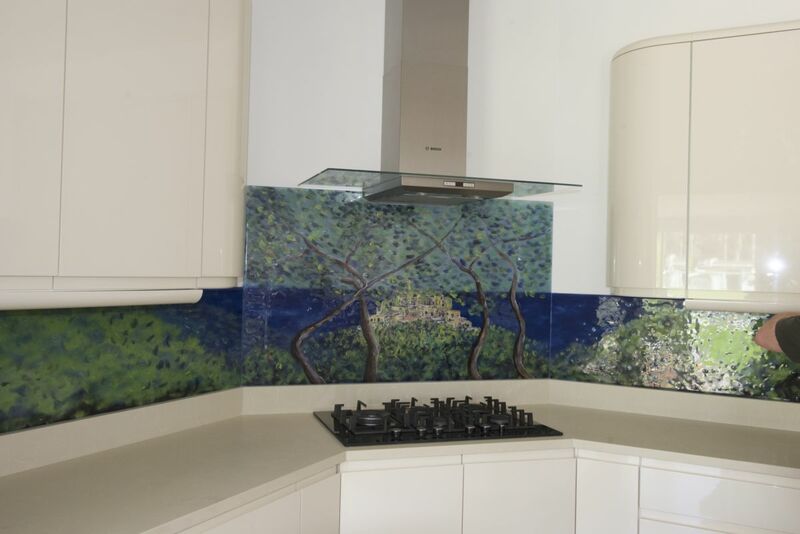 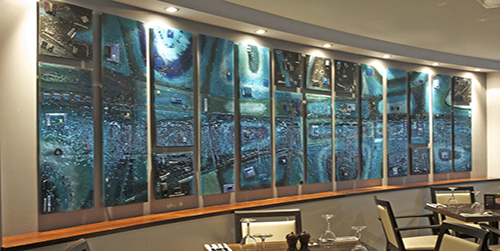 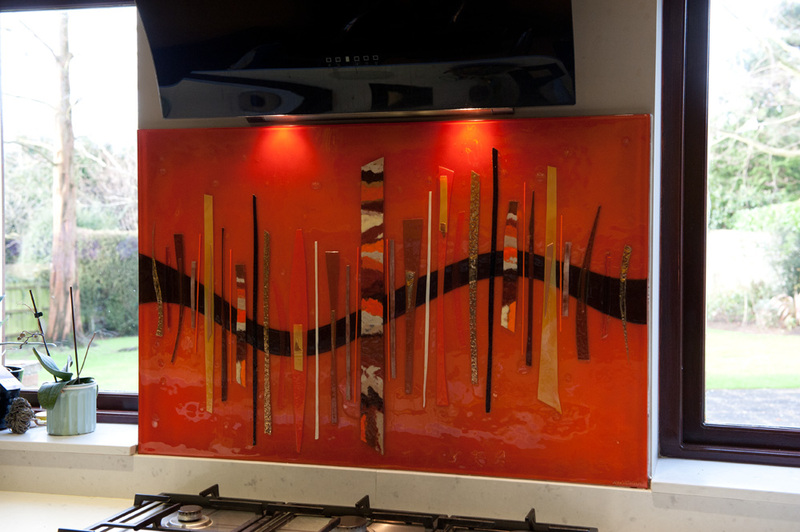 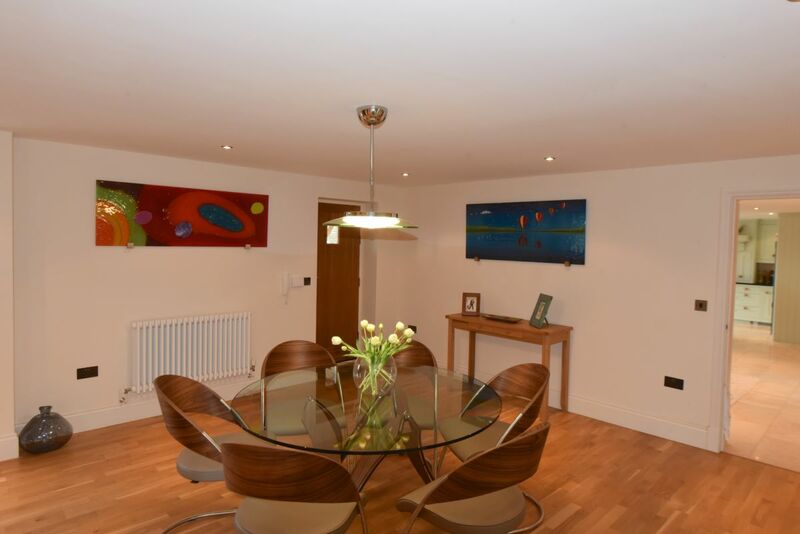 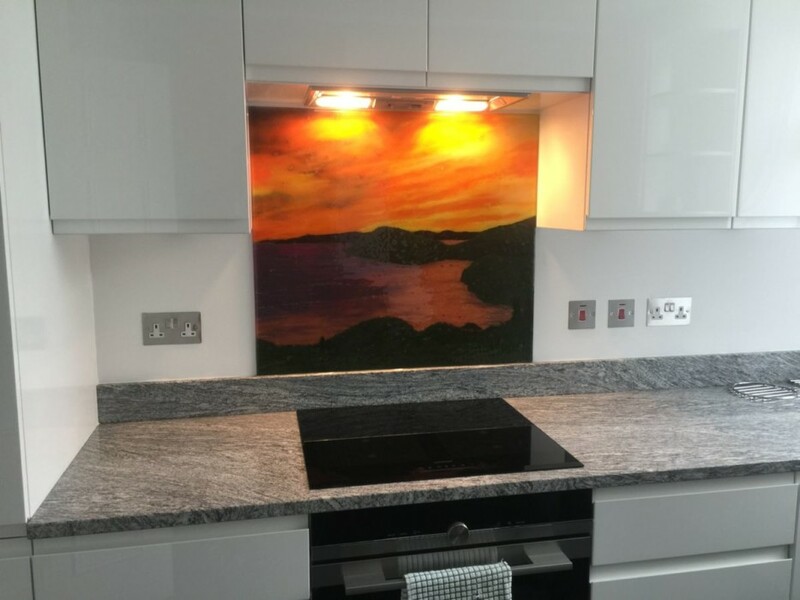 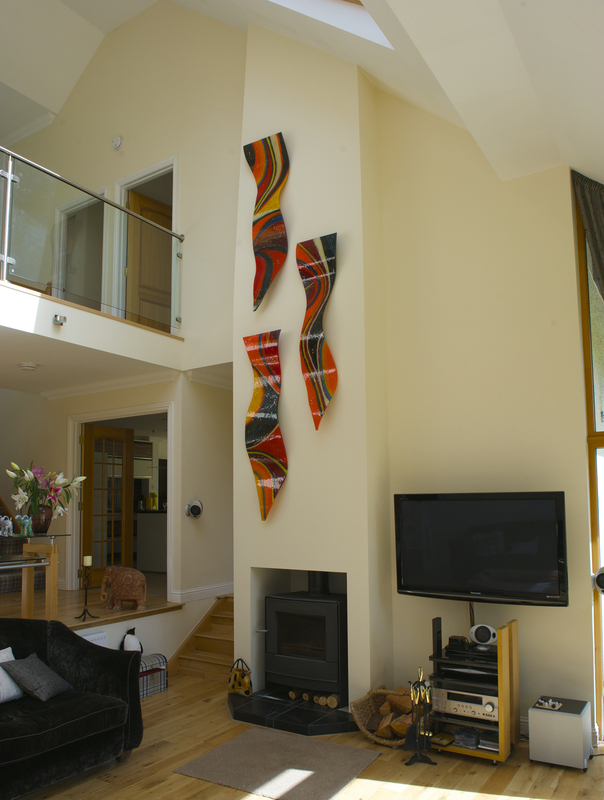 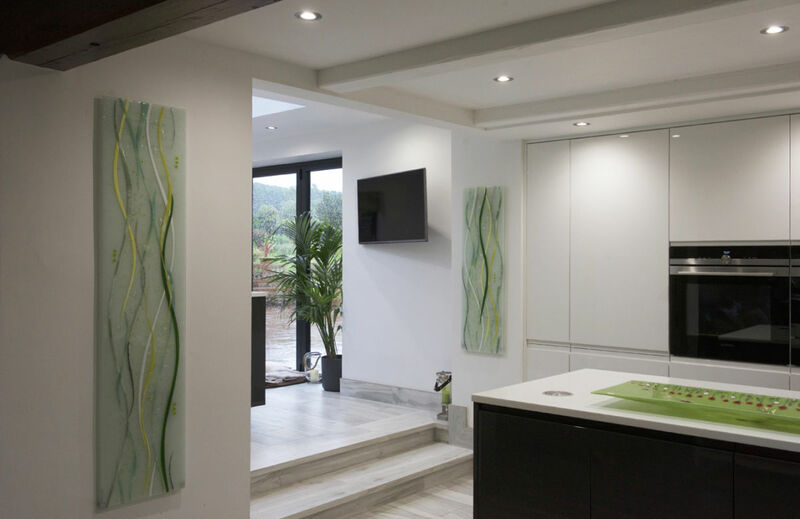 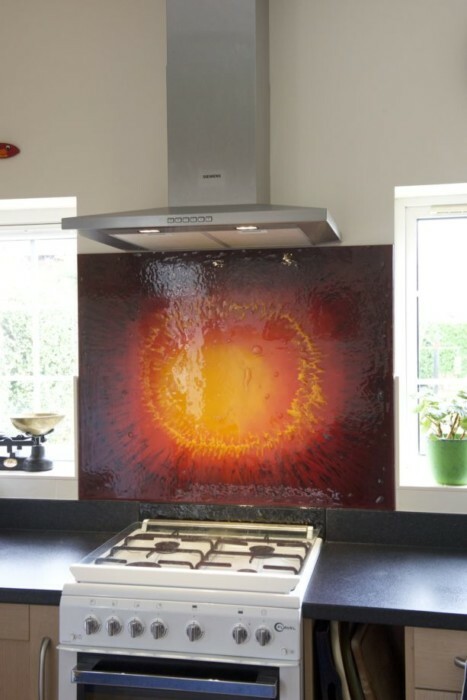 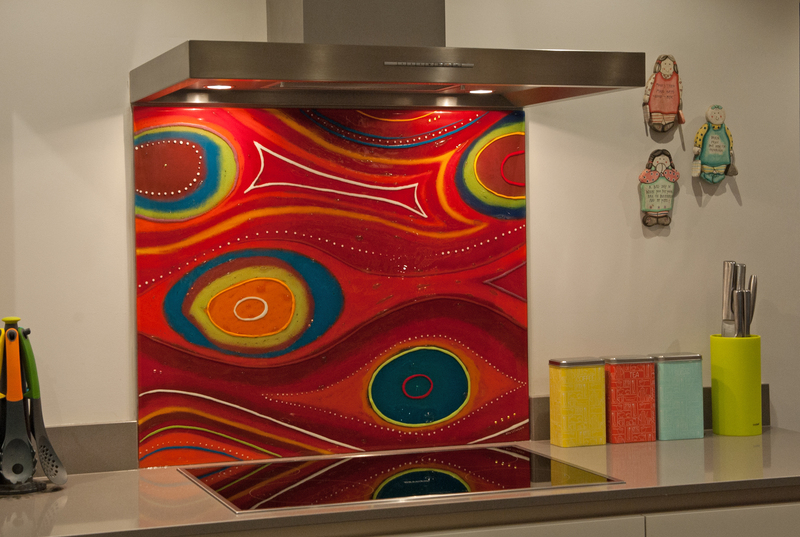 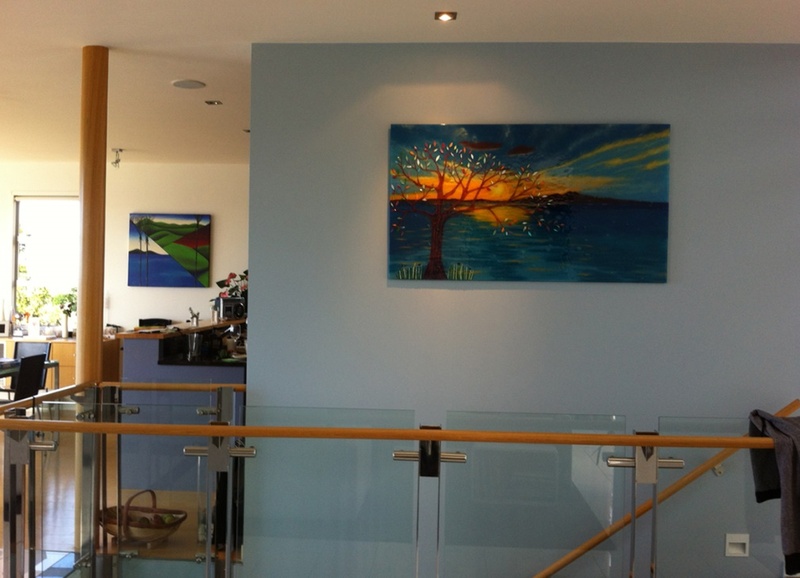 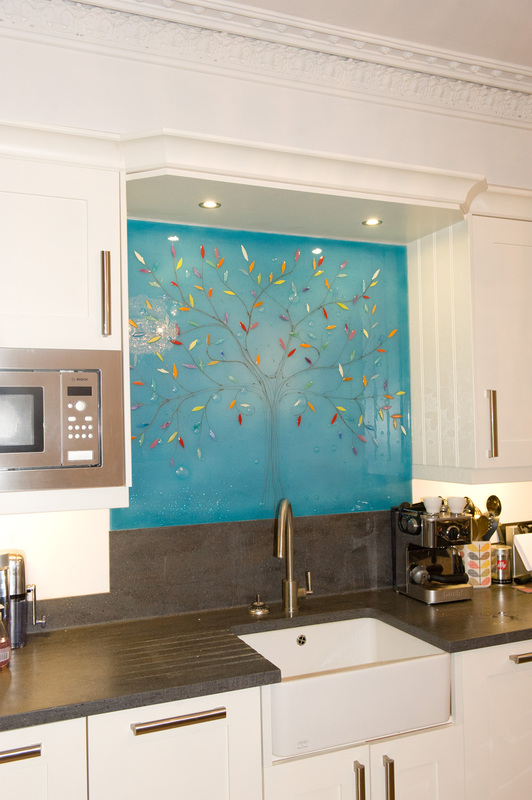 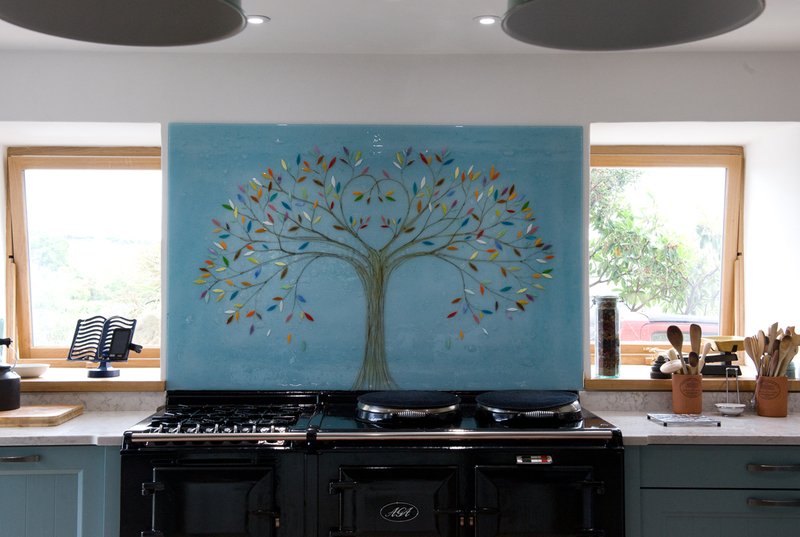 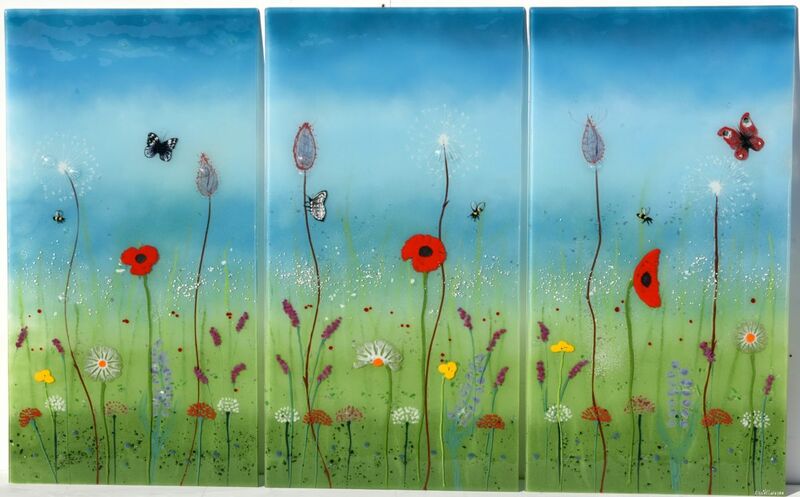 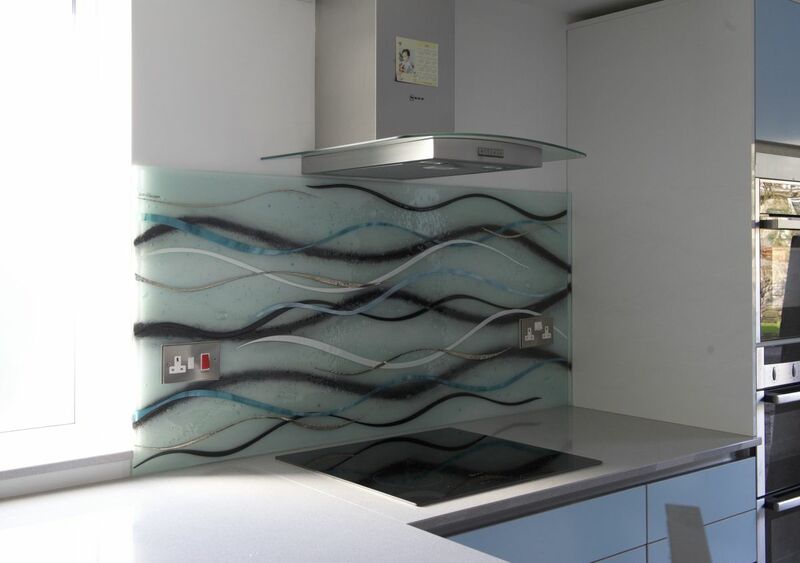 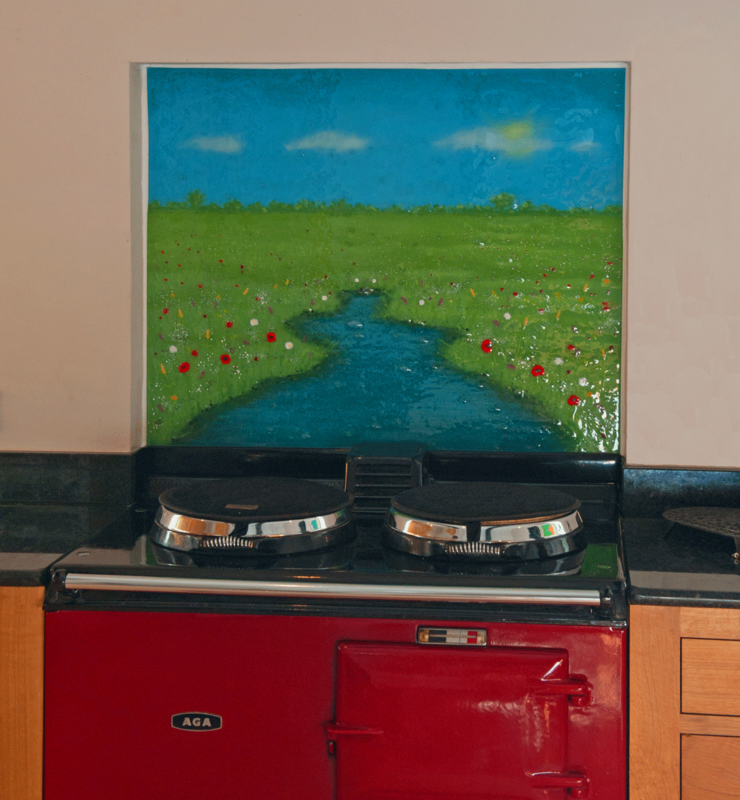 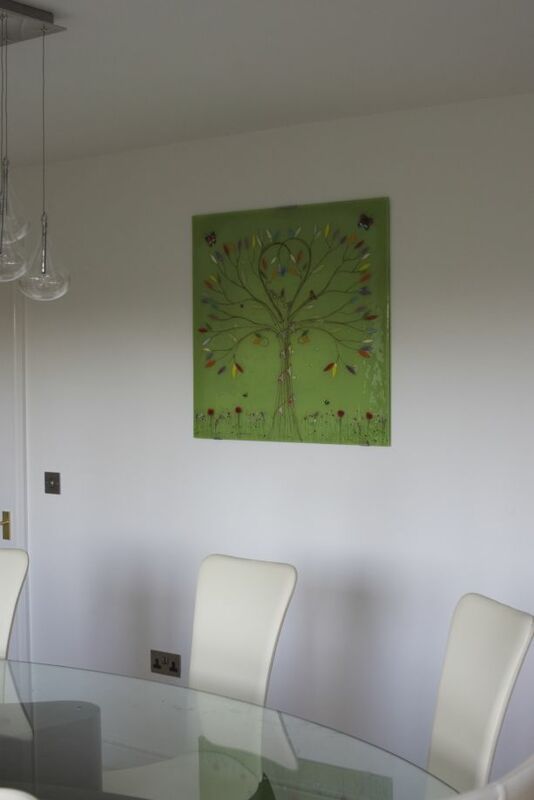 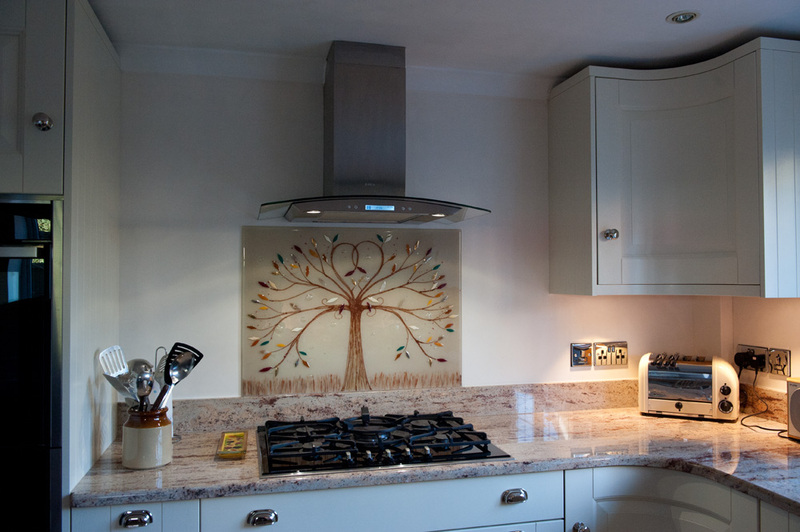 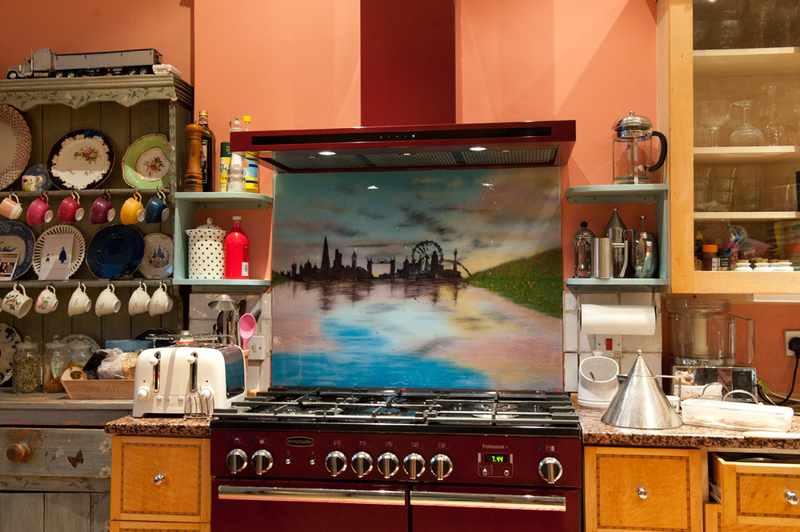 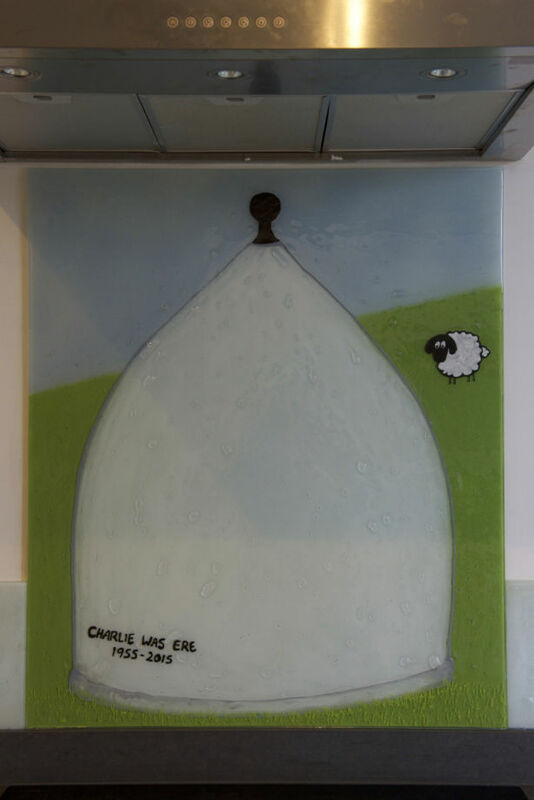 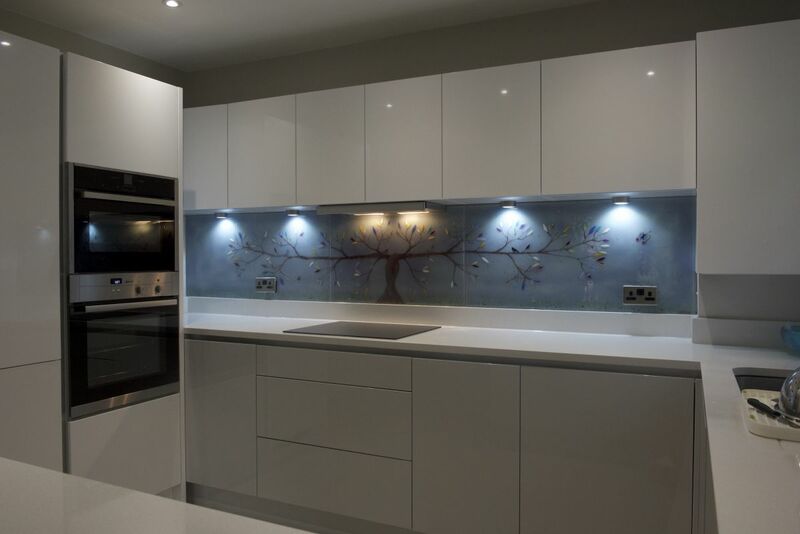 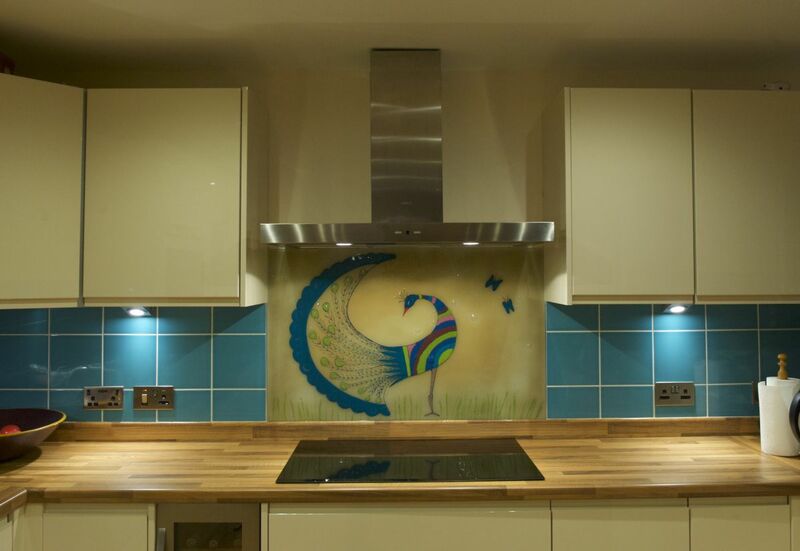 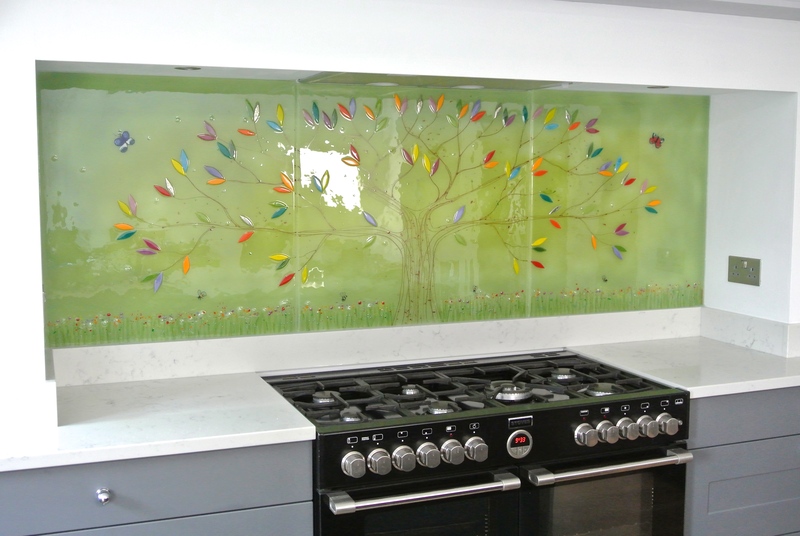 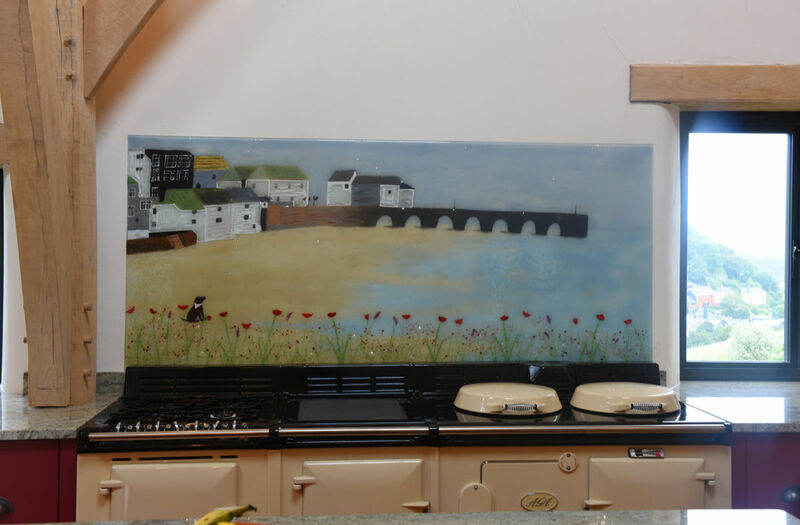 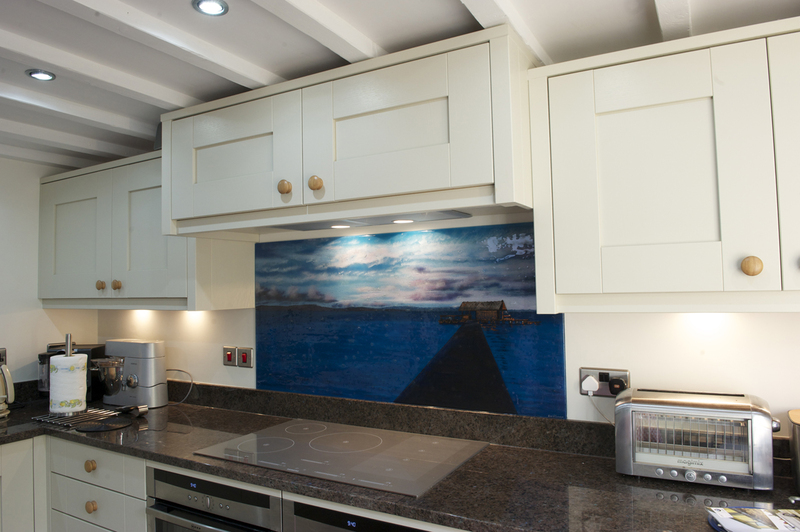 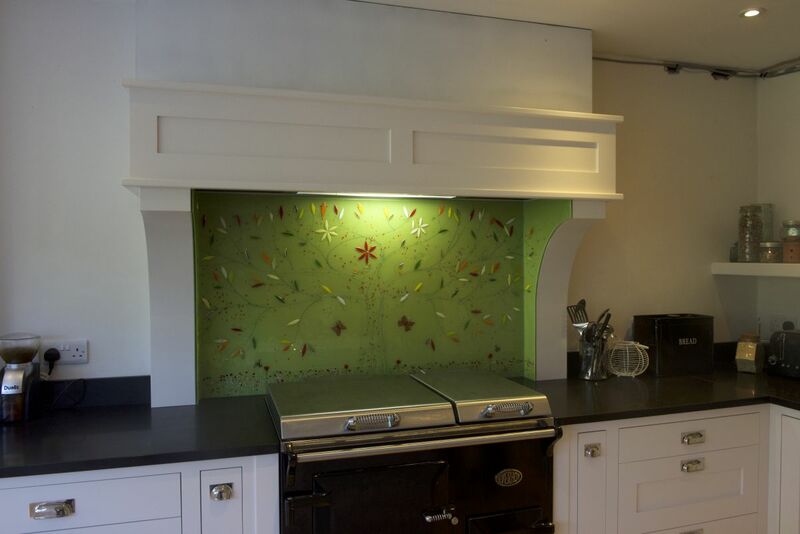 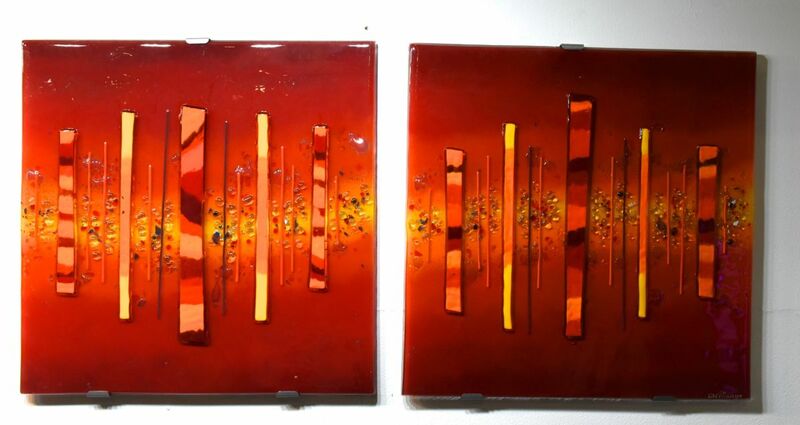 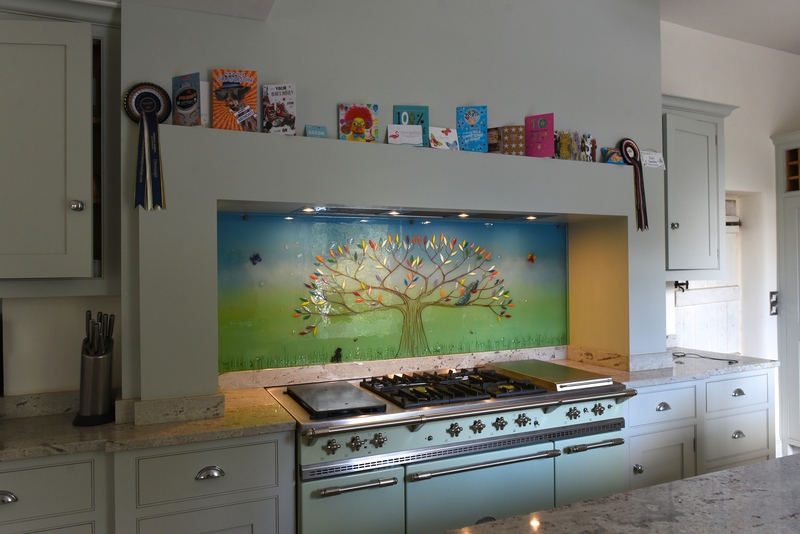 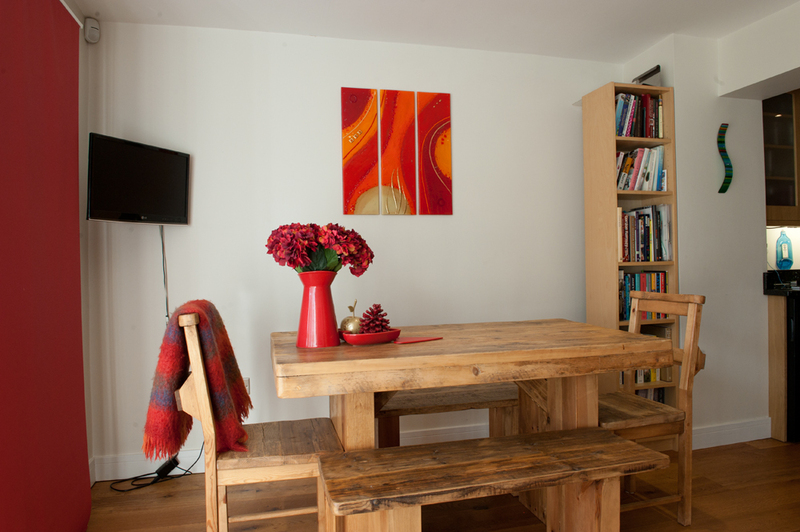 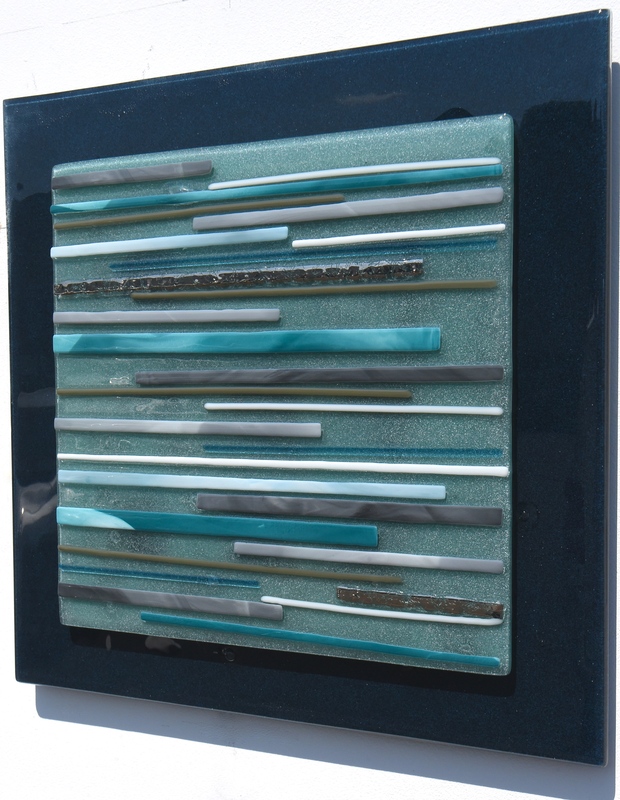 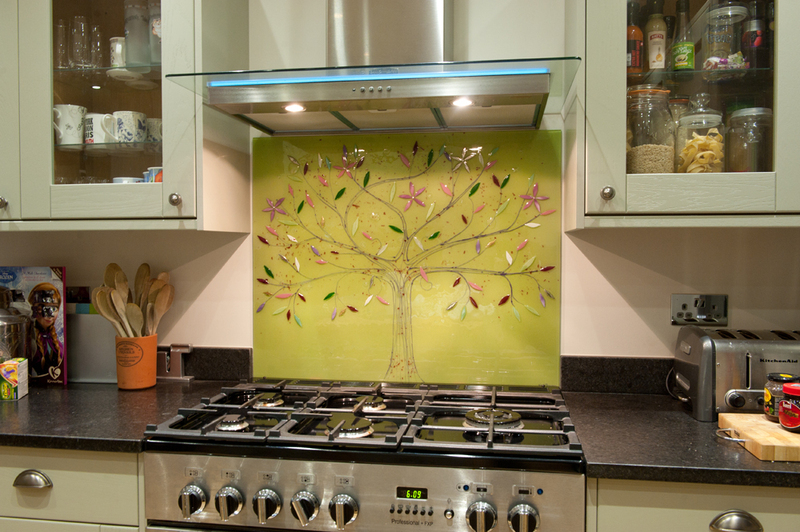 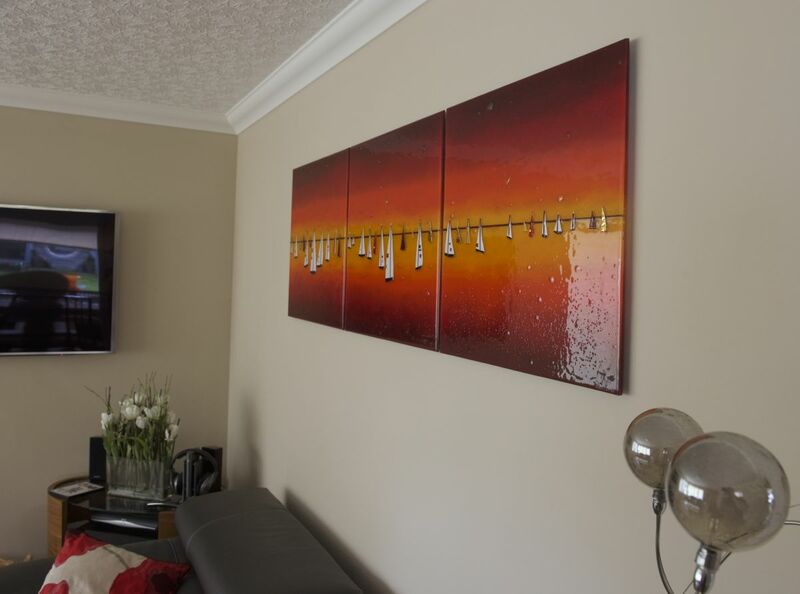 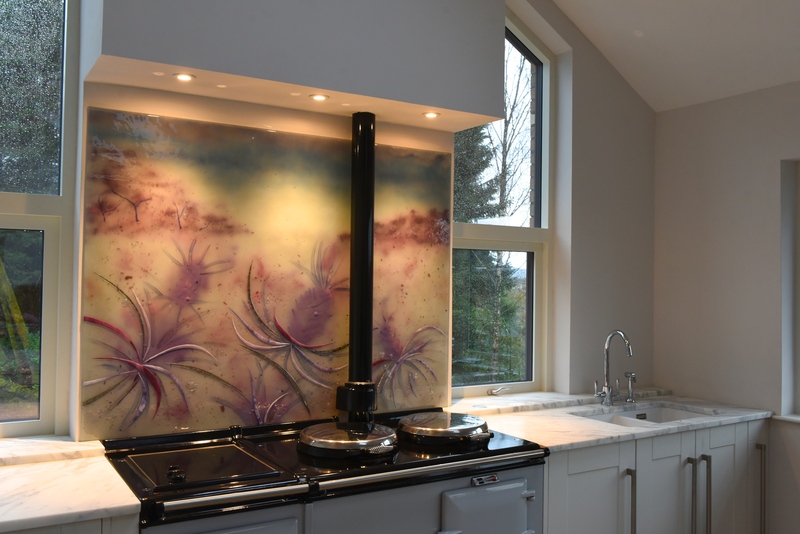 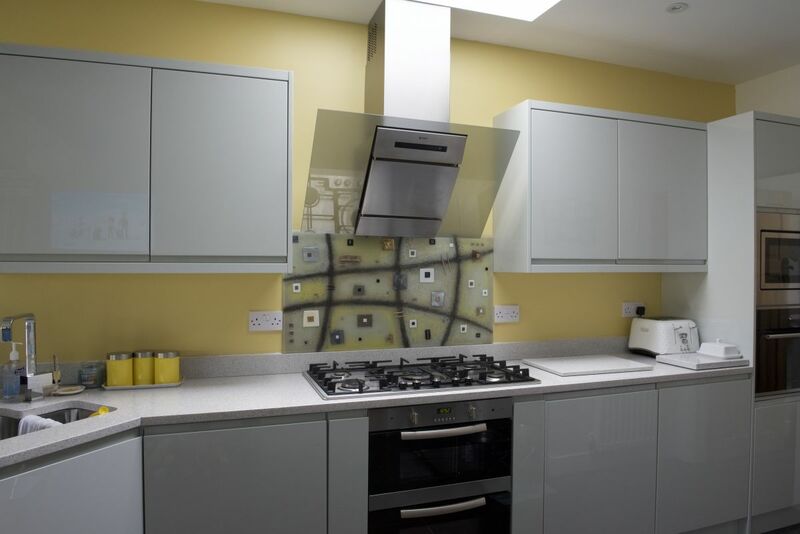 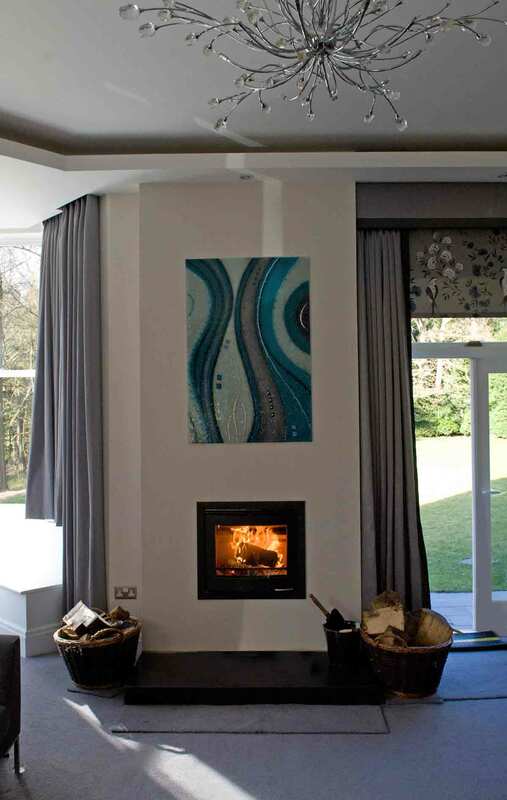 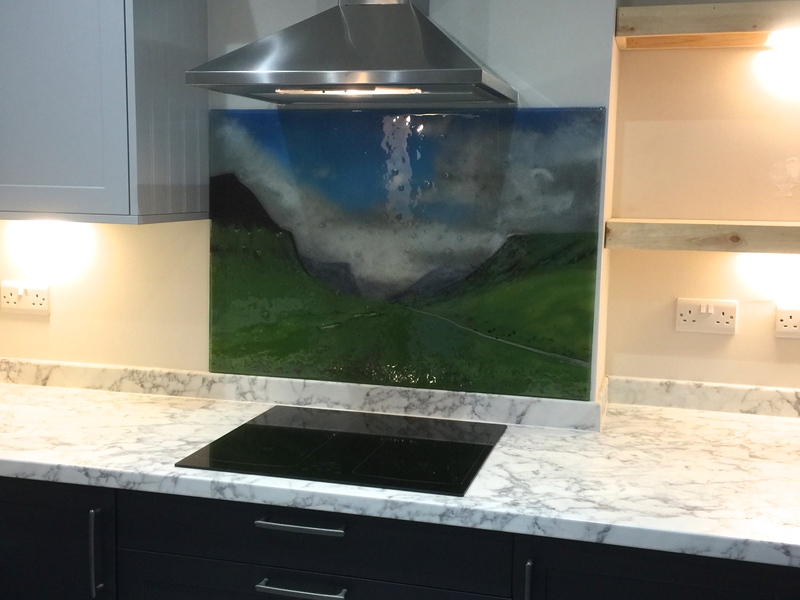 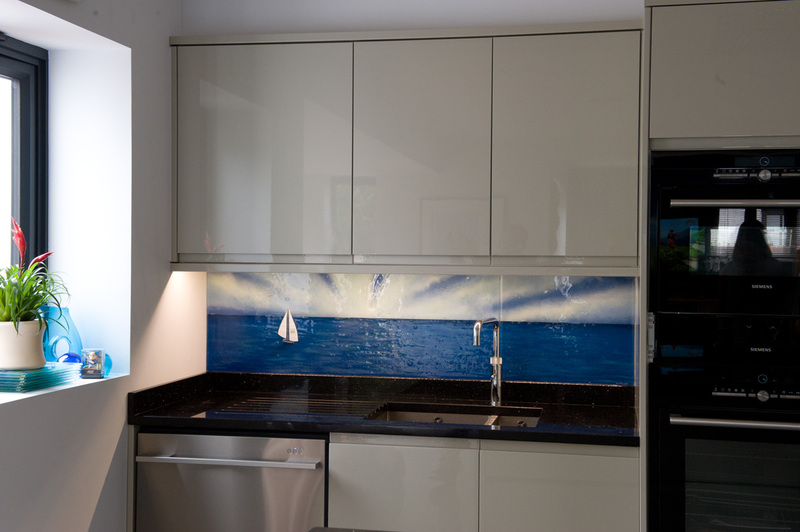 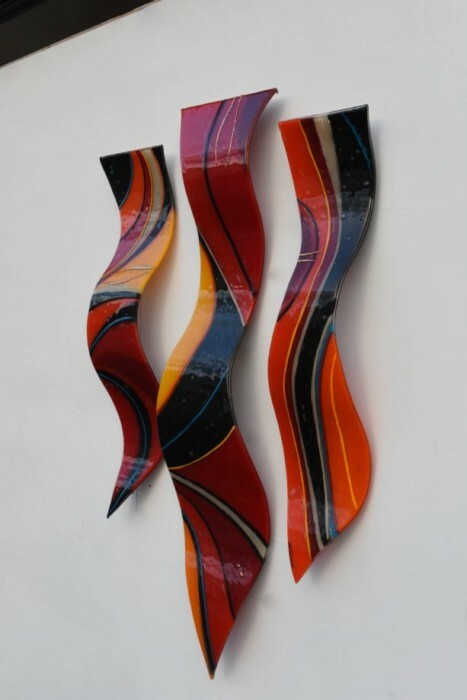 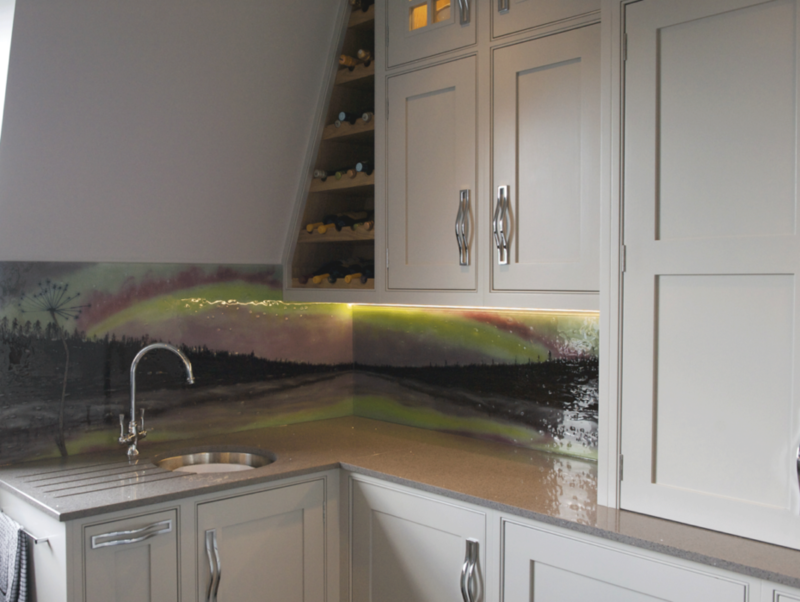 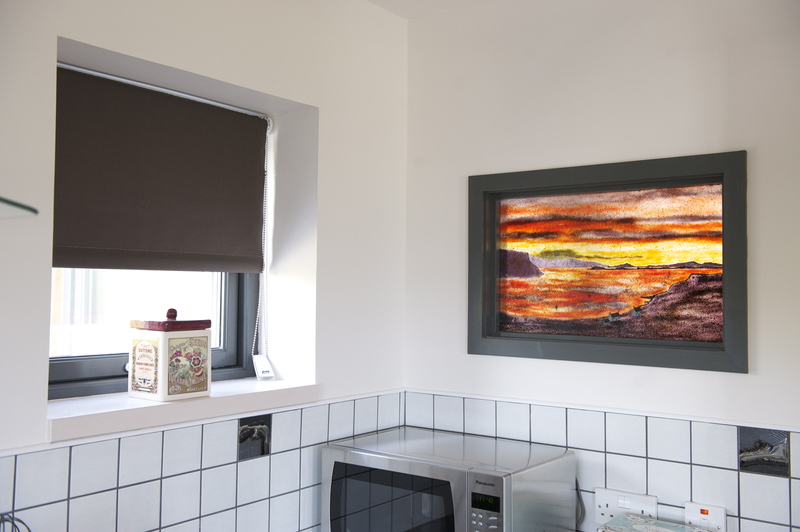 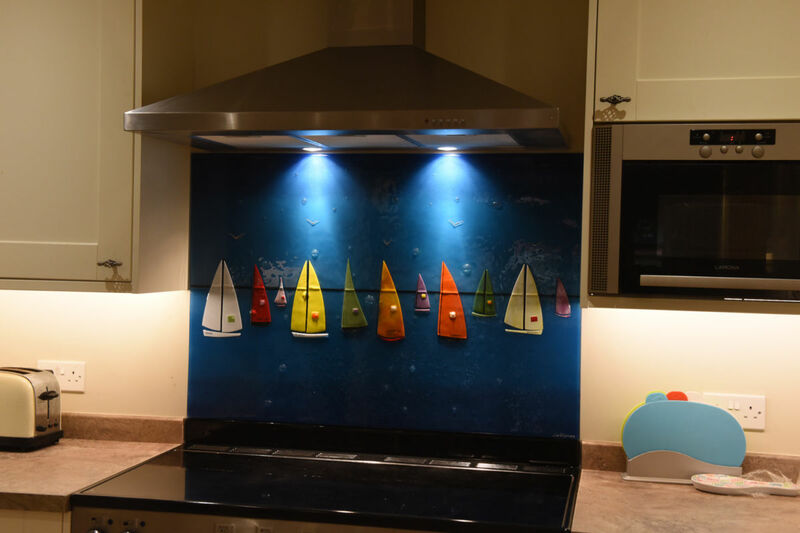 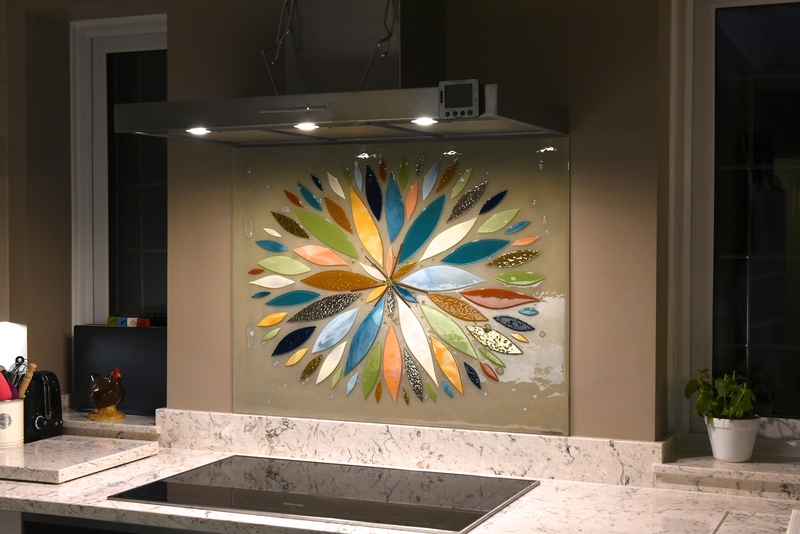 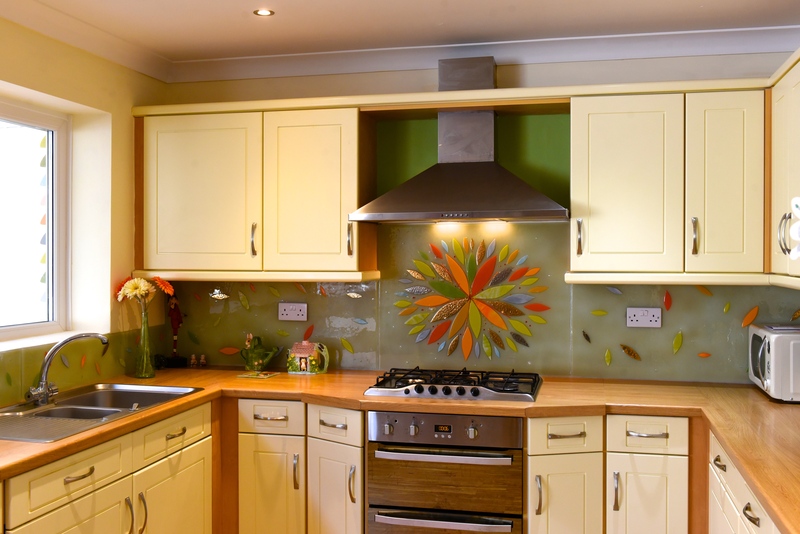 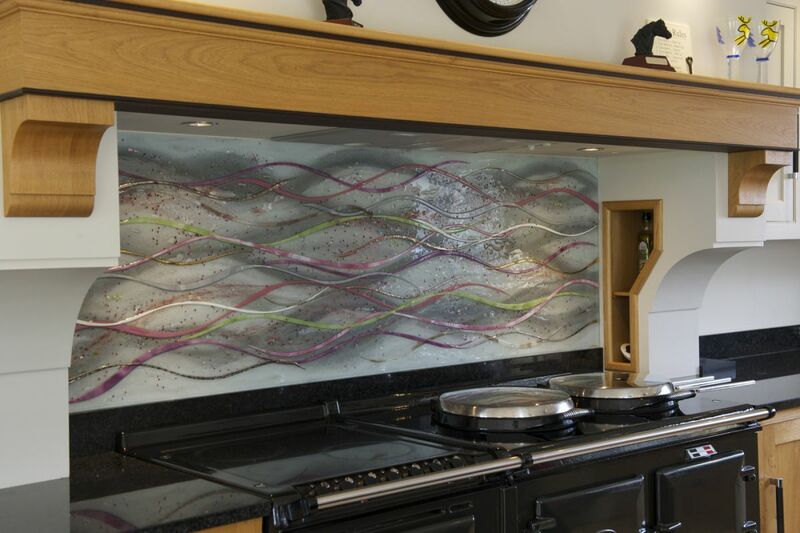 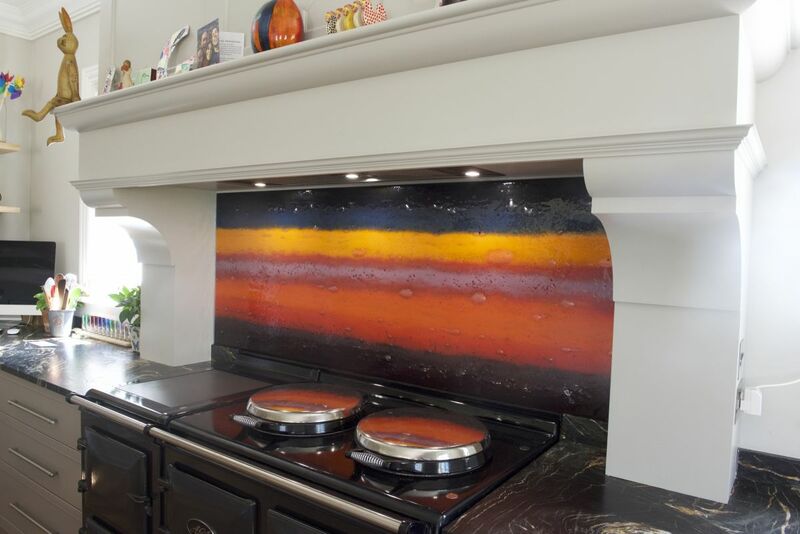 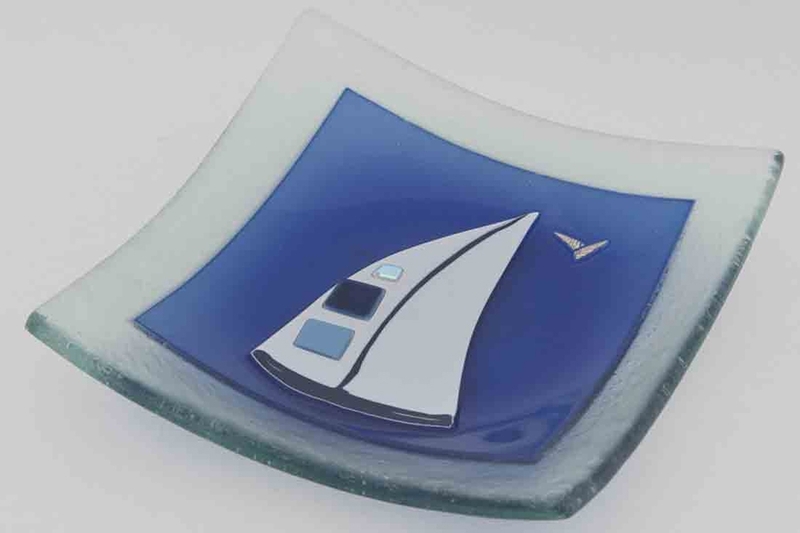 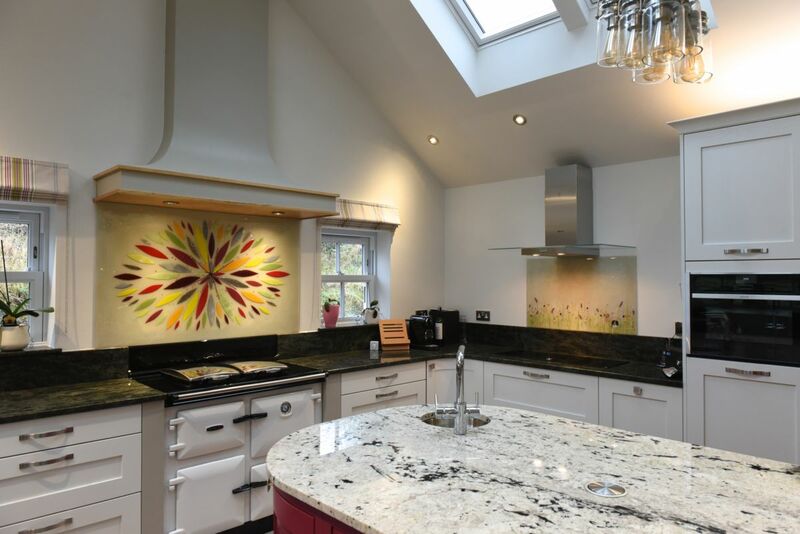 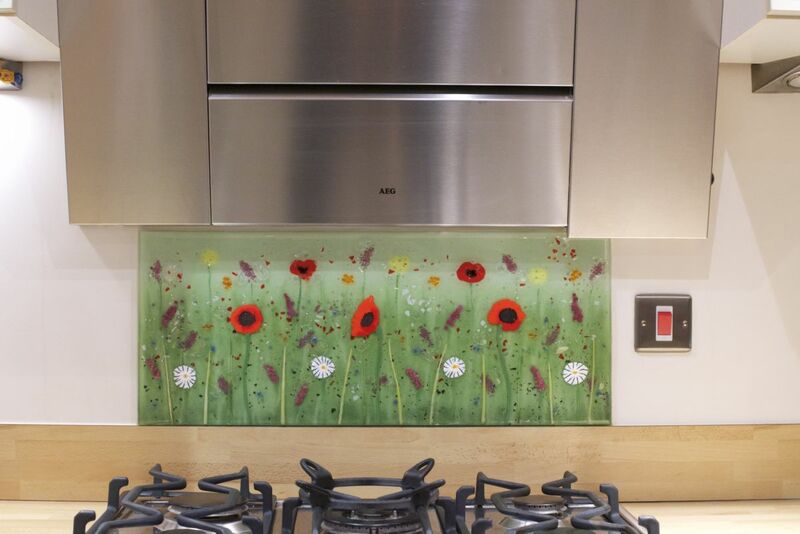 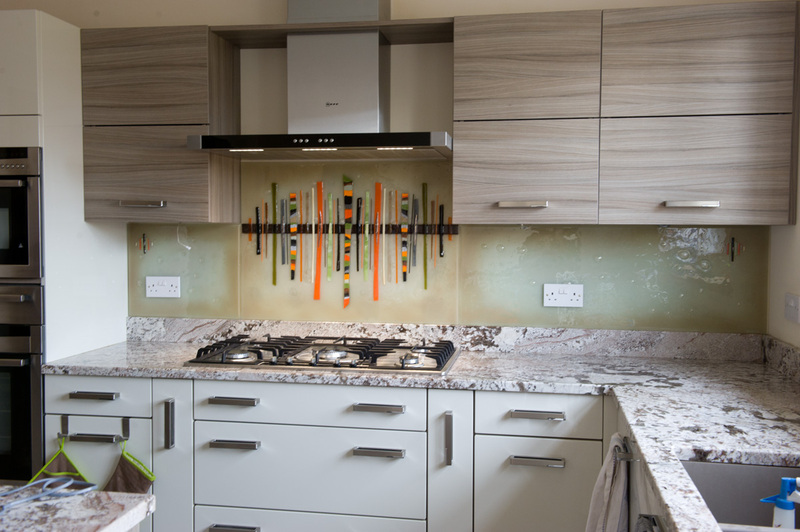 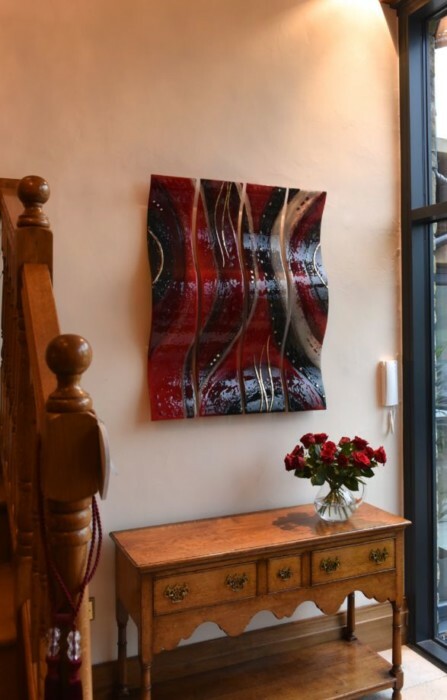 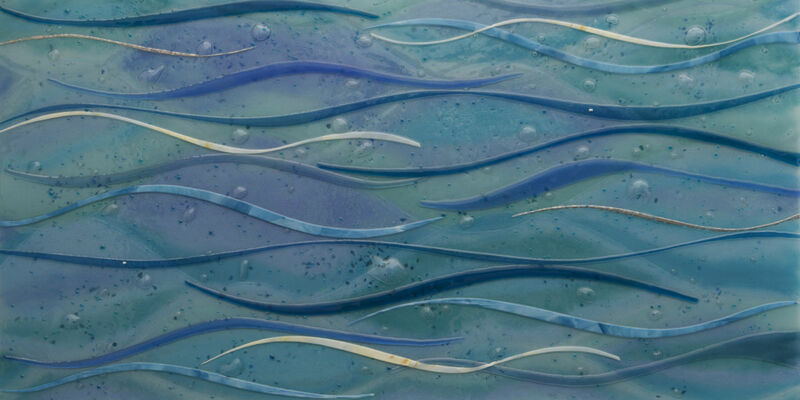 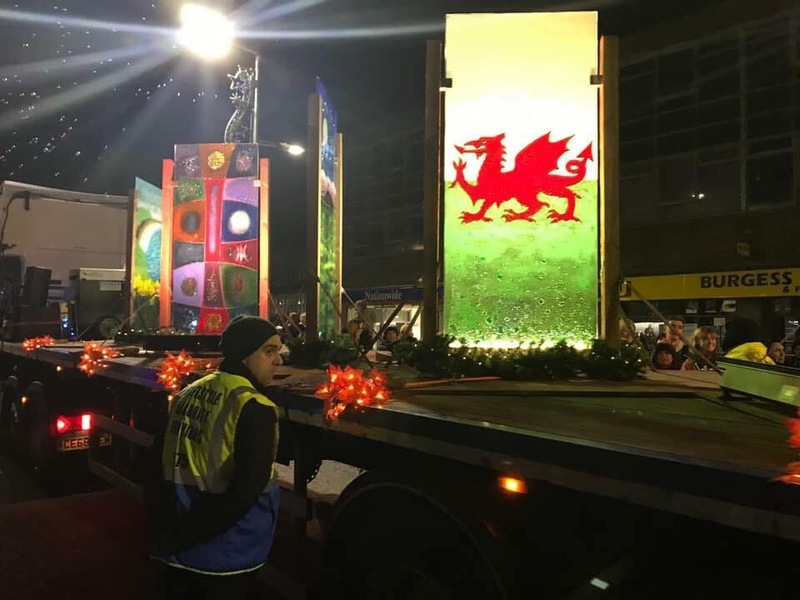 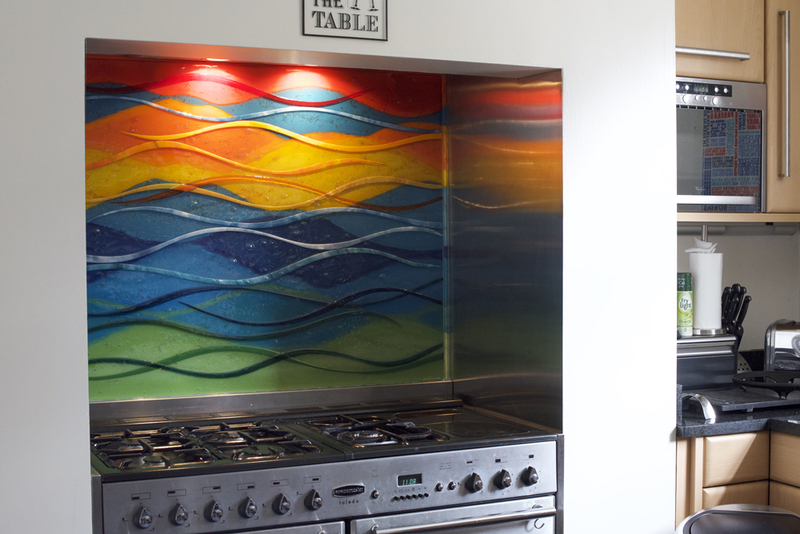 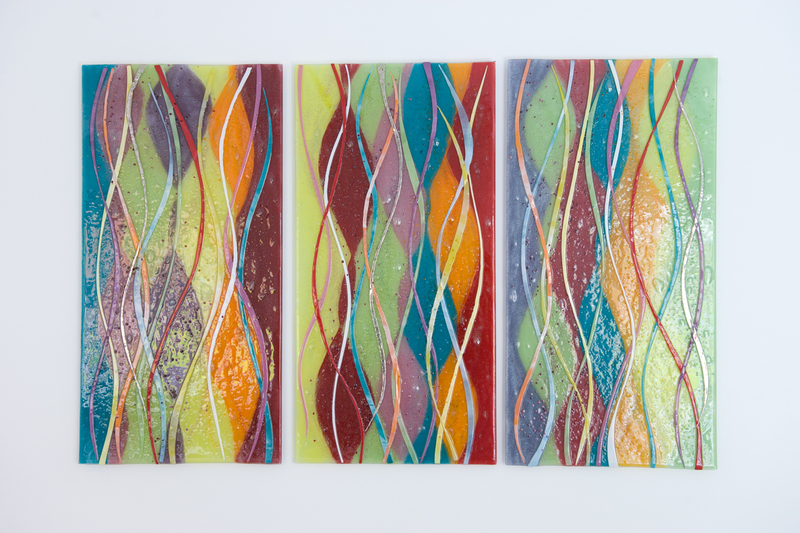 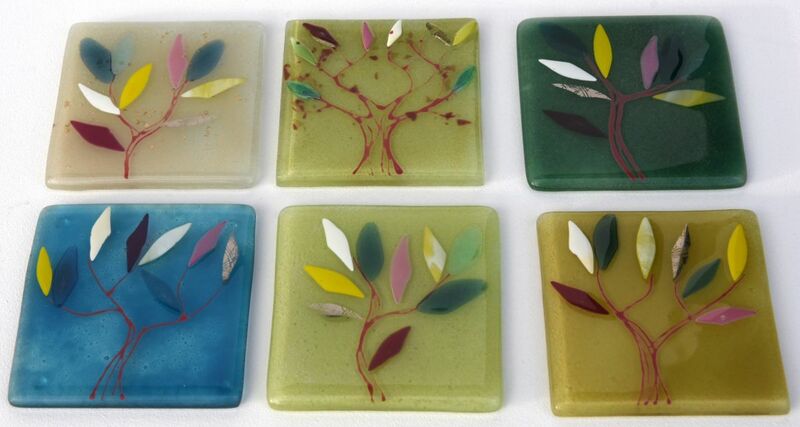 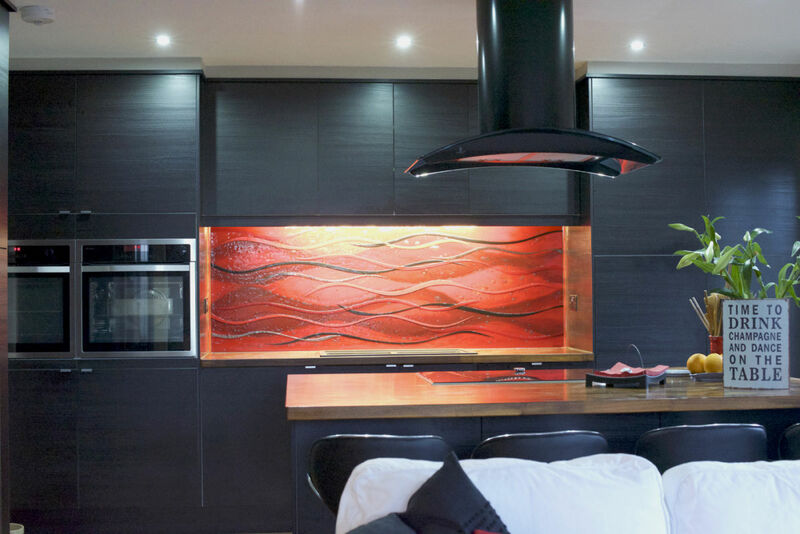 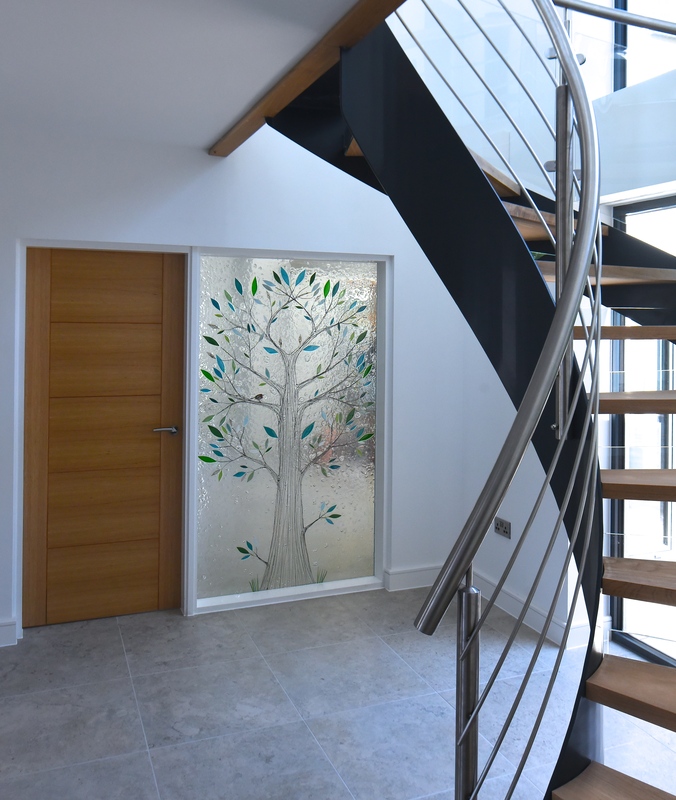 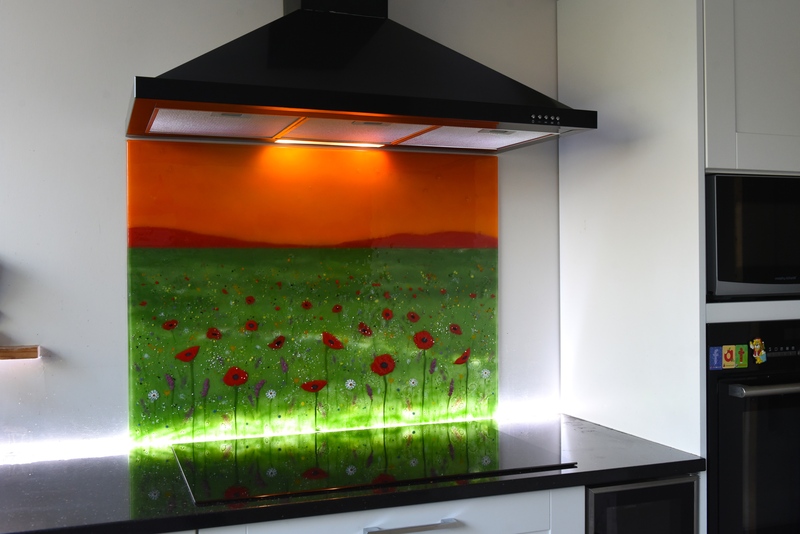 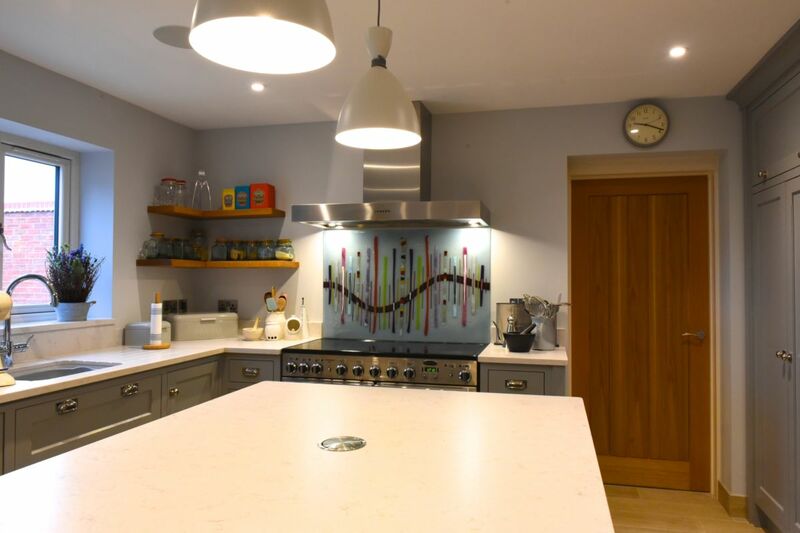 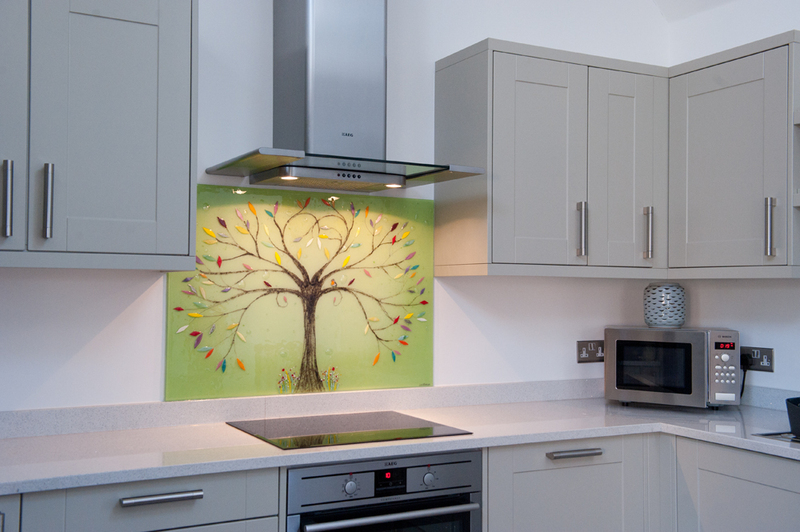 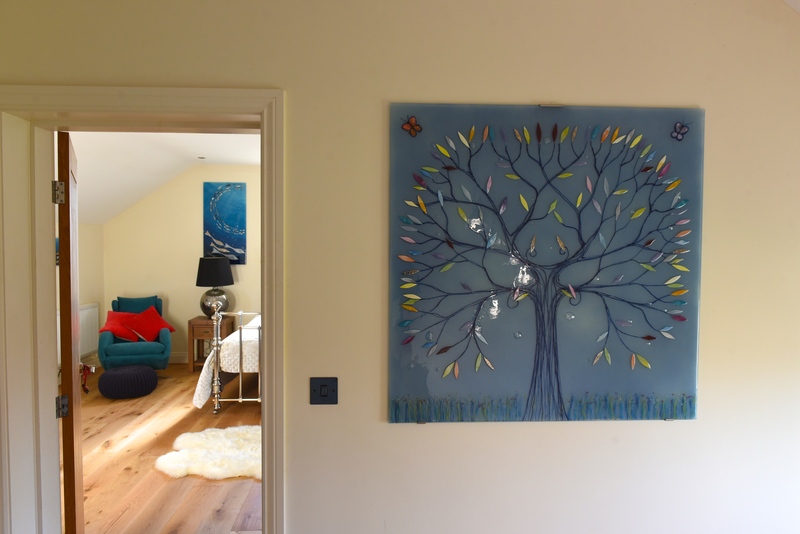 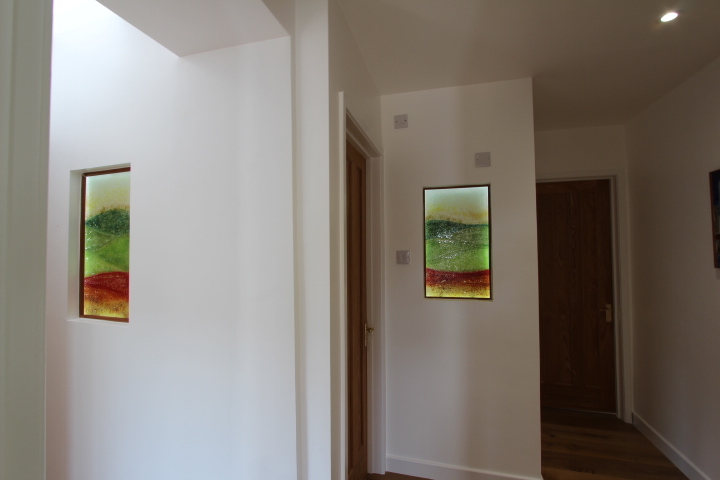 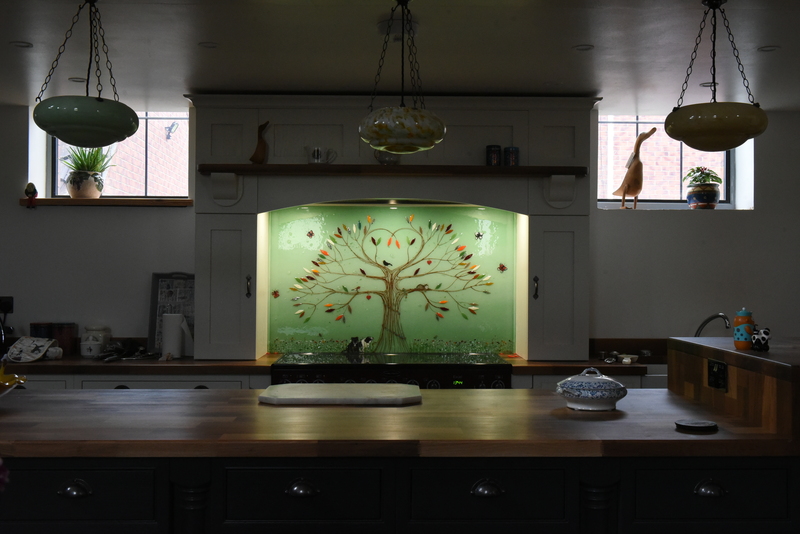 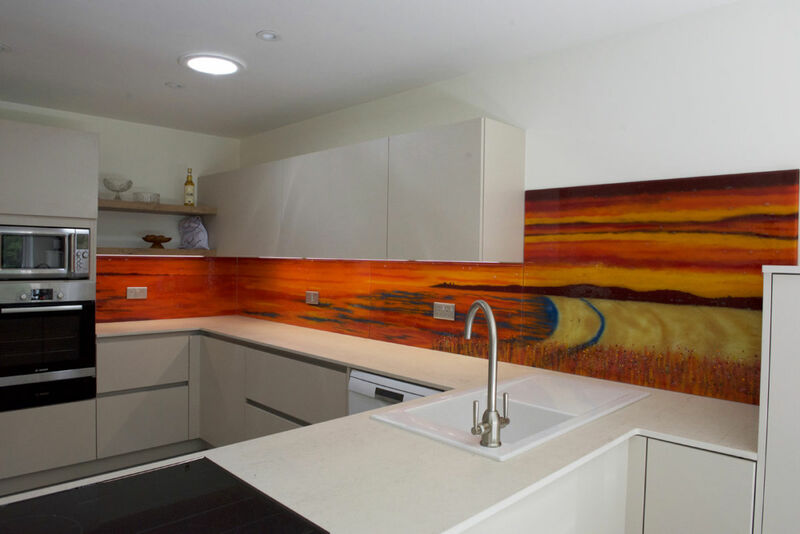 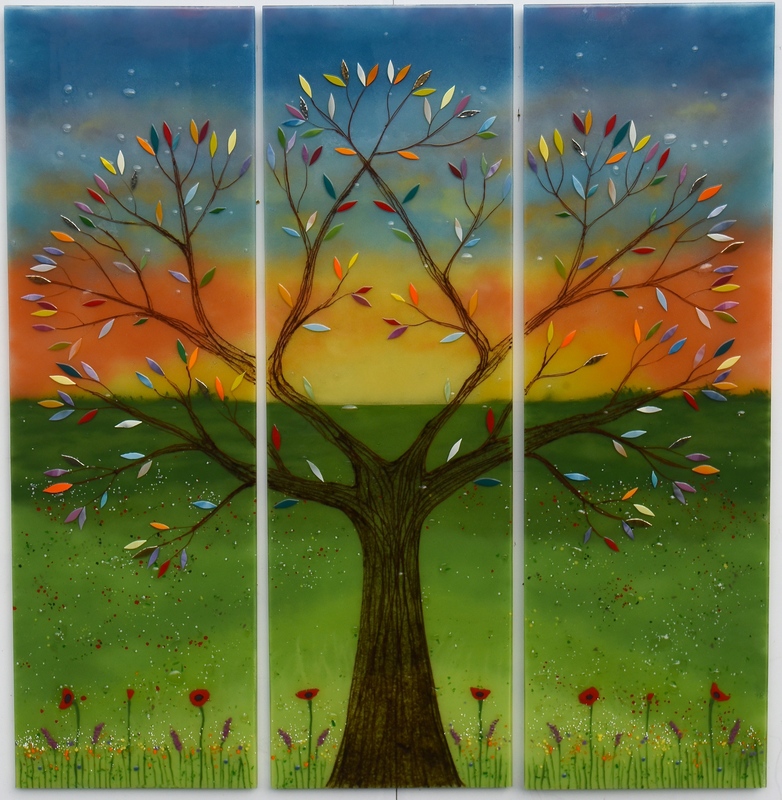 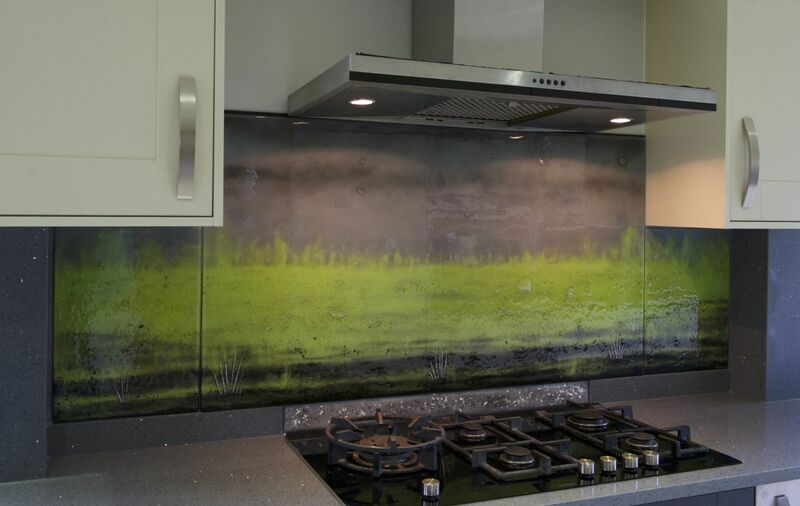 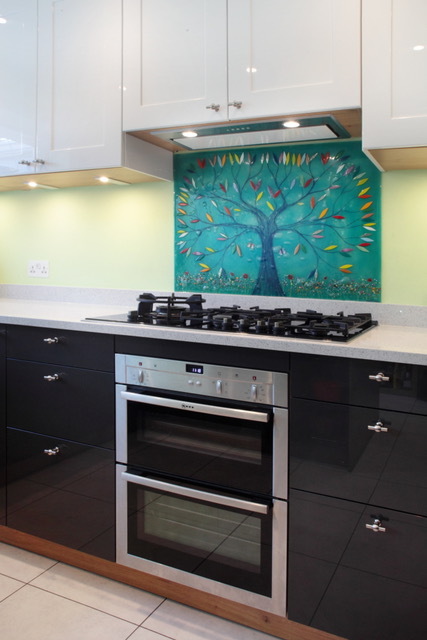 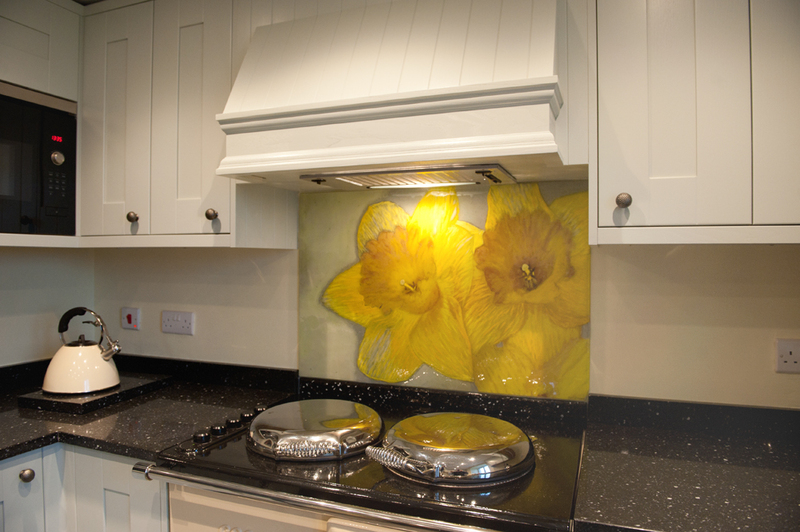 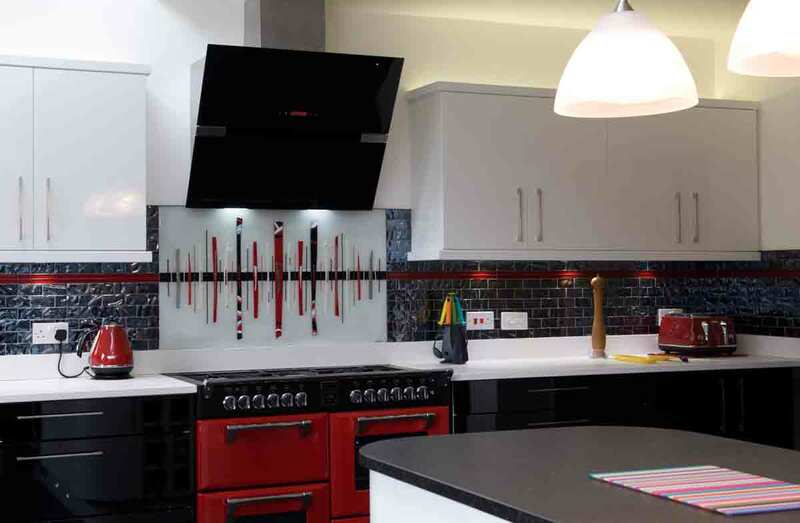 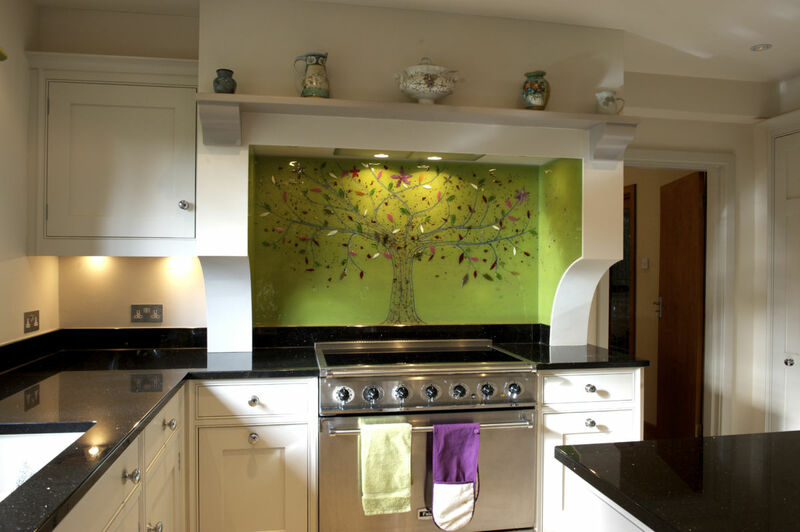 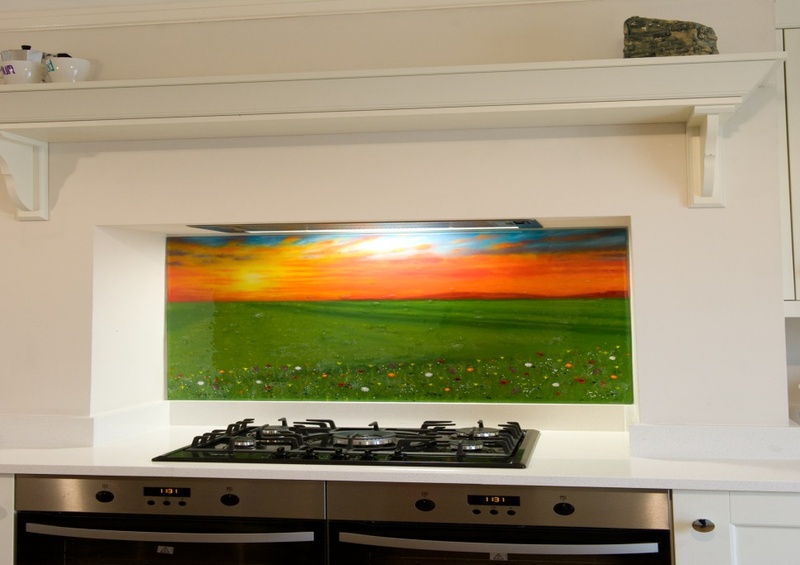 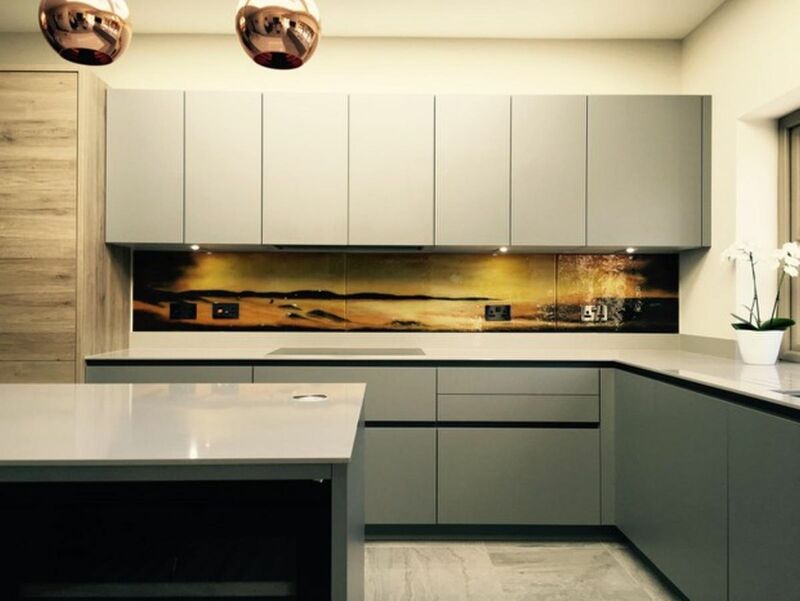 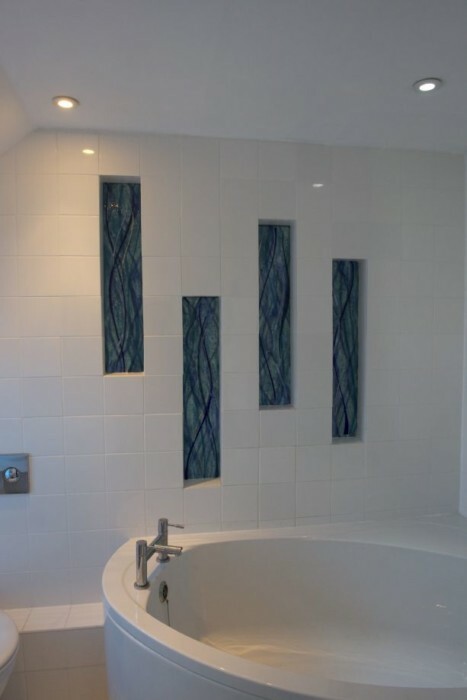 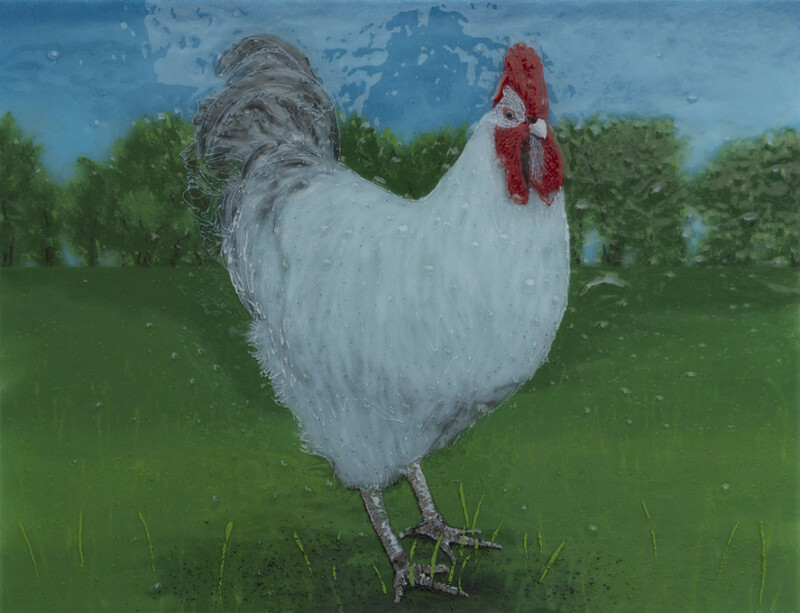 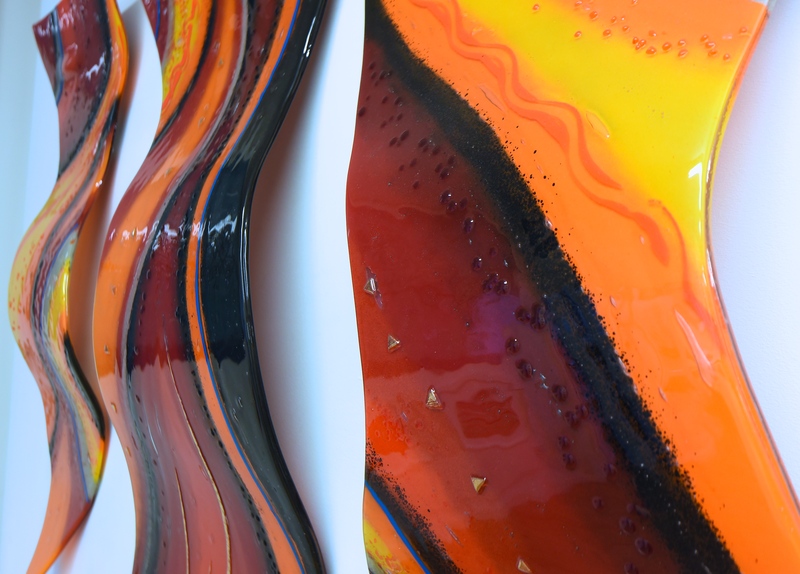 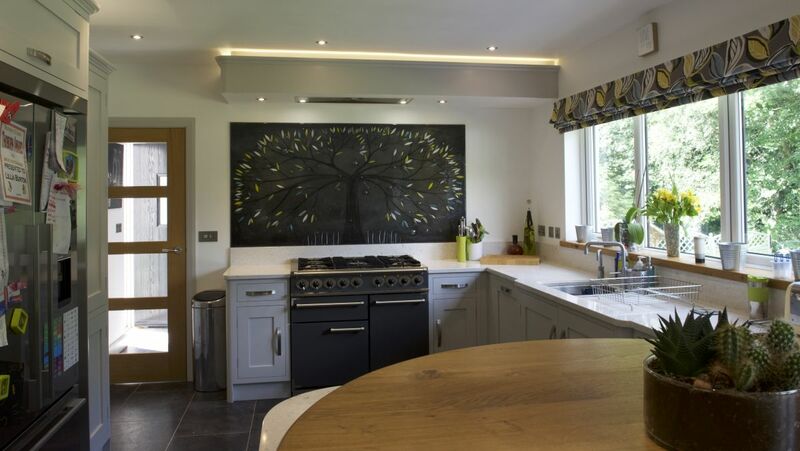 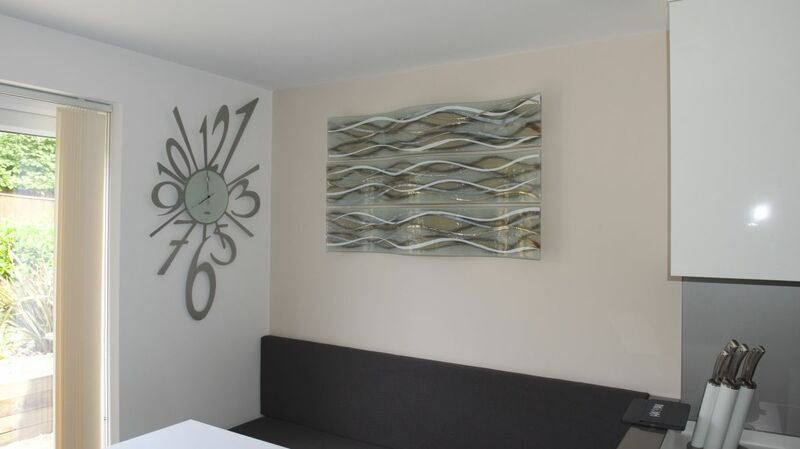 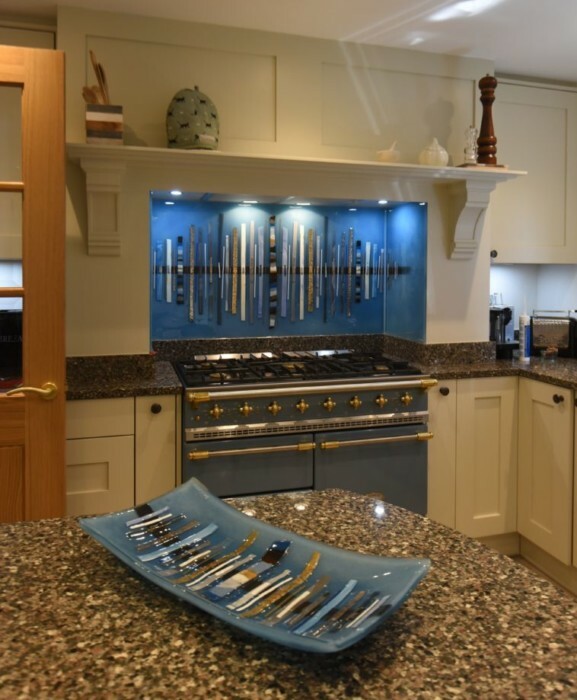 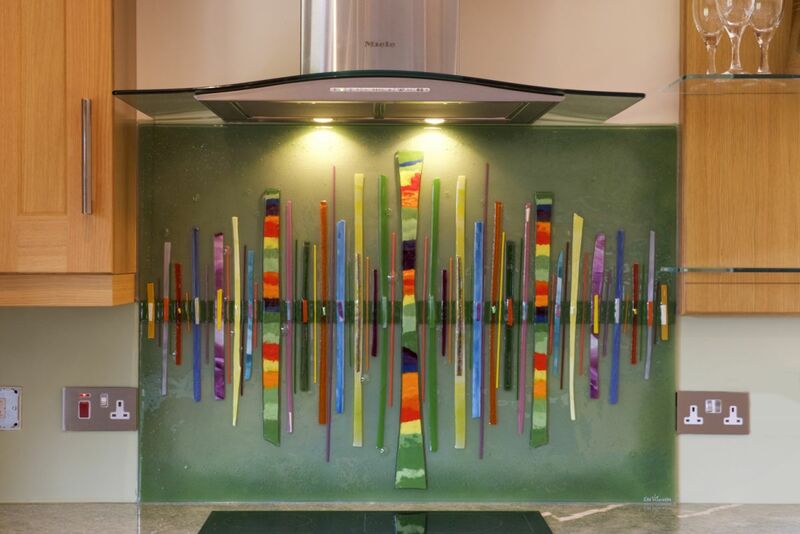 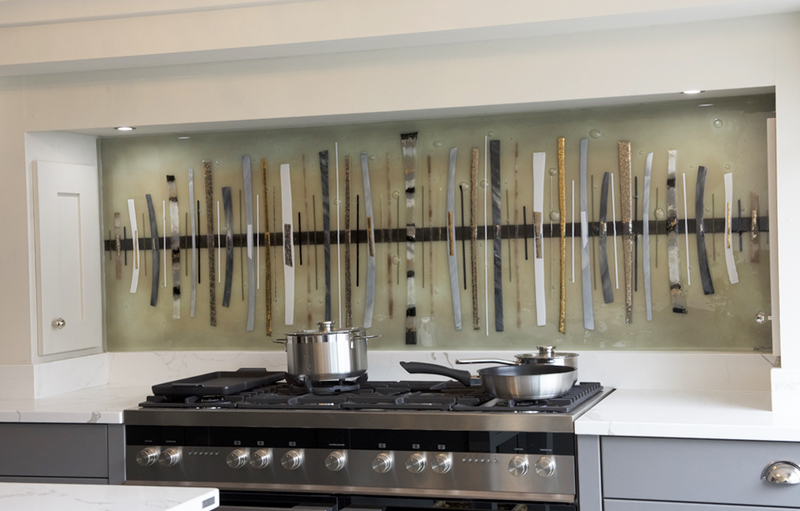 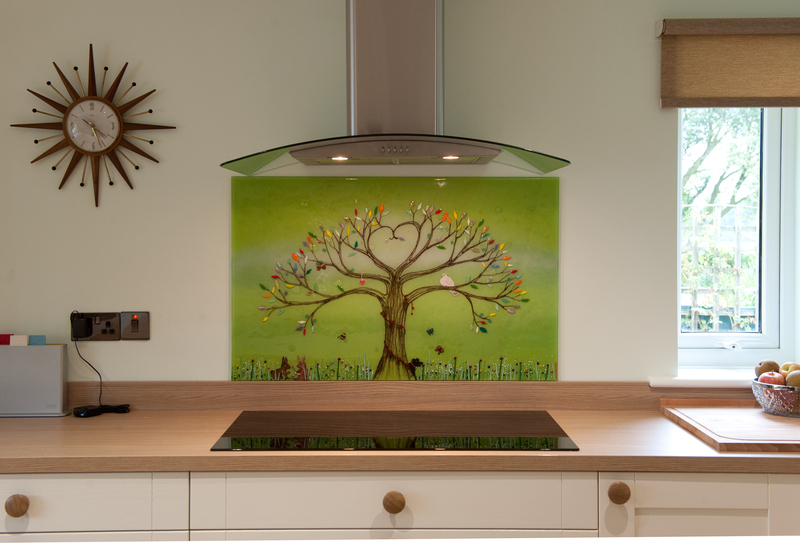 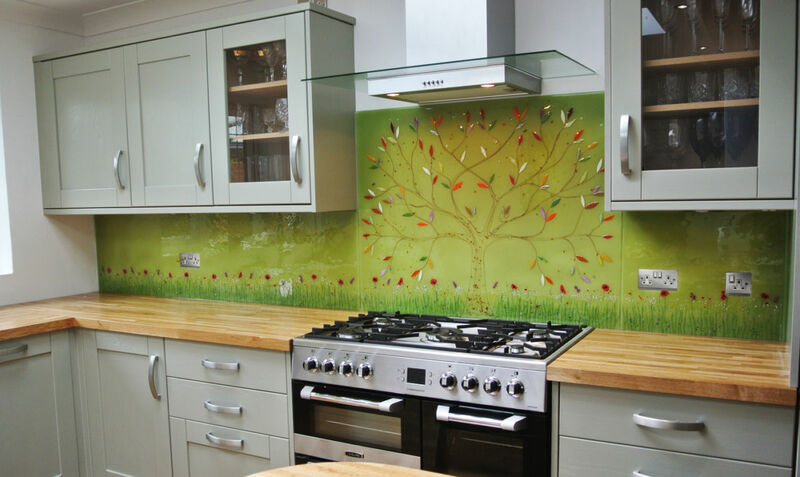 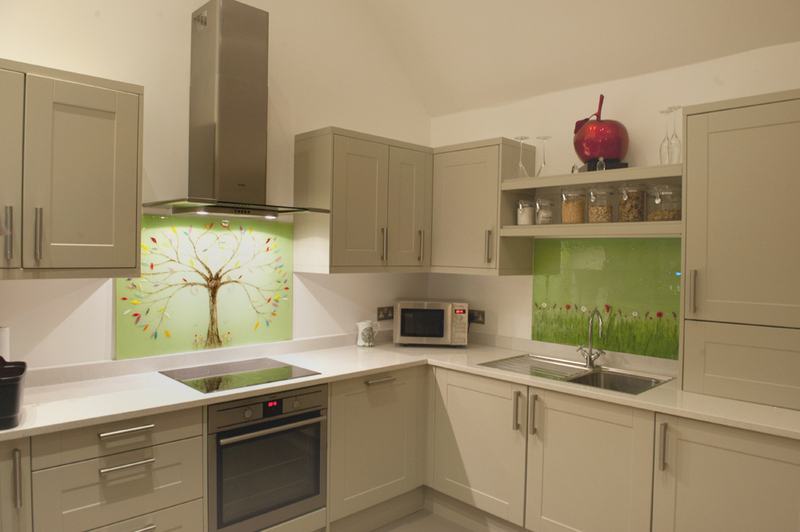 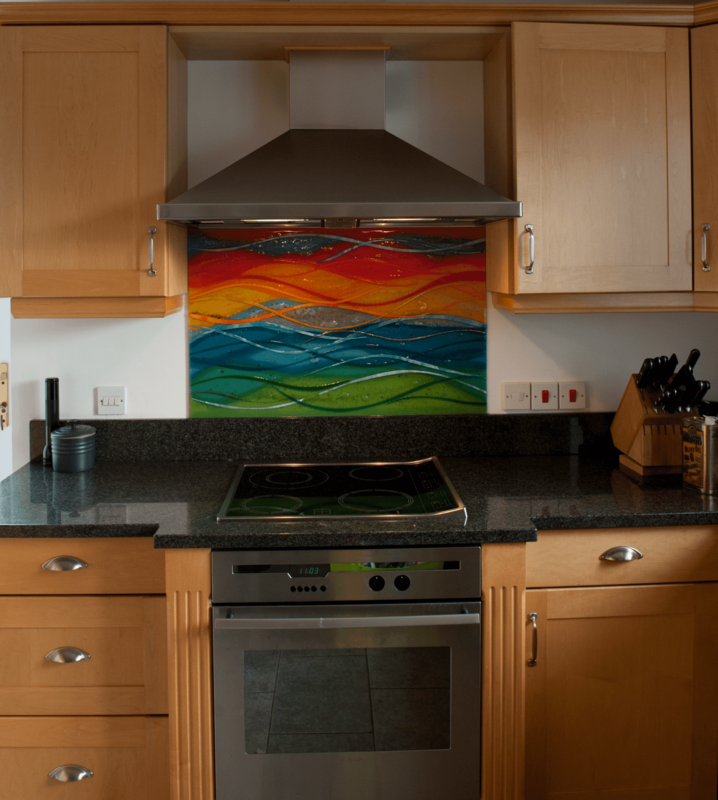 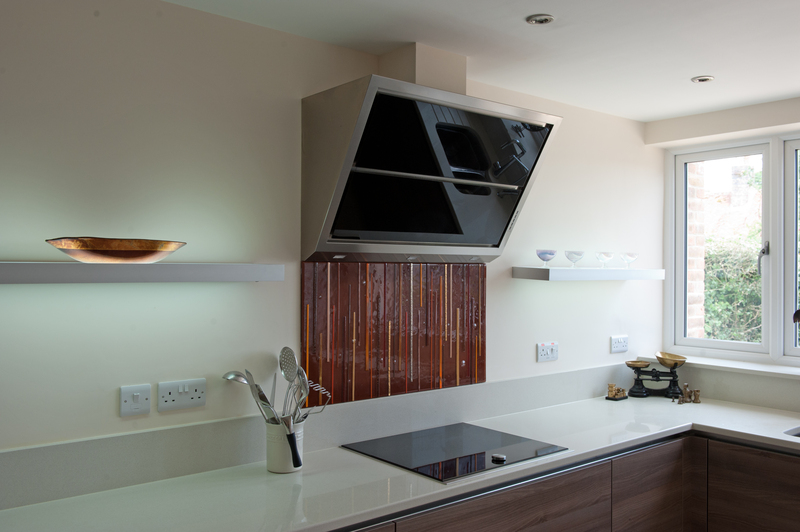 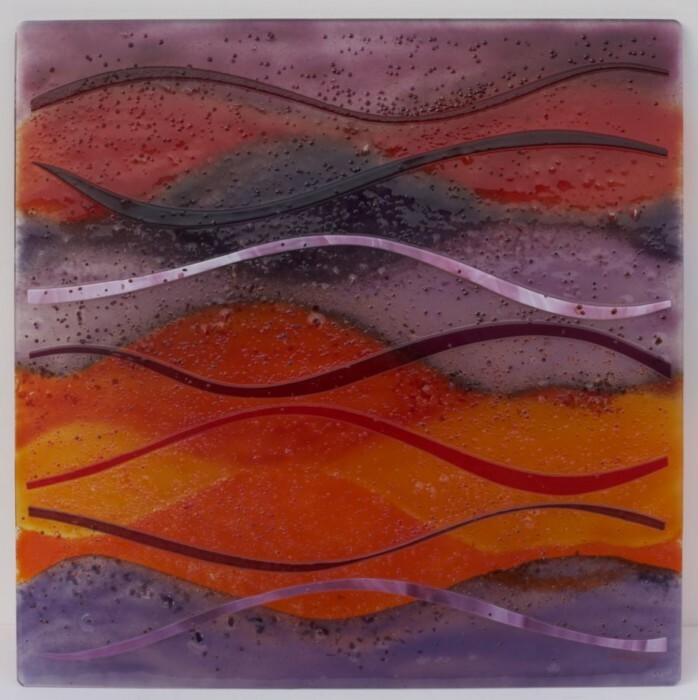 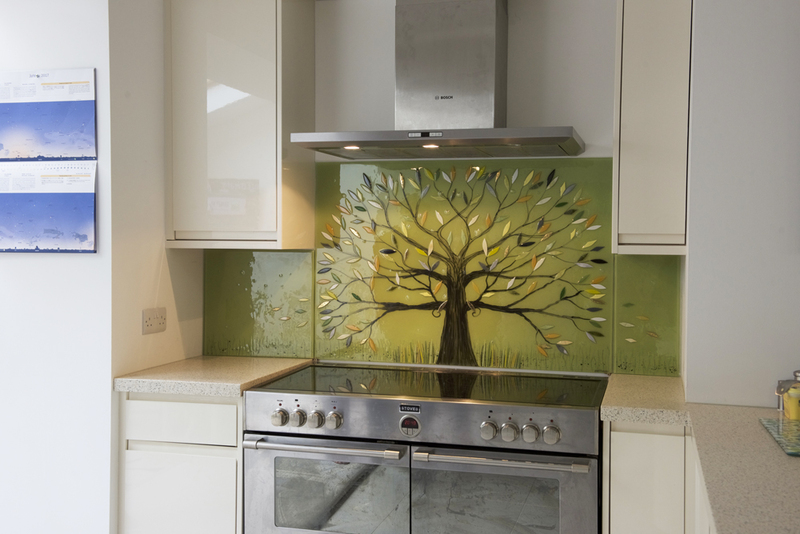 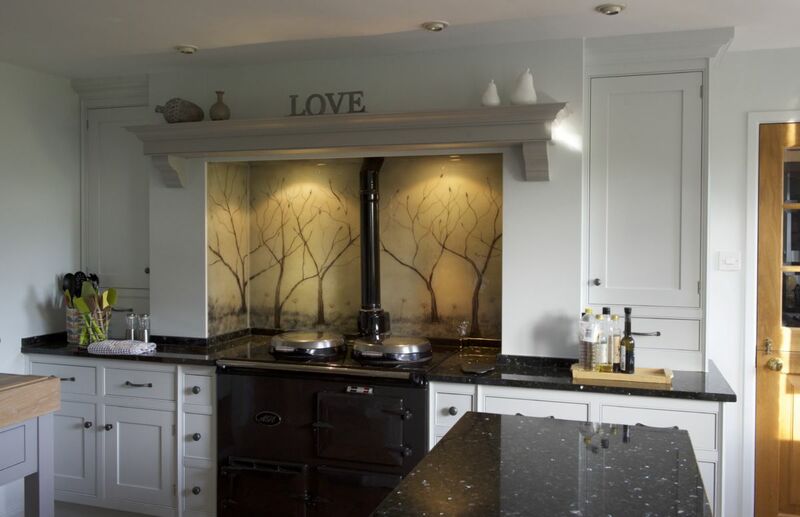 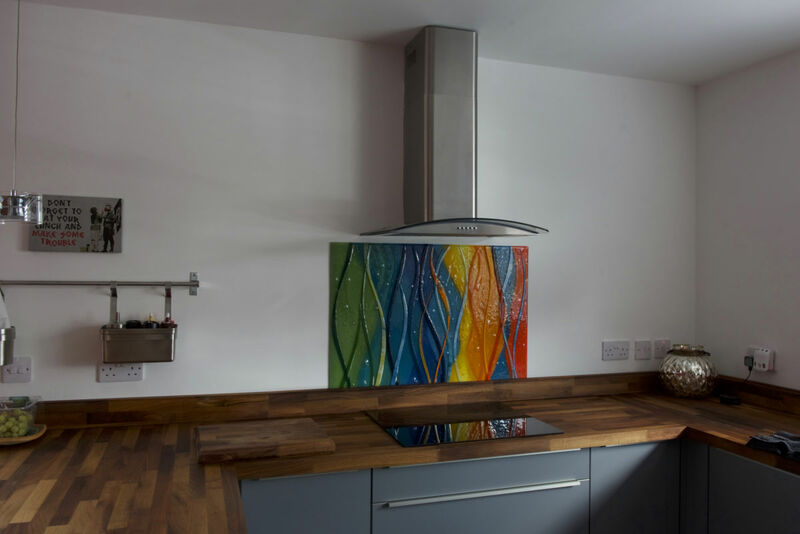 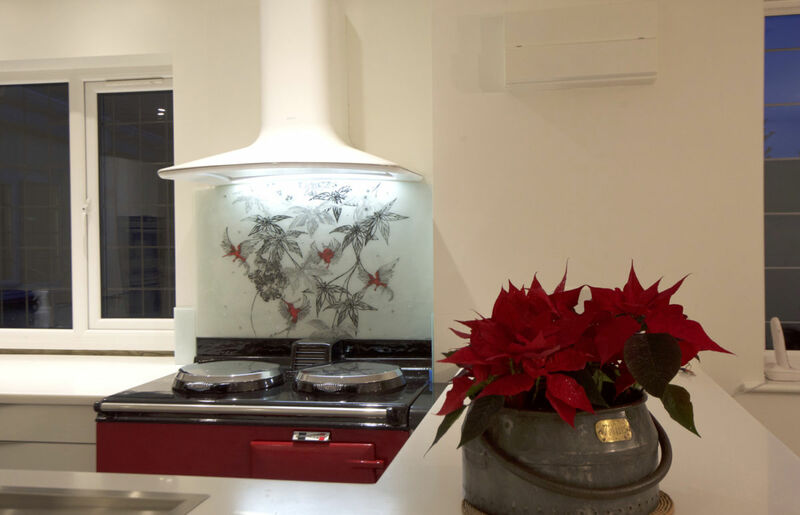 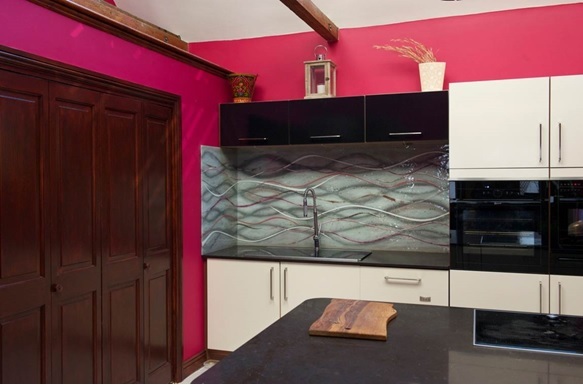 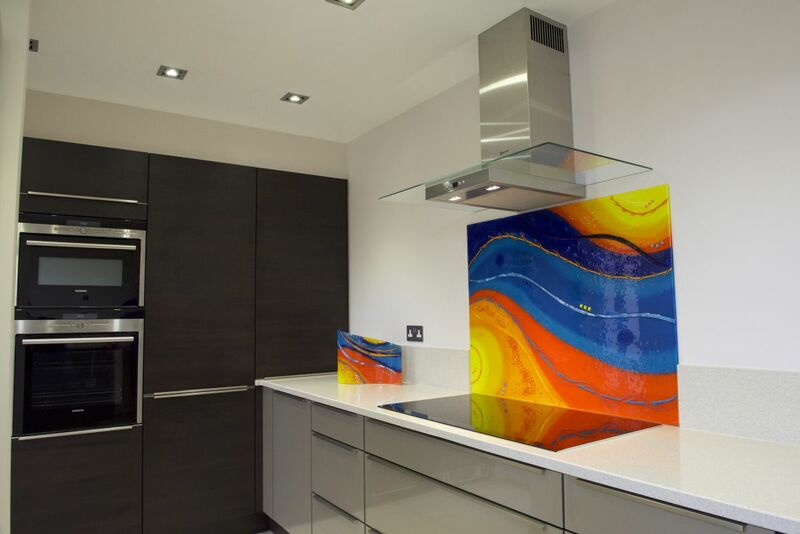 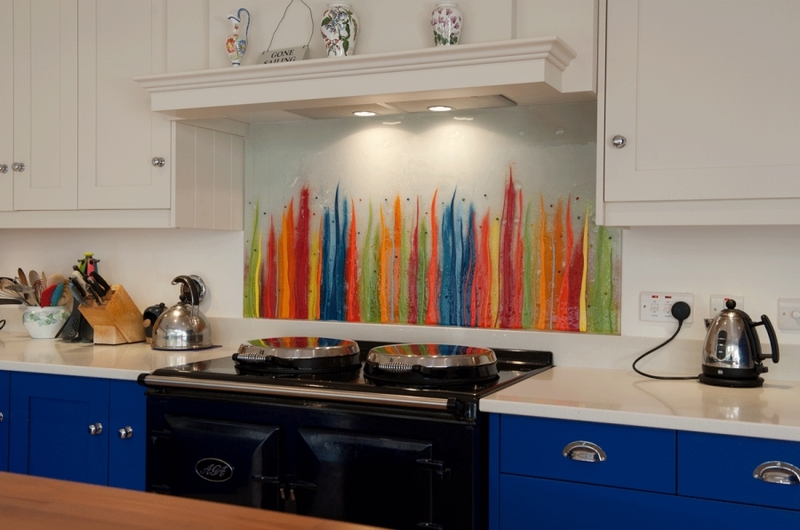 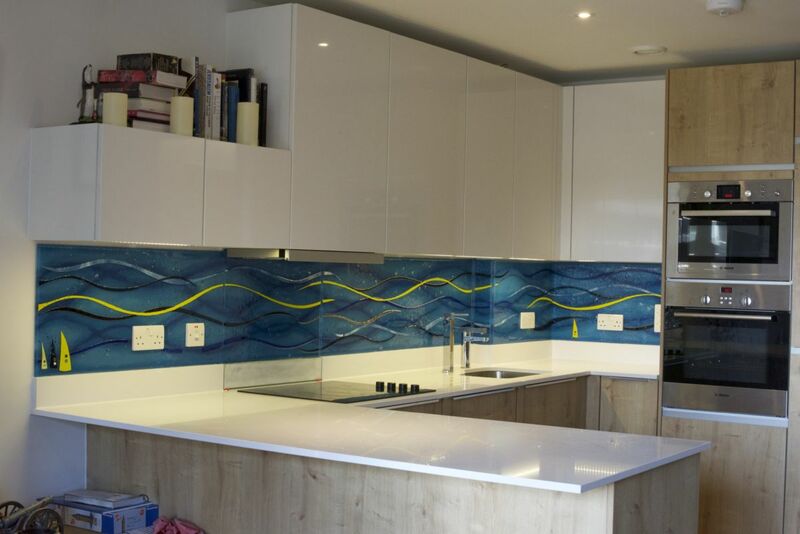 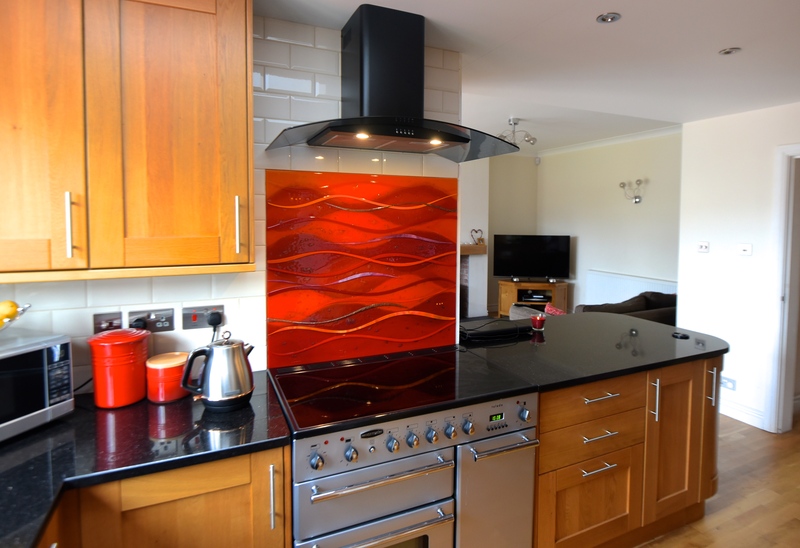 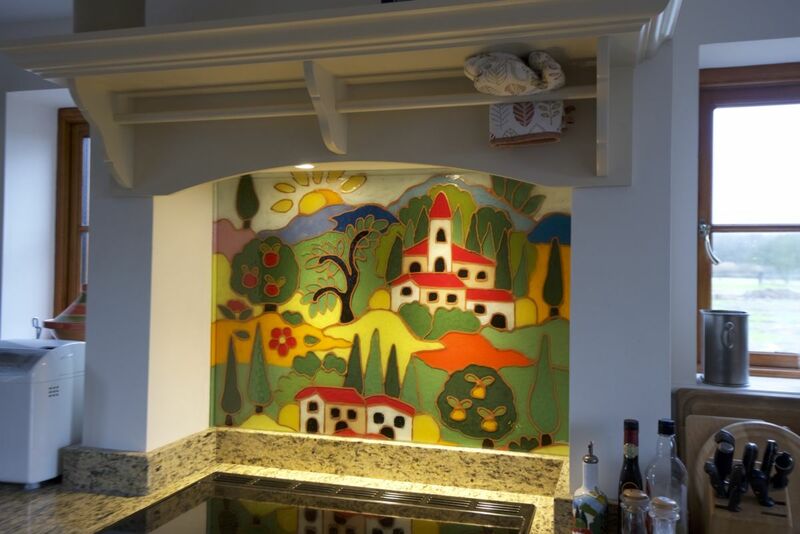 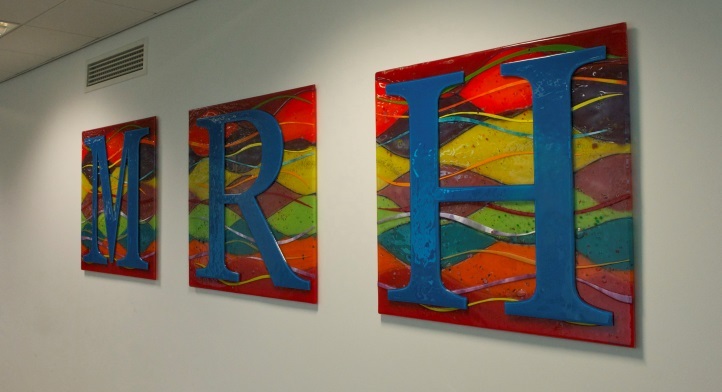 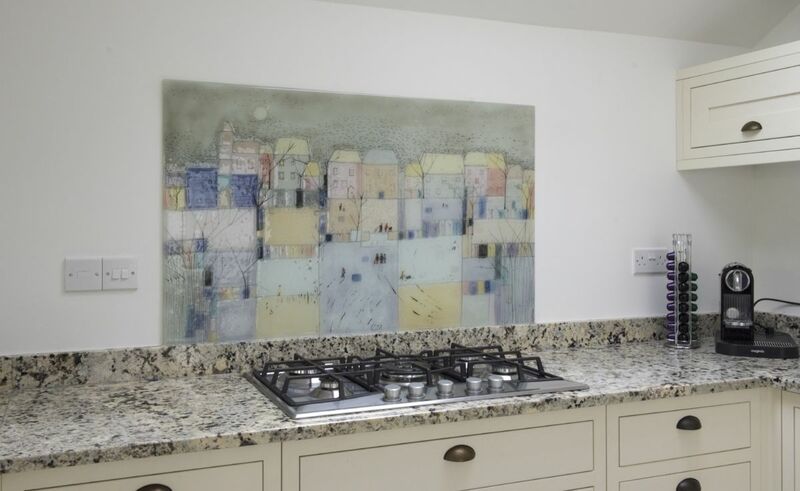 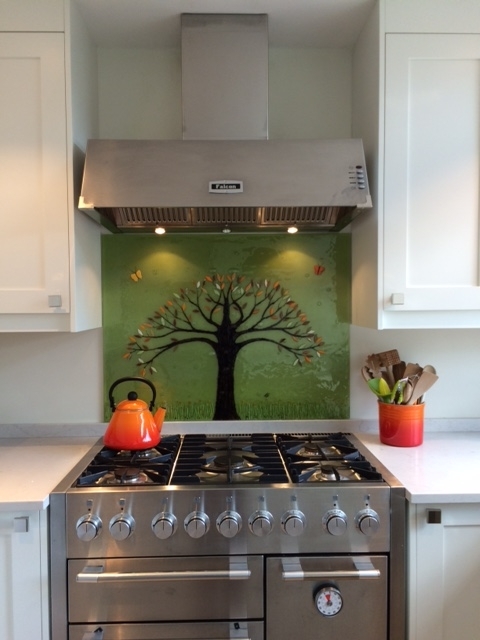 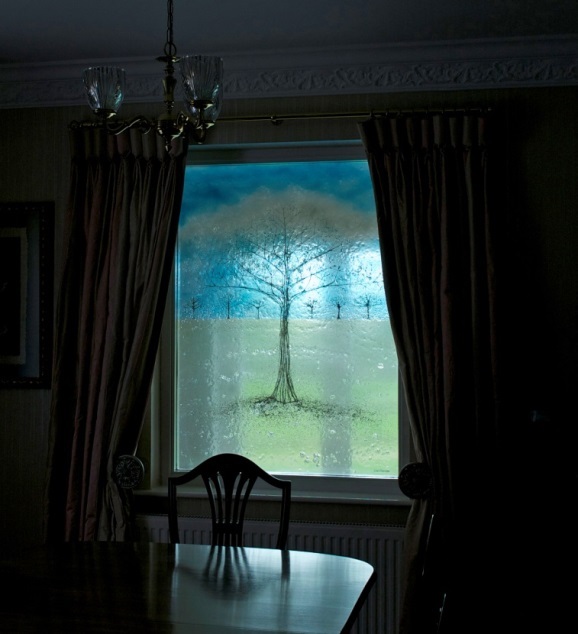 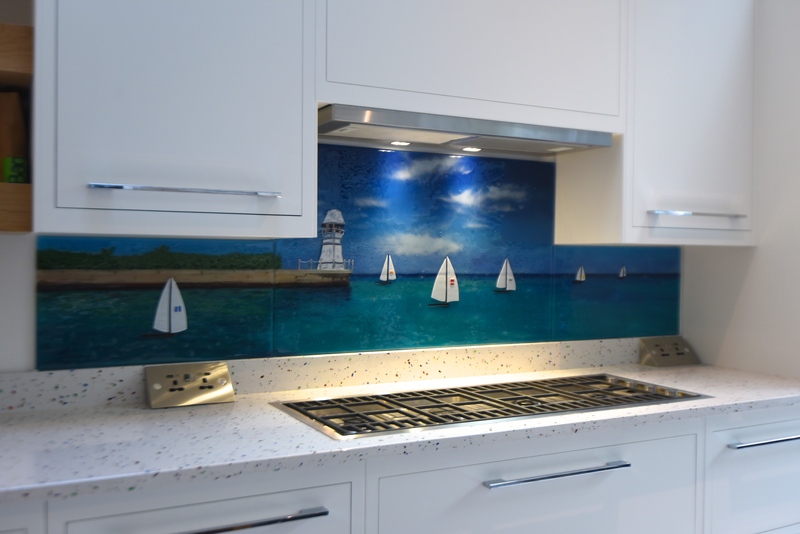 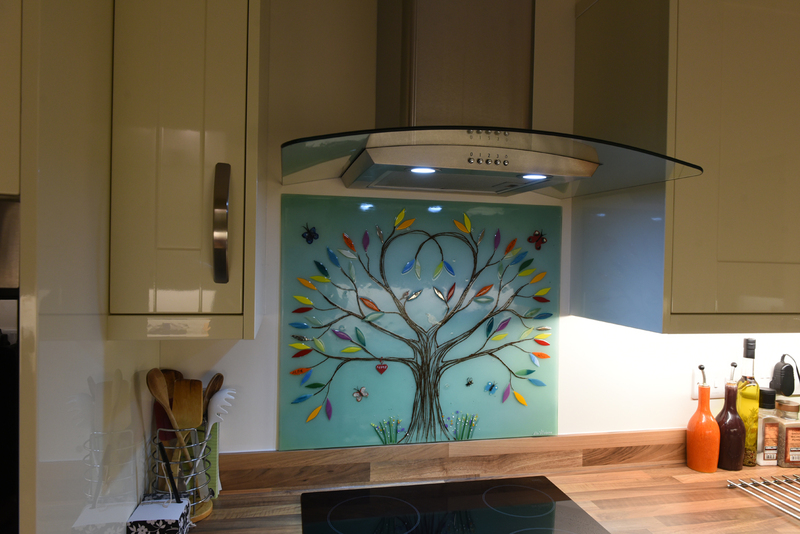 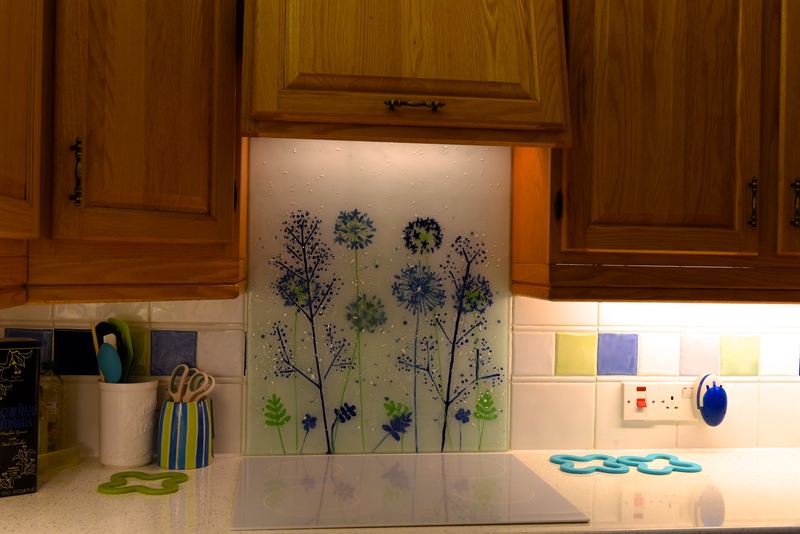 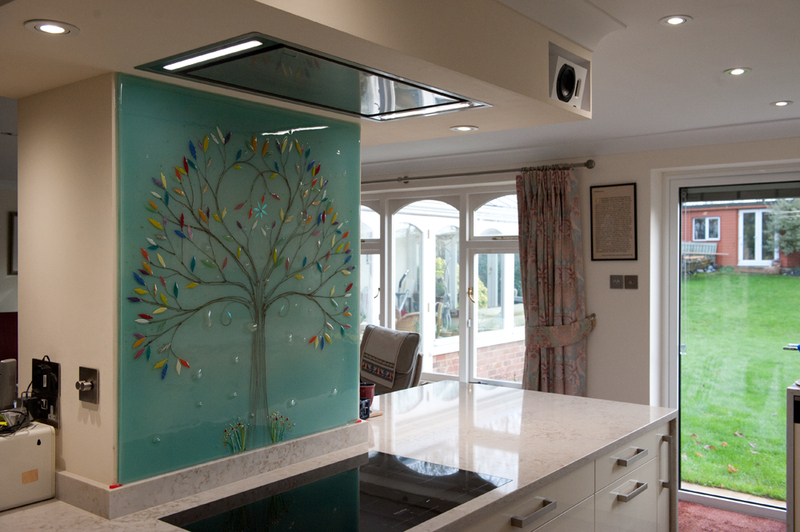 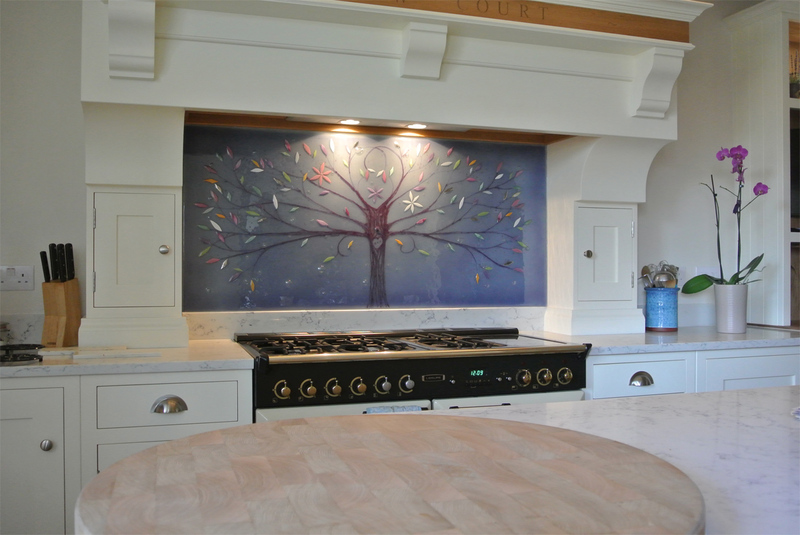 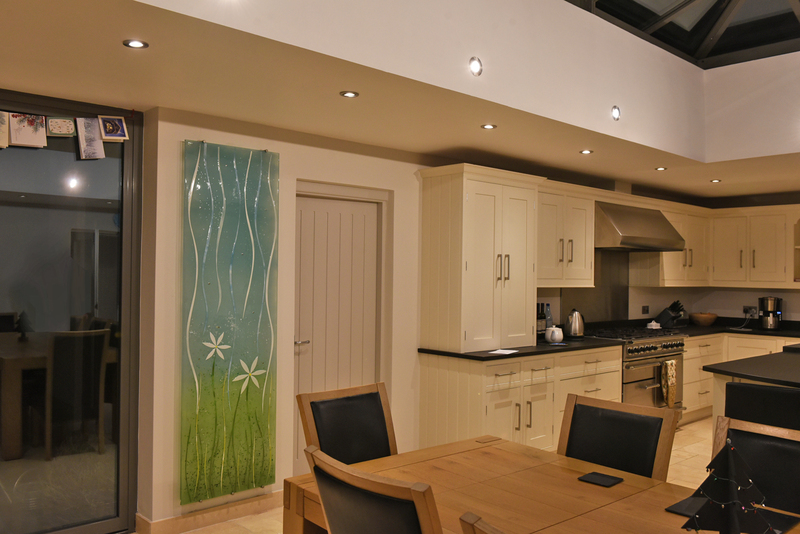 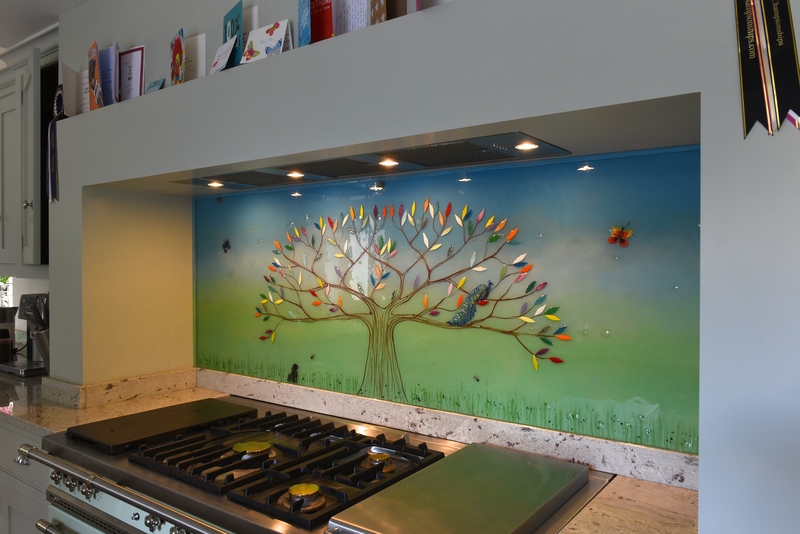 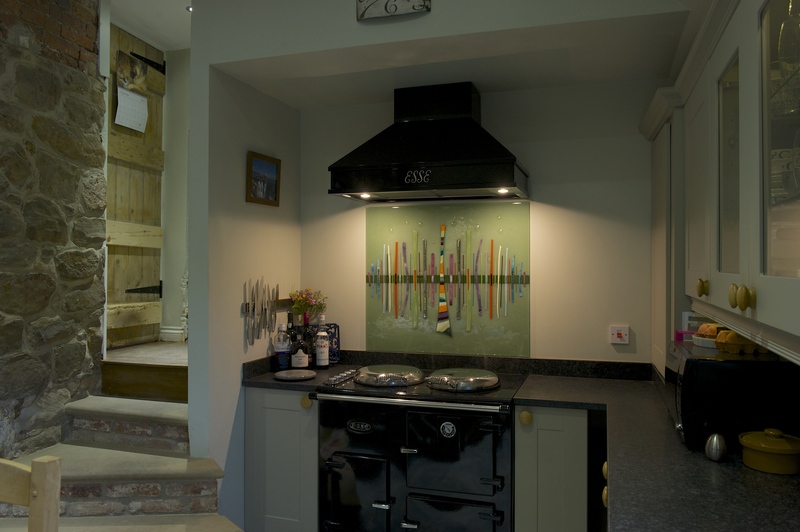 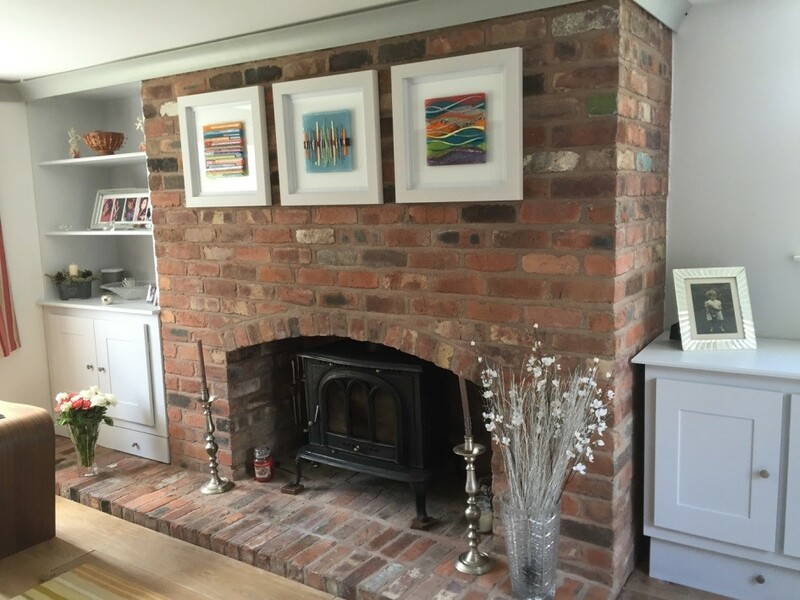 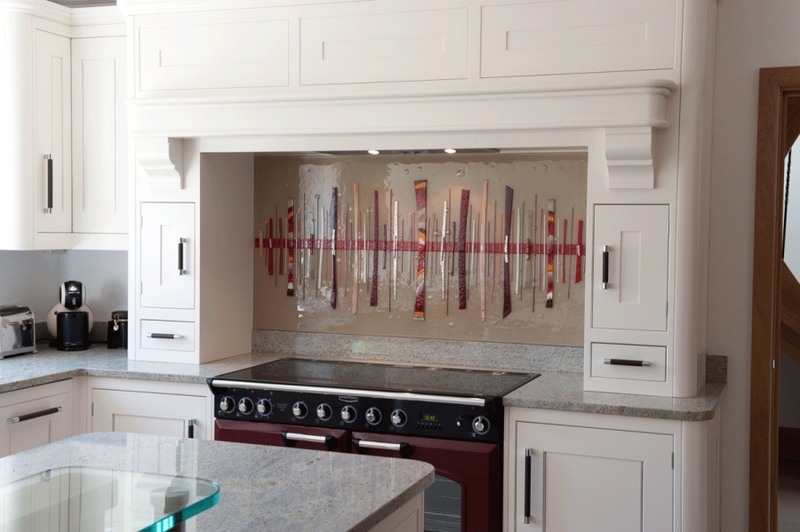 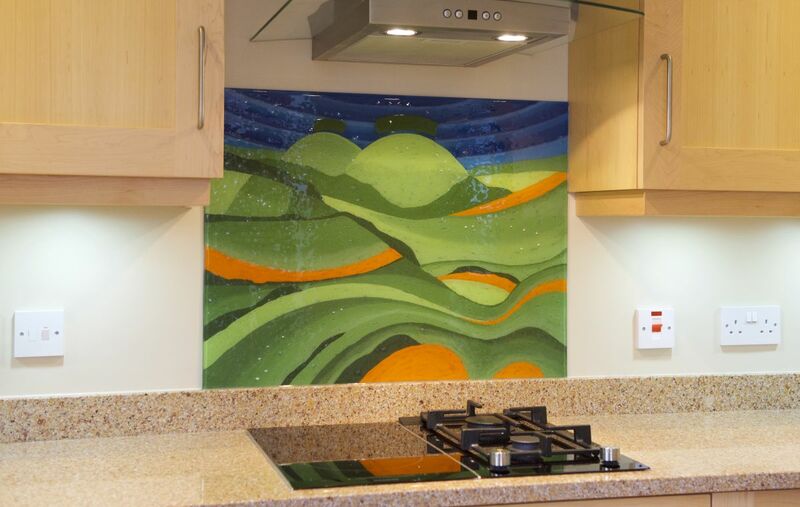 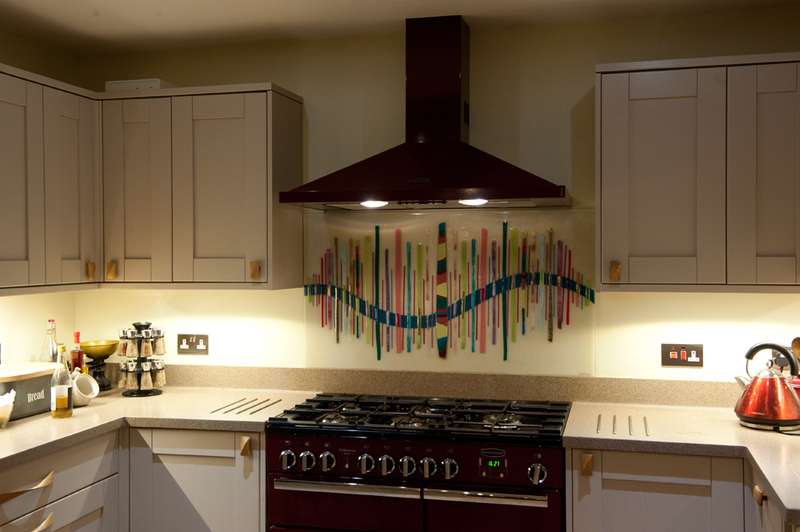 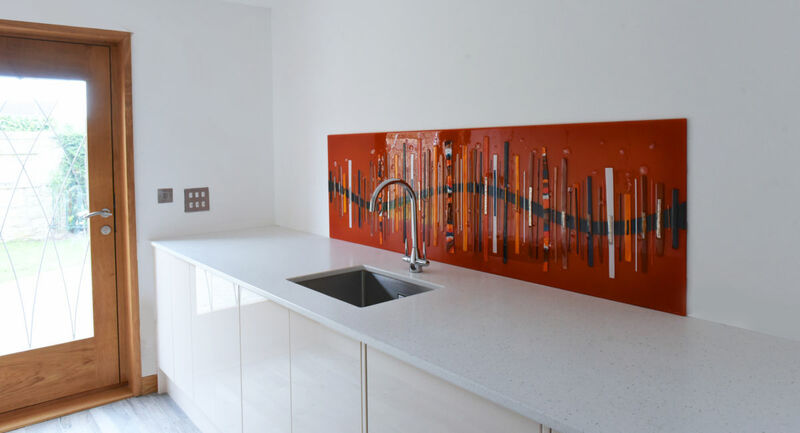 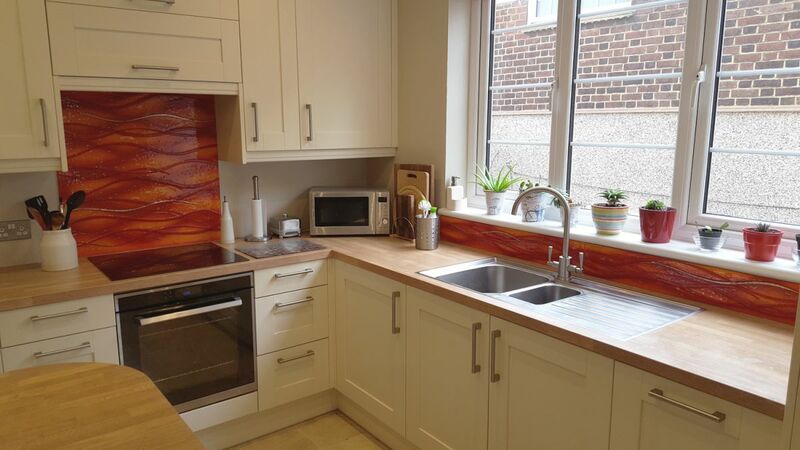 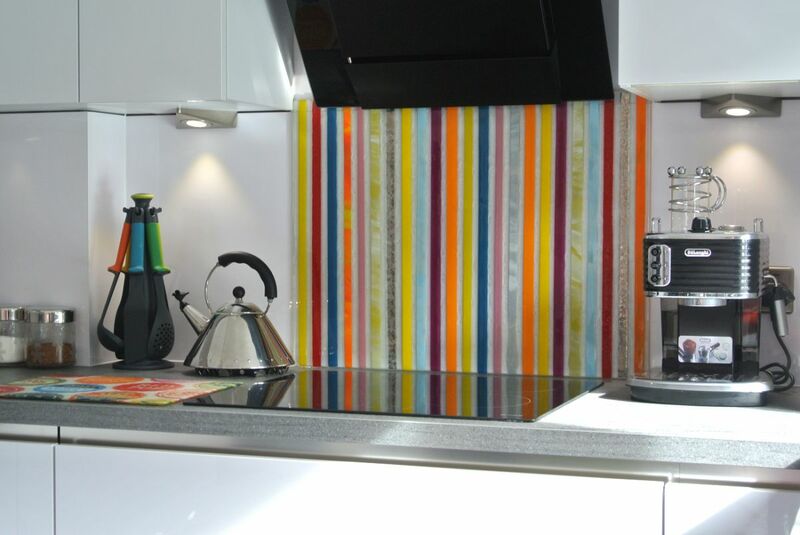 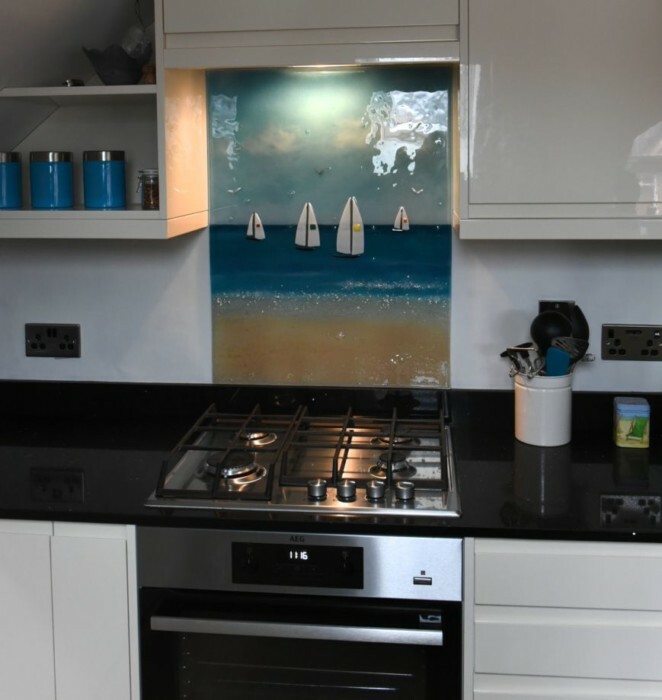 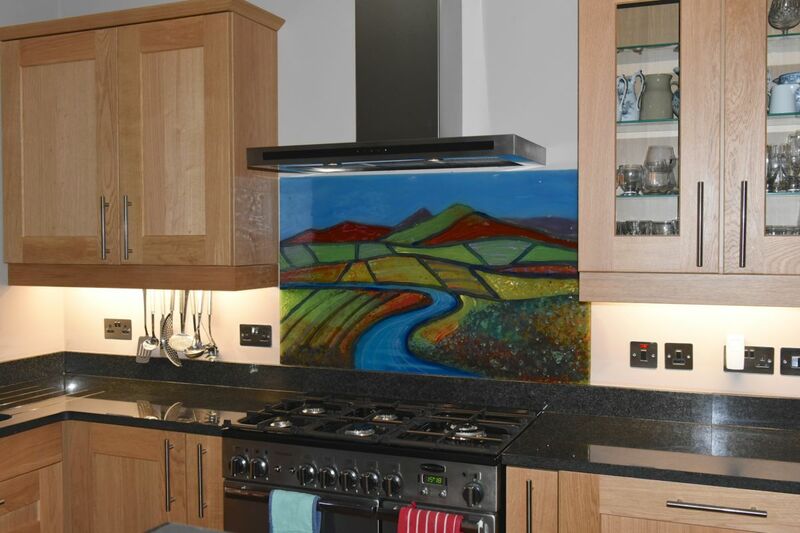 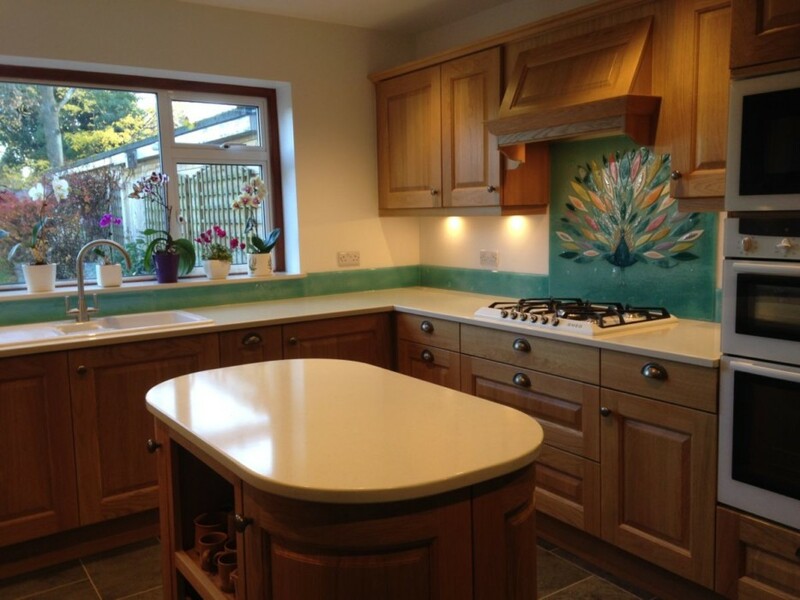 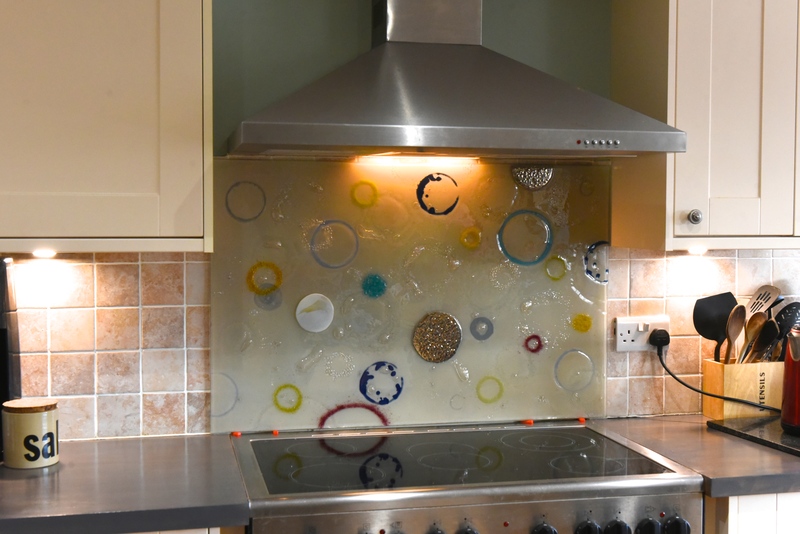 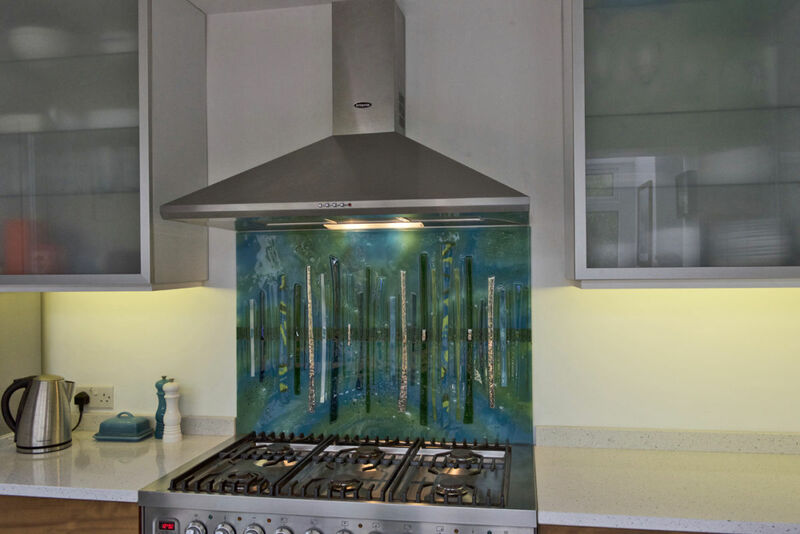 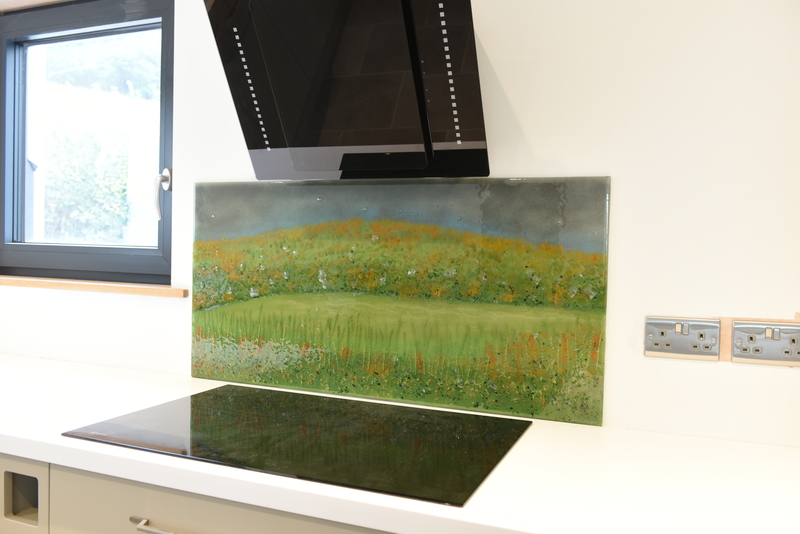 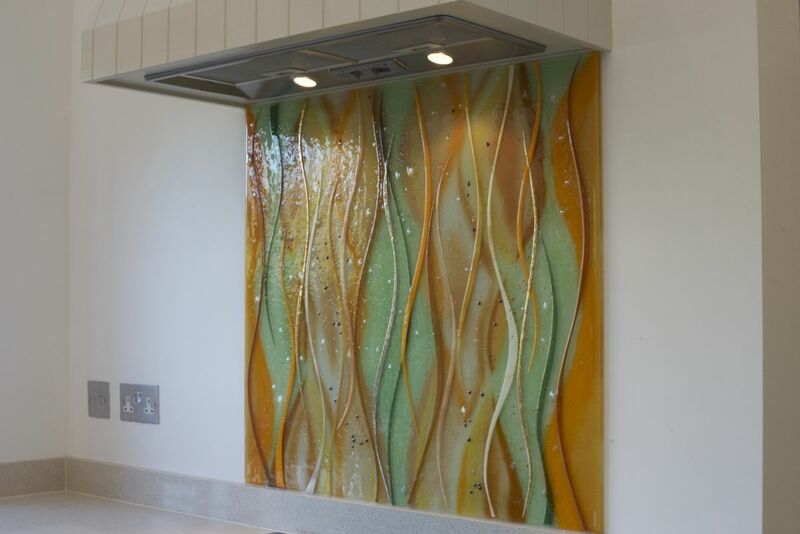 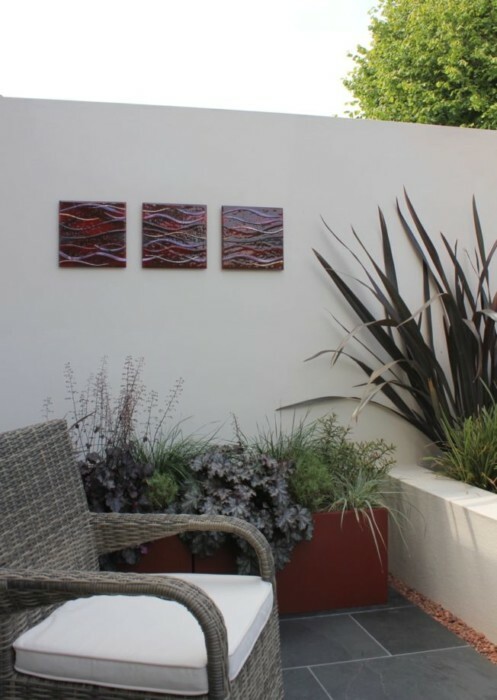 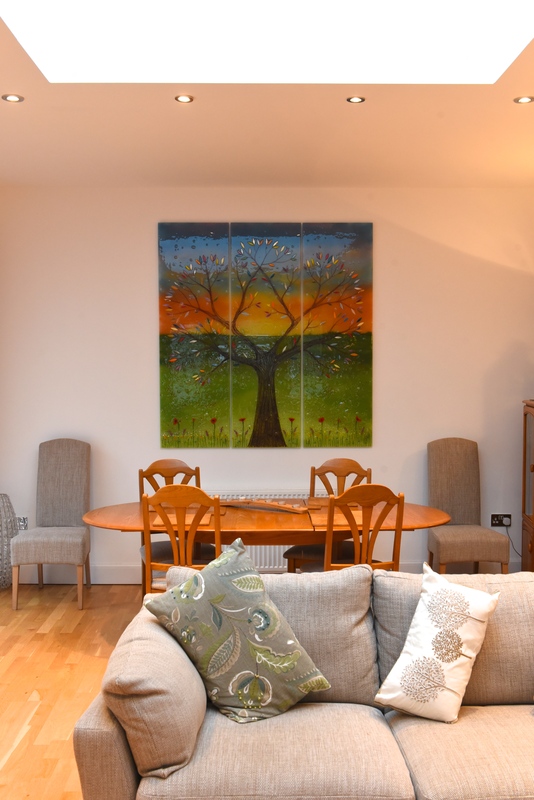 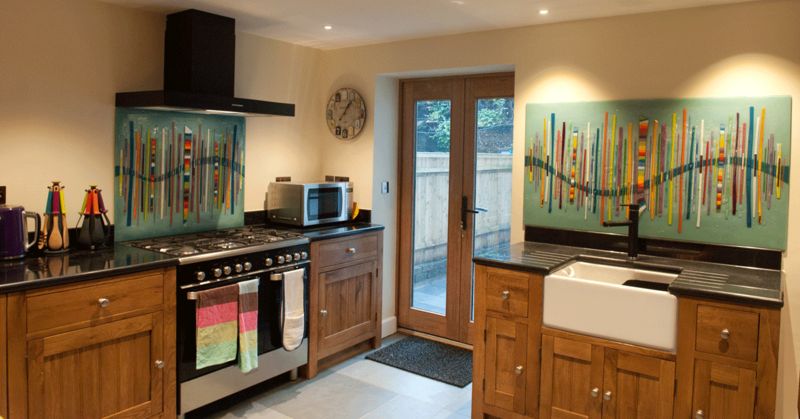 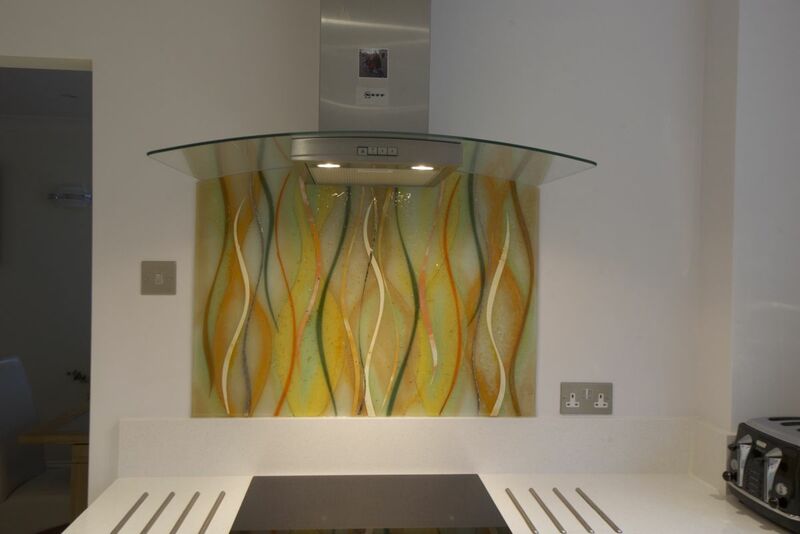 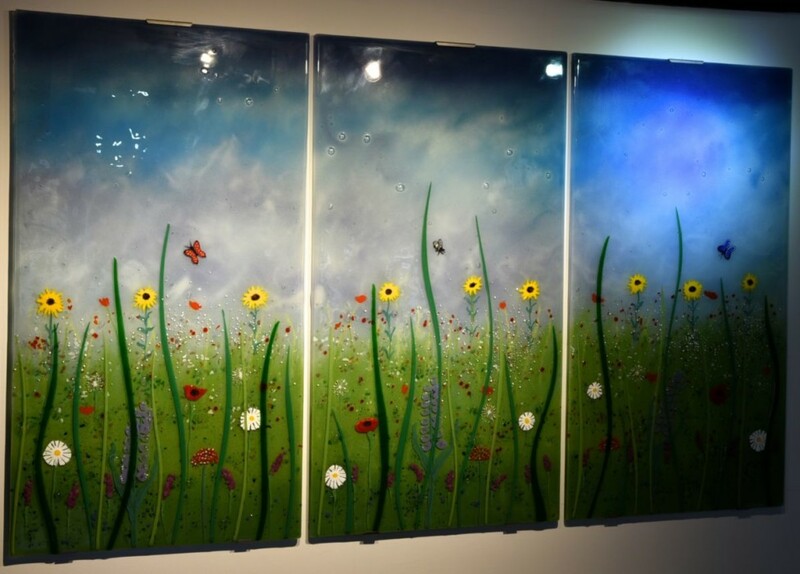 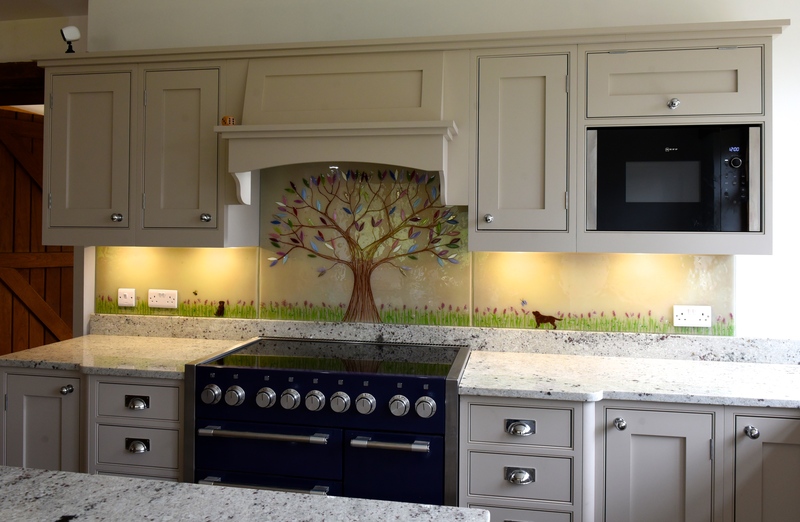 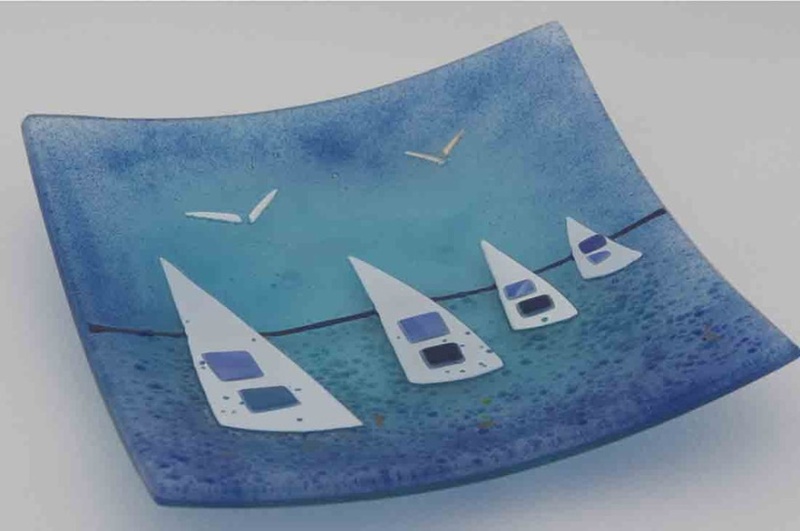 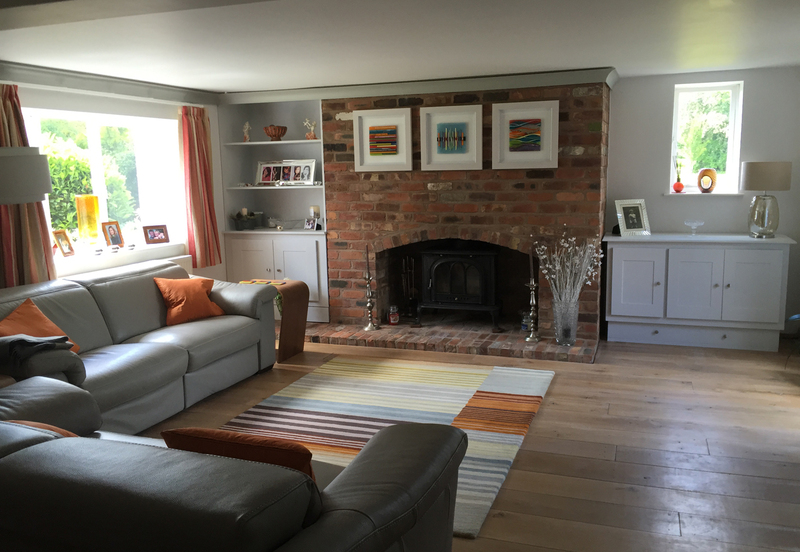 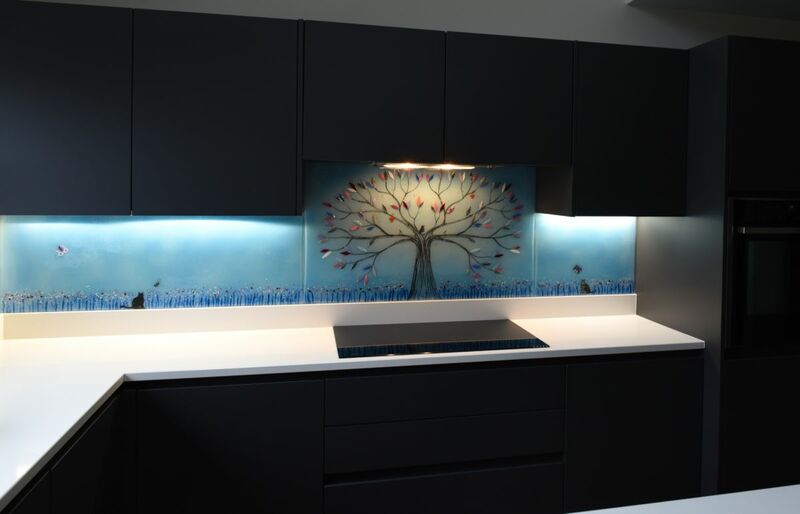 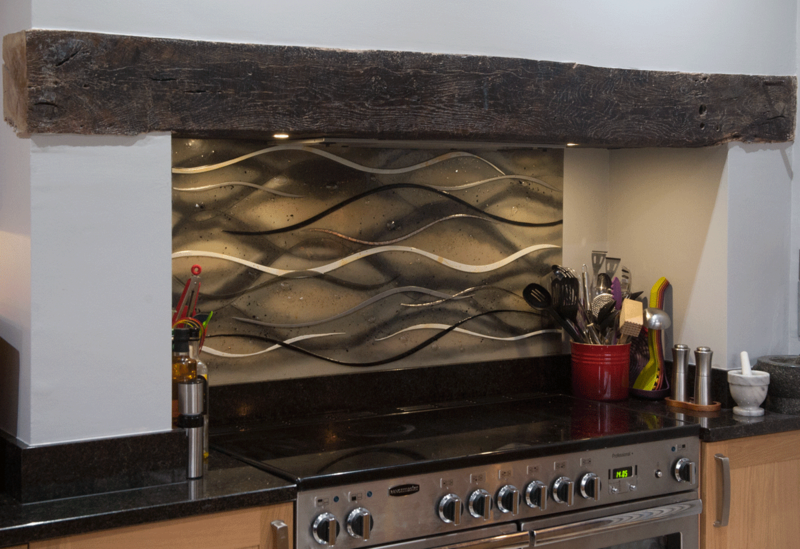 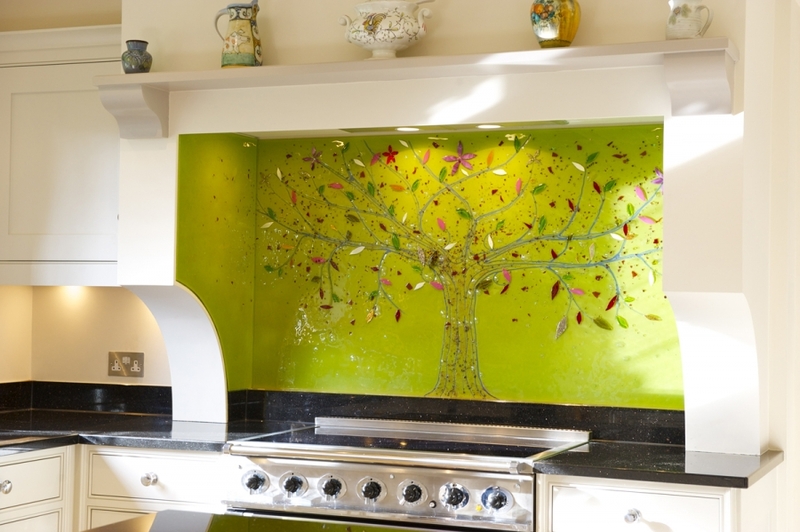 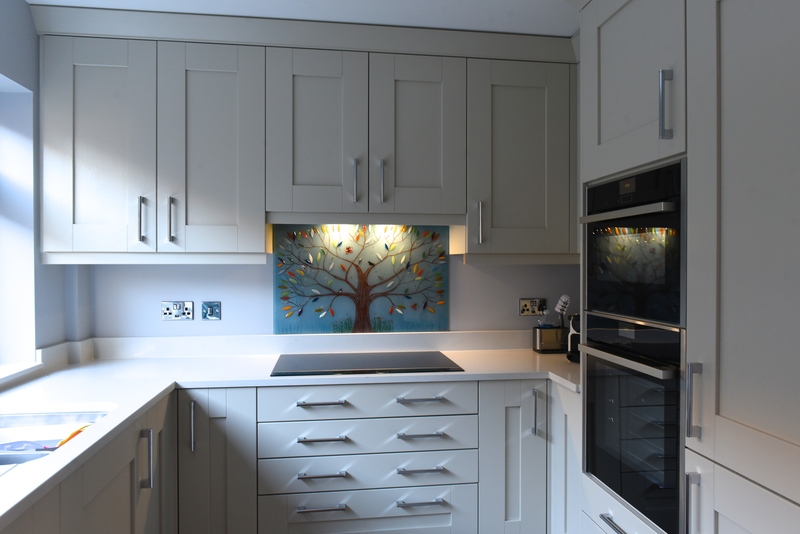 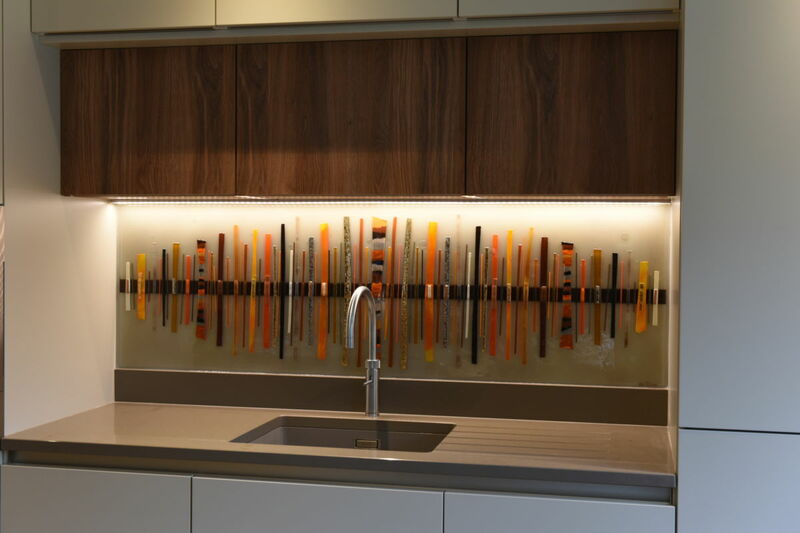 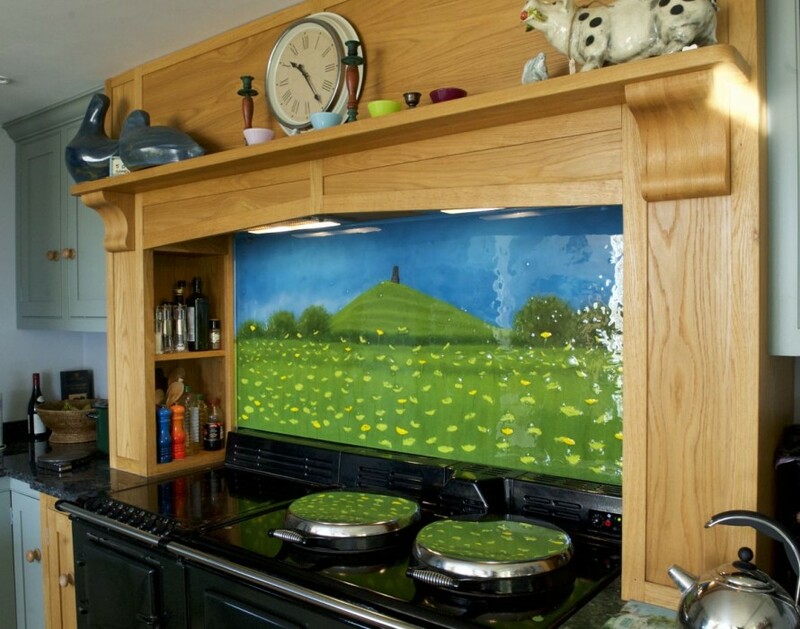 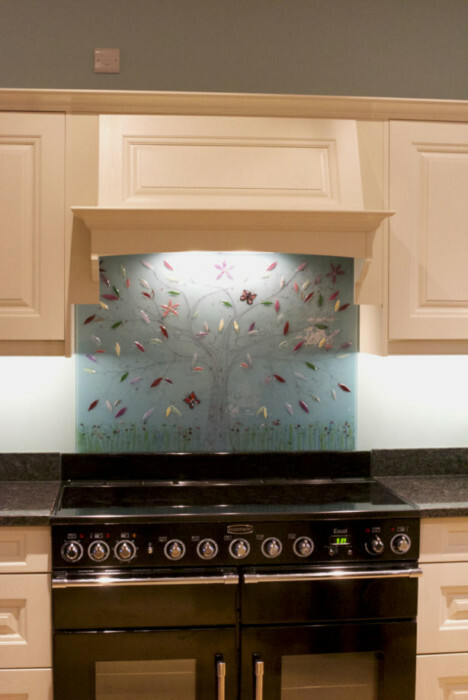 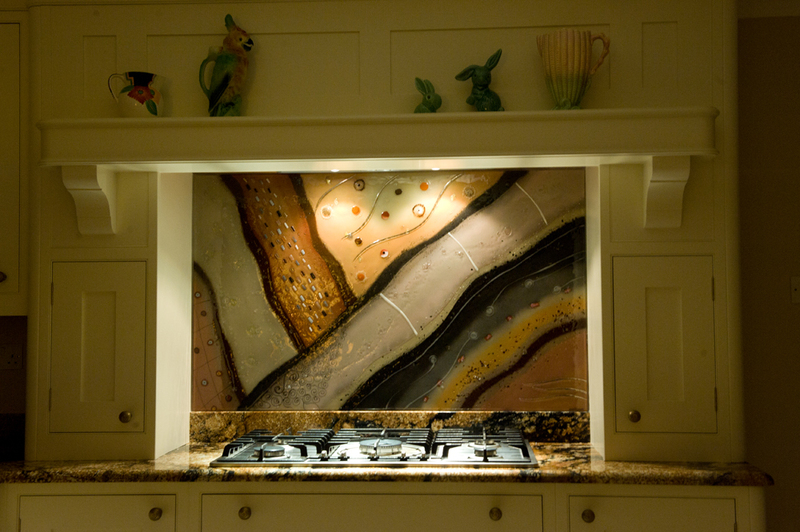 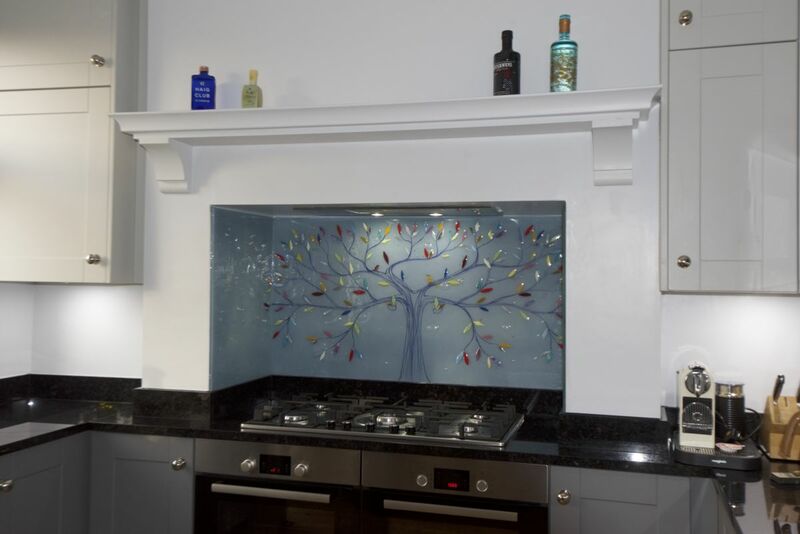 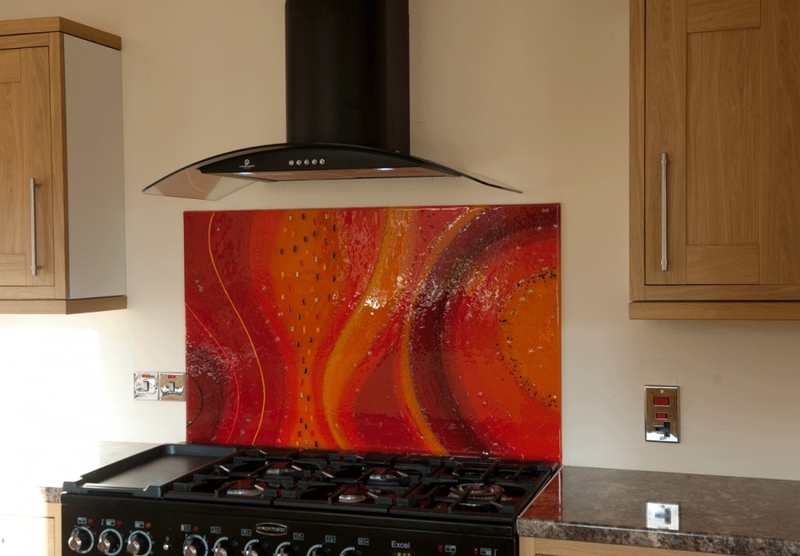 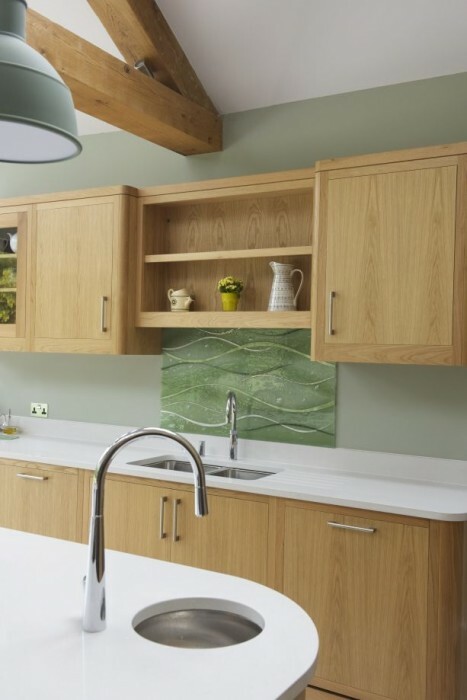 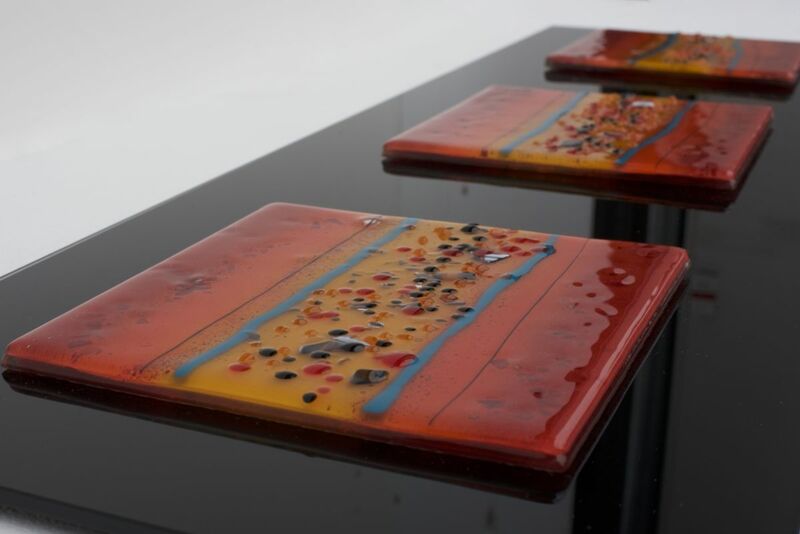 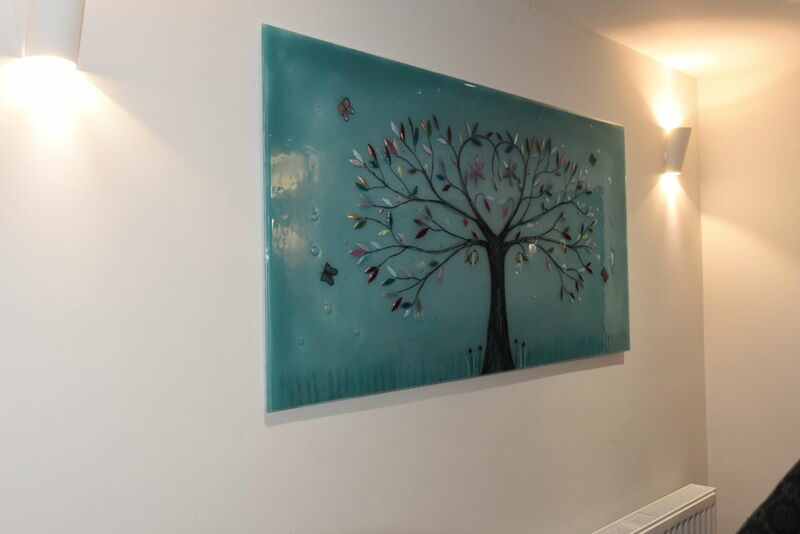 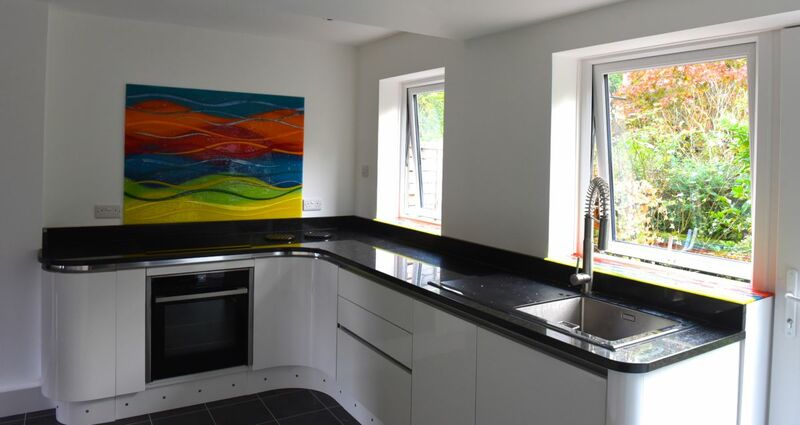 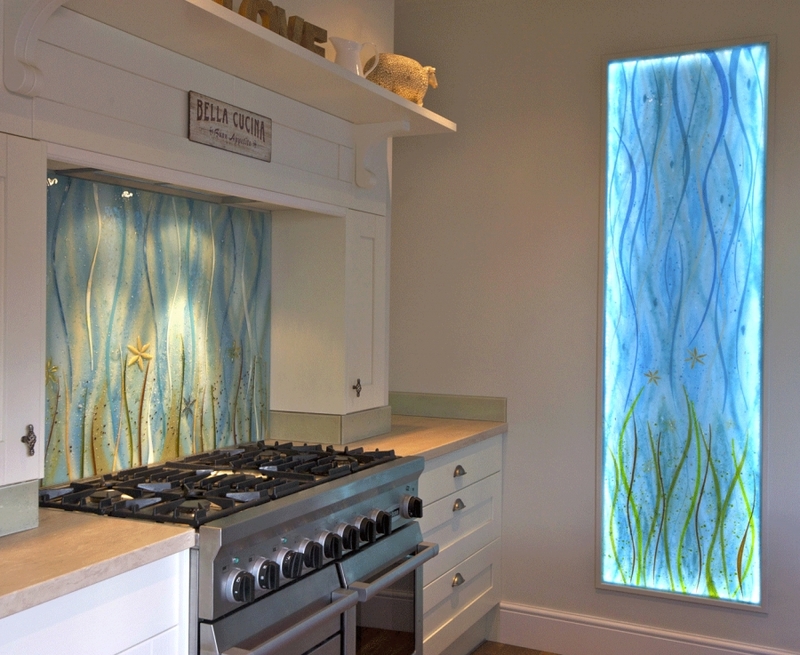 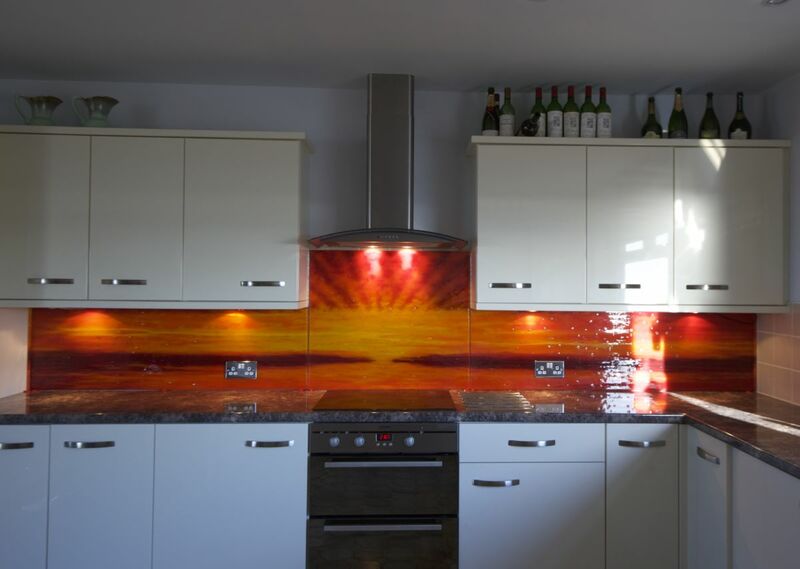 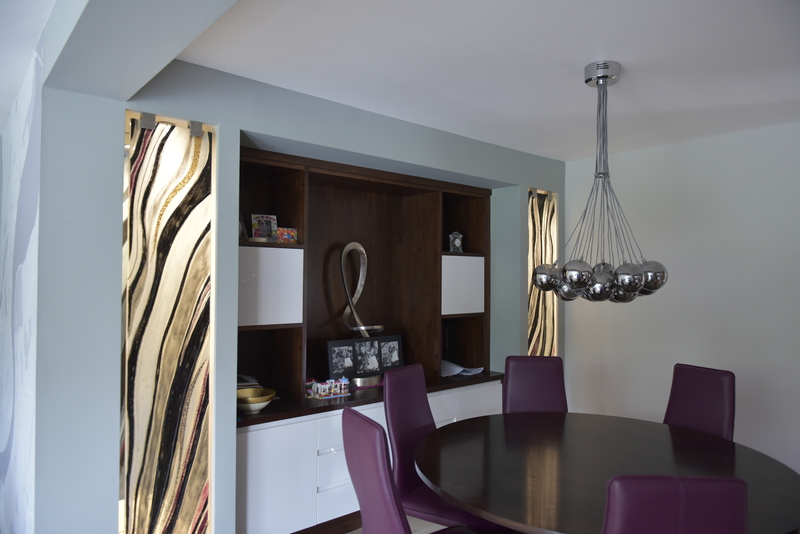 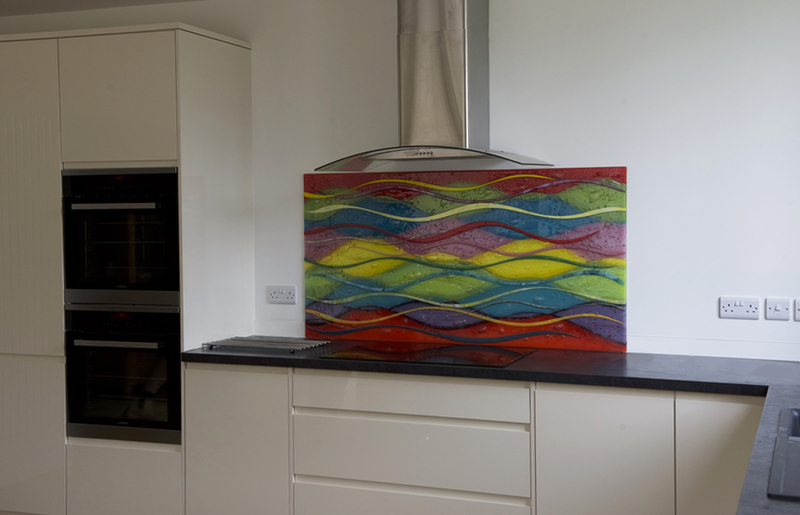 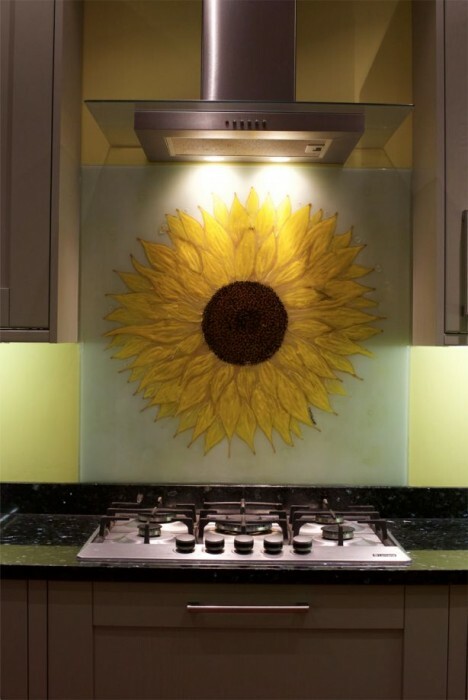 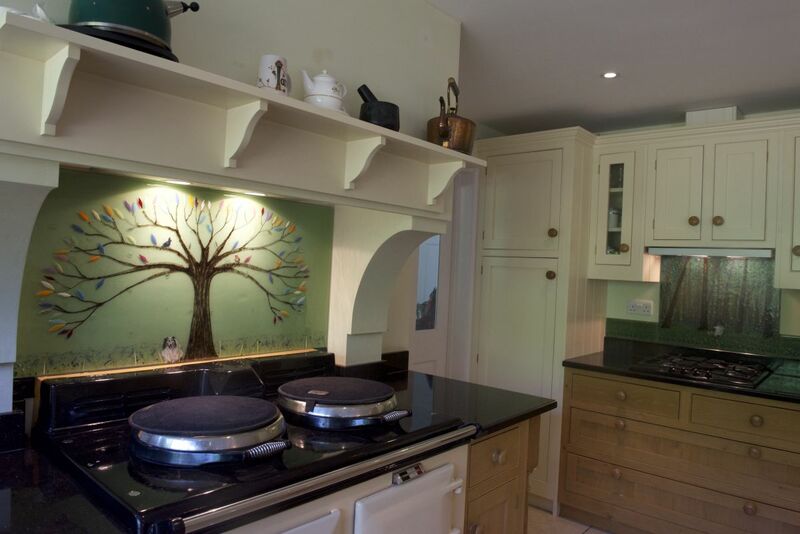 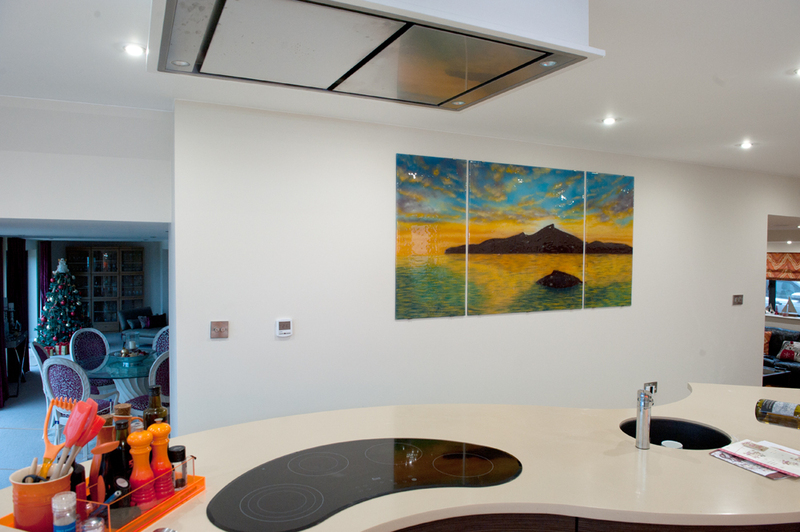 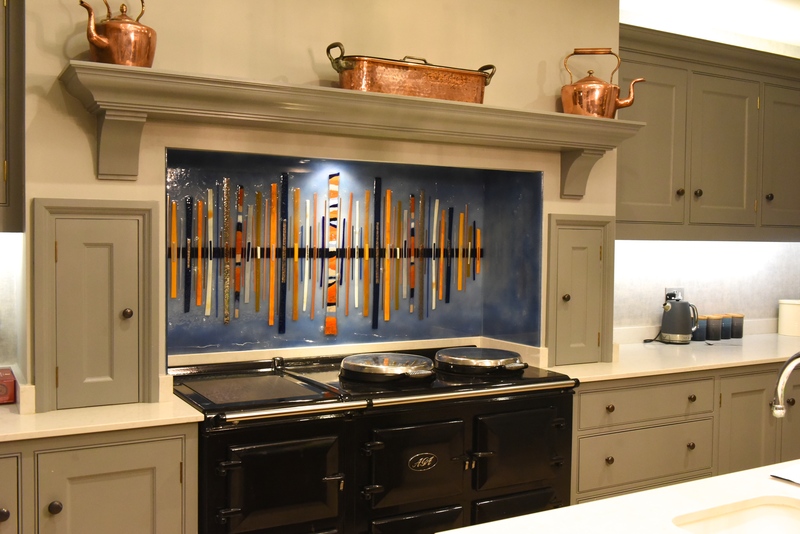 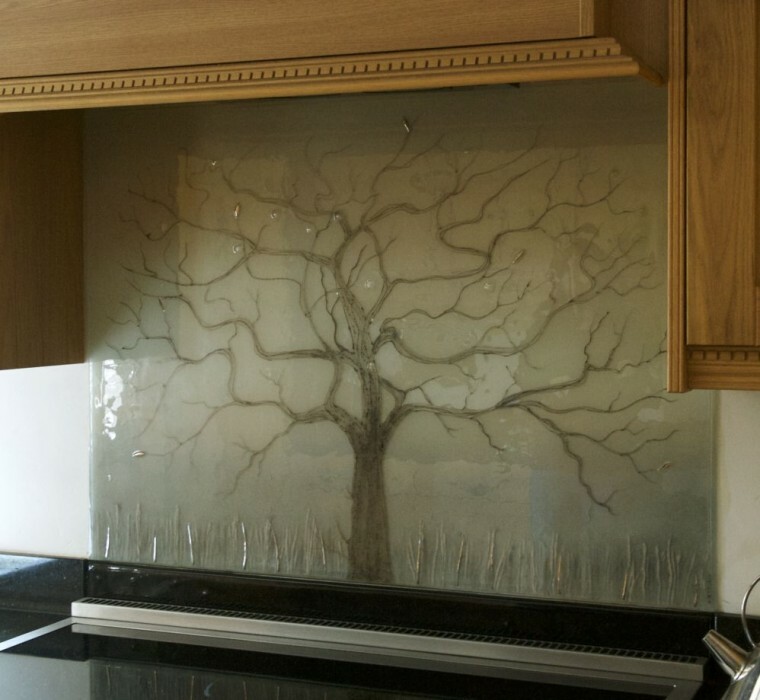 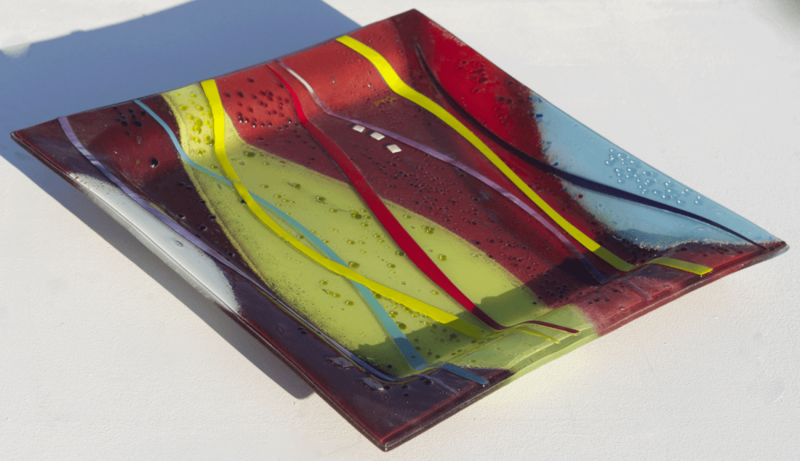 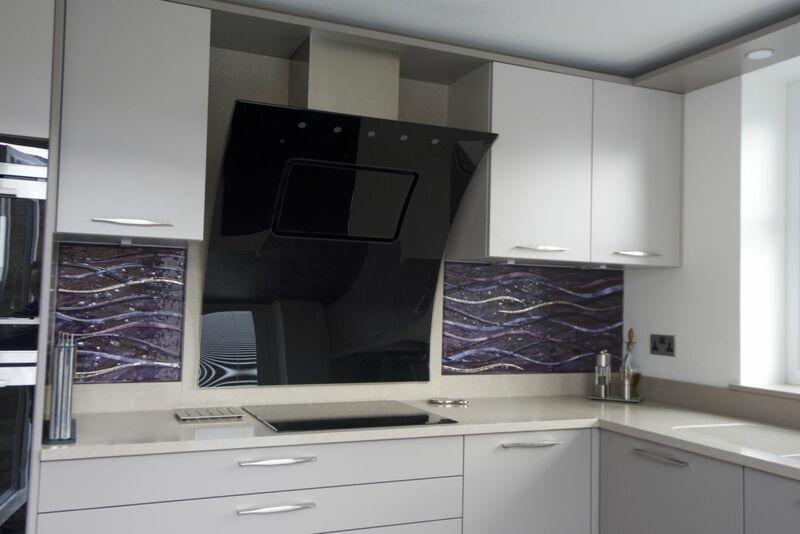 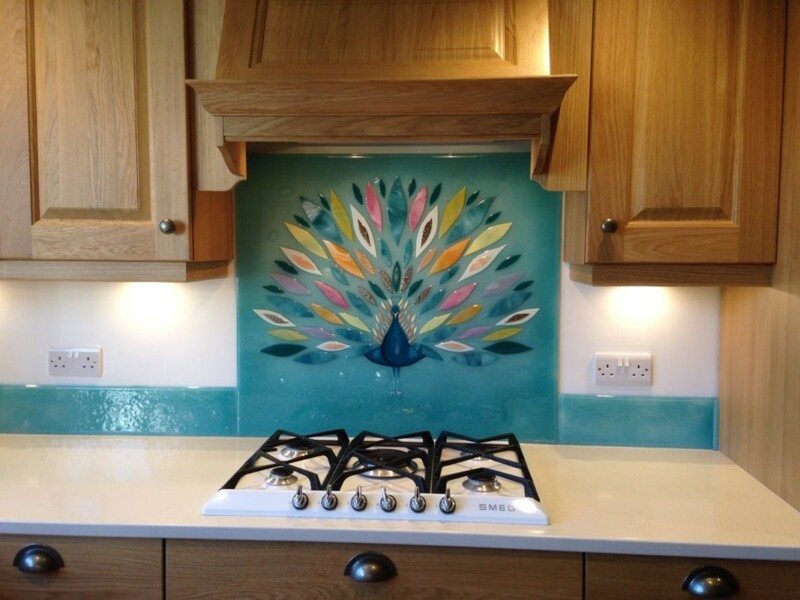 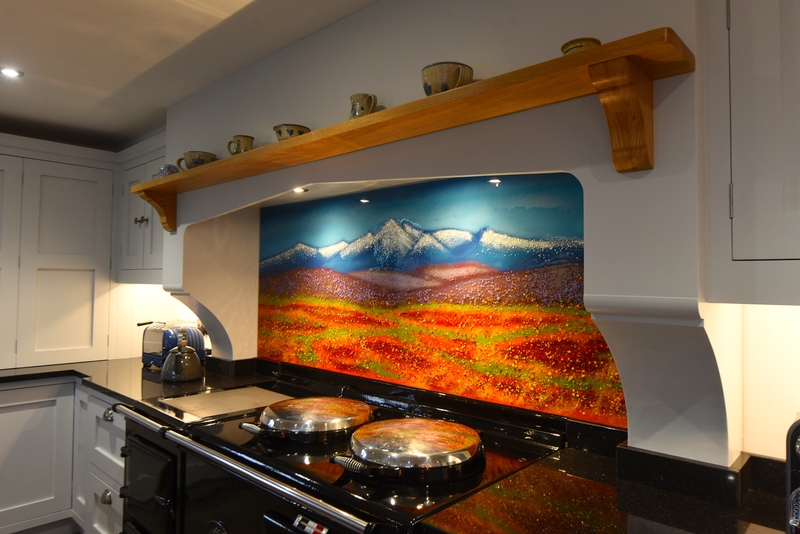 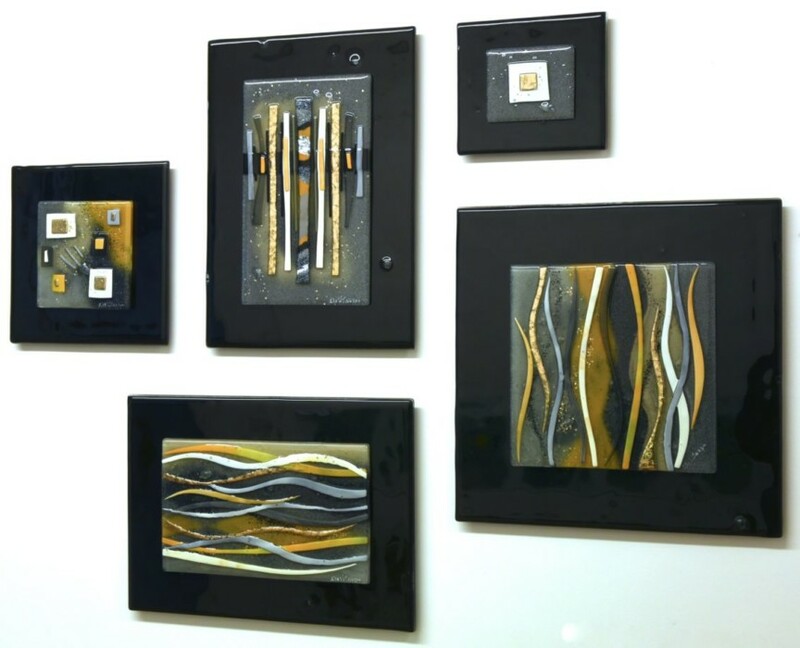 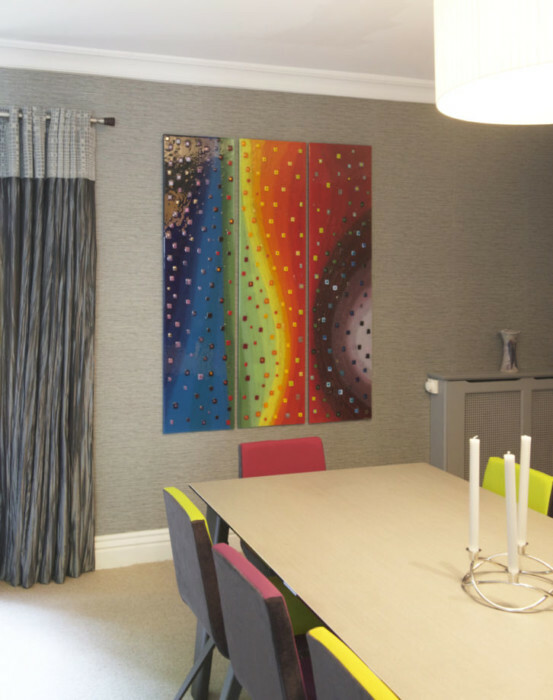 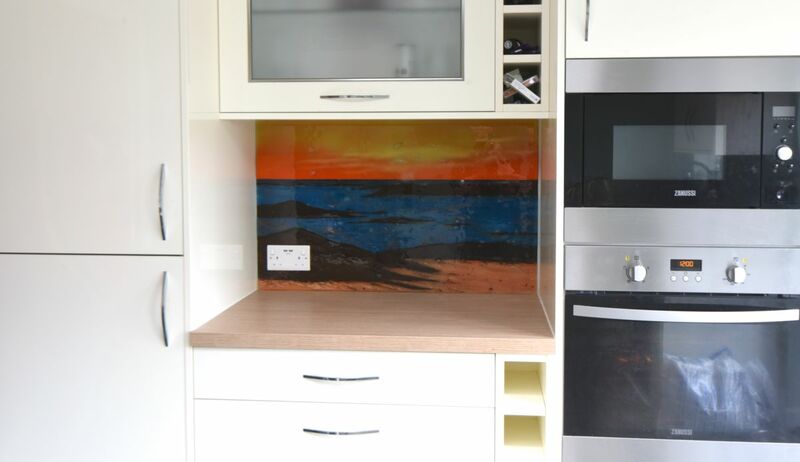 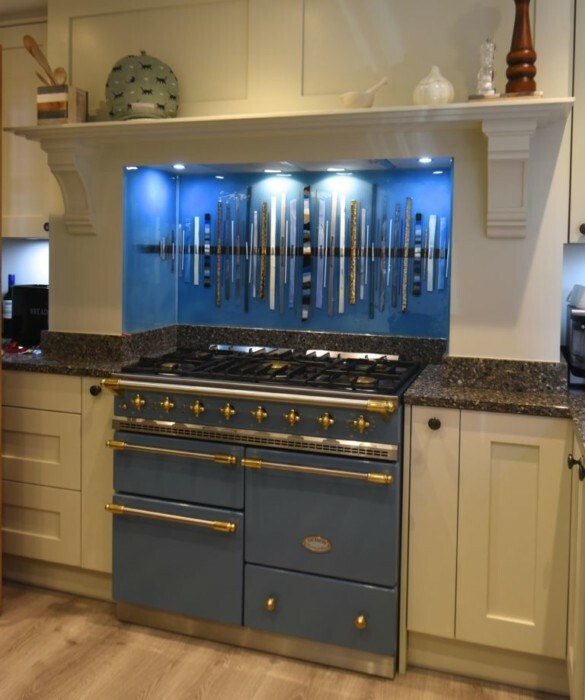 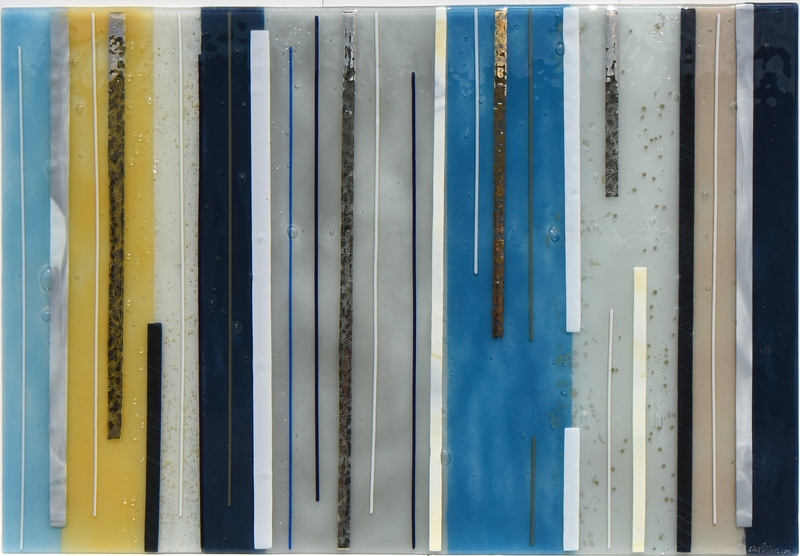 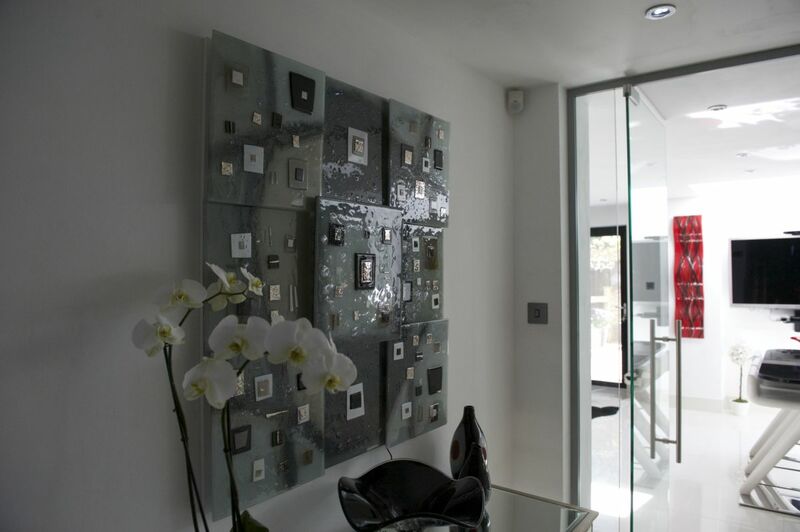 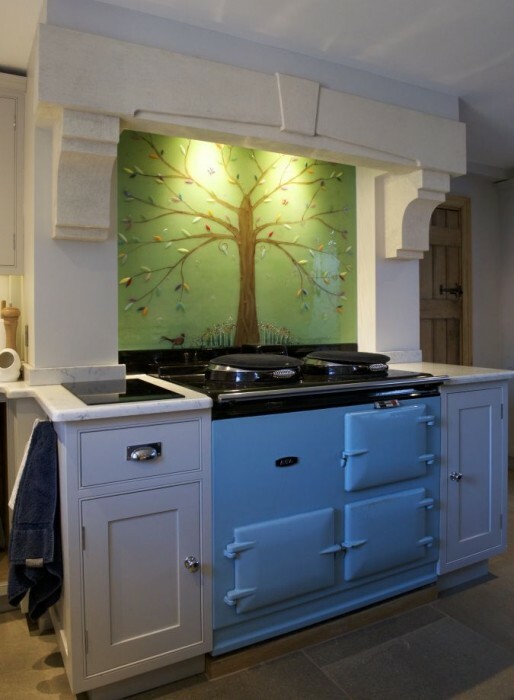 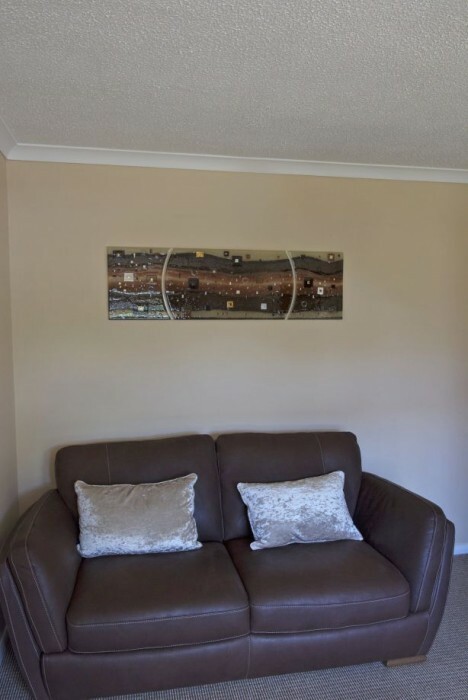 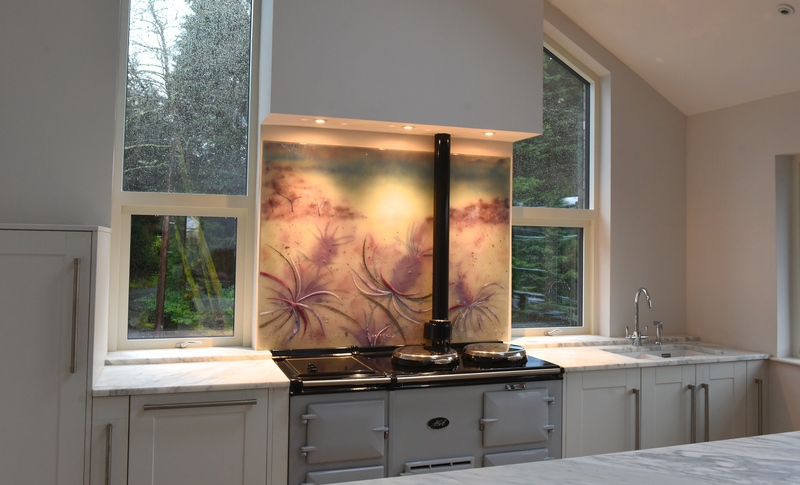 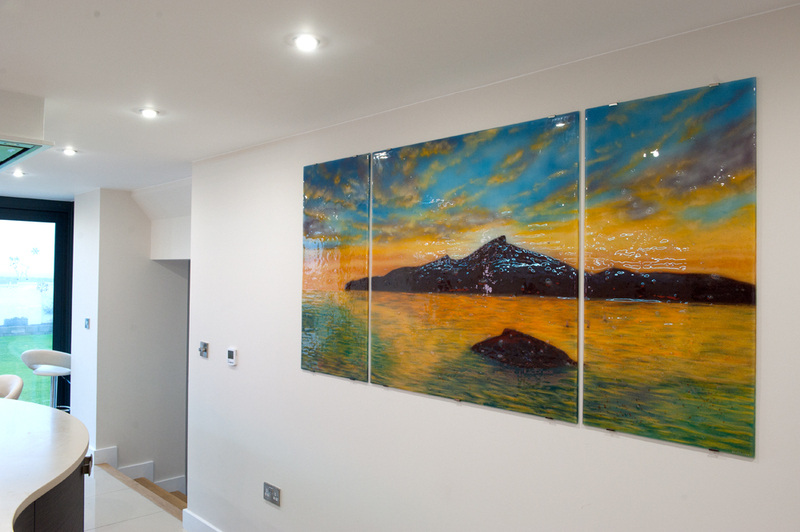 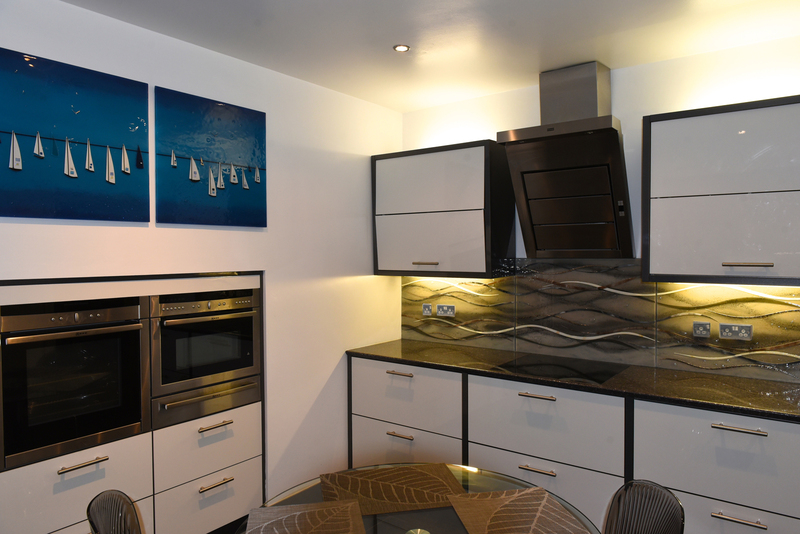 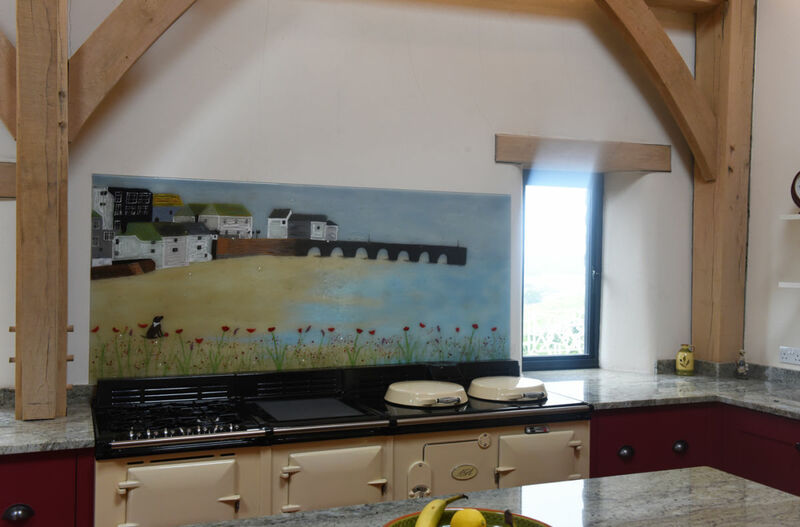 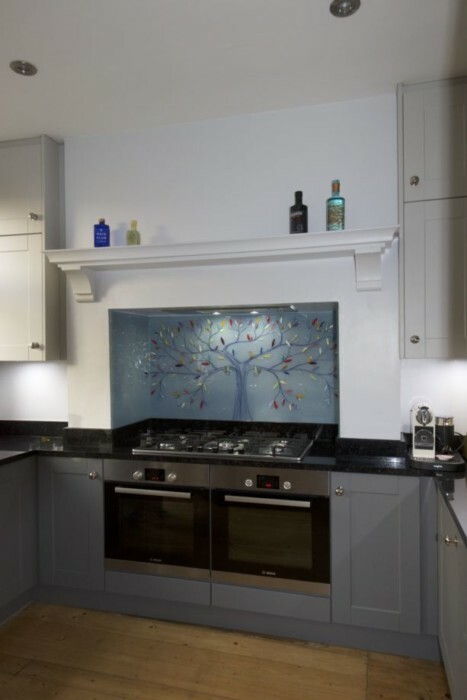 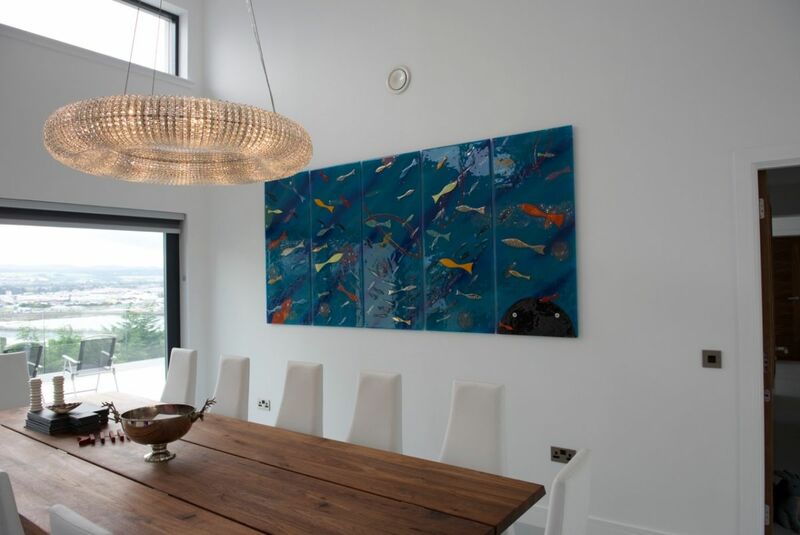 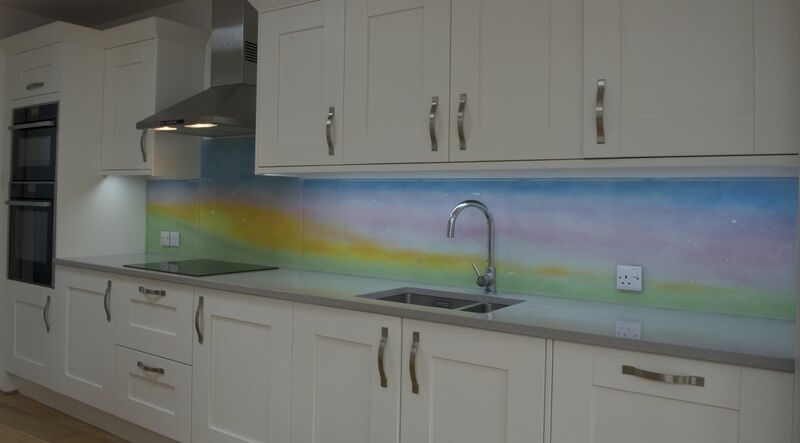 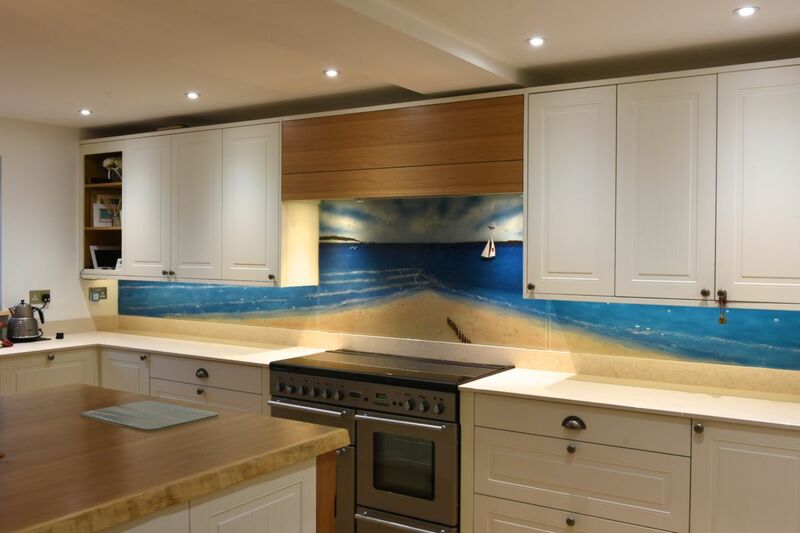 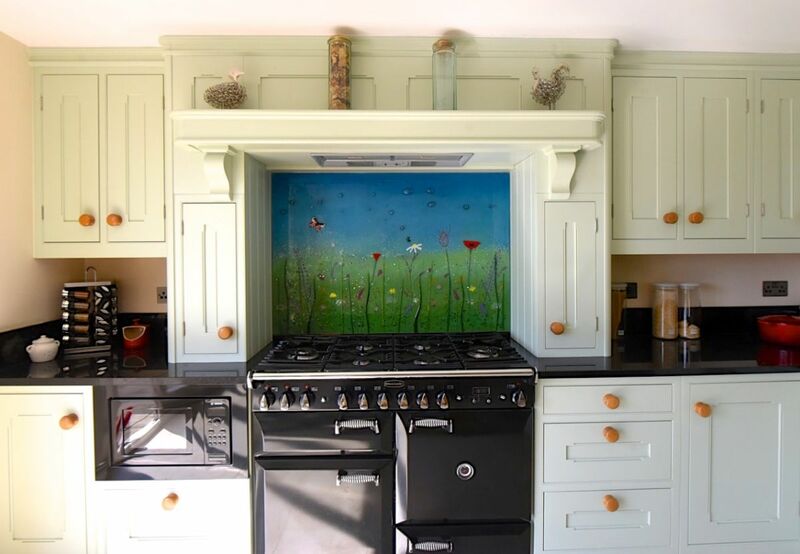 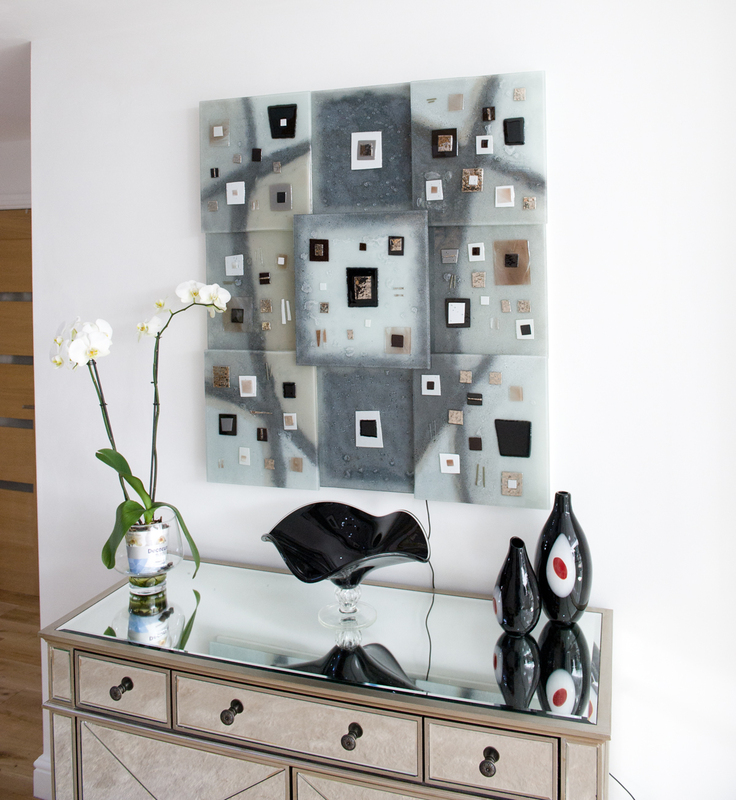 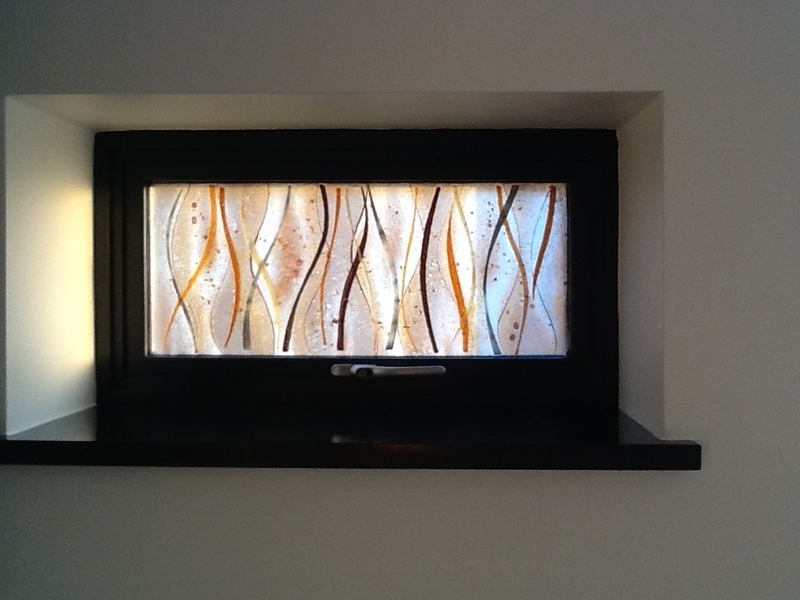 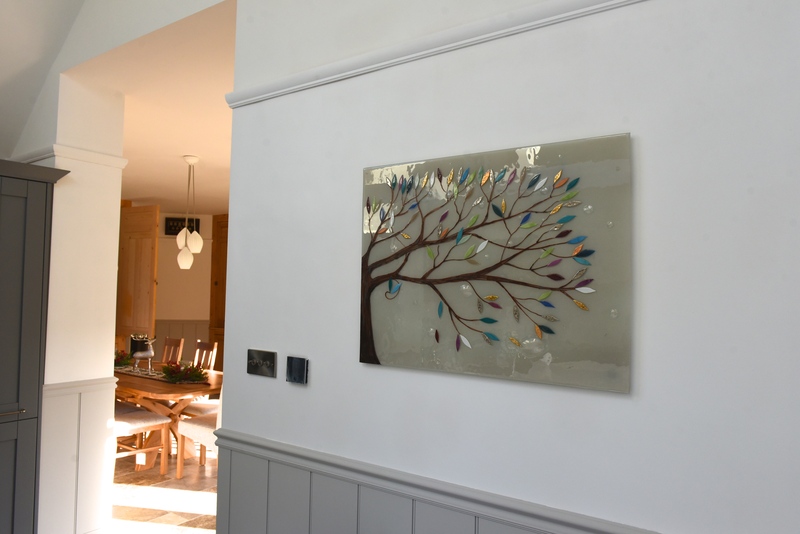 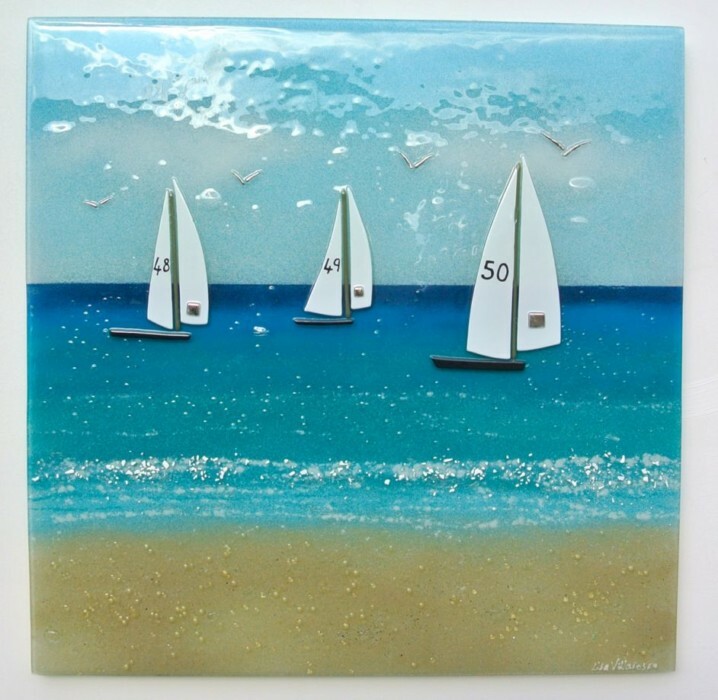 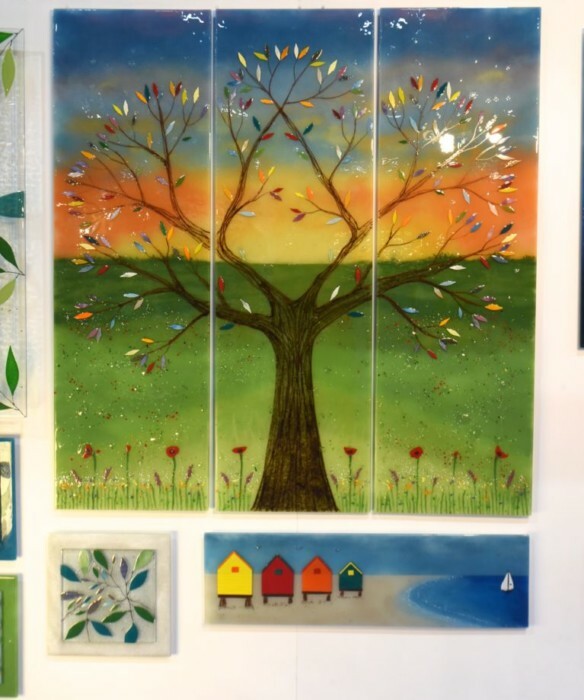 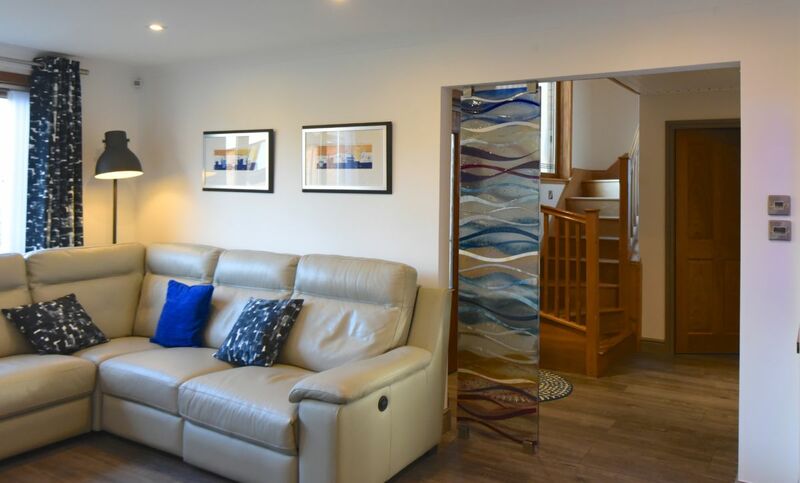 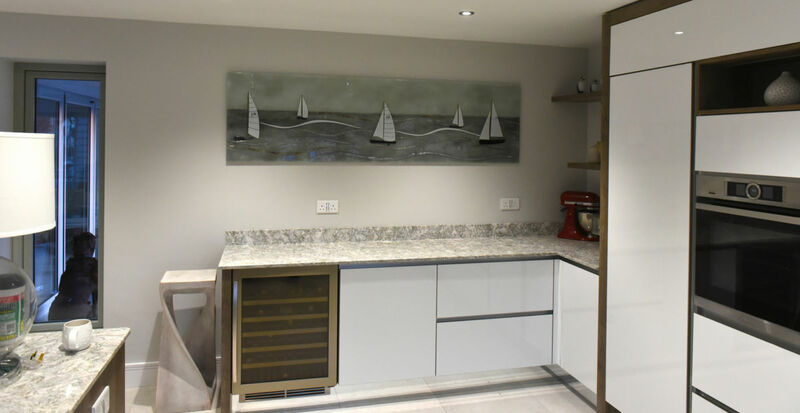 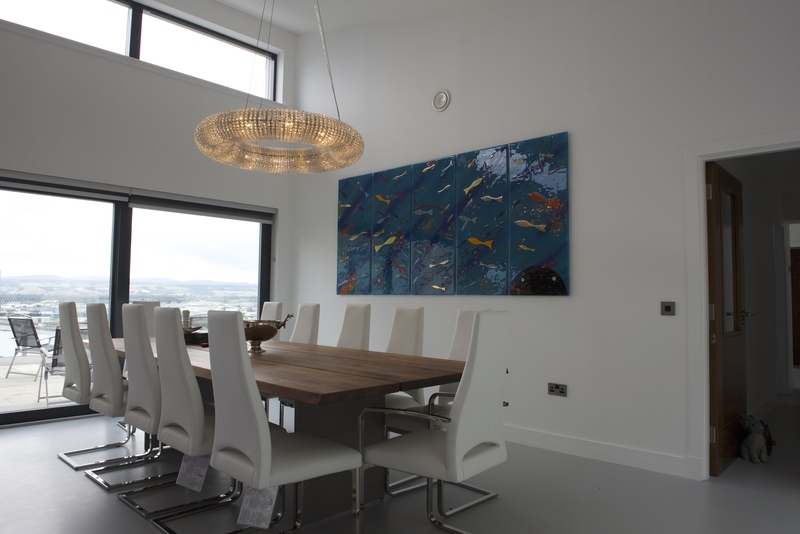 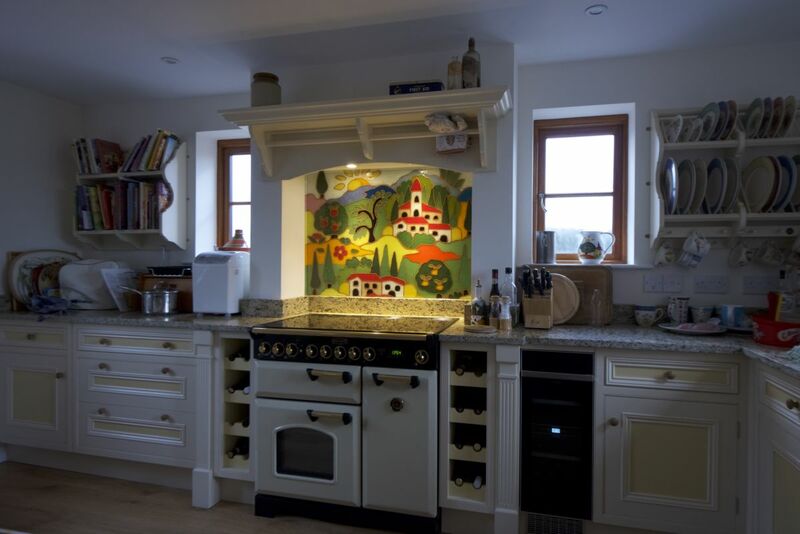 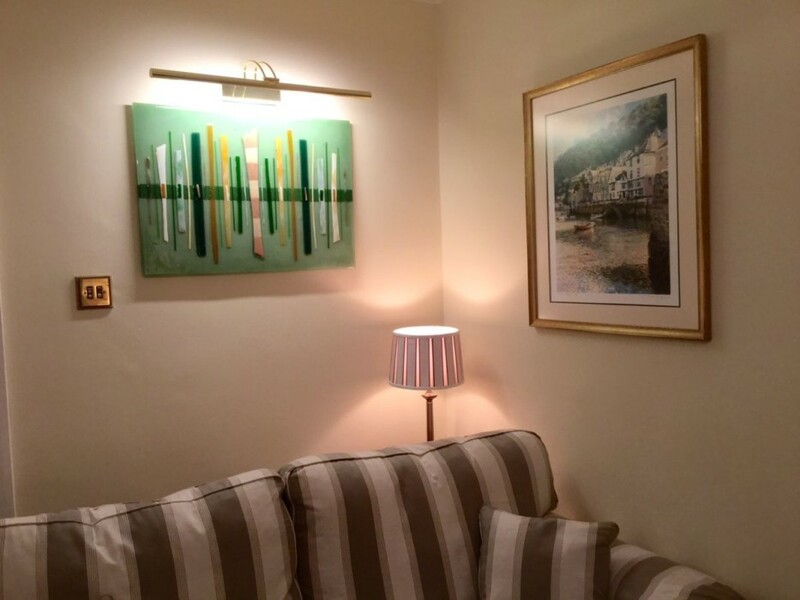 As well as finding a home behind cookers across the UK, our handmade glass wall art also regularly adorns the walls of homes up and down the country – and there’s a good reason for that! 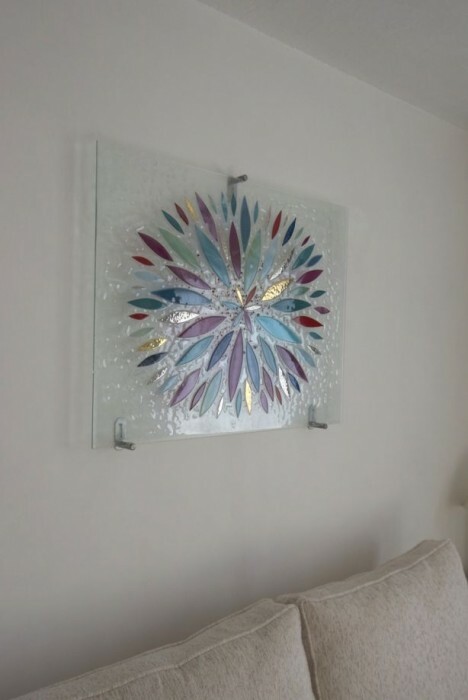 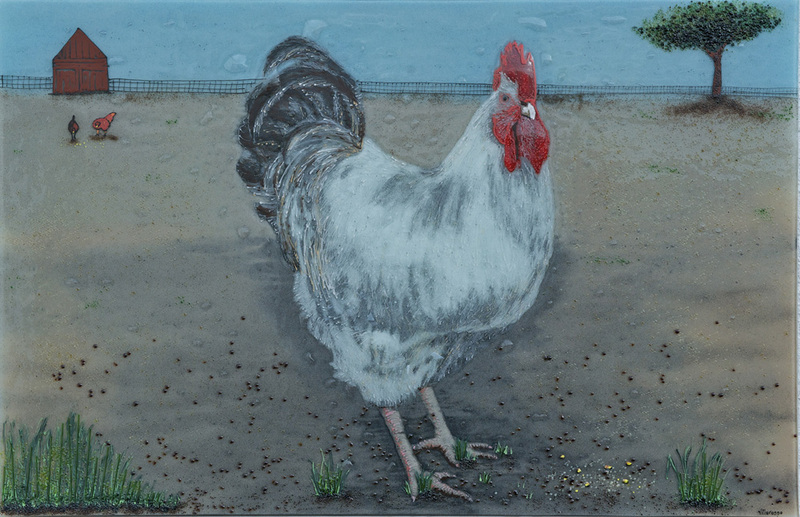 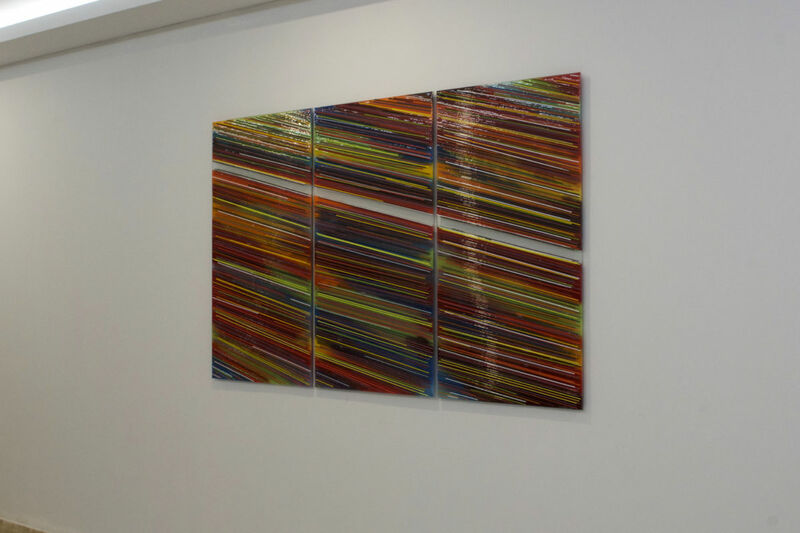 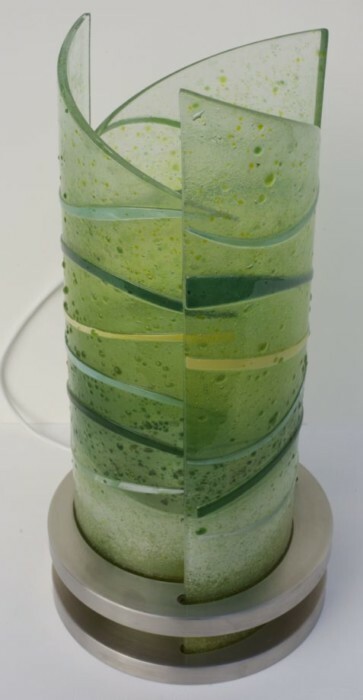 Glass Wall Art That Fits! 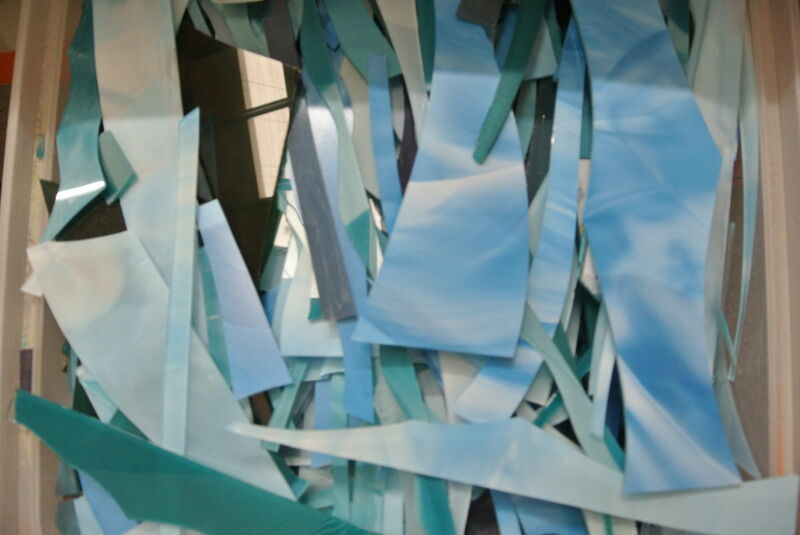 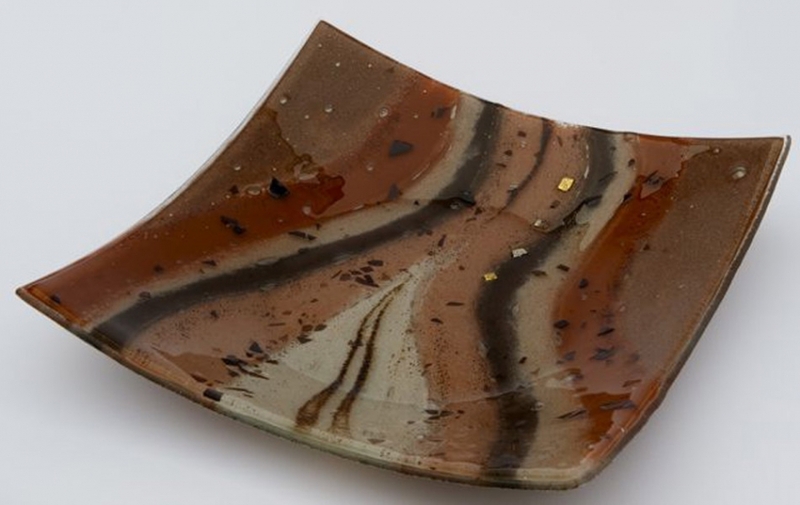 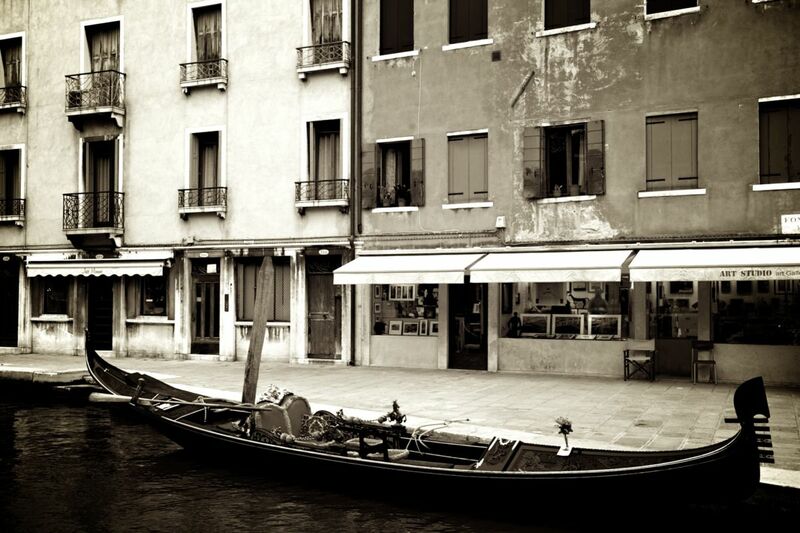 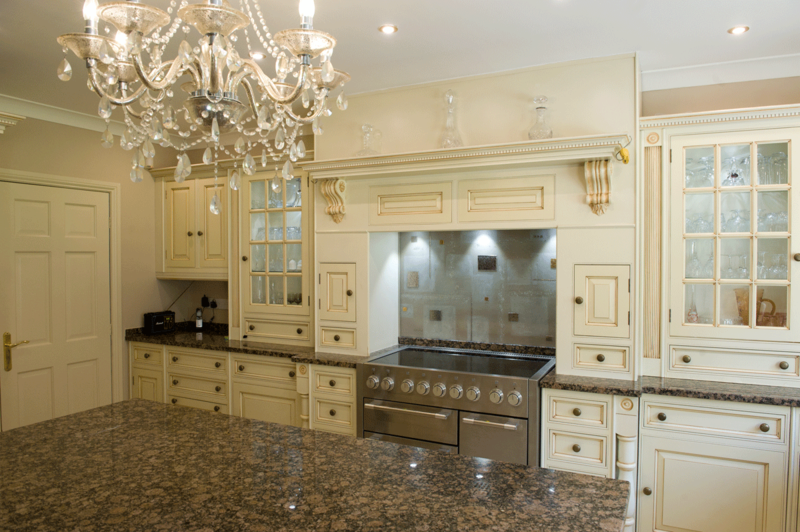 Every single piece that we make is created by hand, ensuring a flawless match for any home. 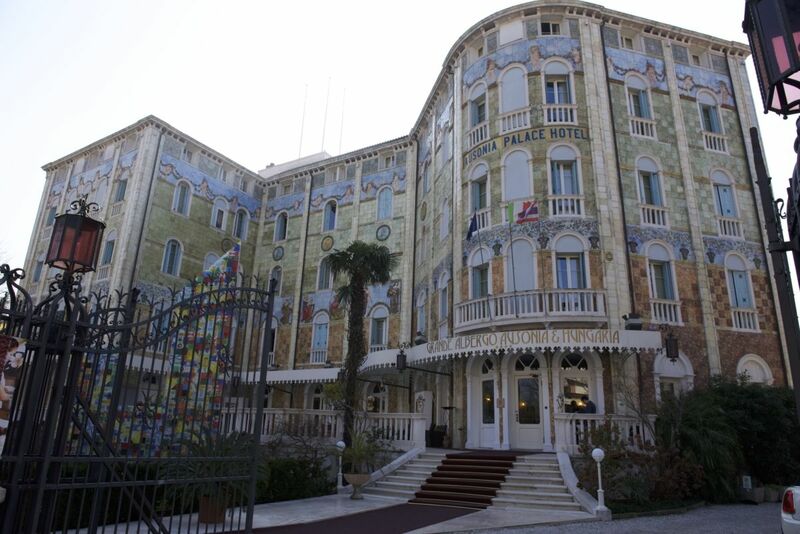 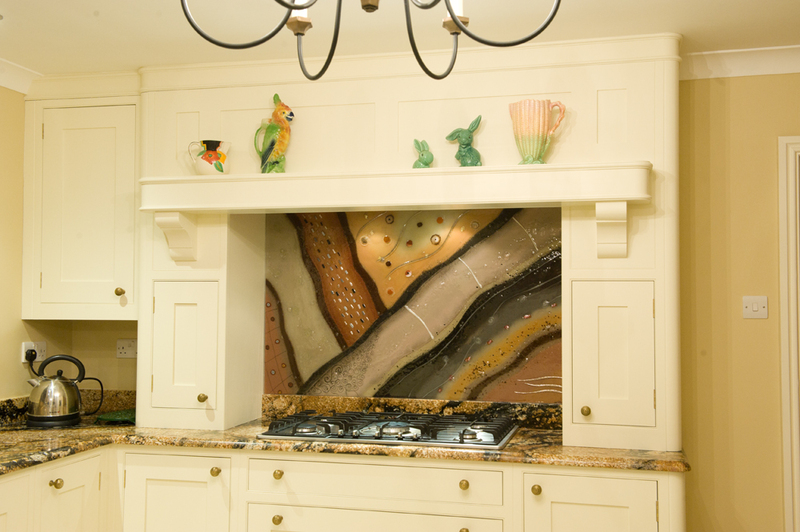 The design is entirely up to the customer, as we can create just about anything that’s asked of us. 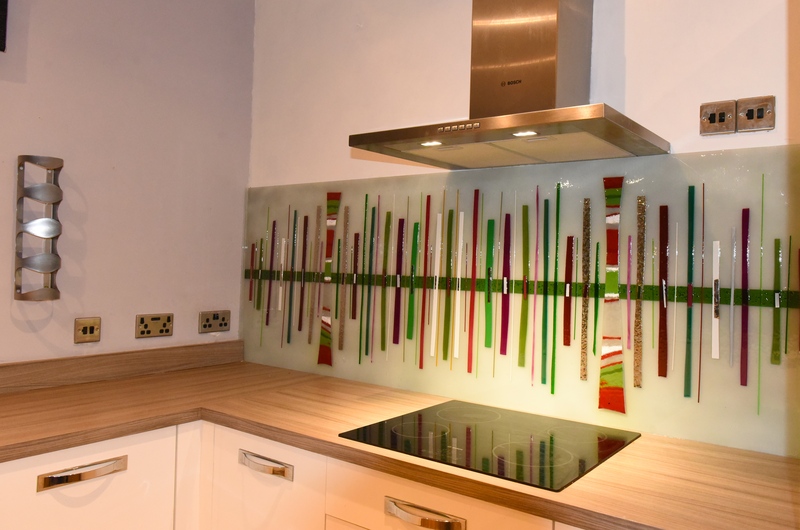 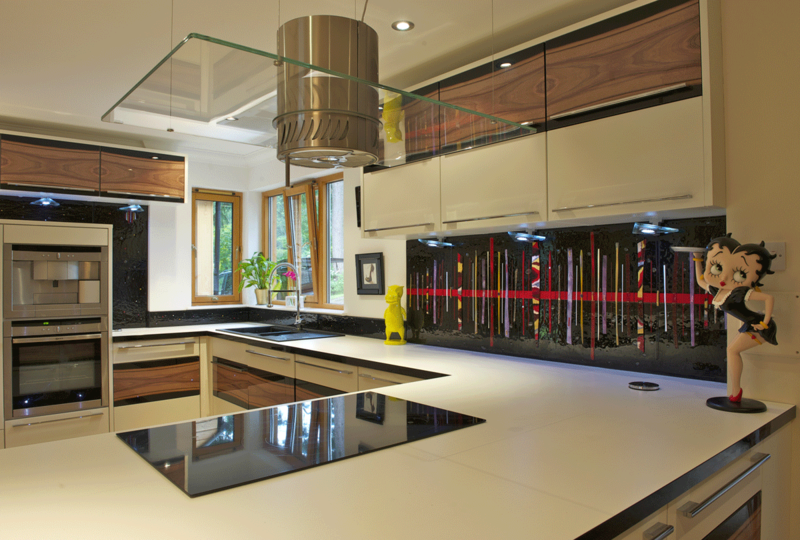 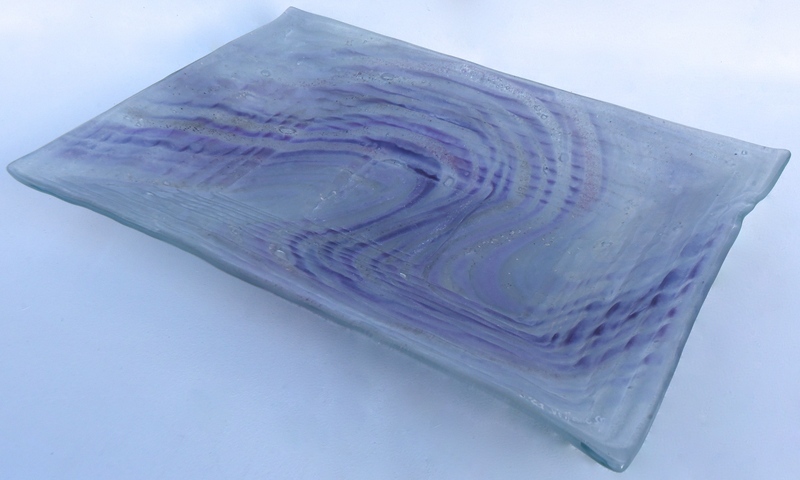 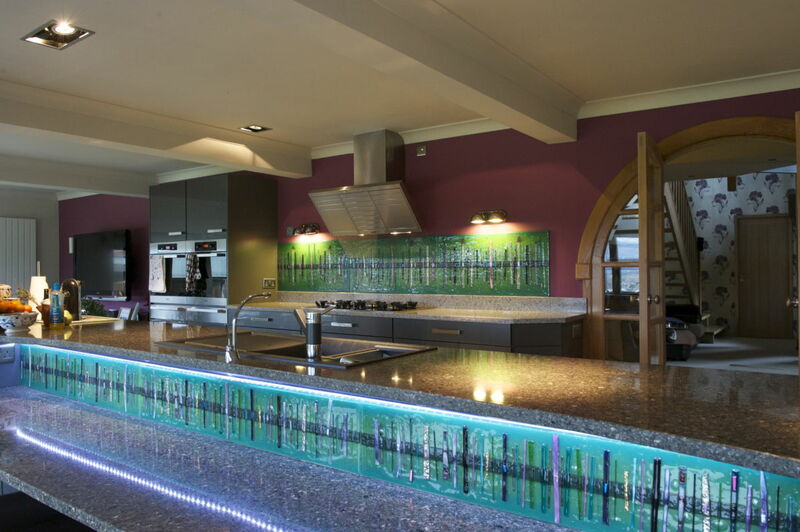 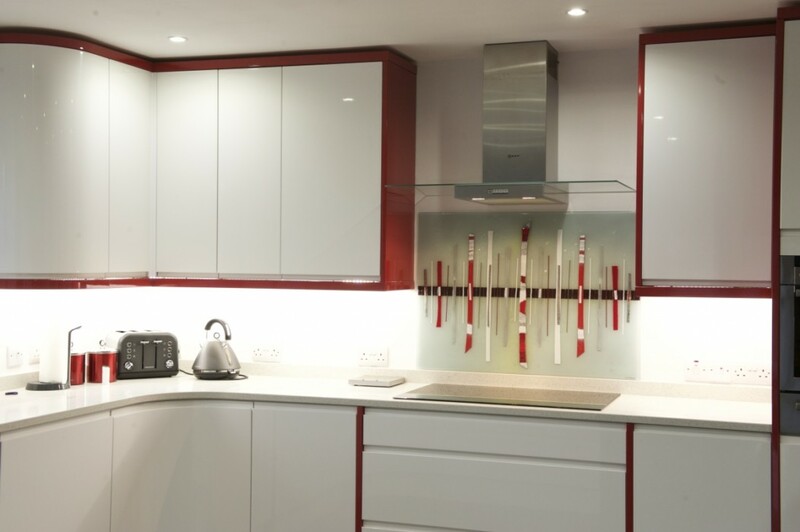 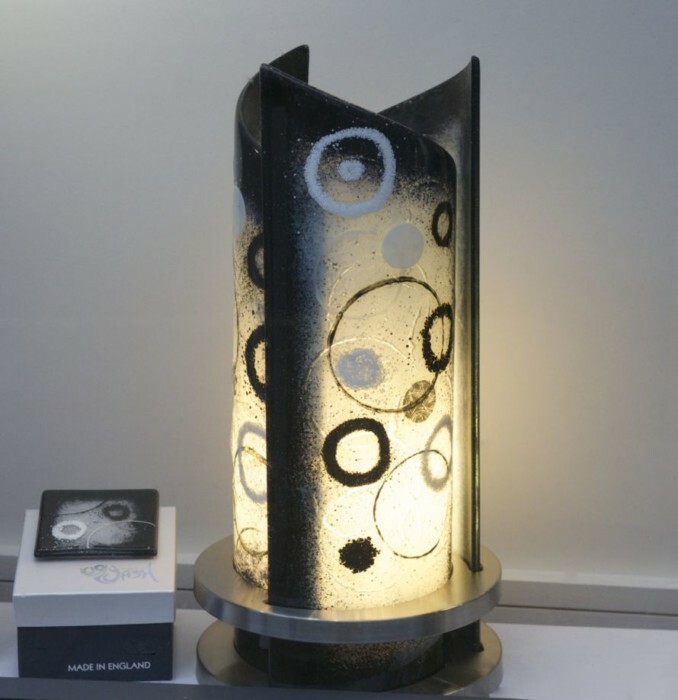 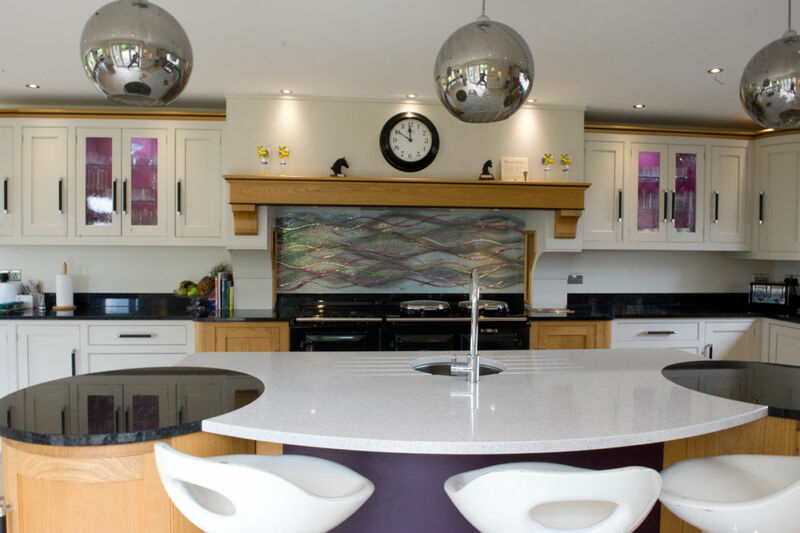 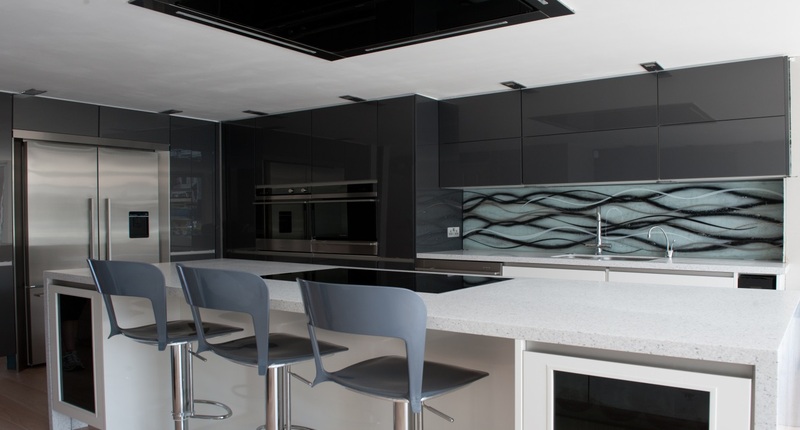 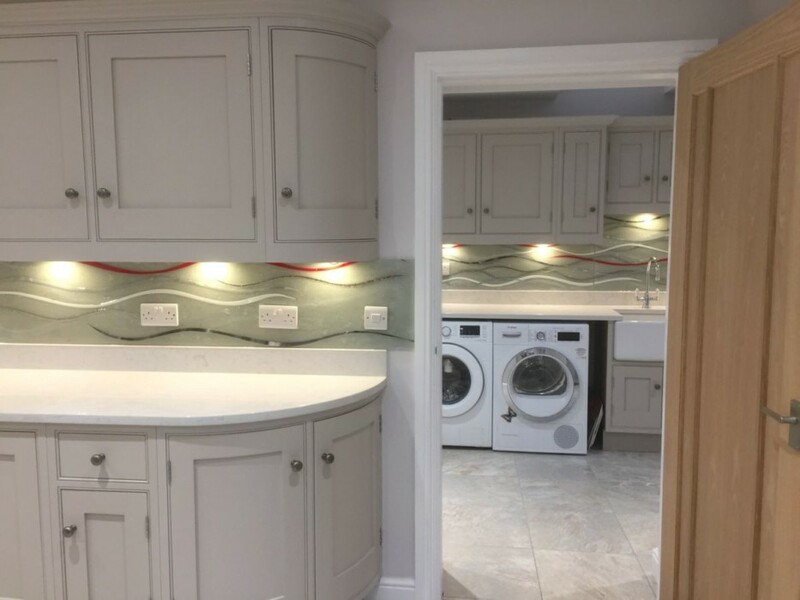 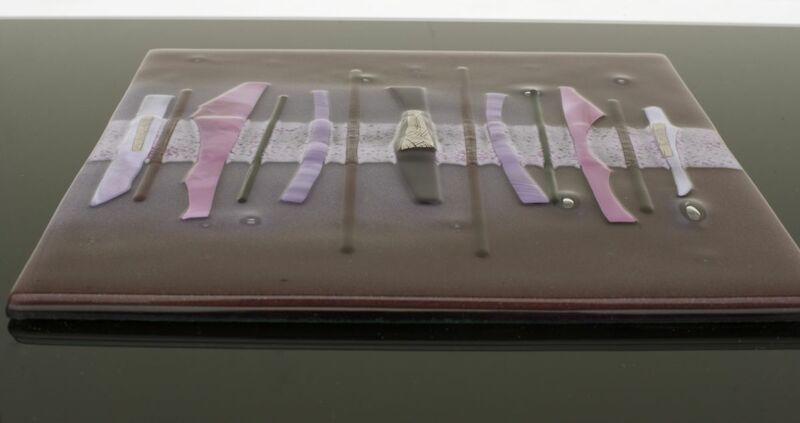 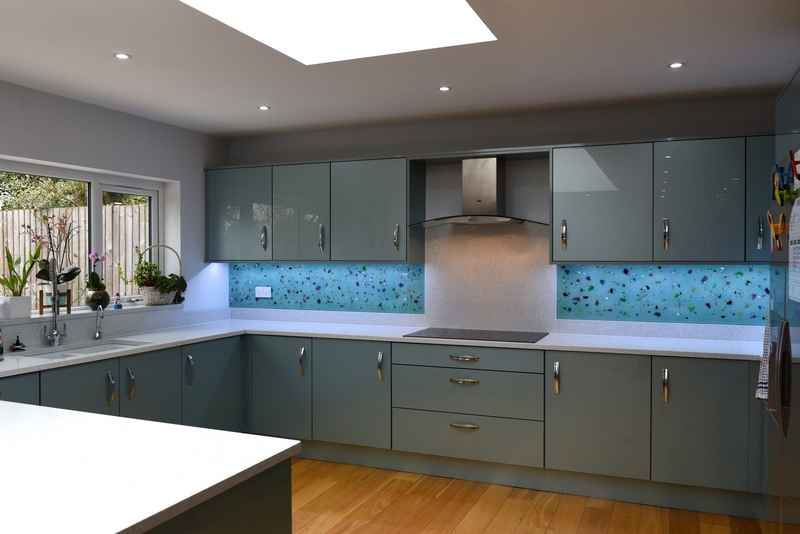 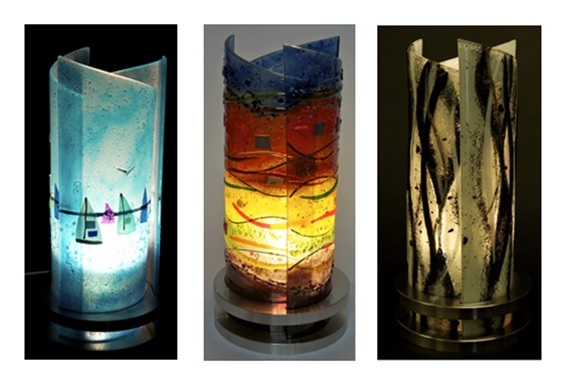 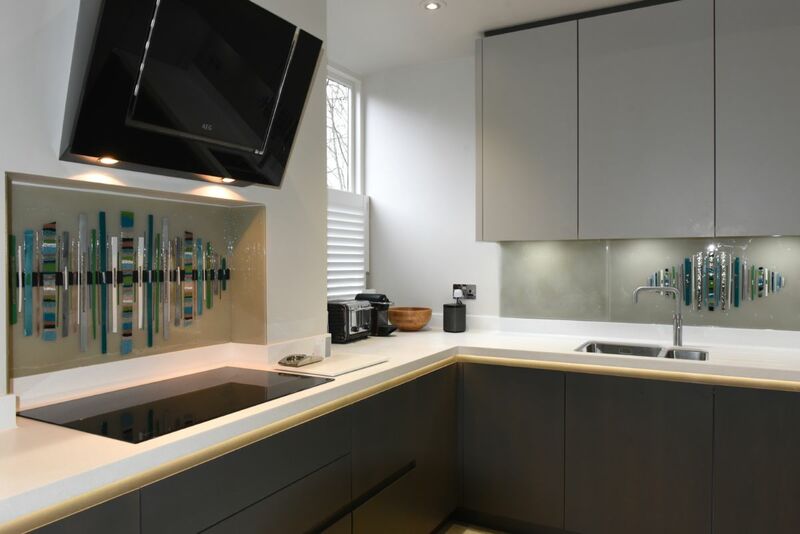 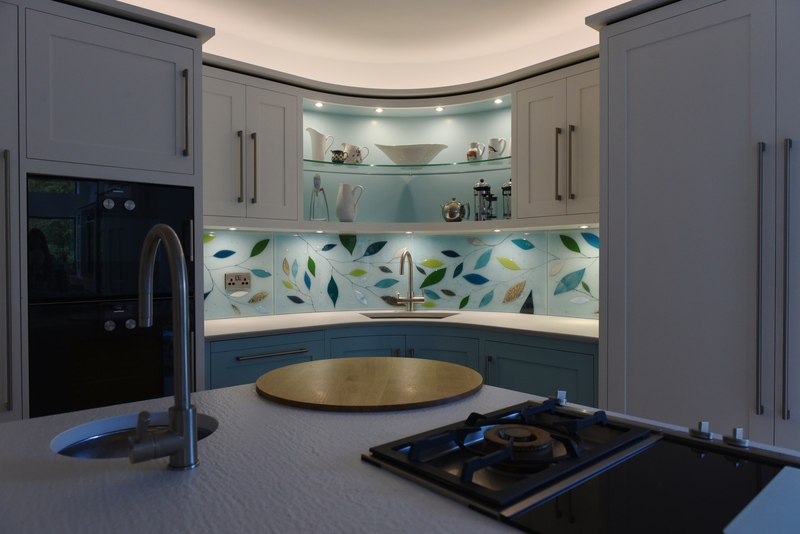 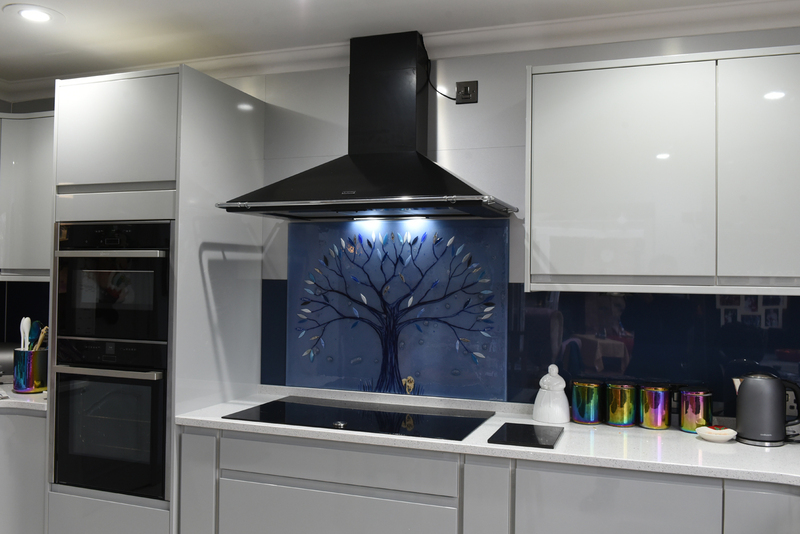 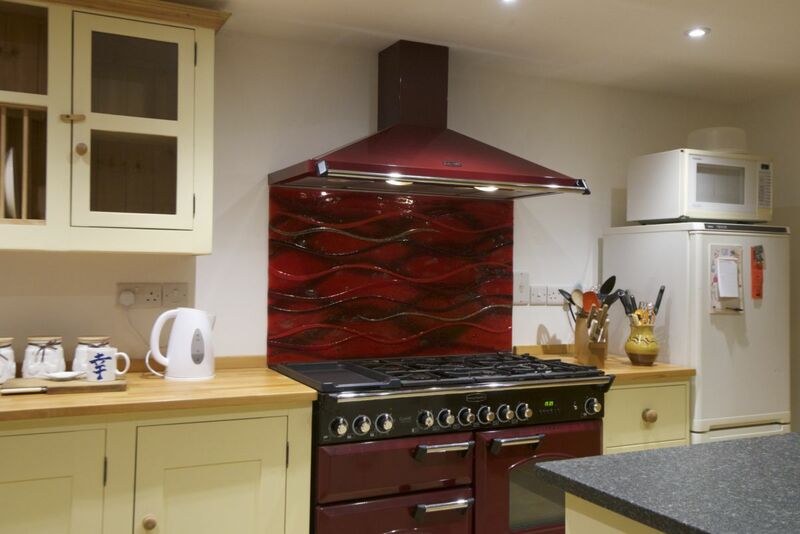 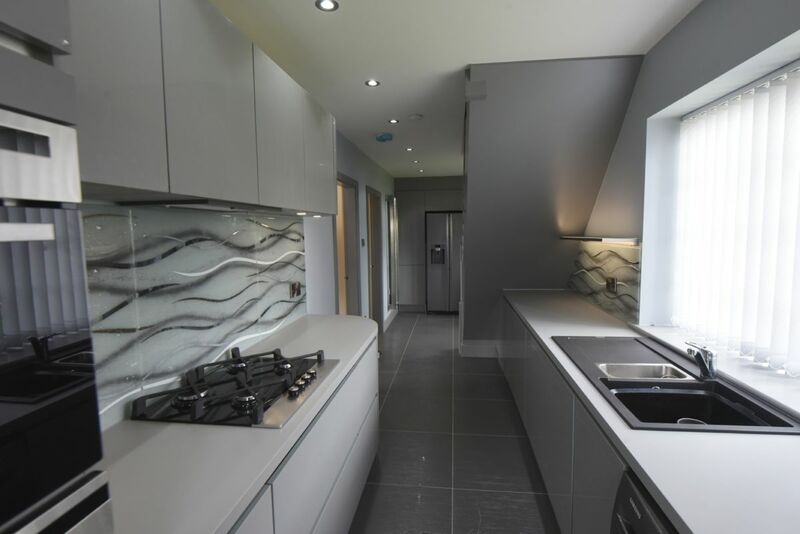 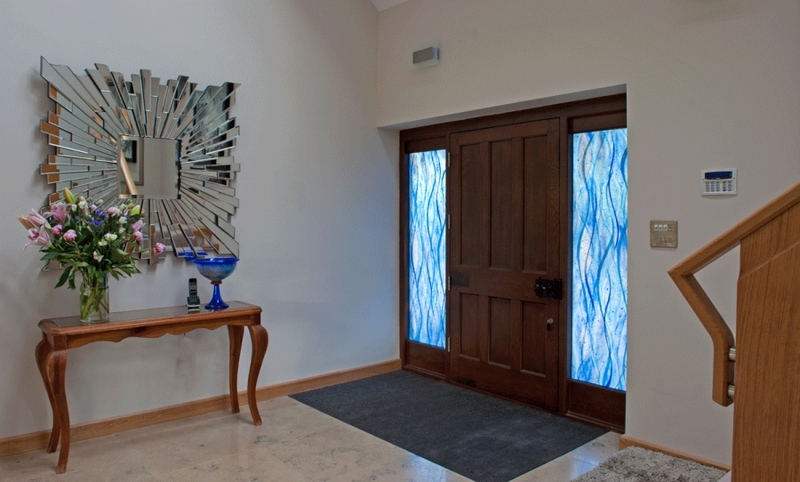 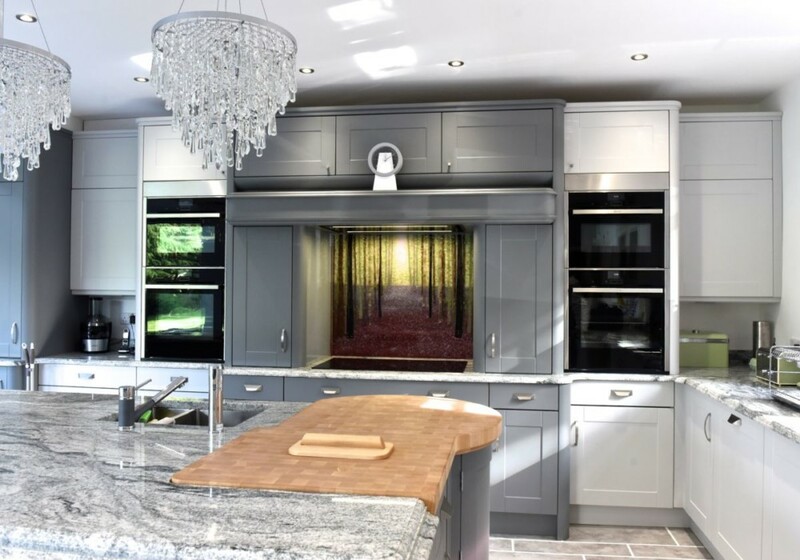 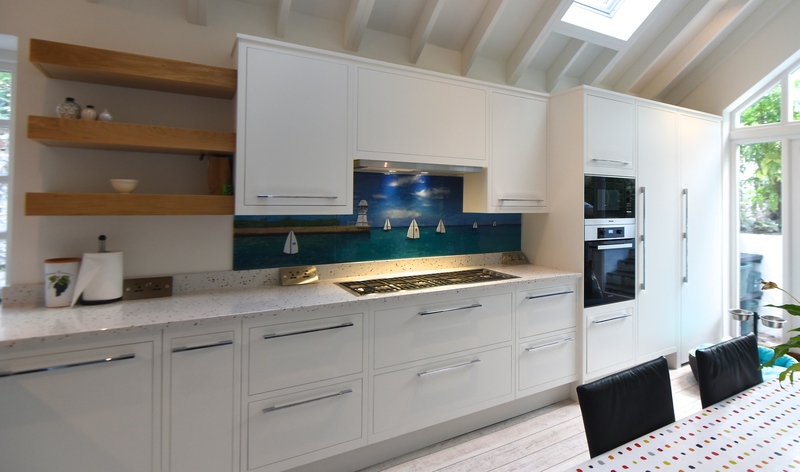 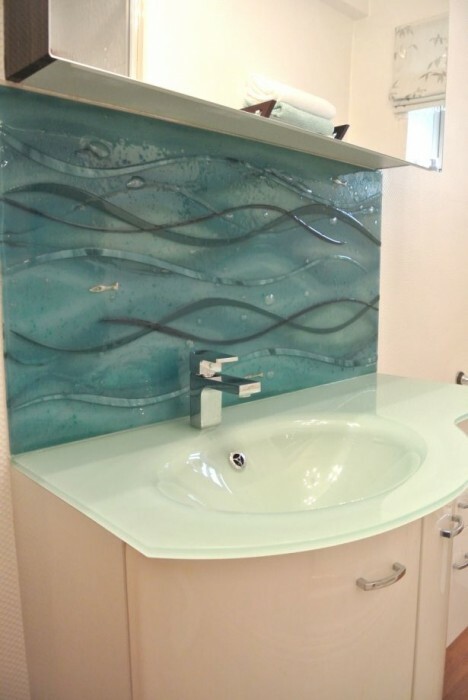 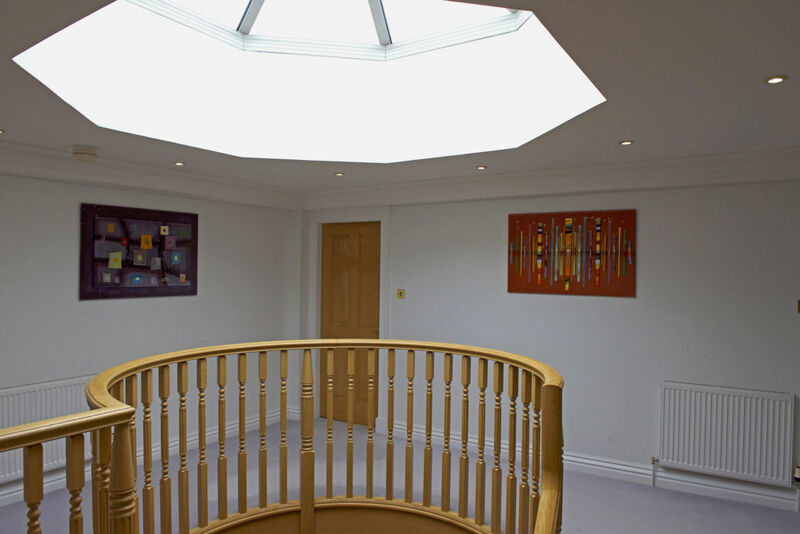 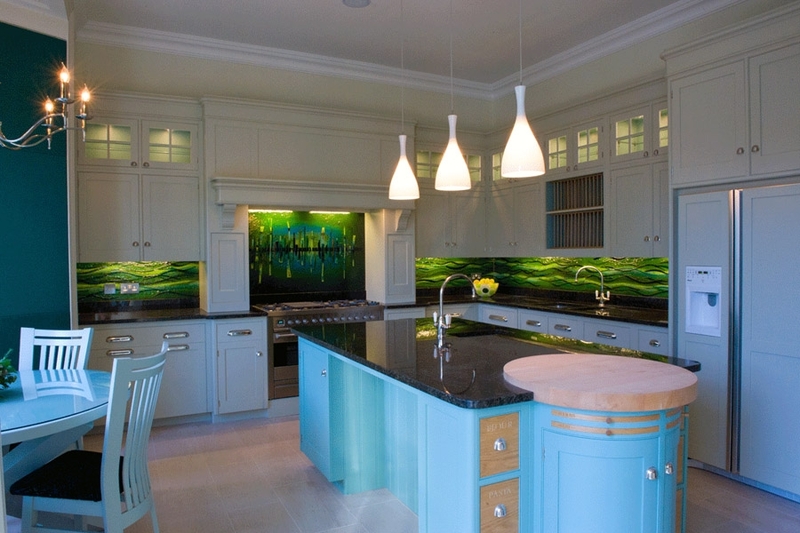 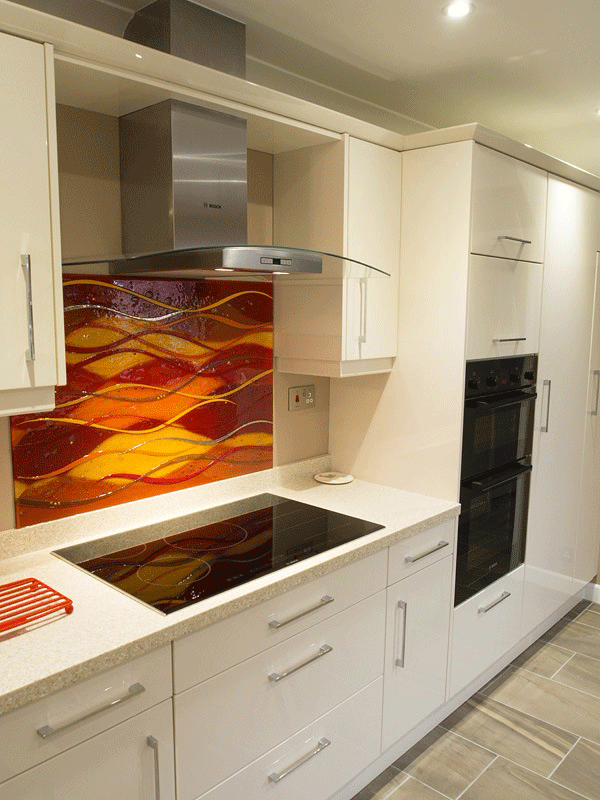 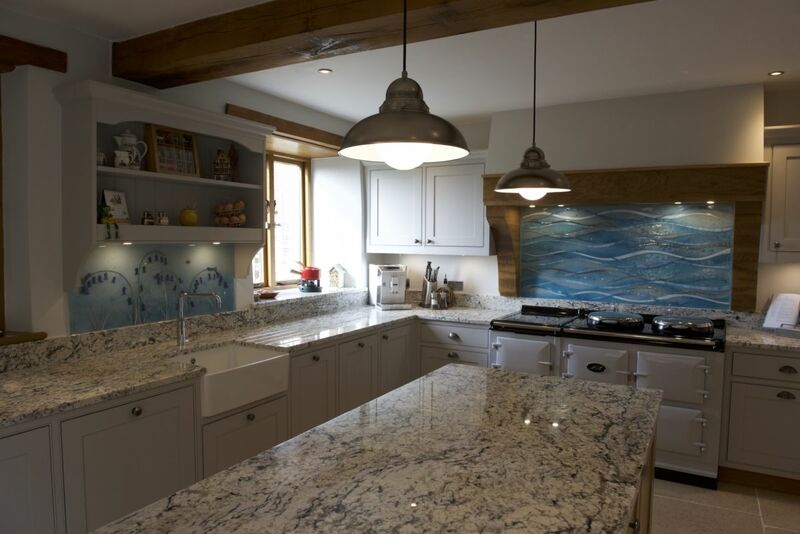 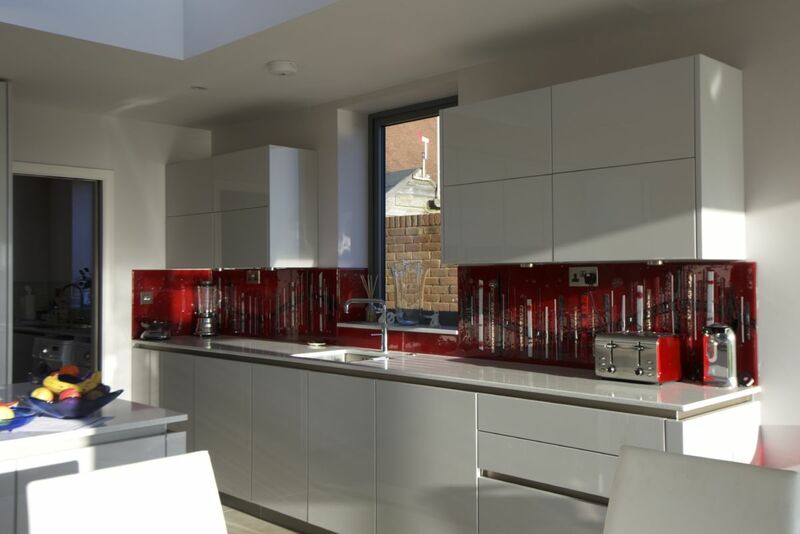 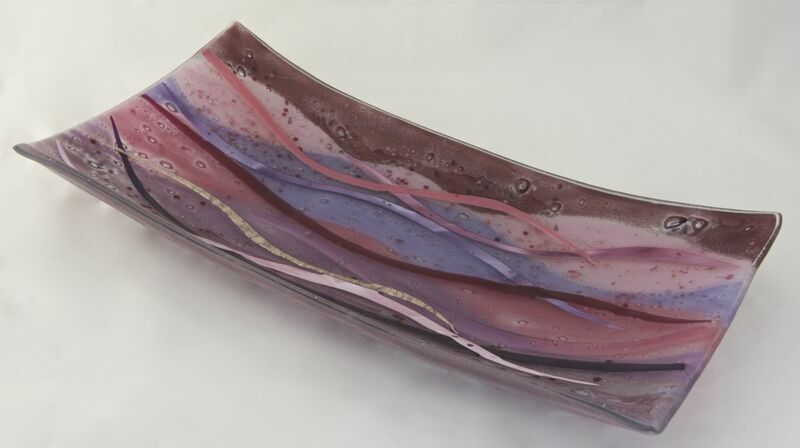 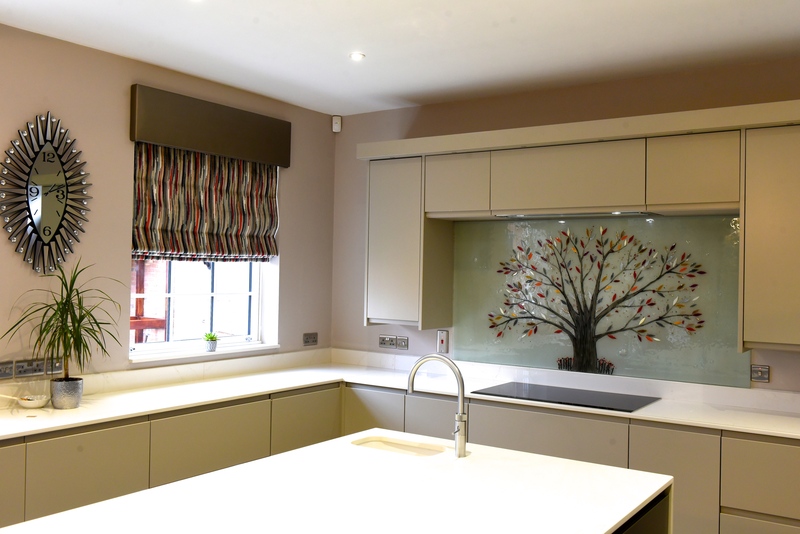 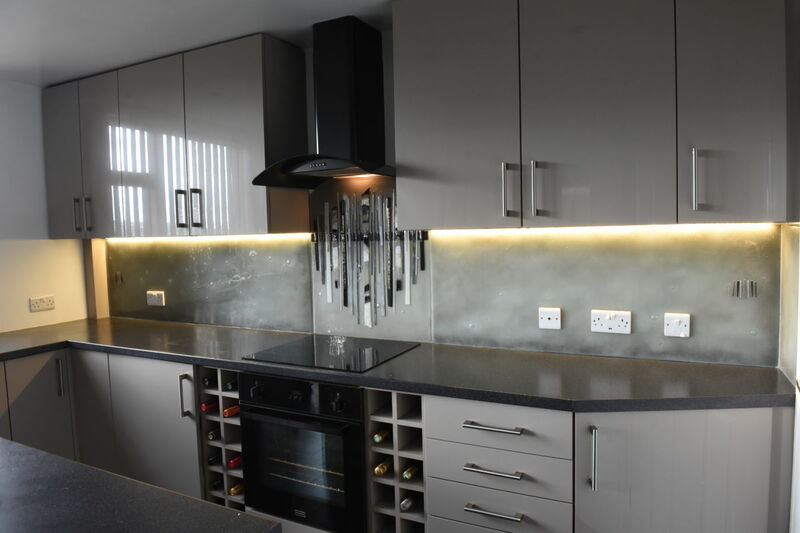 From the moment you place your order, we’ll keep you informed along each step of the design process, making sure that you can pick out the perfect colours, shapes and more to create the ideal piece of glass for your home. 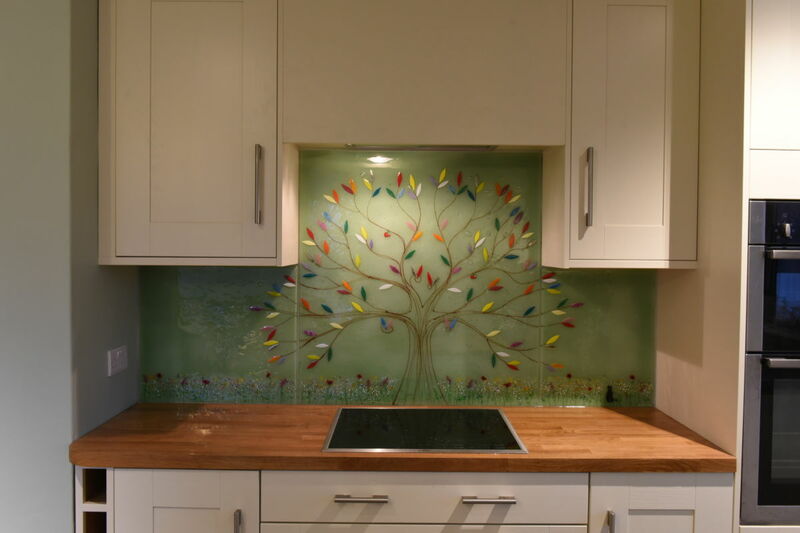 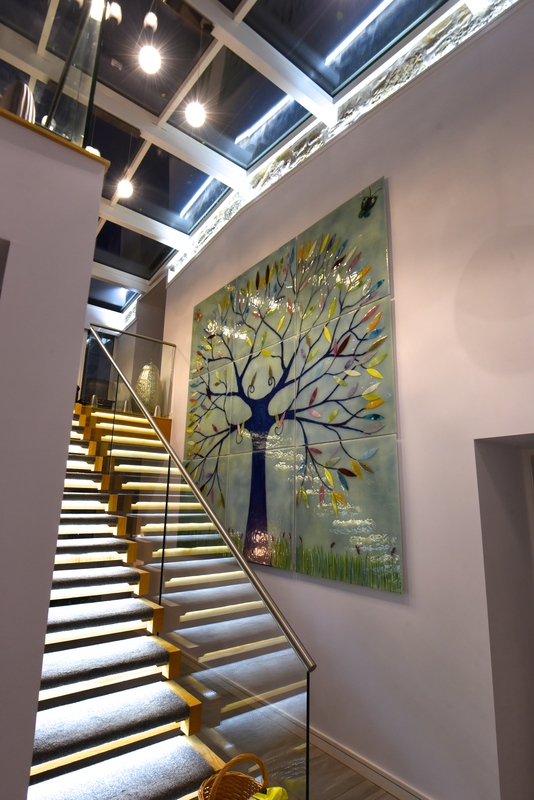 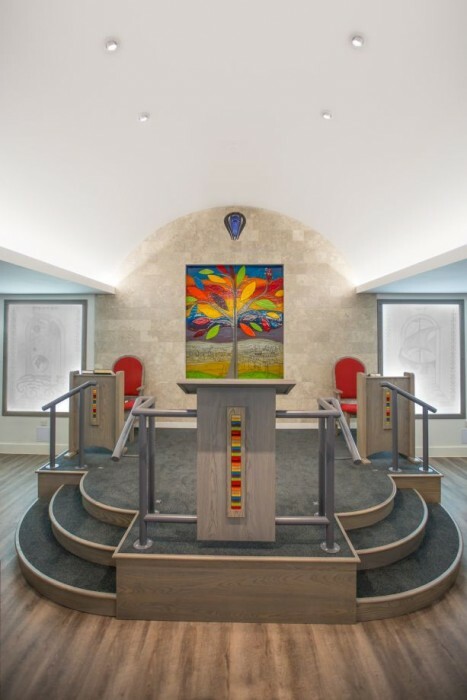 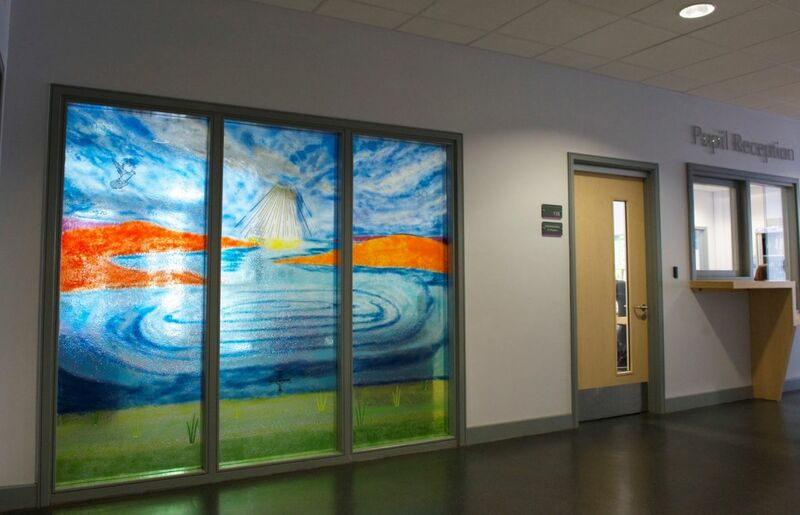 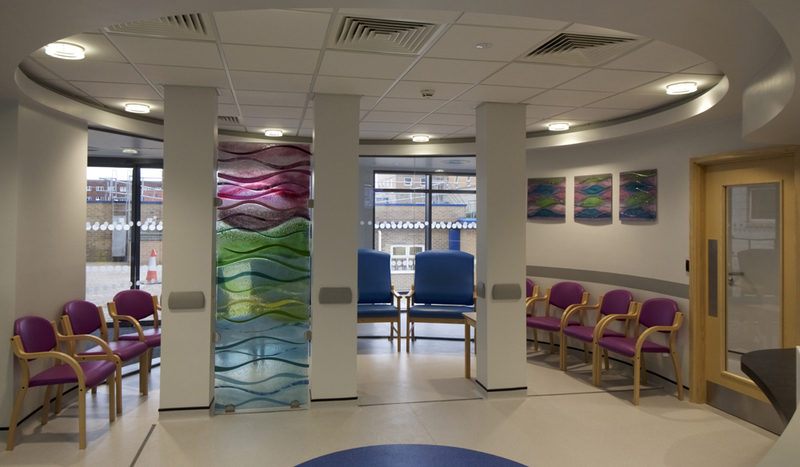 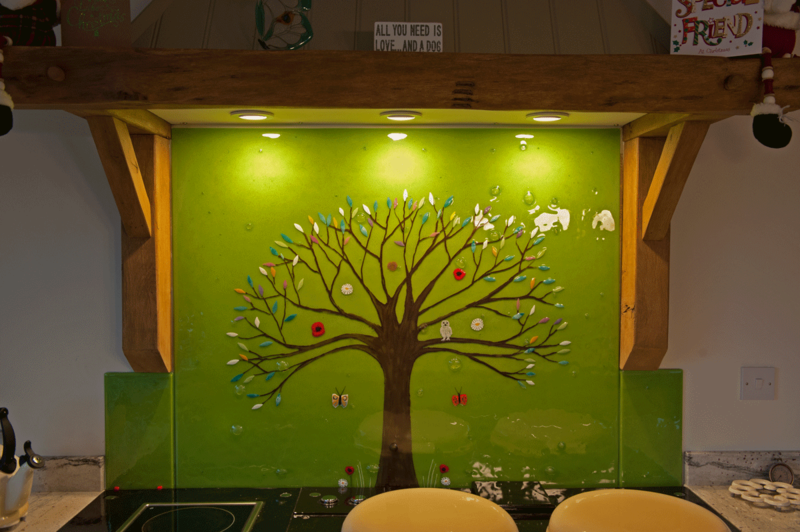 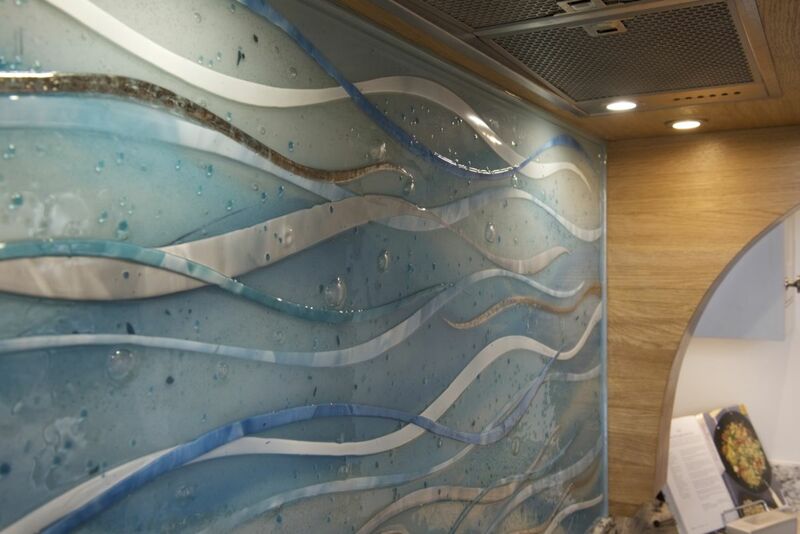 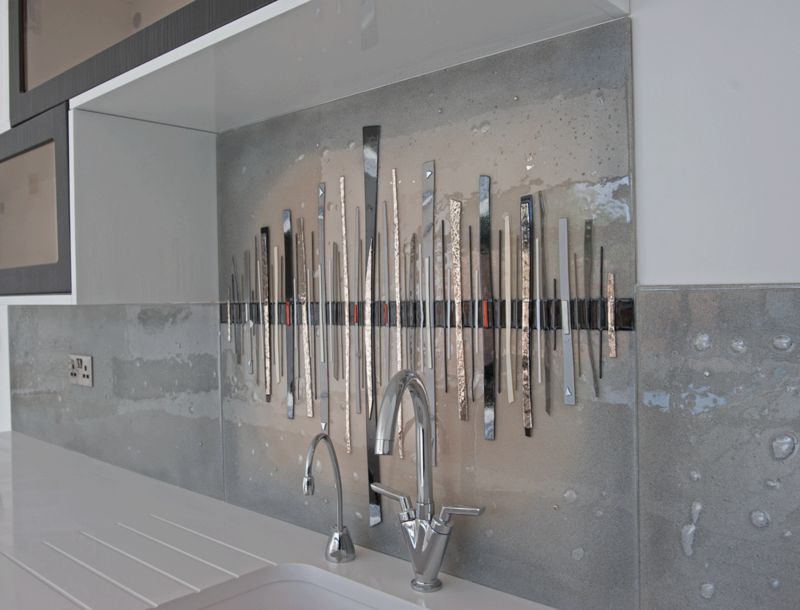 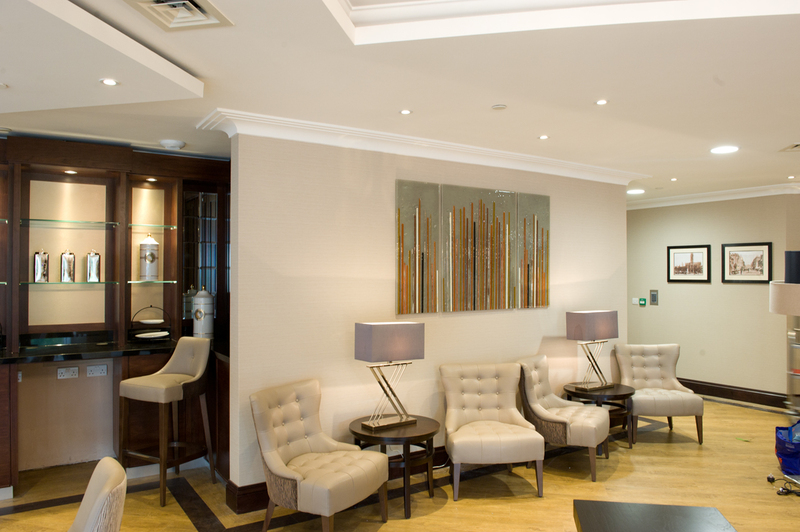 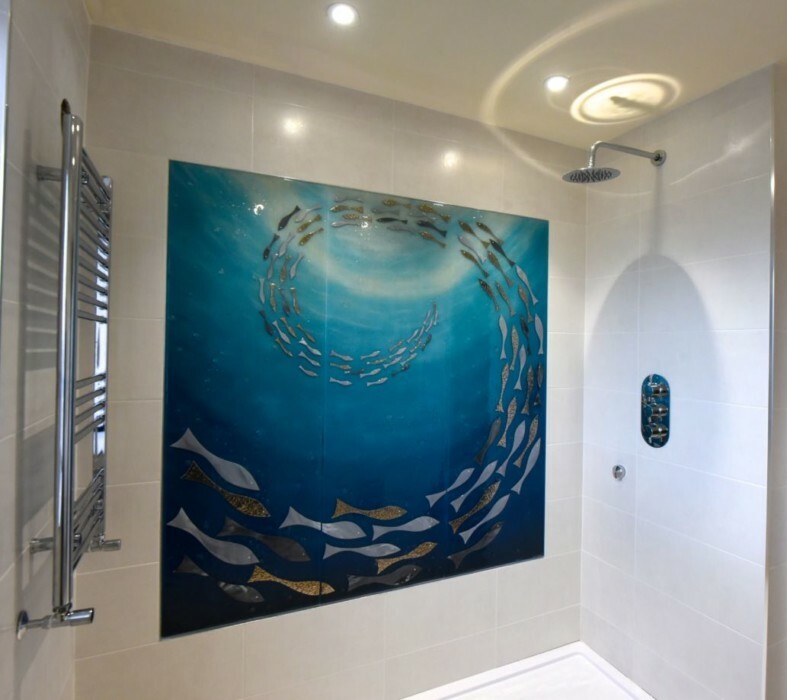 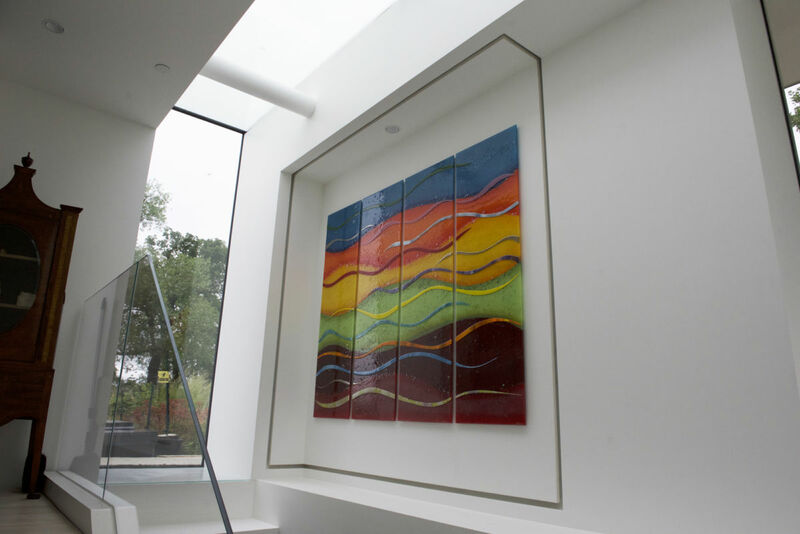 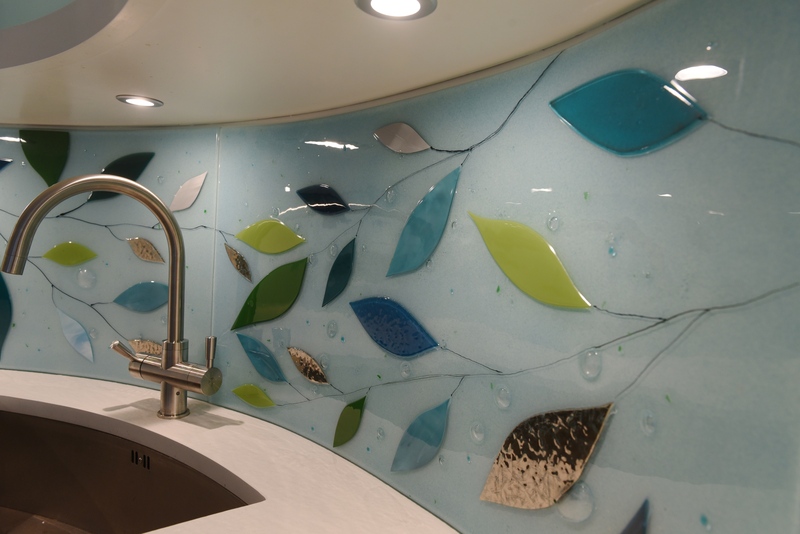 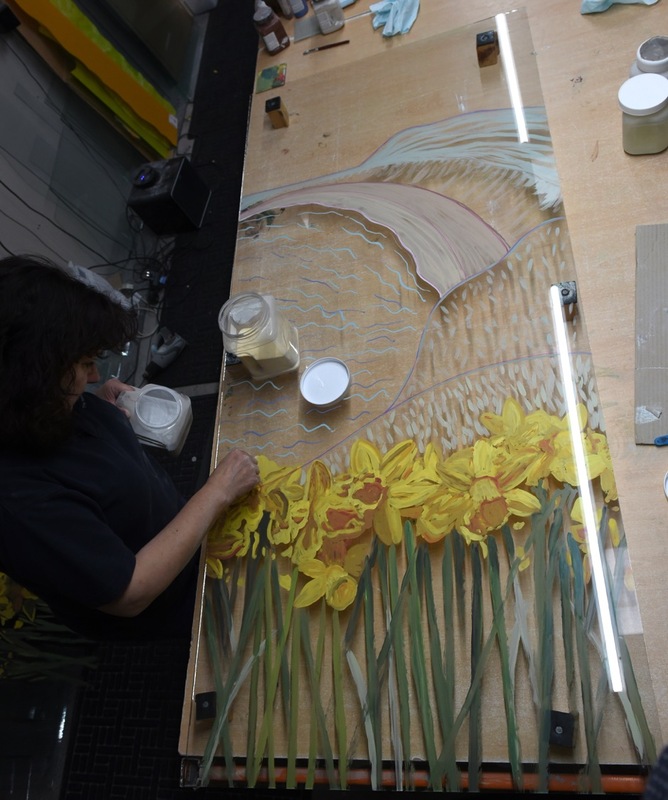 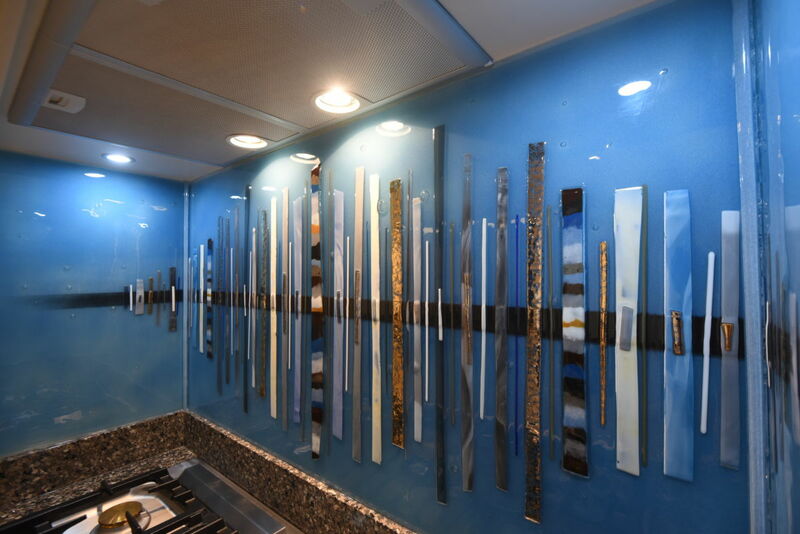 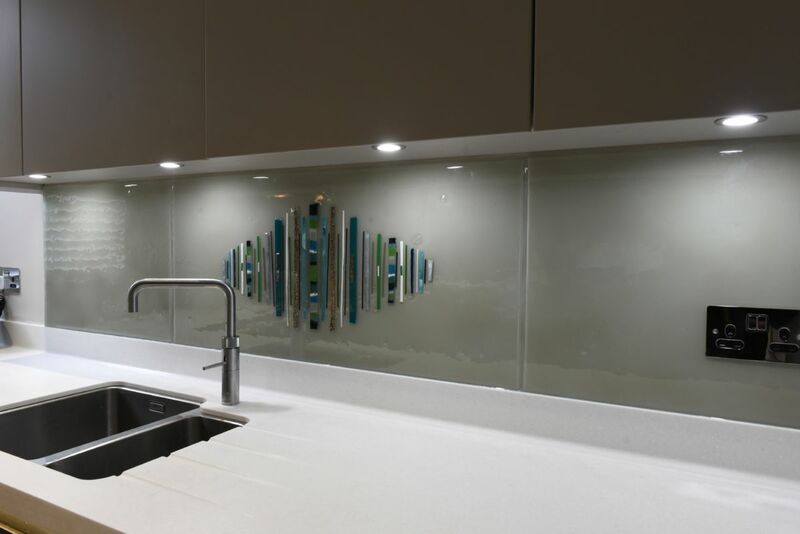 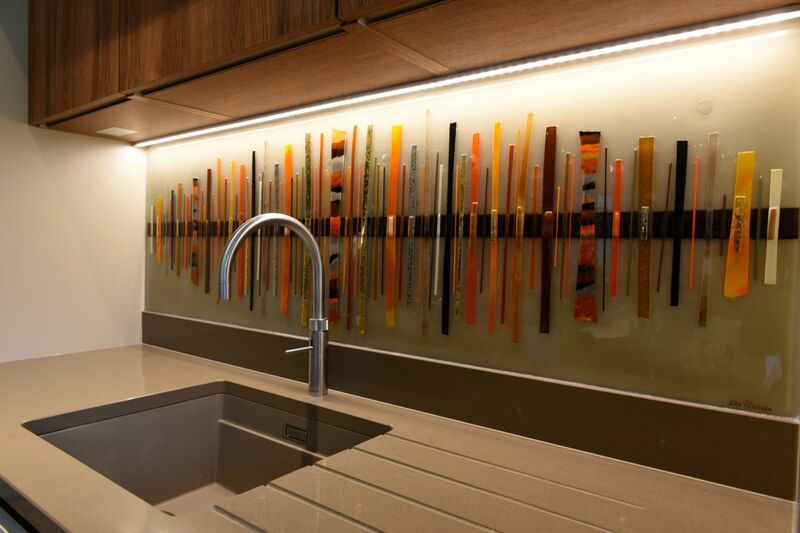 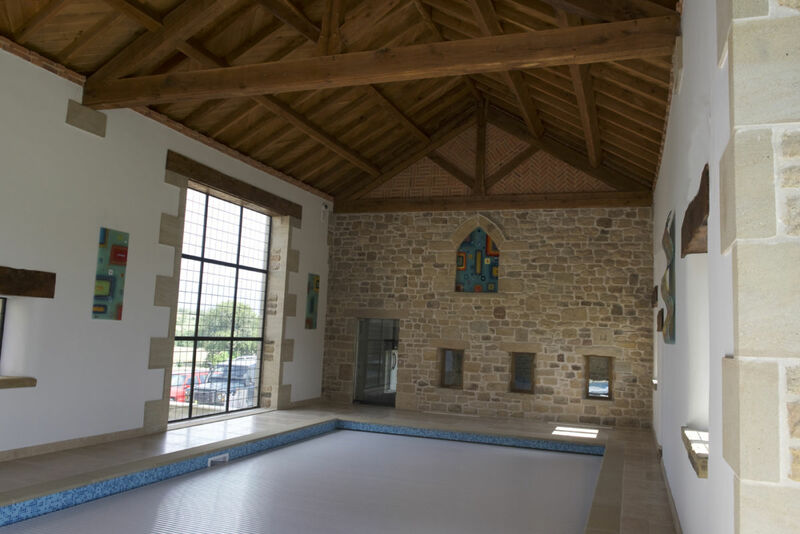 The bespoke aspect of our craft also means that all of our glass wall art is made to specific measurements and can be cut around even the most awkward spaces. 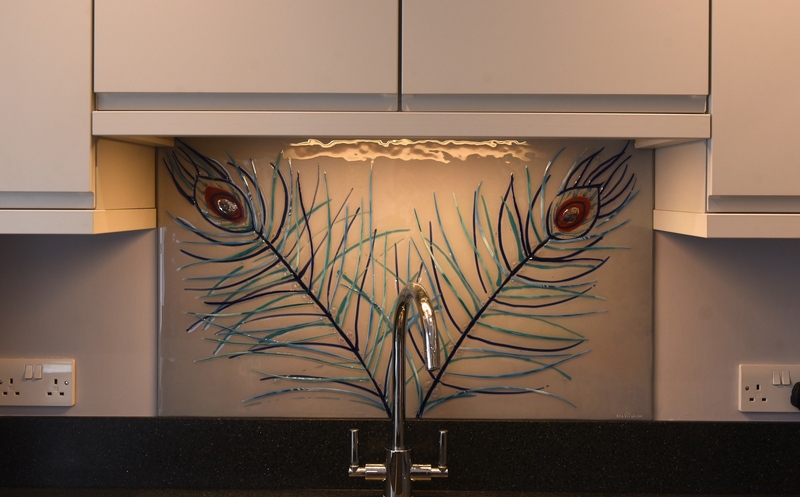 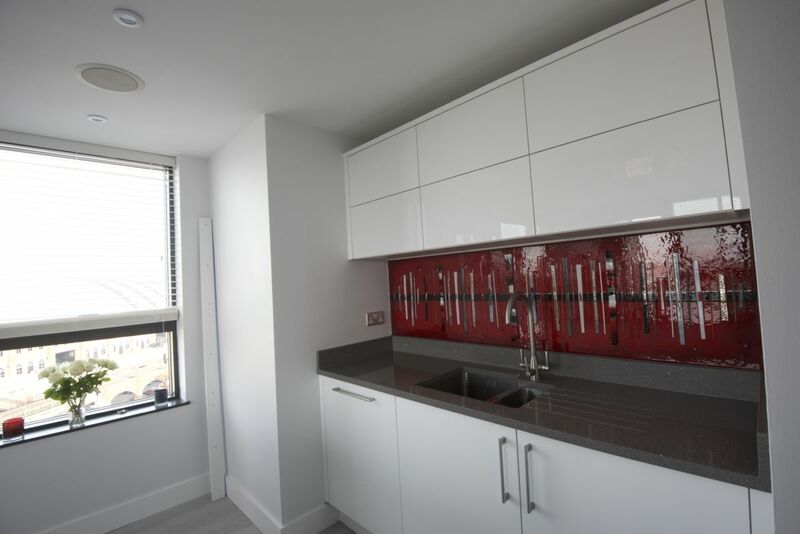 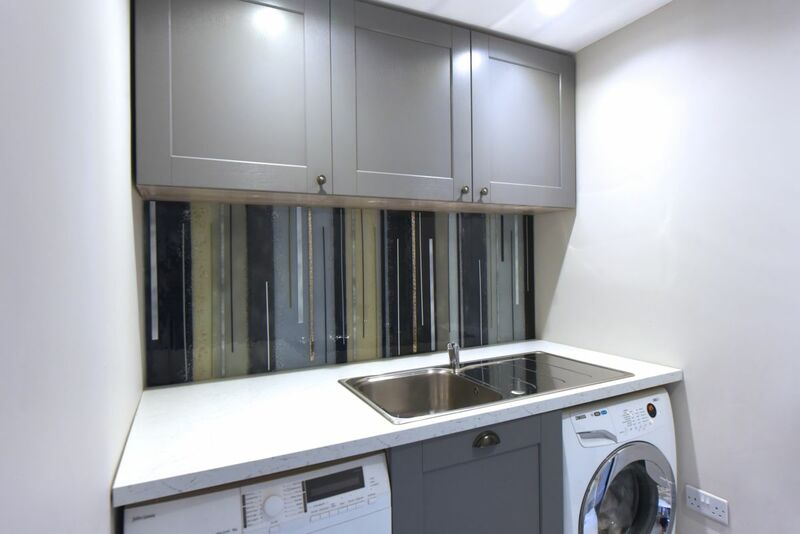 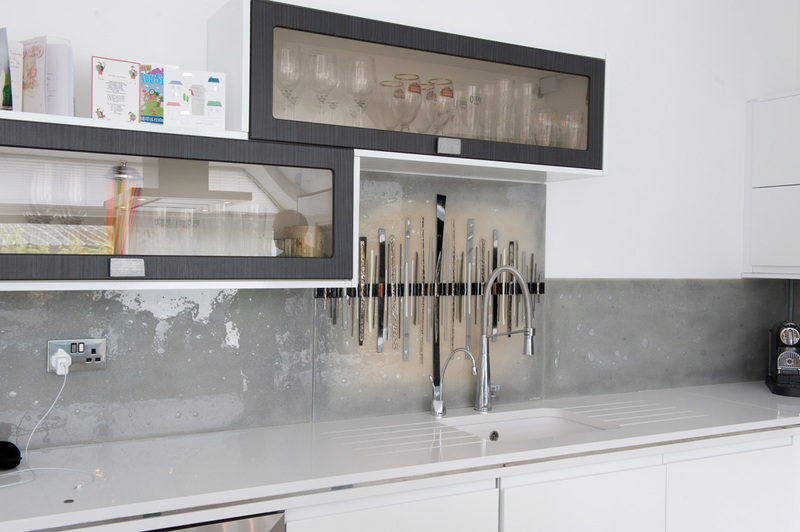 Plug sockets, countertops, cabinets and more won’t prove an obstruction, as we can even cut pieces out of the glass to ensure the perfect fit. 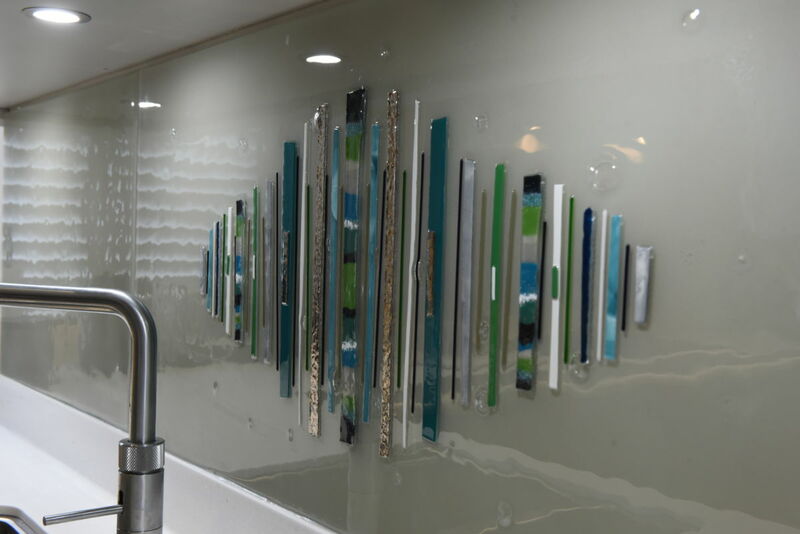 Multiple pieces can even be joined seamlessly together, especially if you’re looking to have a design that’s larger than a single panel could manage. 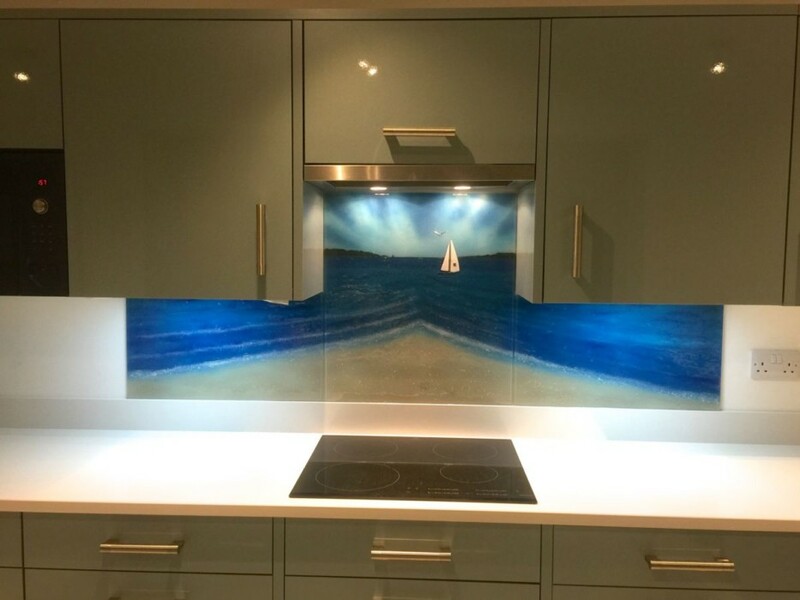 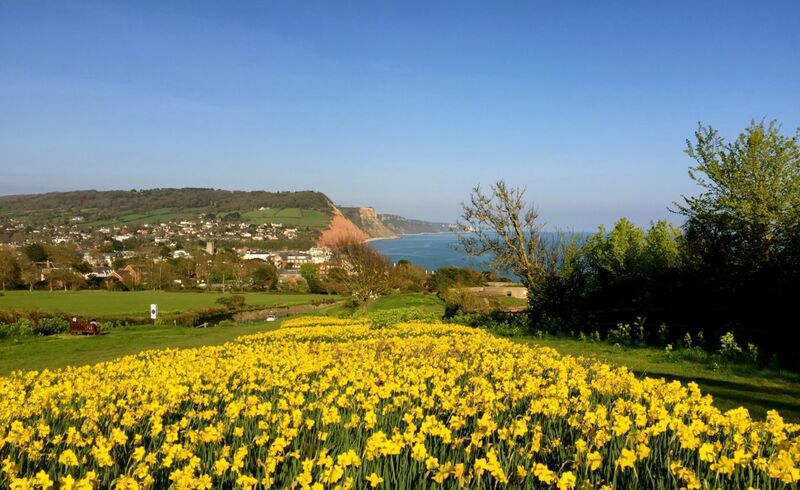 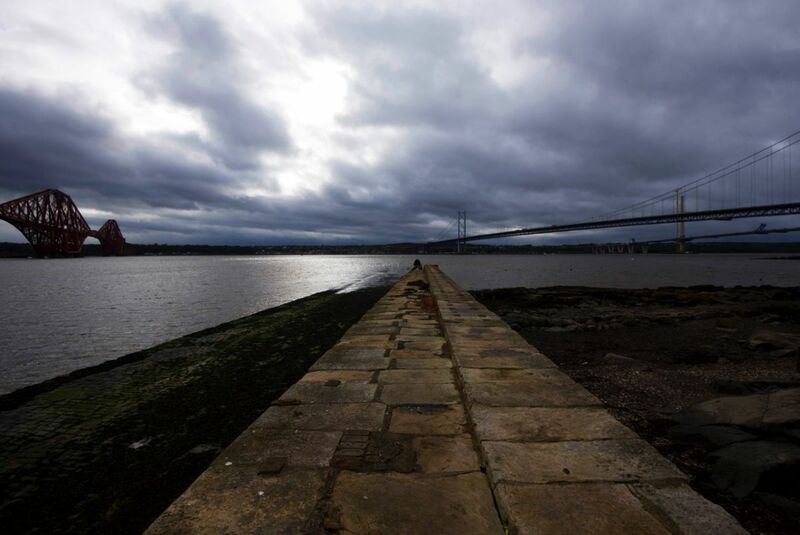 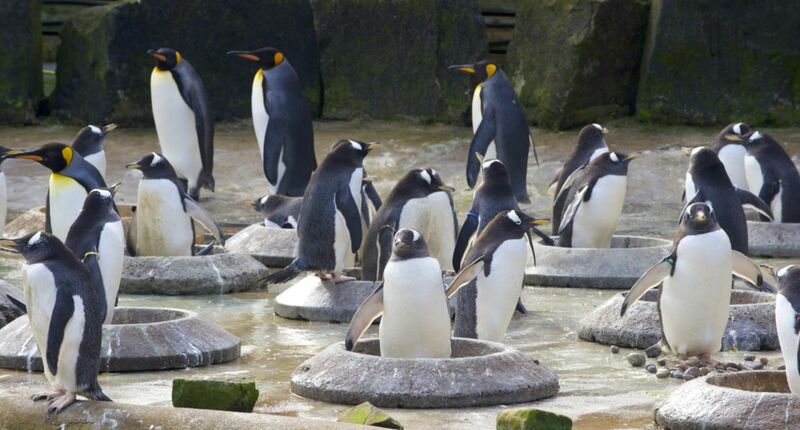 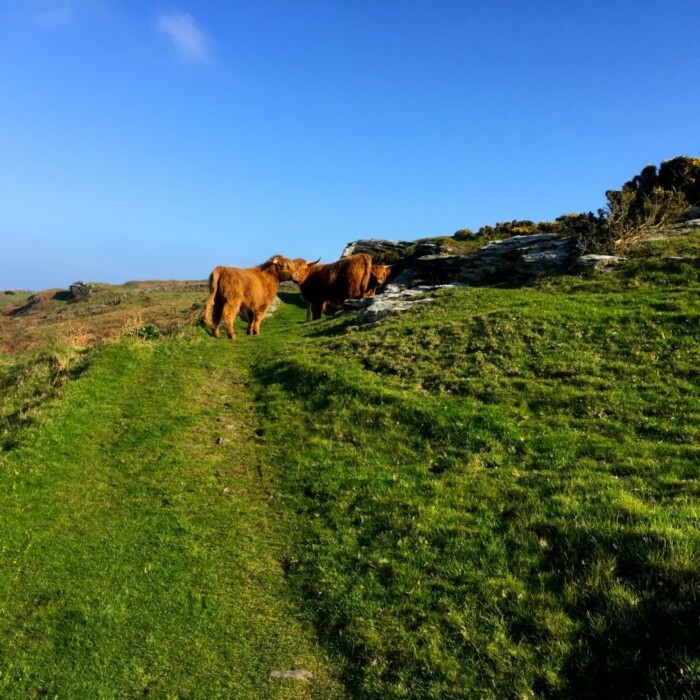 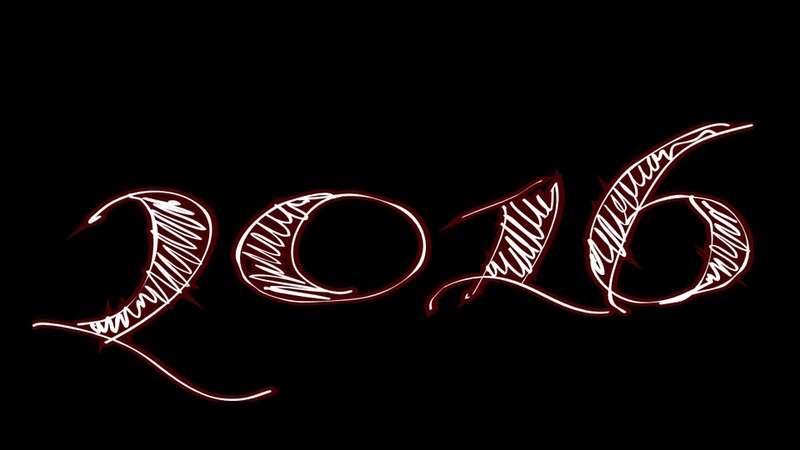 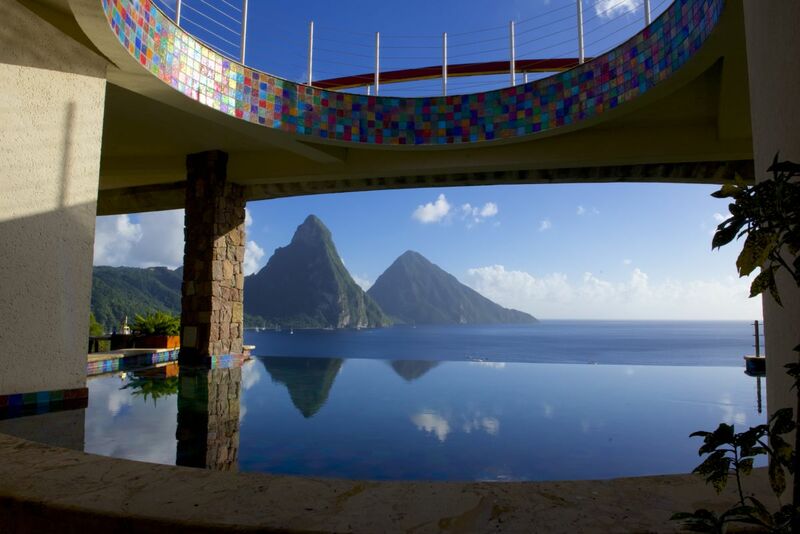 As you might imagine, the possibilities are endless! 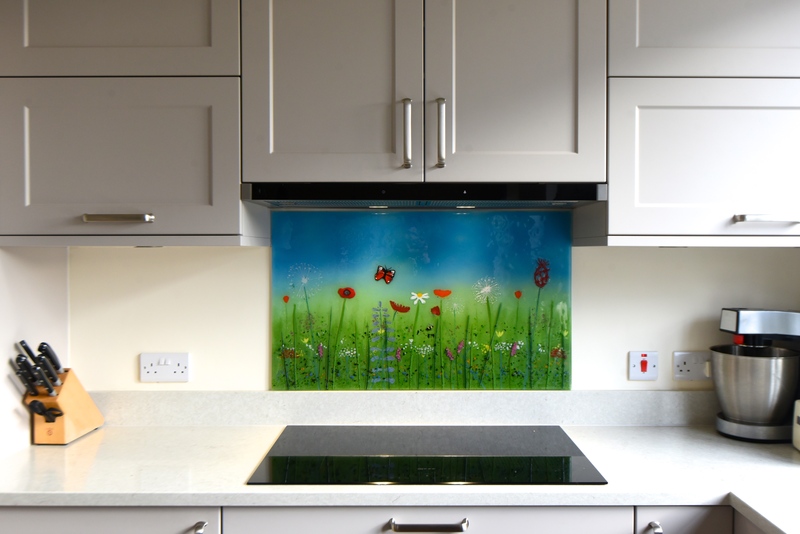 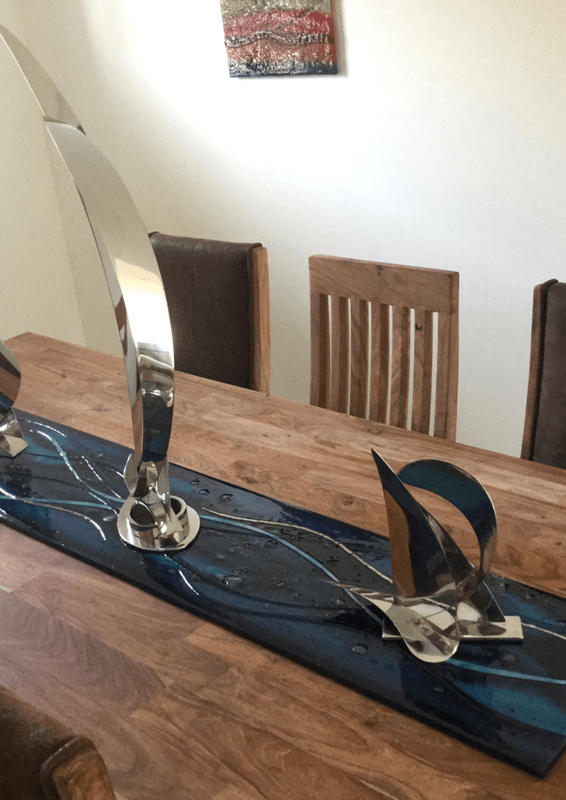 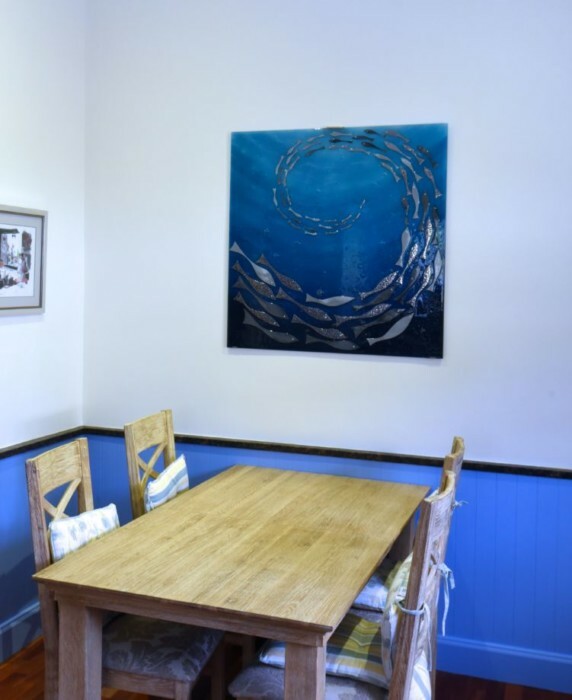 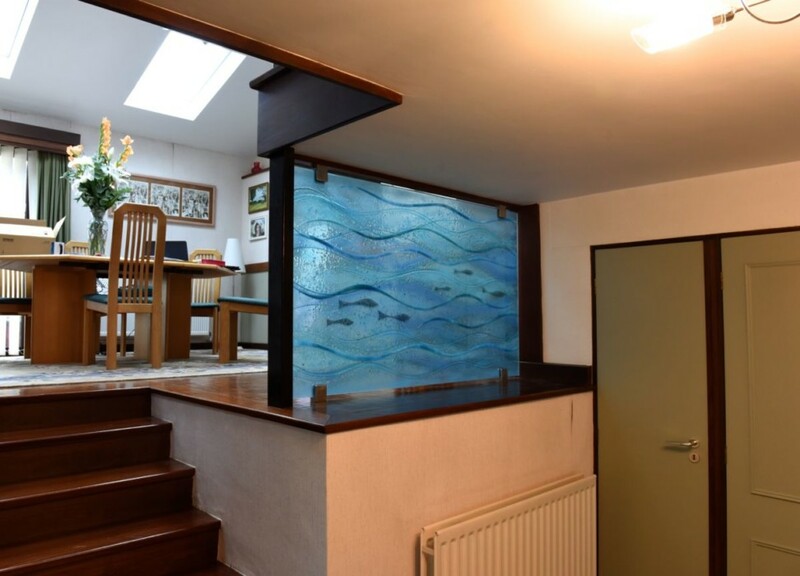 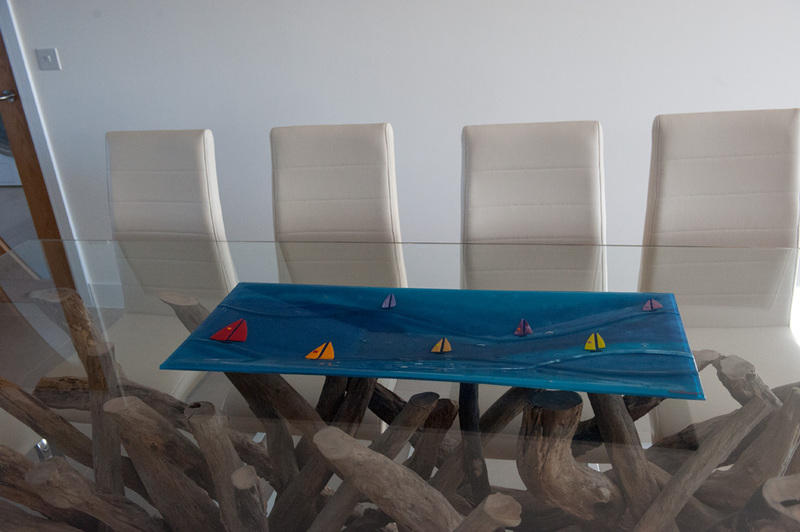 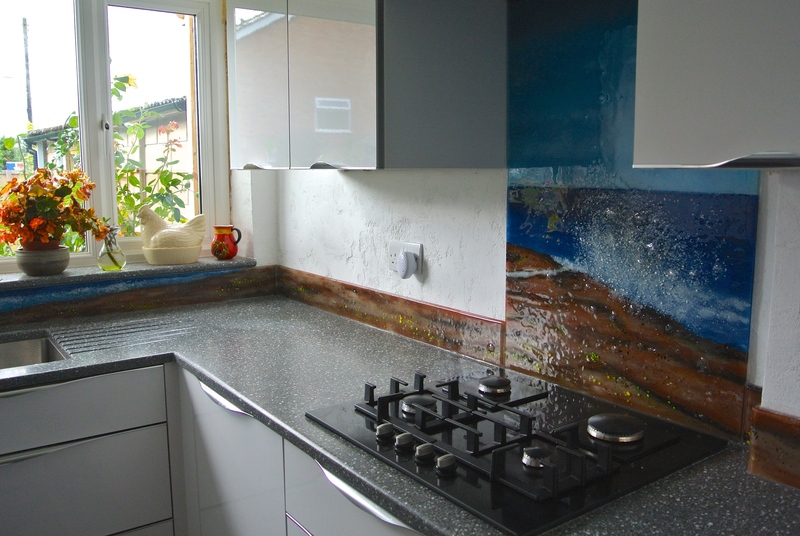 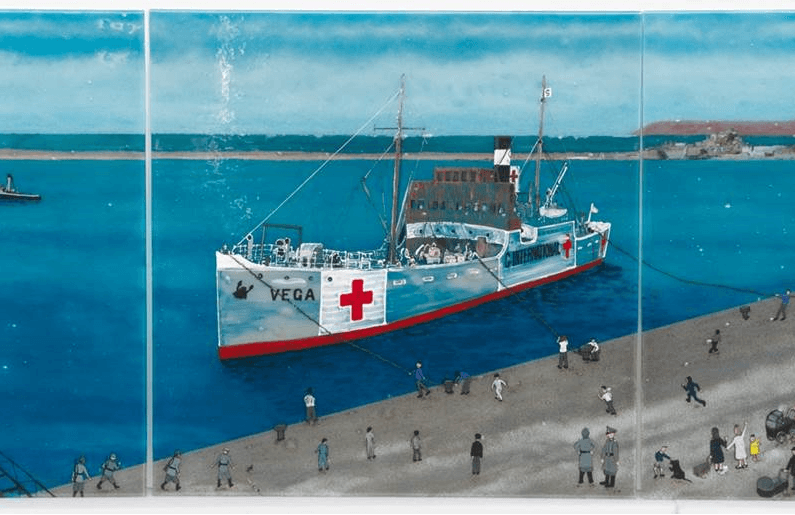 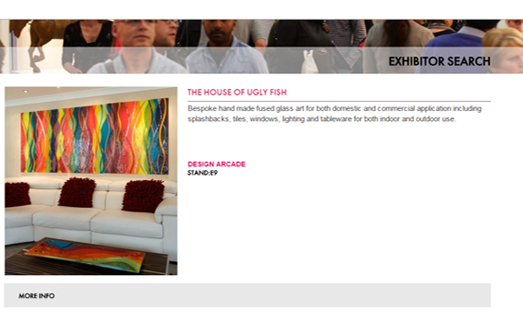 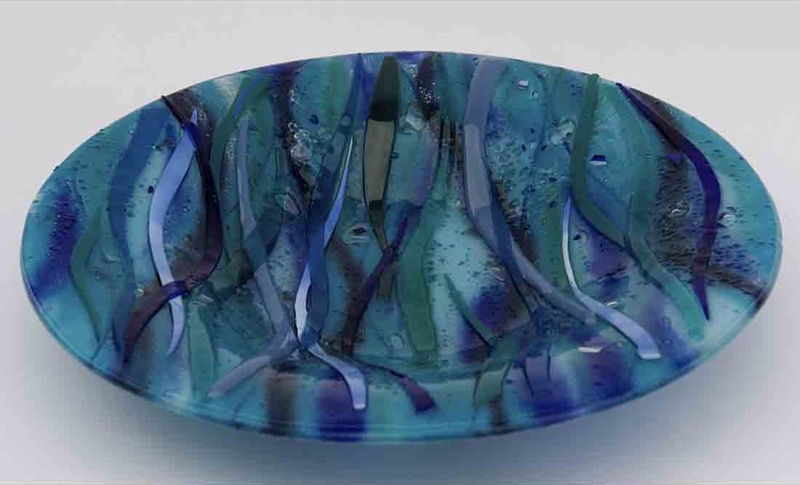 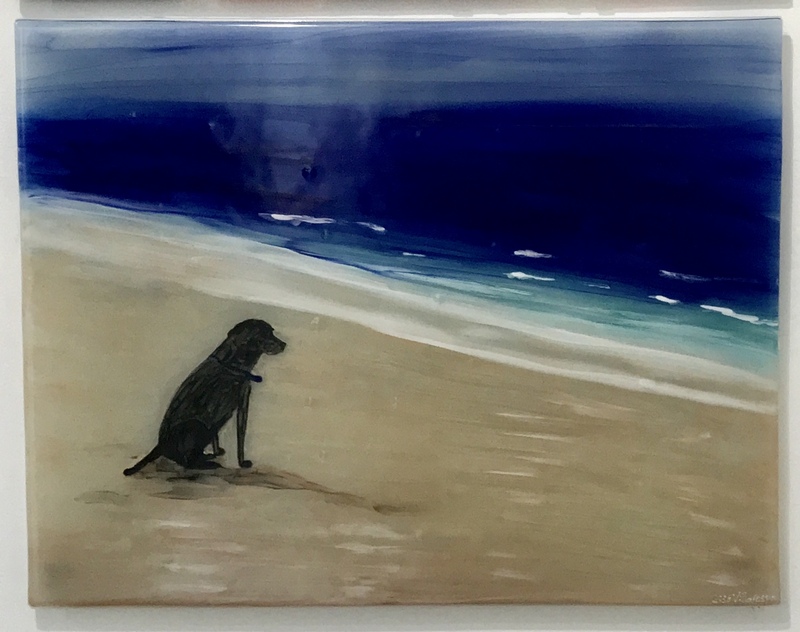 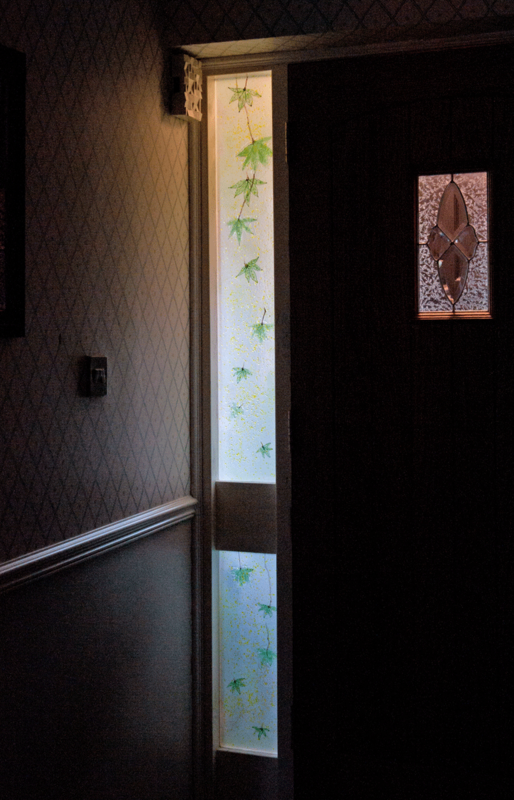 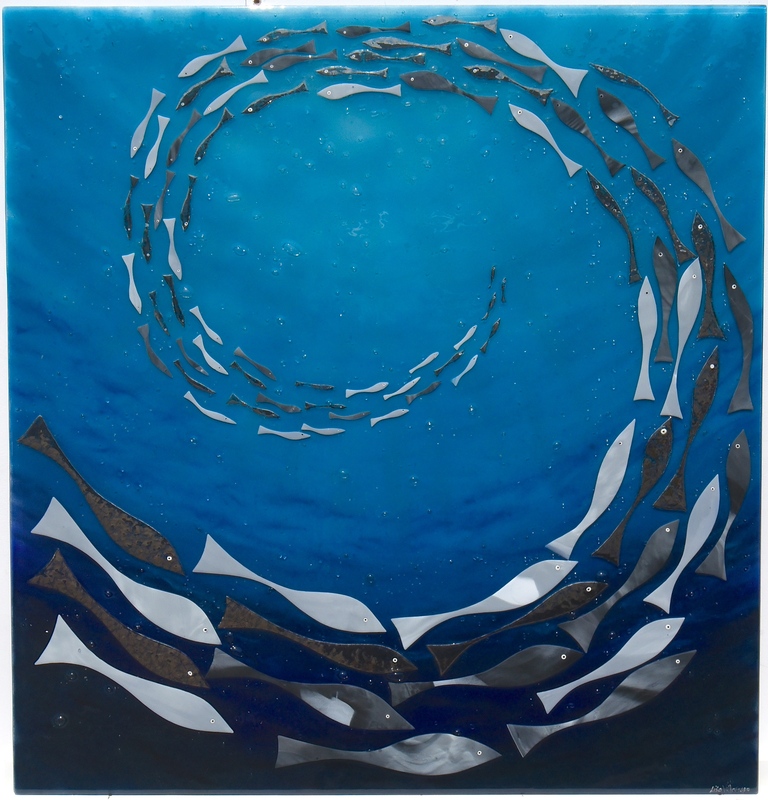 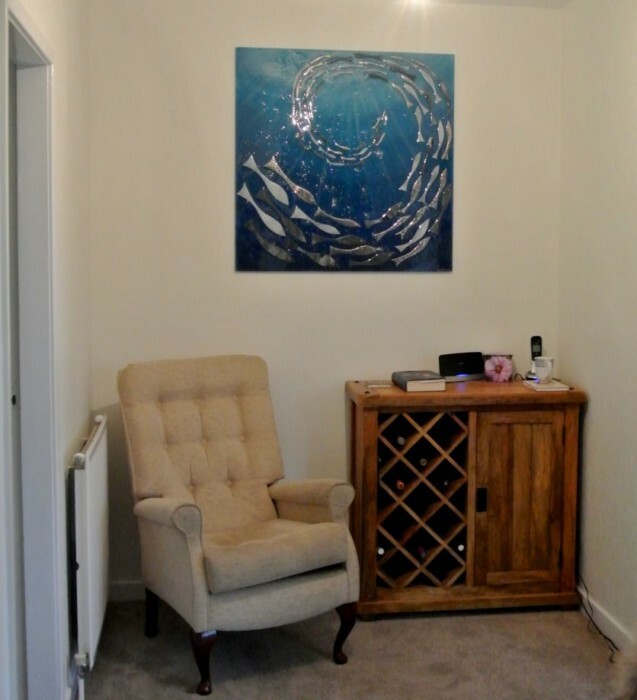 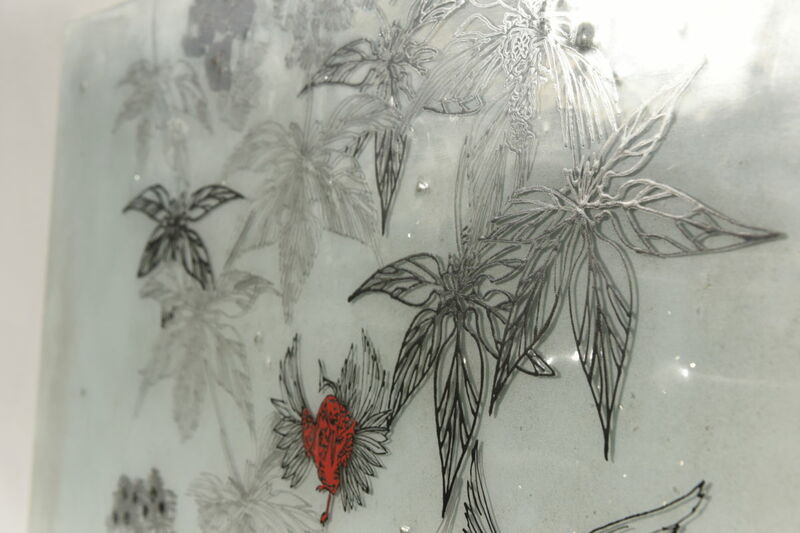 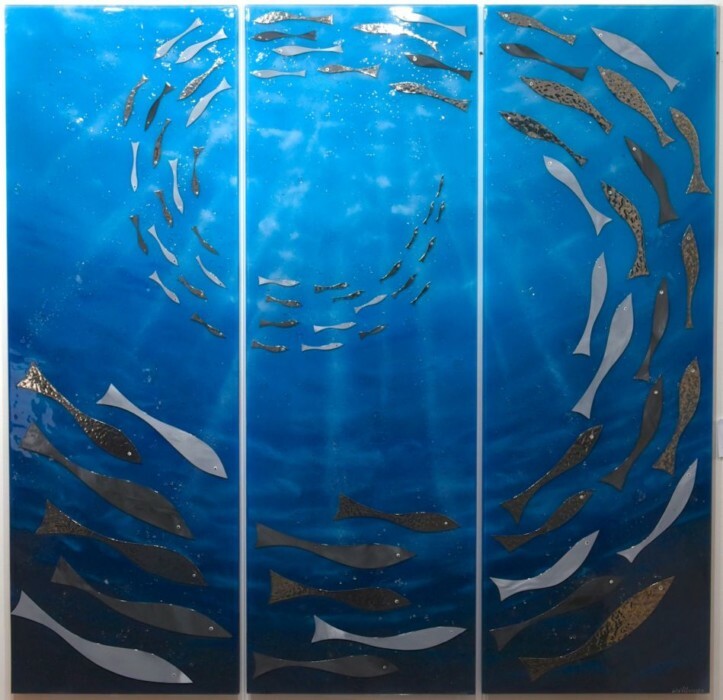 Whether you’re on the lookout for bespoke handmade glass wall art, something for the kitchen, or an accessory to complete the look of a room, you’re in safe hands here at The House of Ugly Fish. 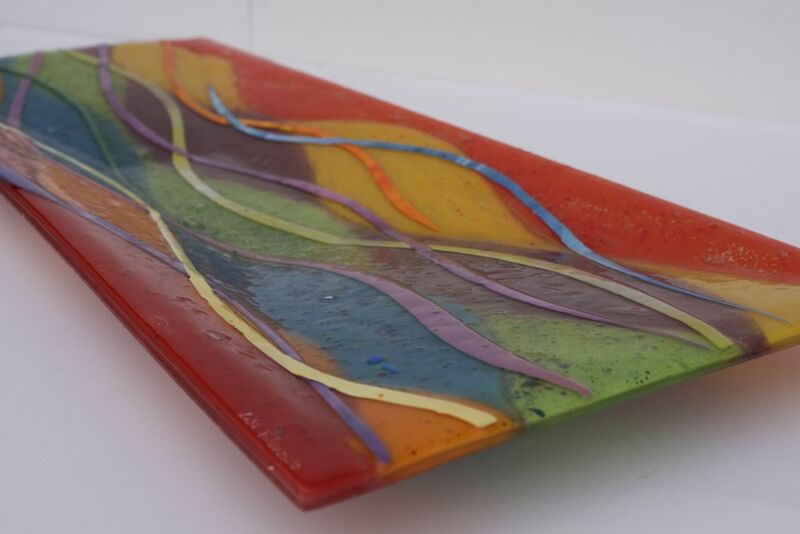 There’s no end to the variety of pieces we can create. 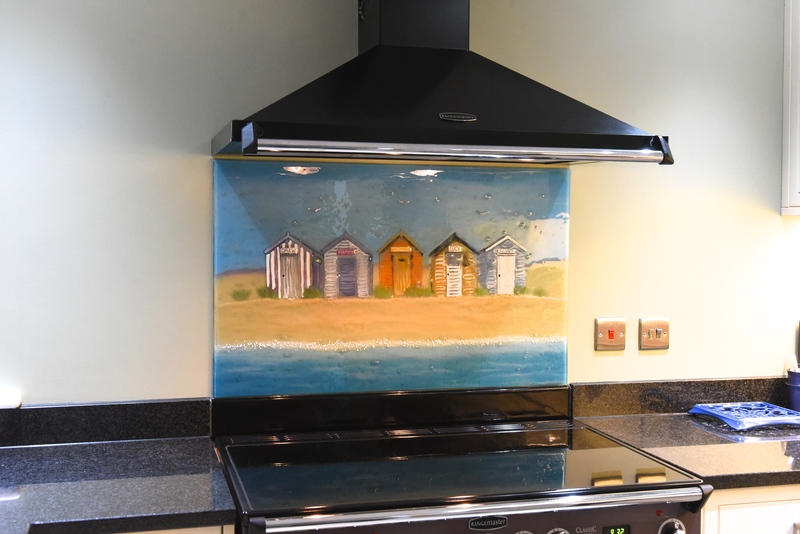 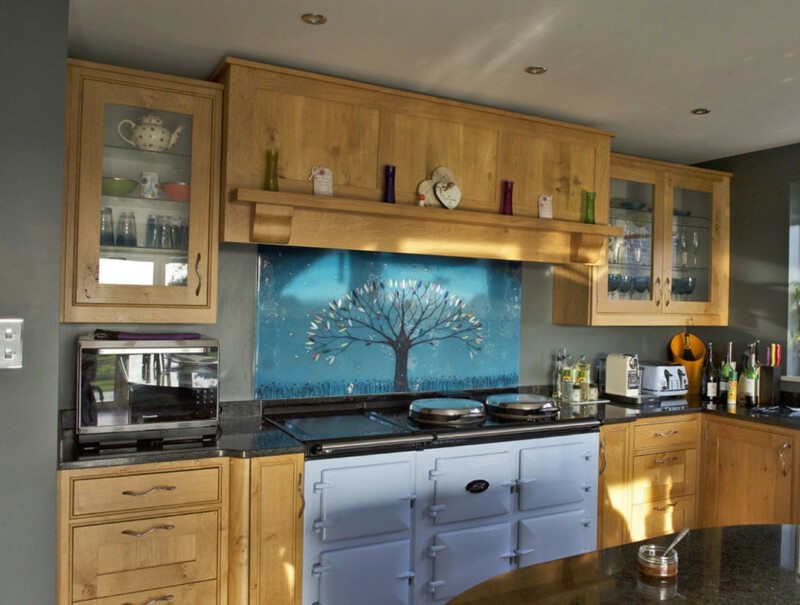 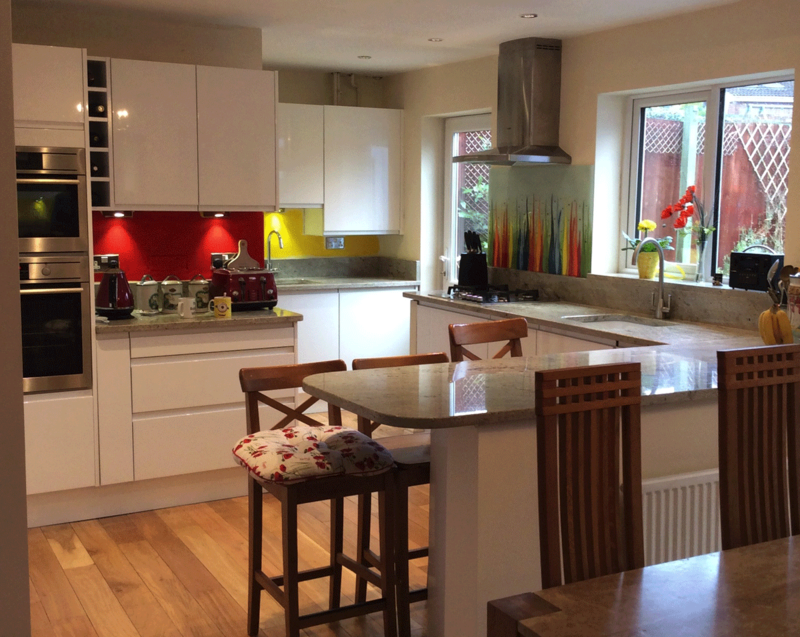 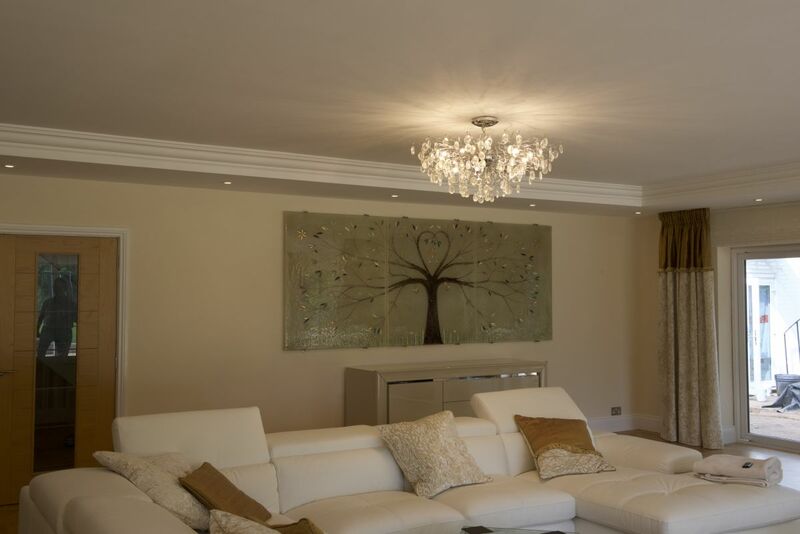 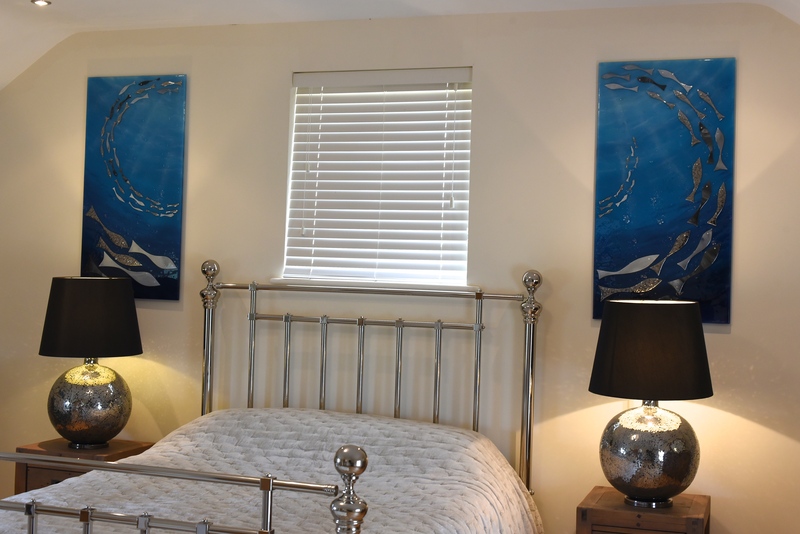 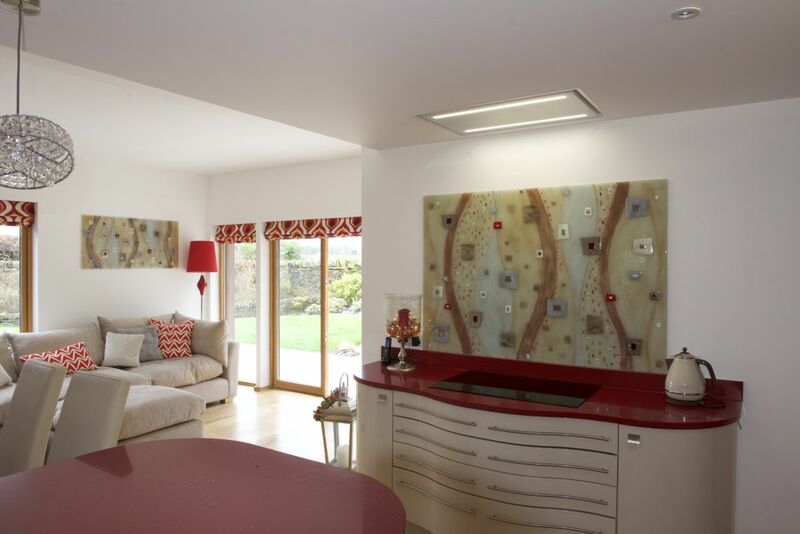 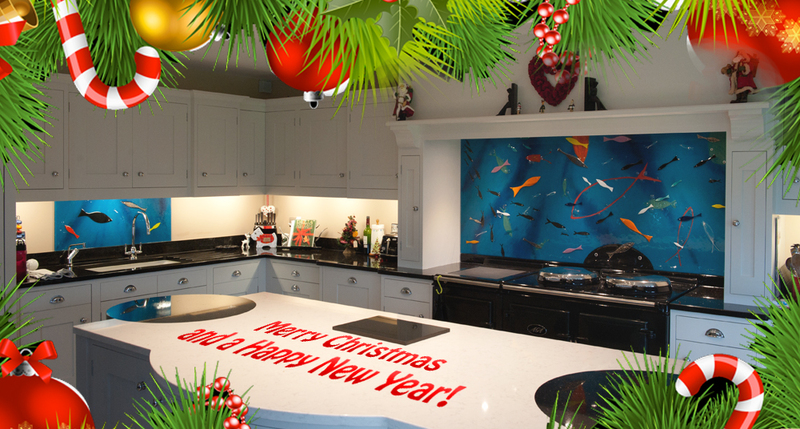 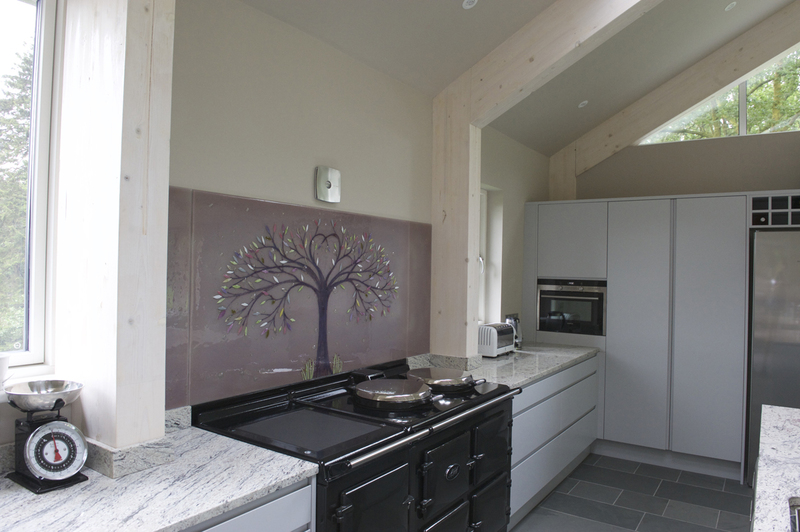 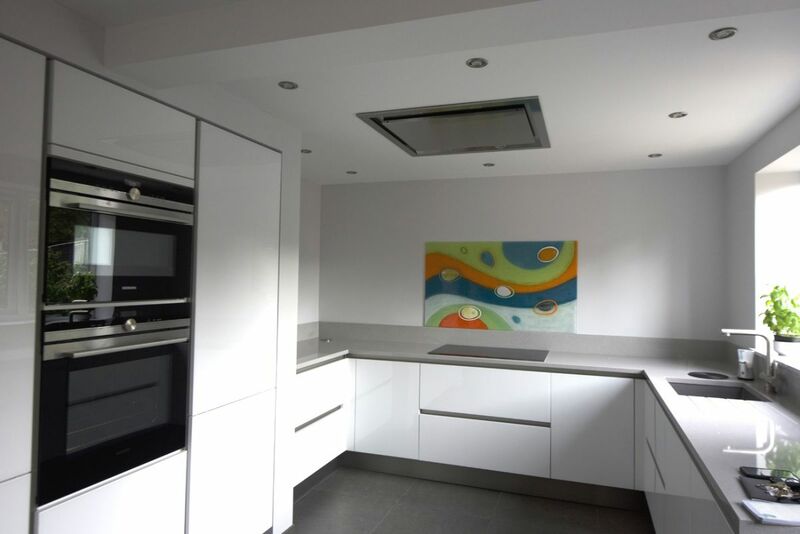 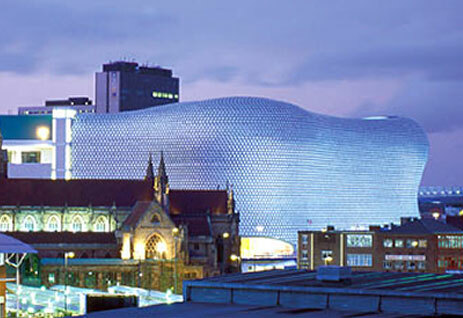 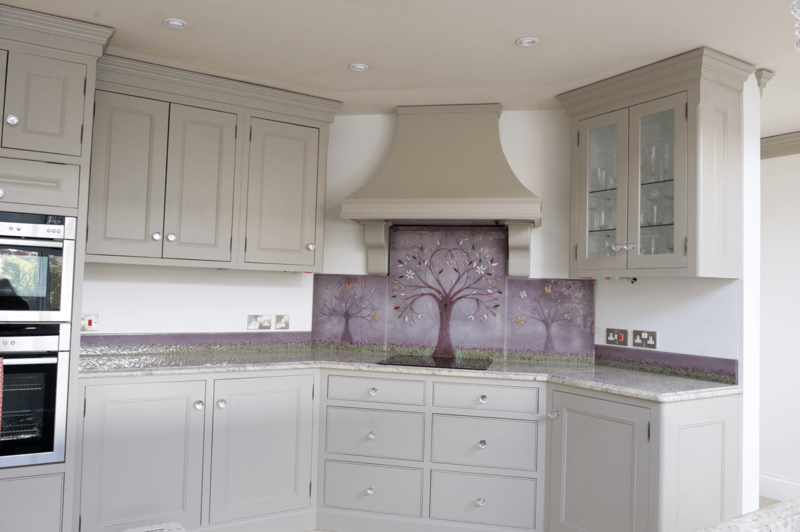 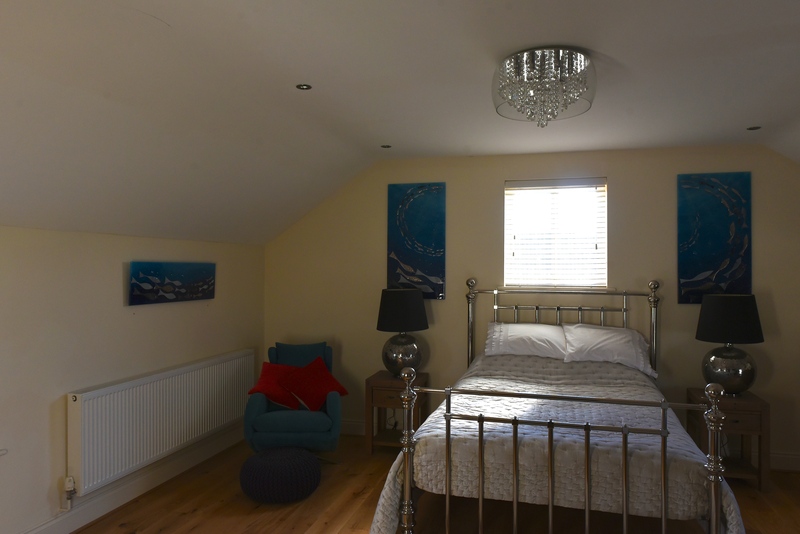 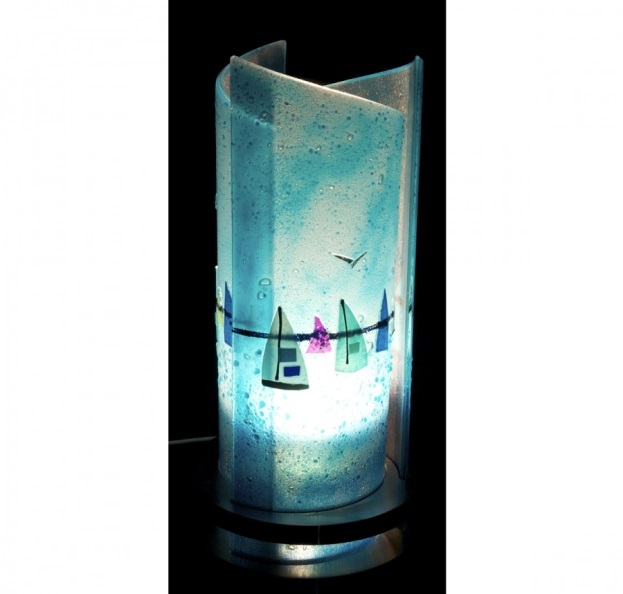 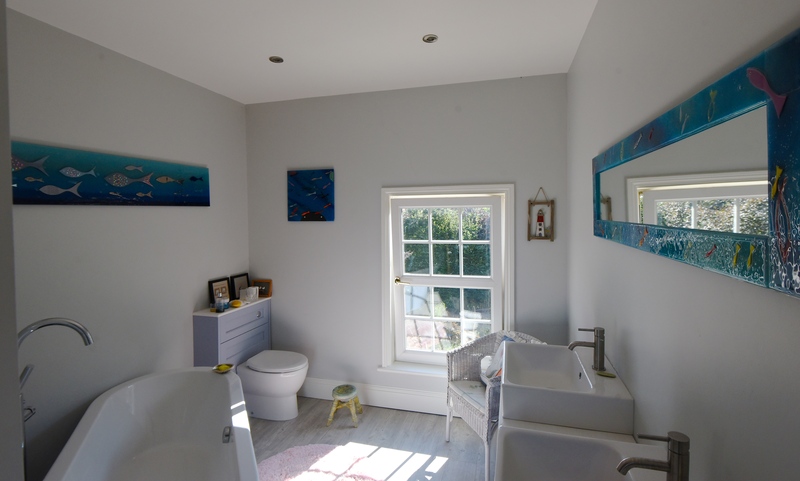 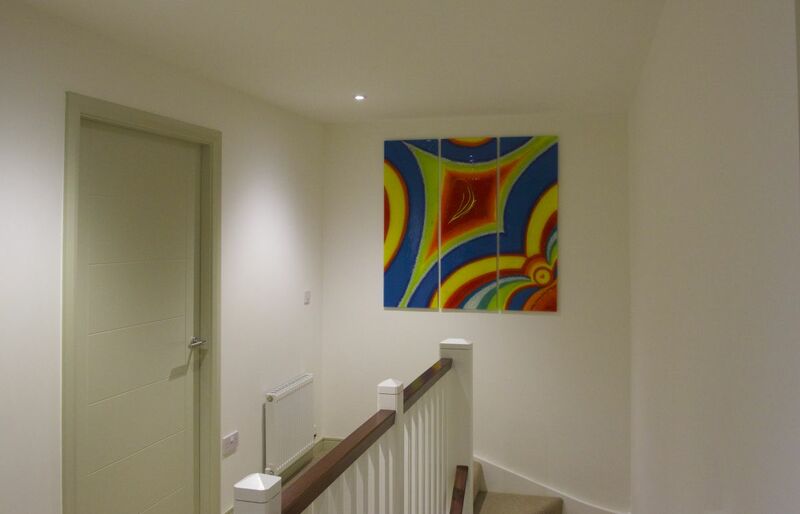 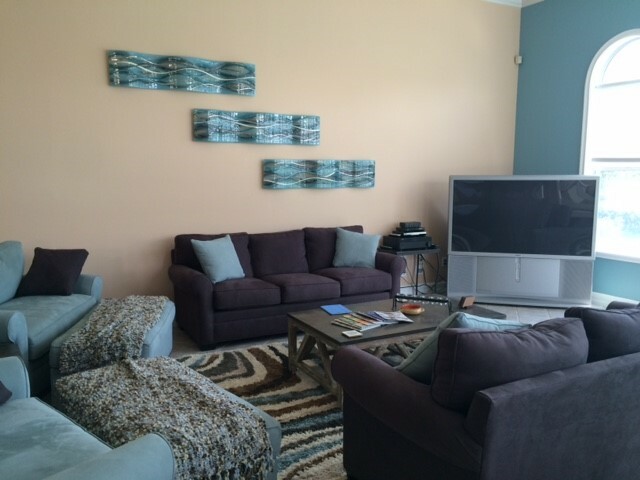 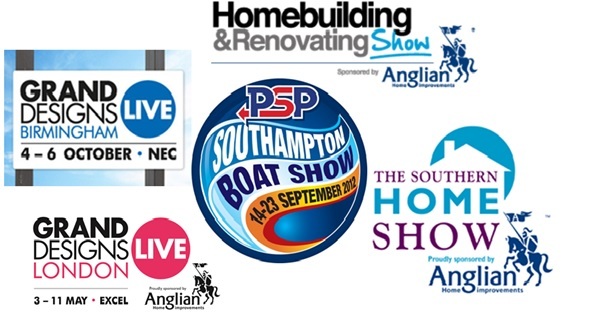 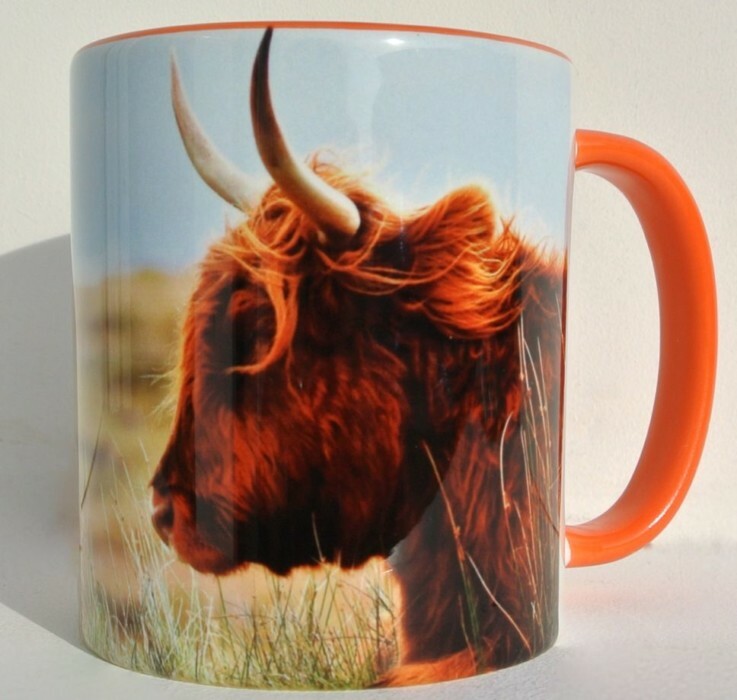 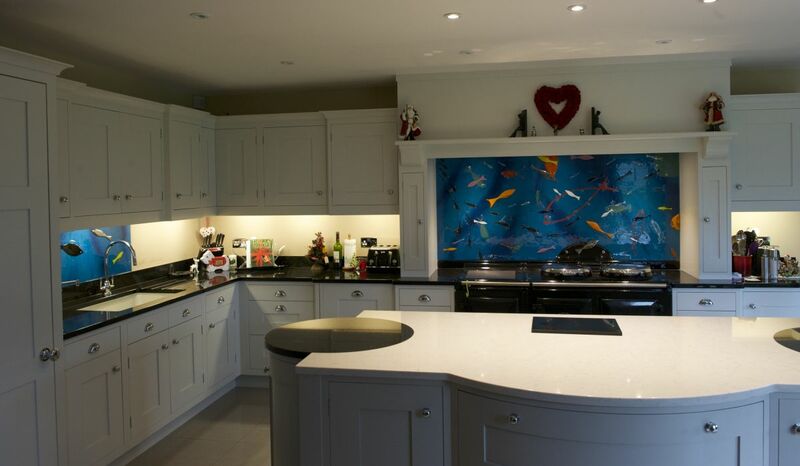 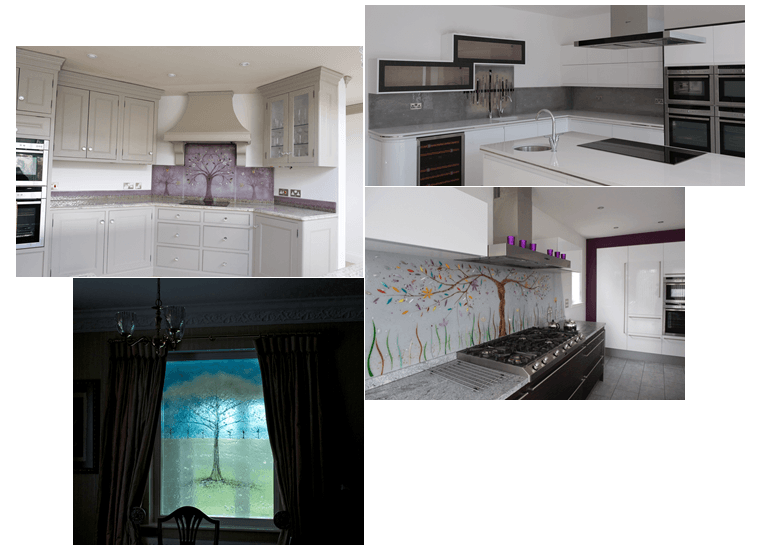 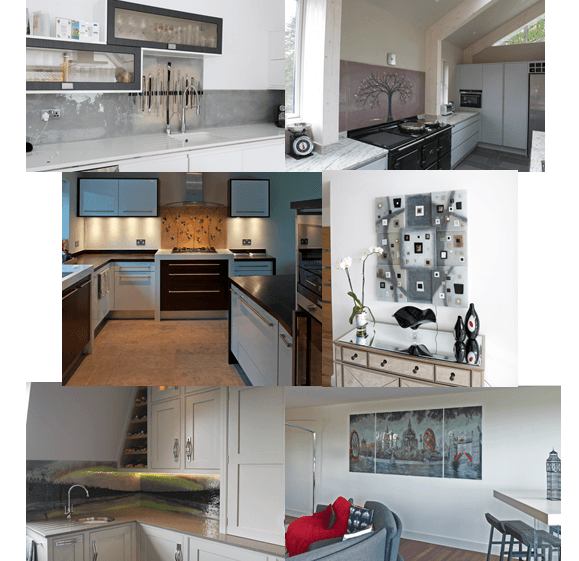 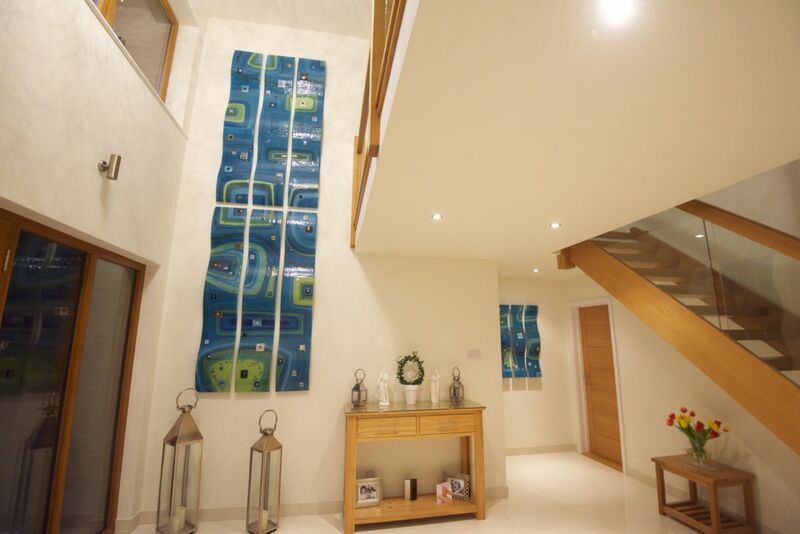 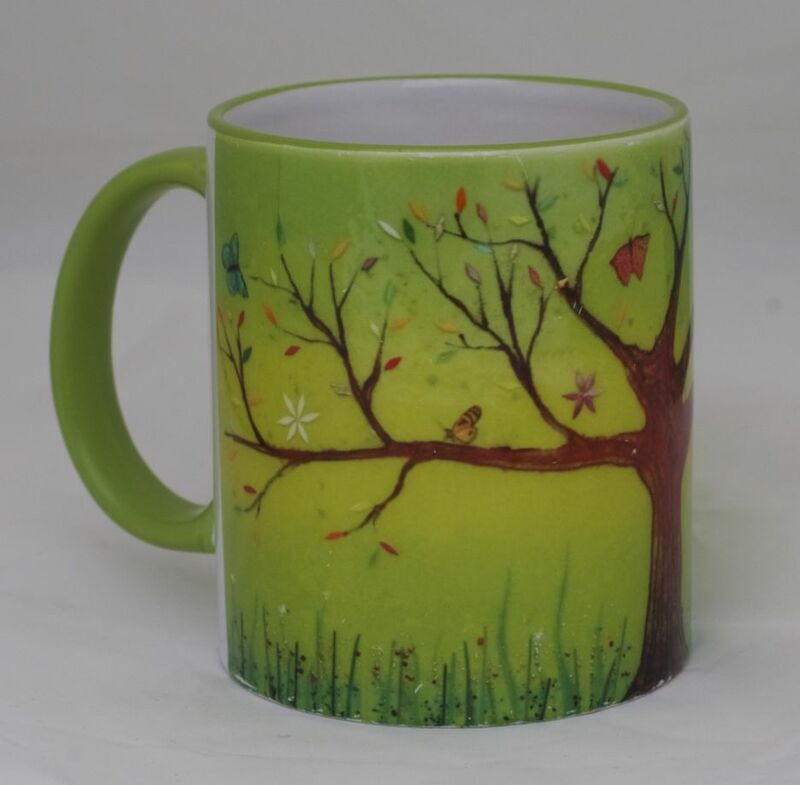 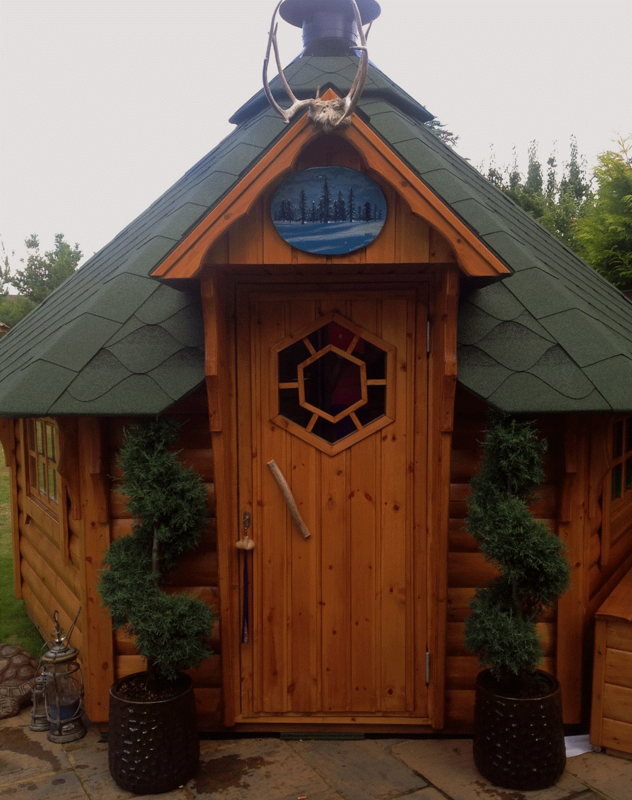 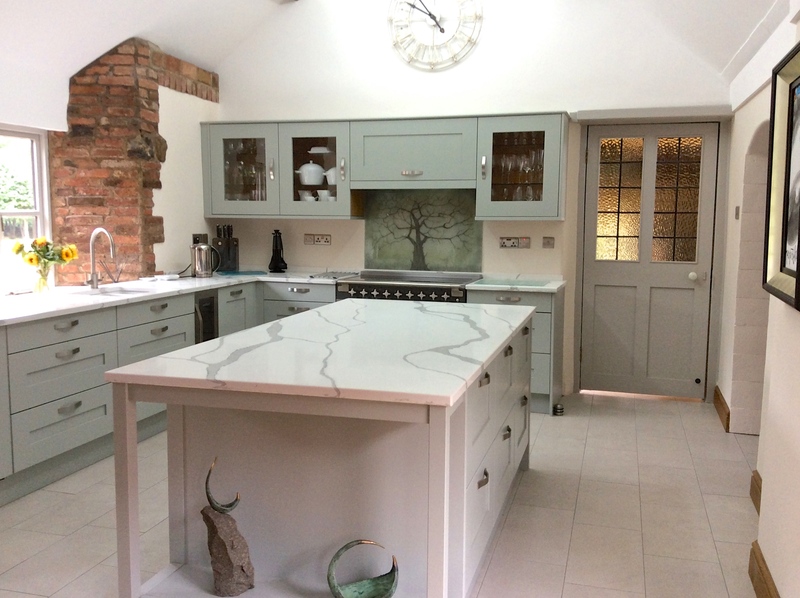 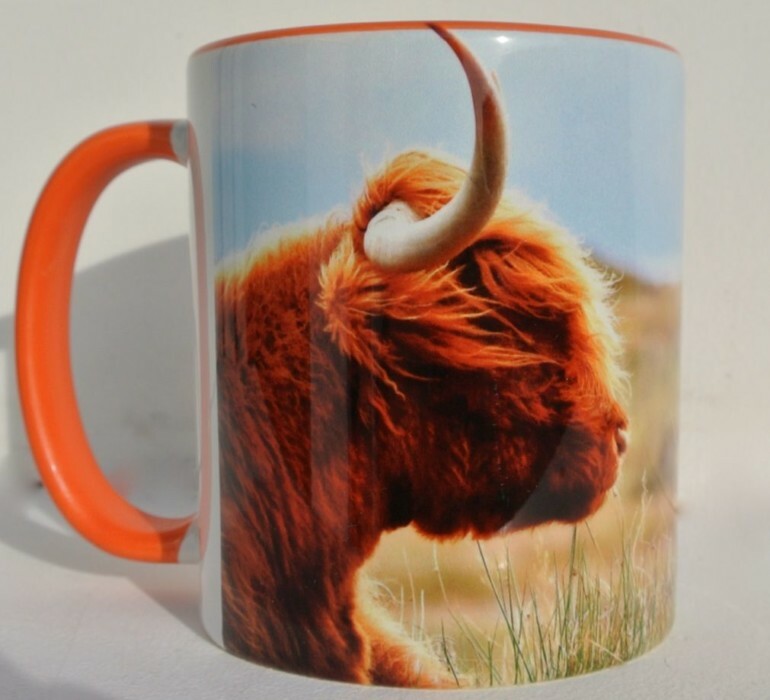 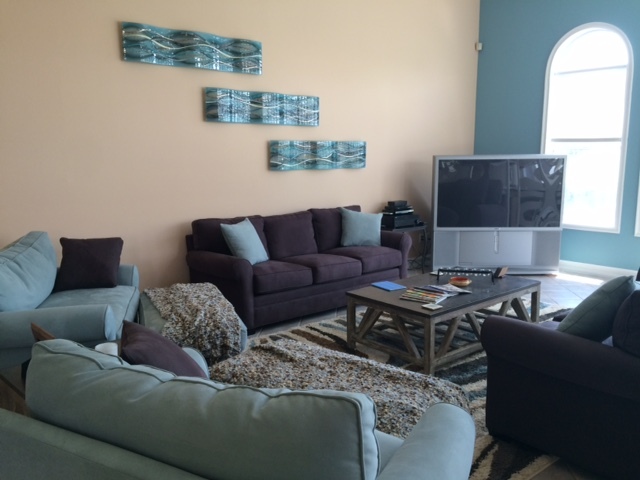 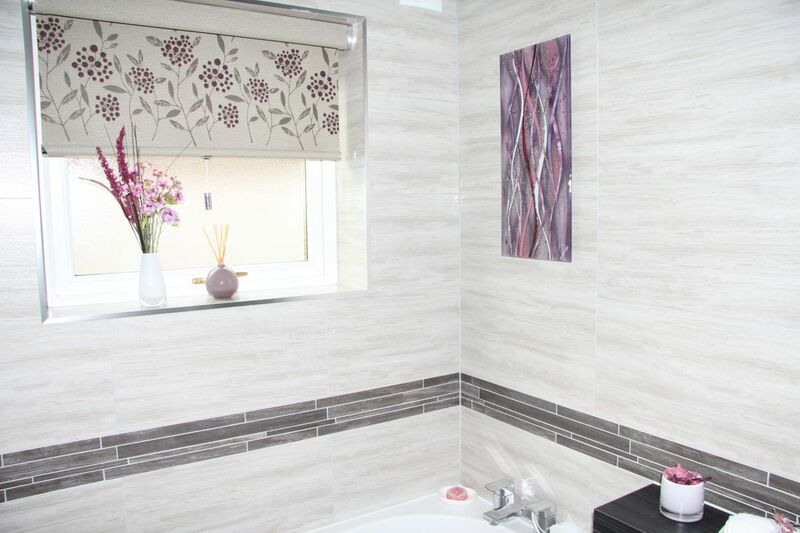 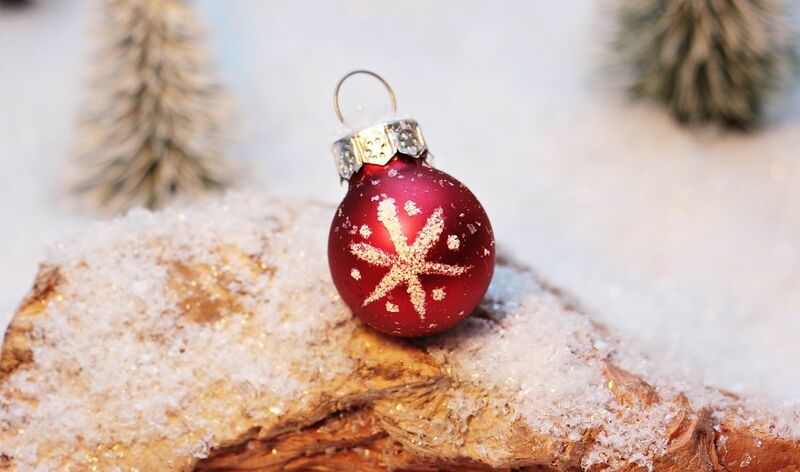 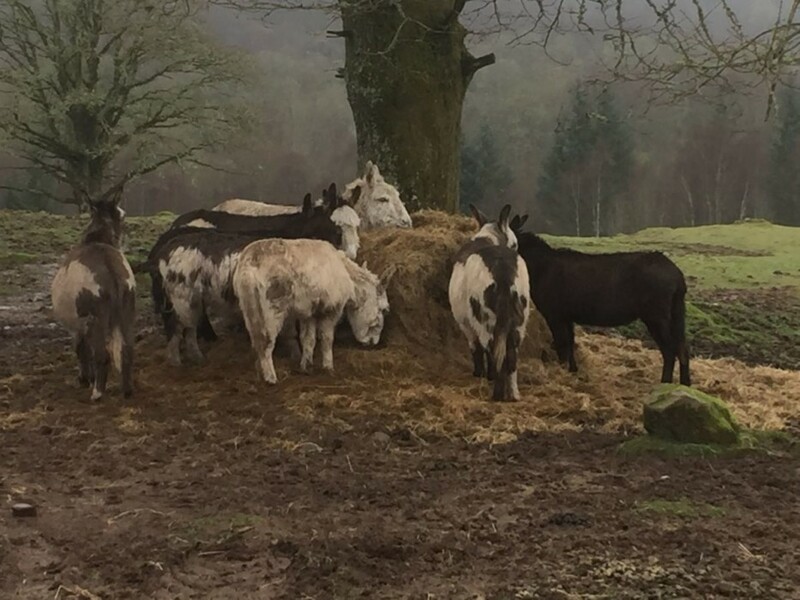 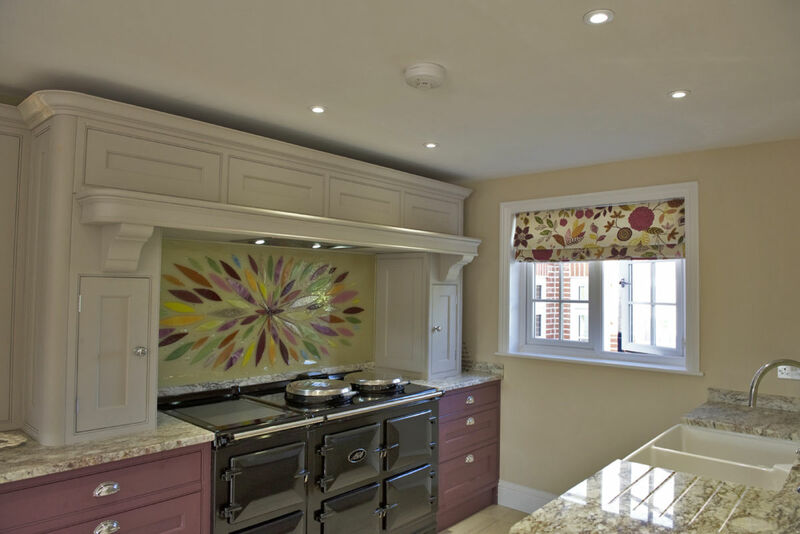 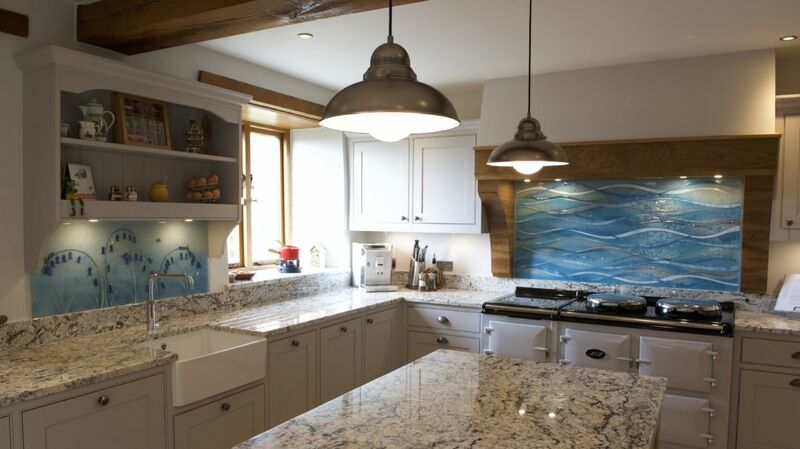 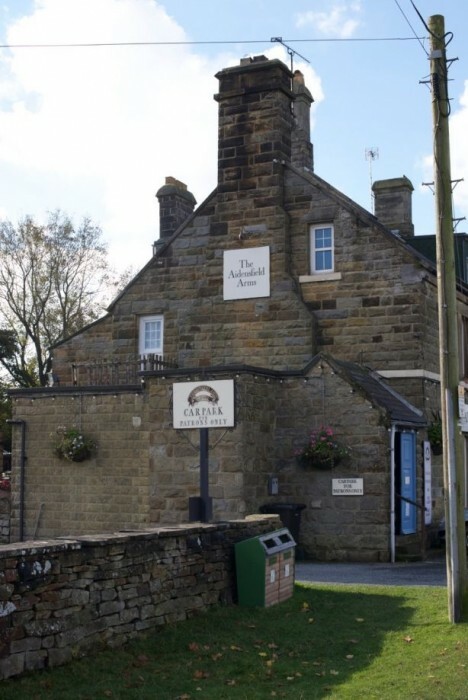 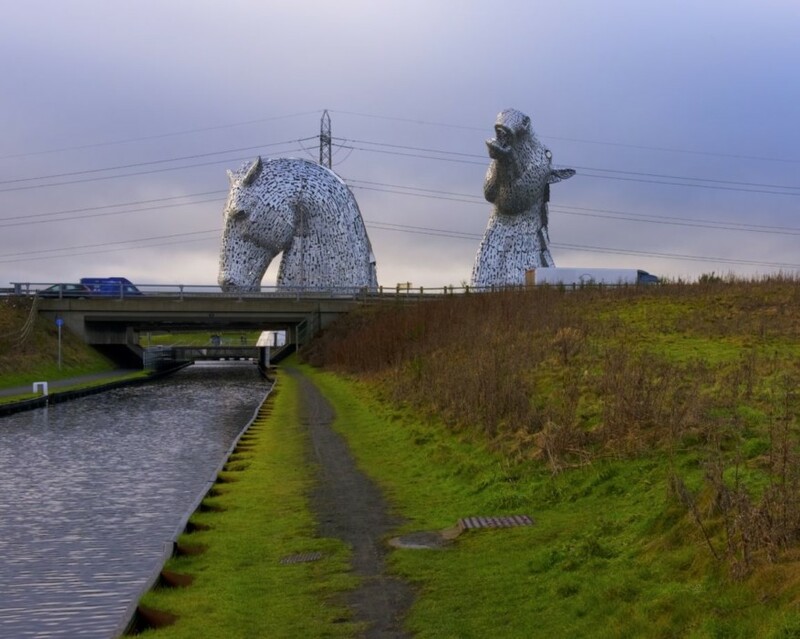 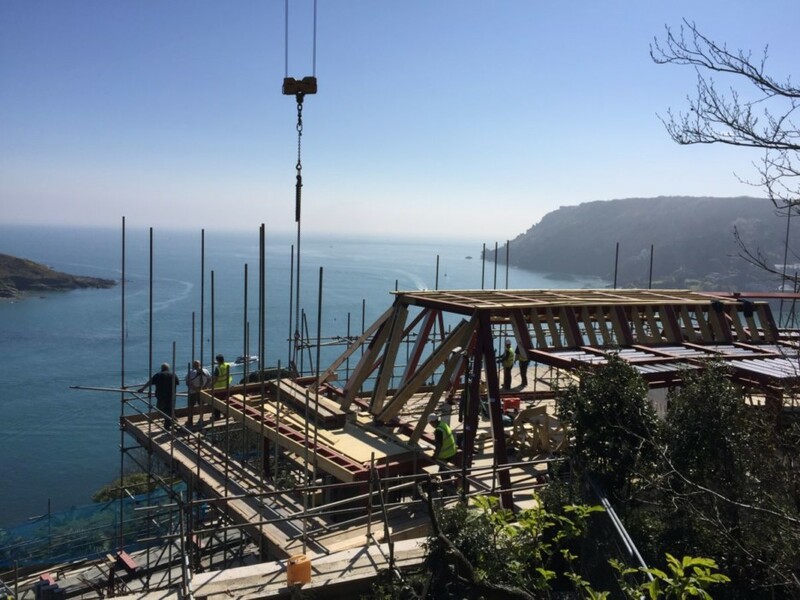 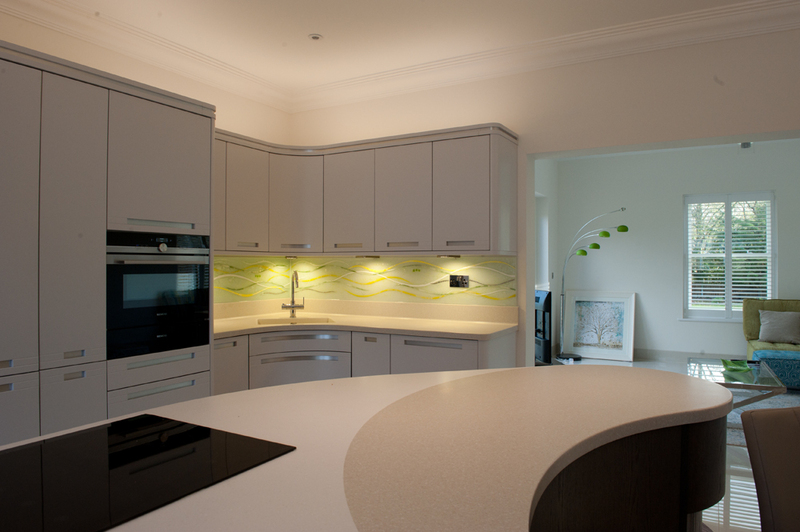 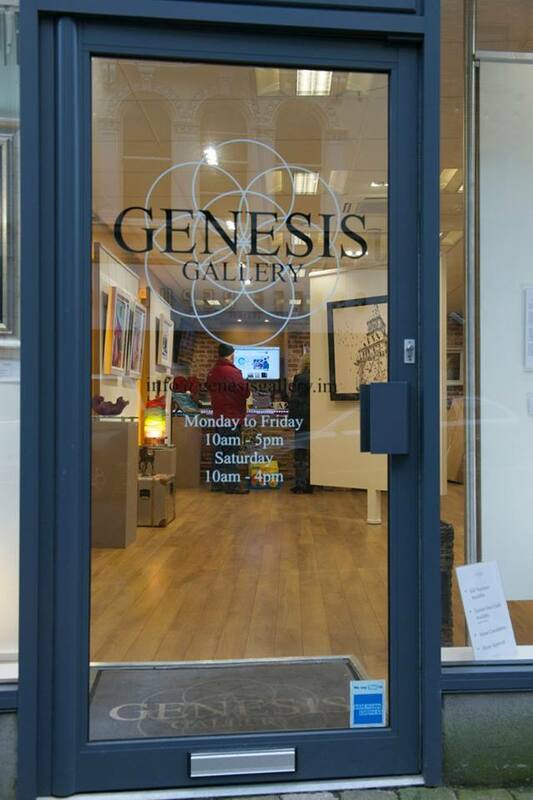 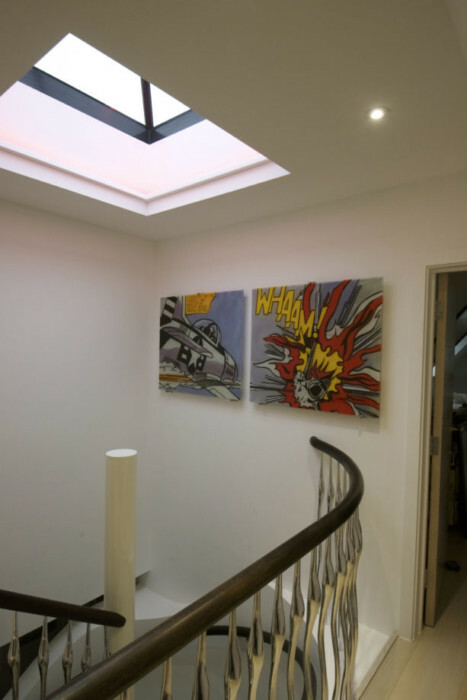 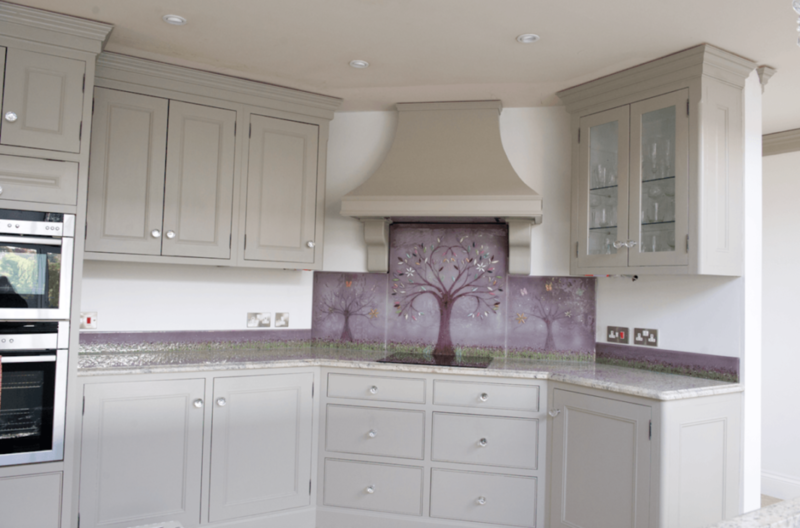 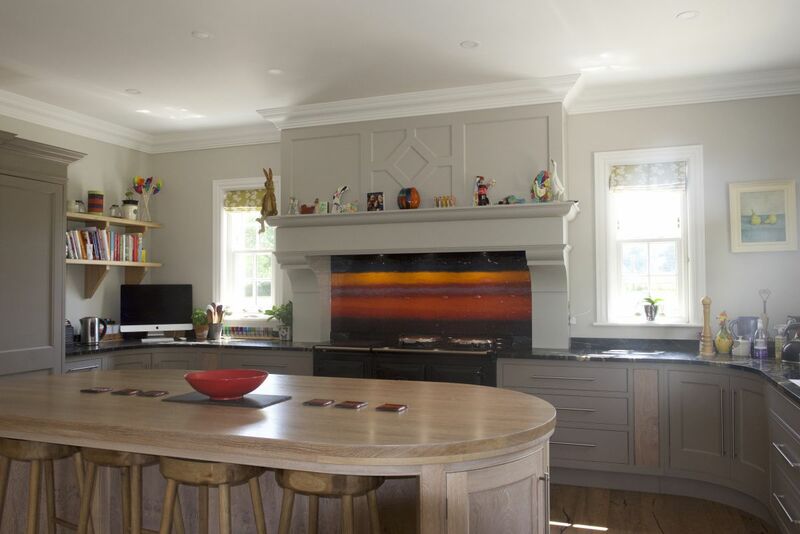 Most of our designs come from our customers and are made to fit their homes to a tee! 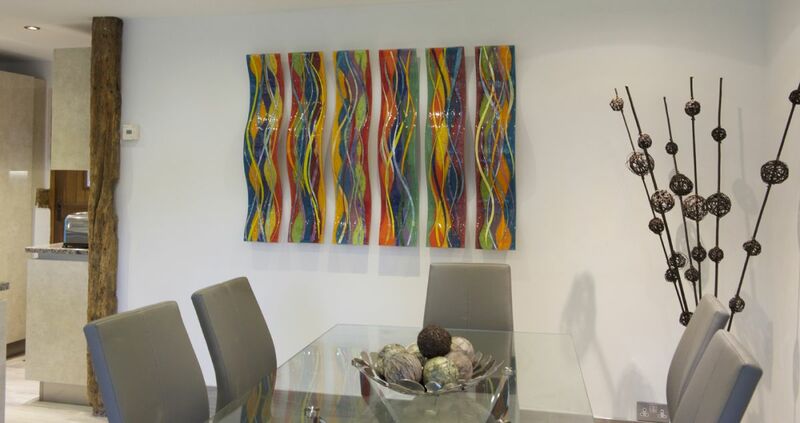 Make sure you don’t wait to get in touch as soon as you can. 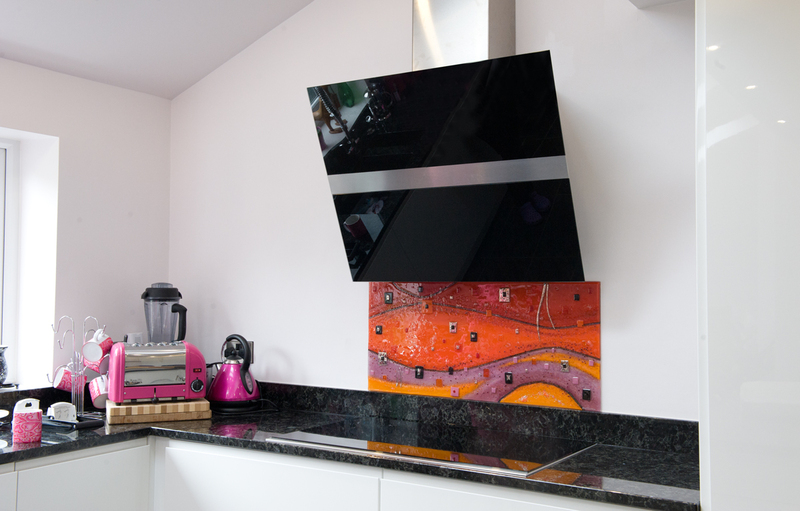 It’s as easy as picking up the phone or dropping us an email, after all.